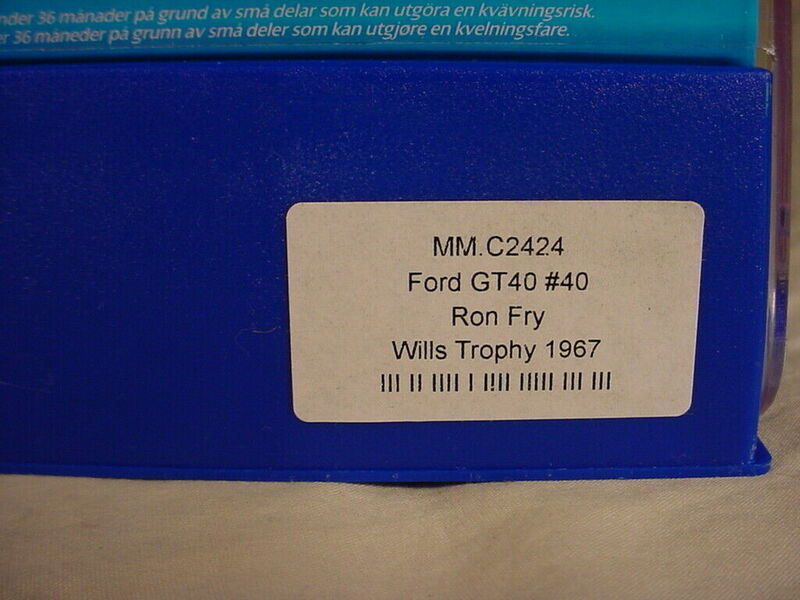 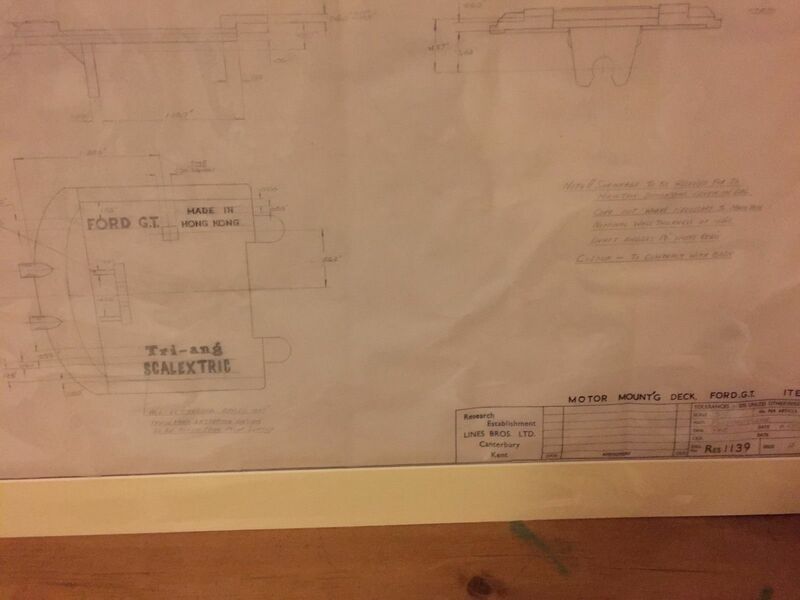 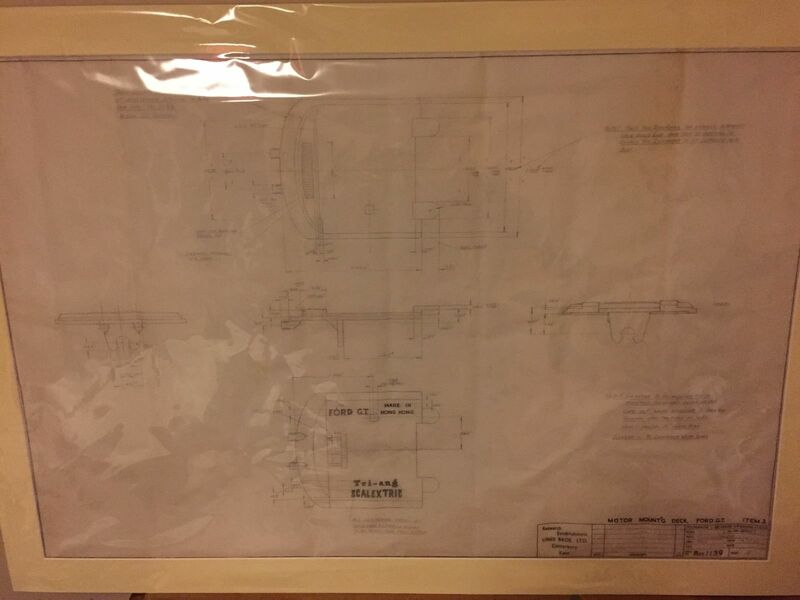 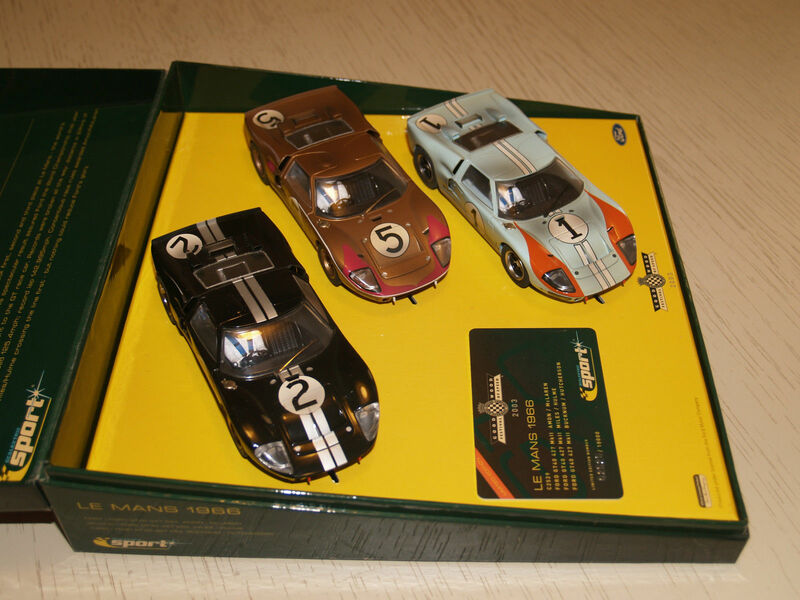 Minimodels Ltd was founded in 1947 by Fred (B. F) Francis based in London and made tinplate toys and models. 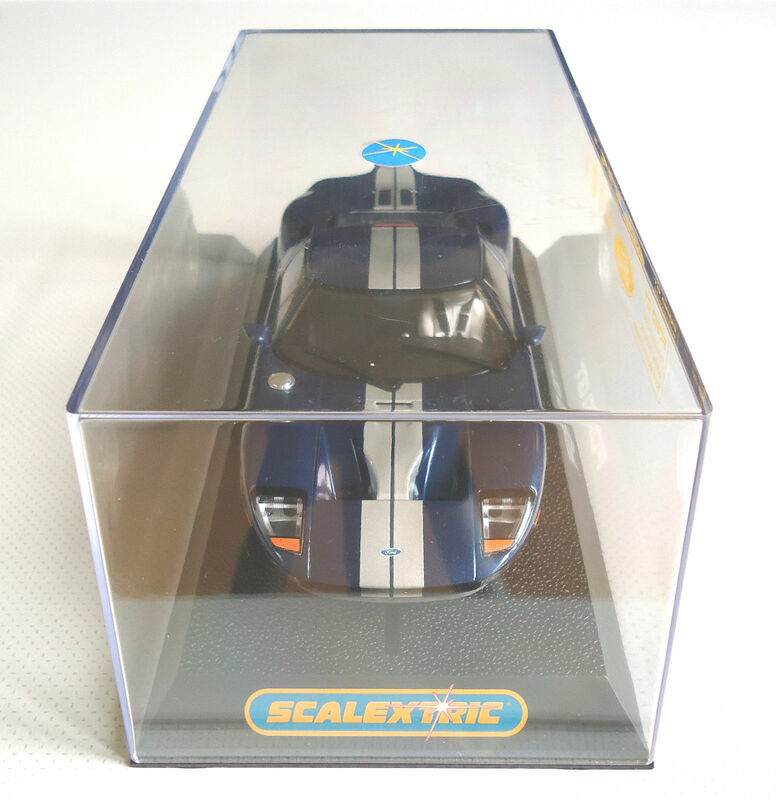 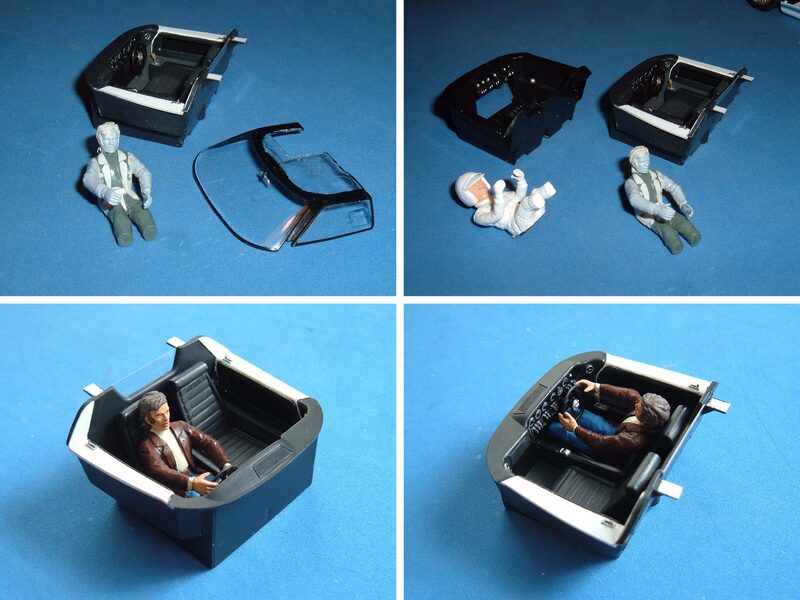 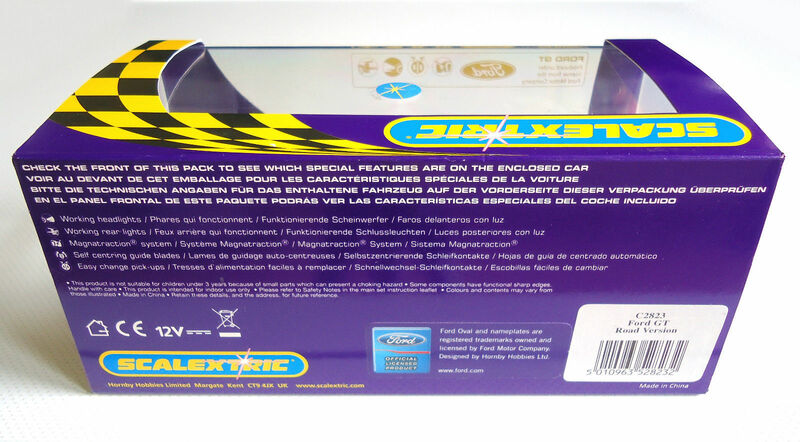 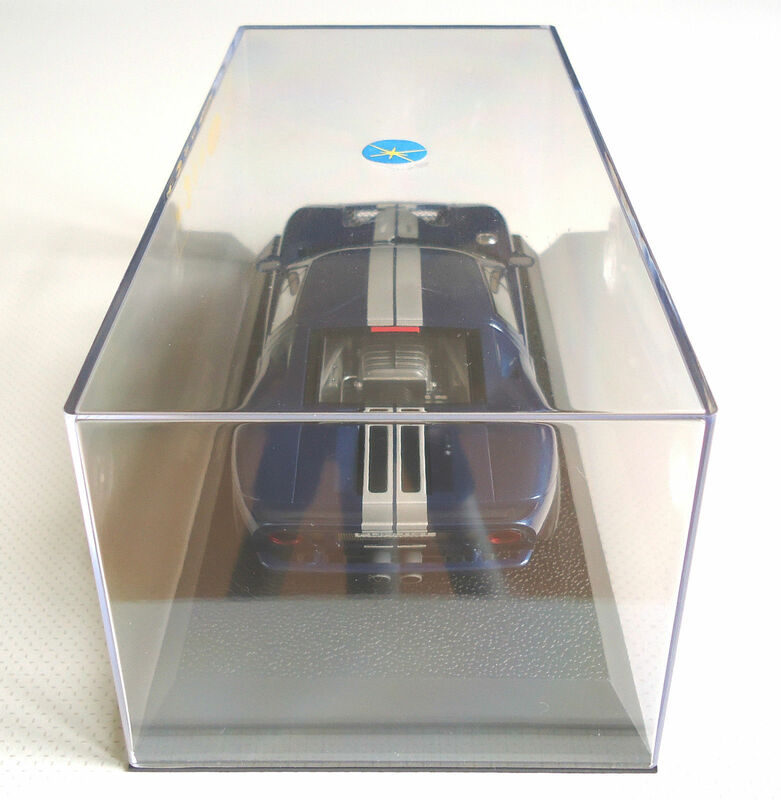 Early products included the Startex toy car range and the very popular Scalex, which was introduced in 1952. 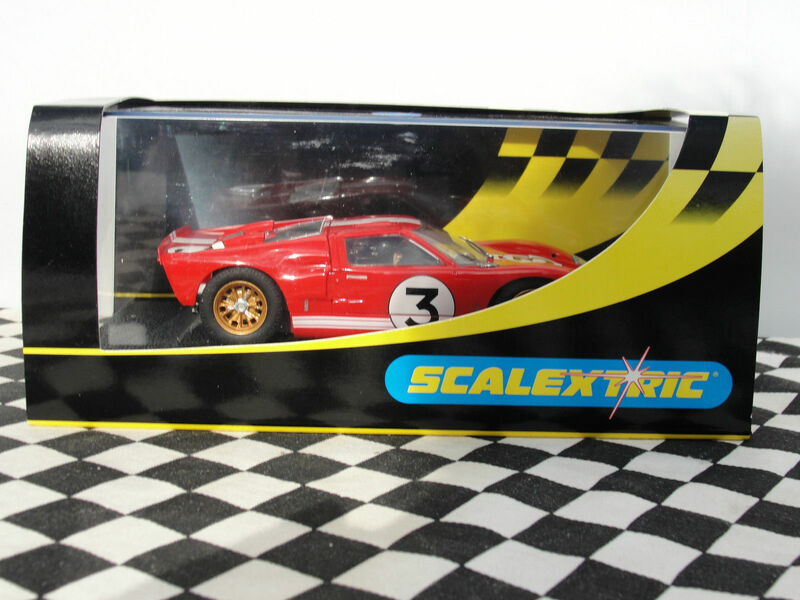 Scalex was a range of toy racing cars propelled by a clockwork motor which was activated by pulling a string attached to the steering wheel, which in turn wound the clockwork motor. 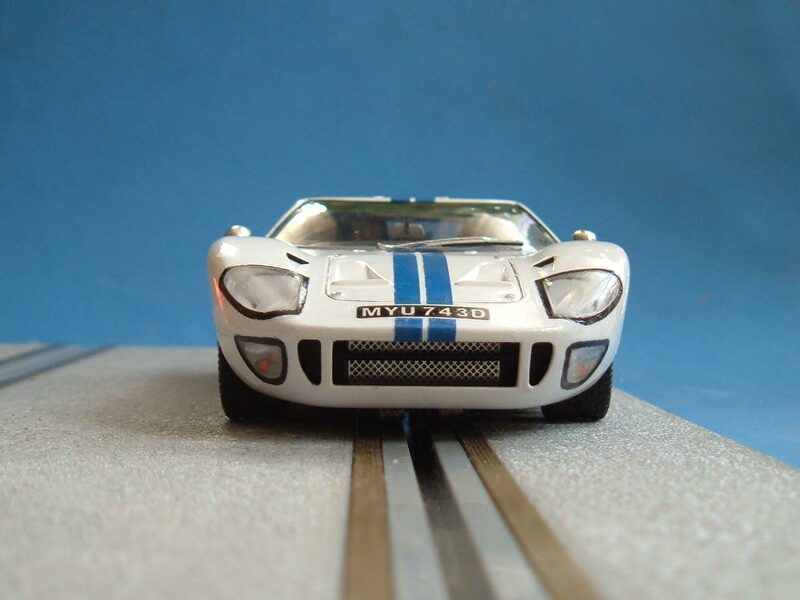 In 1952 Minimodels moved to a larger factory in New Lane, Havant to meet the growing demand for the toy cars. 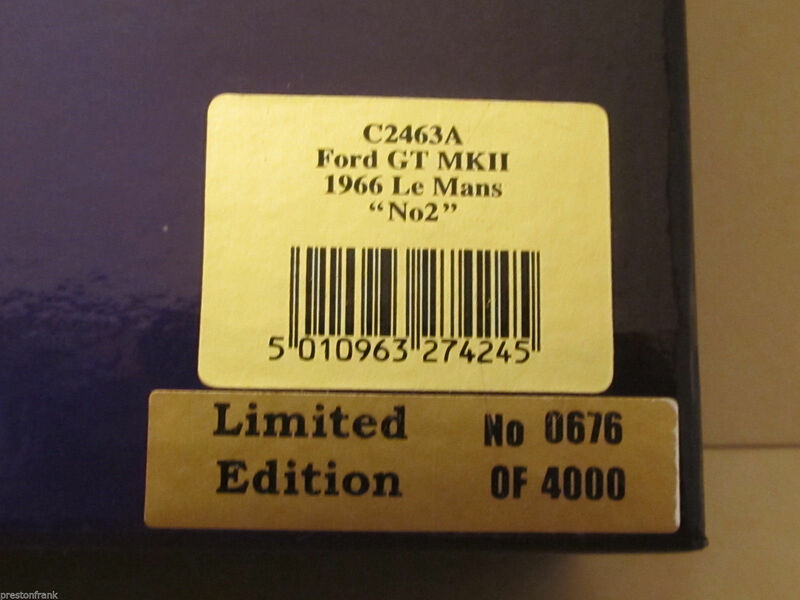 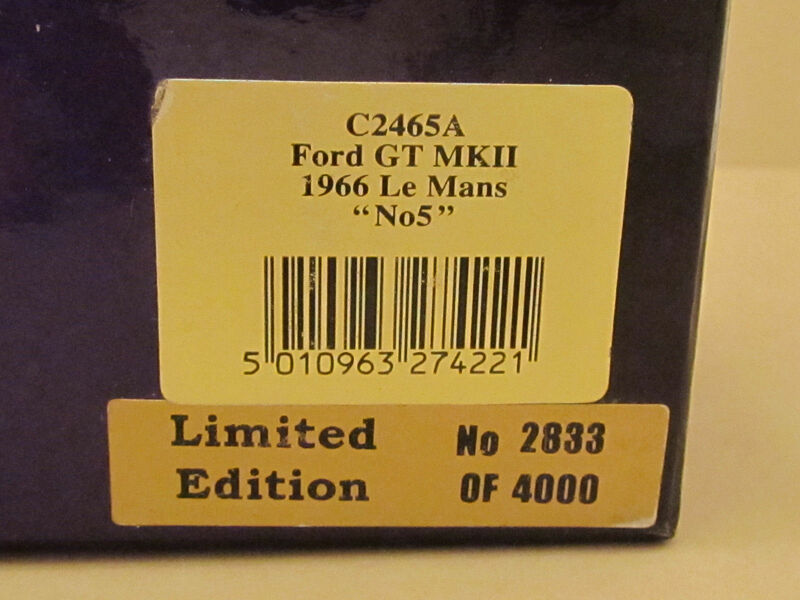 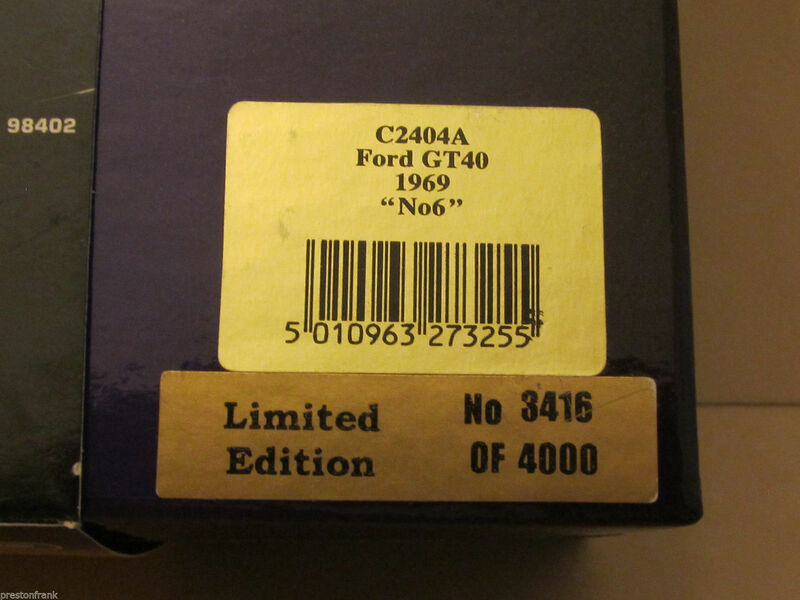 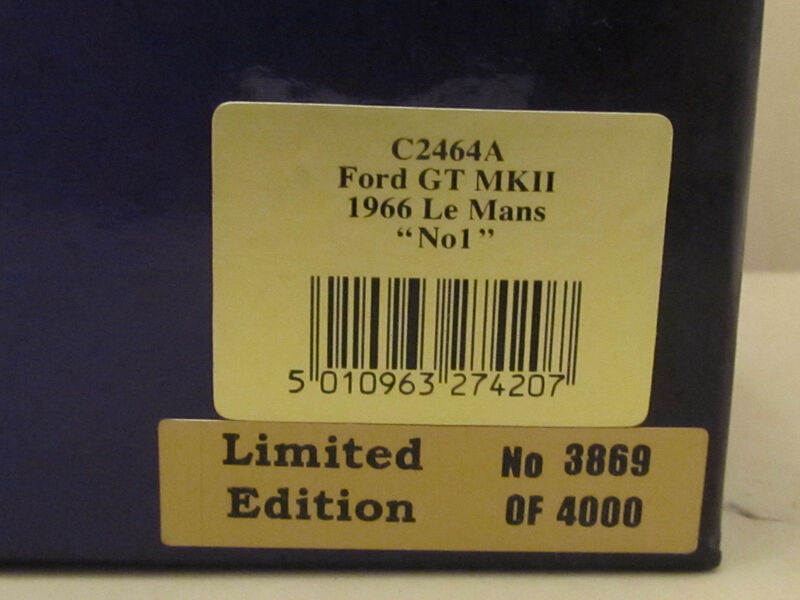 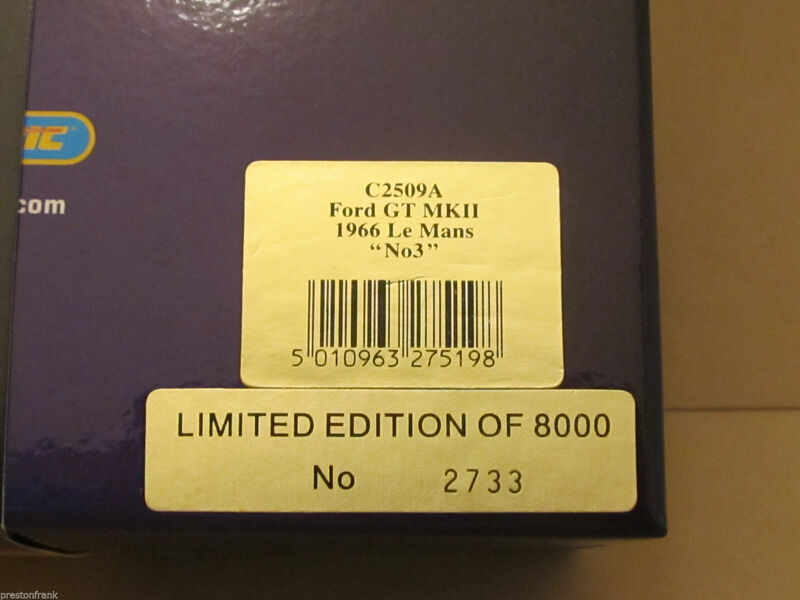 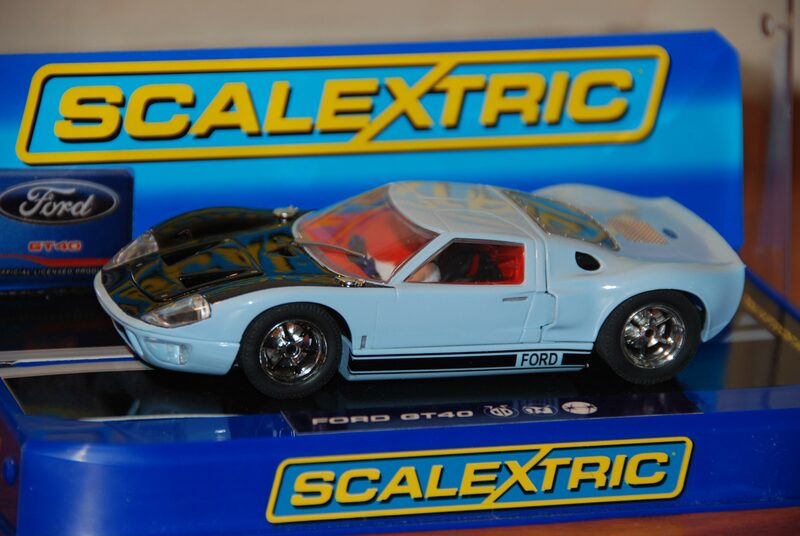 At the peak of its popularity, over 7000 Scalex models were being produced weekly. 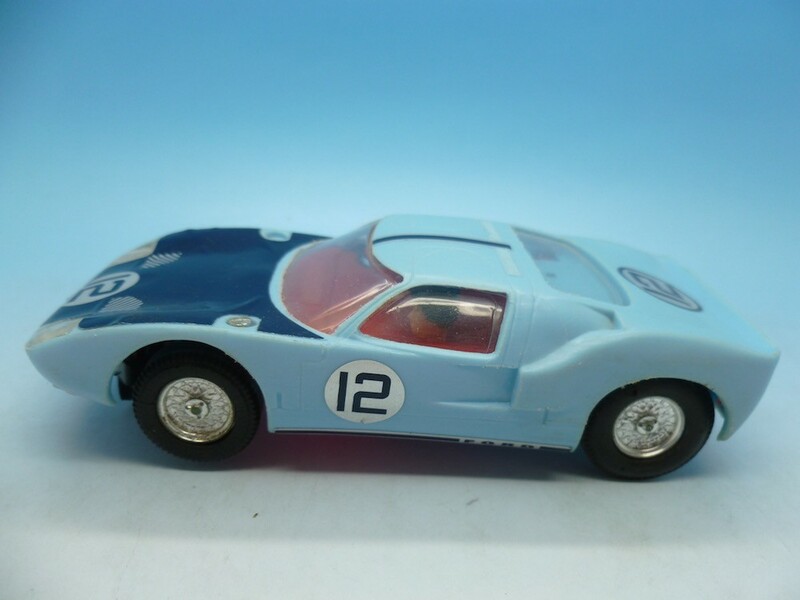 Unfortunately, by 1956 the novelty of clockwork racing cars had worn off. 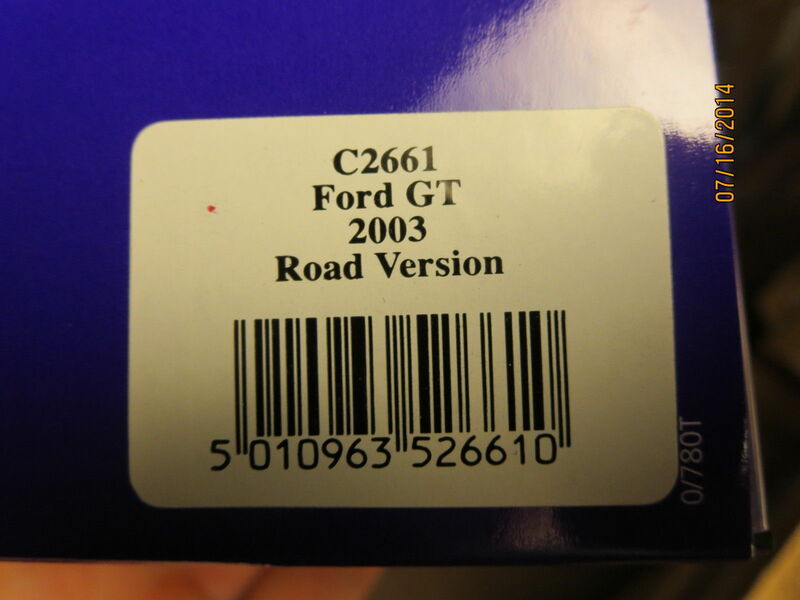 Eventually the future of the company and its 100 employees was threatened. 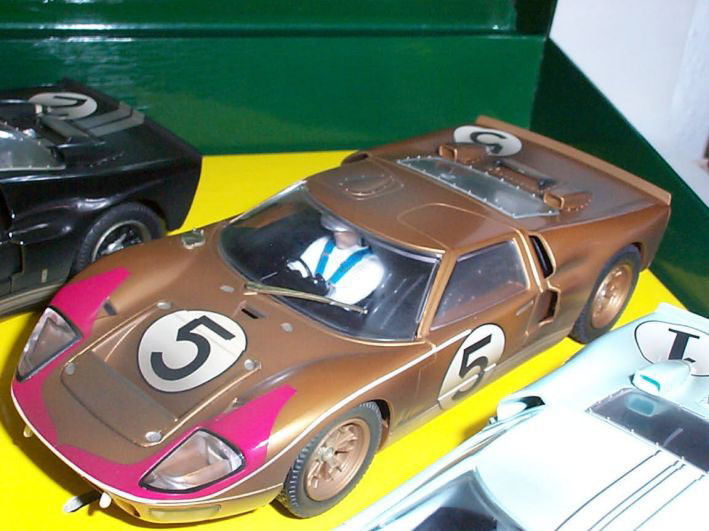 In an attempt to revive his company’s flagging fortunes, Fred Francis began to look at alternative new products that could be added to the range of toys produced. 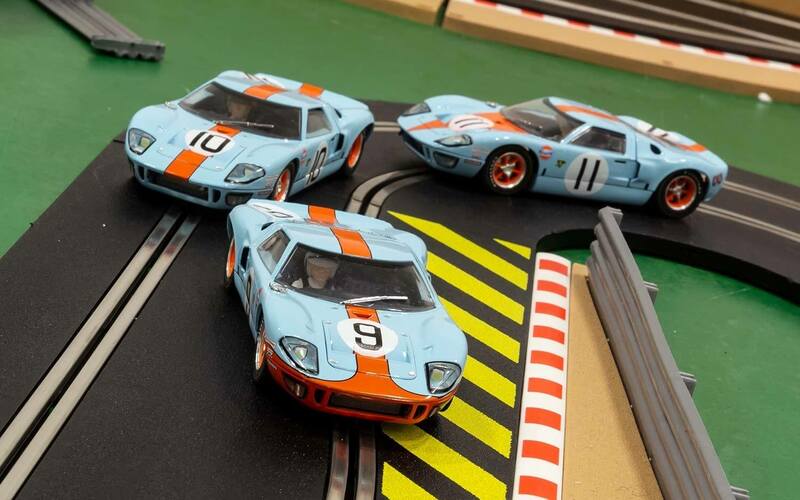 He was inspired by seeing model car racing tracks at a toy fair, but wanted to develop the idea to include the player’s control of the car. 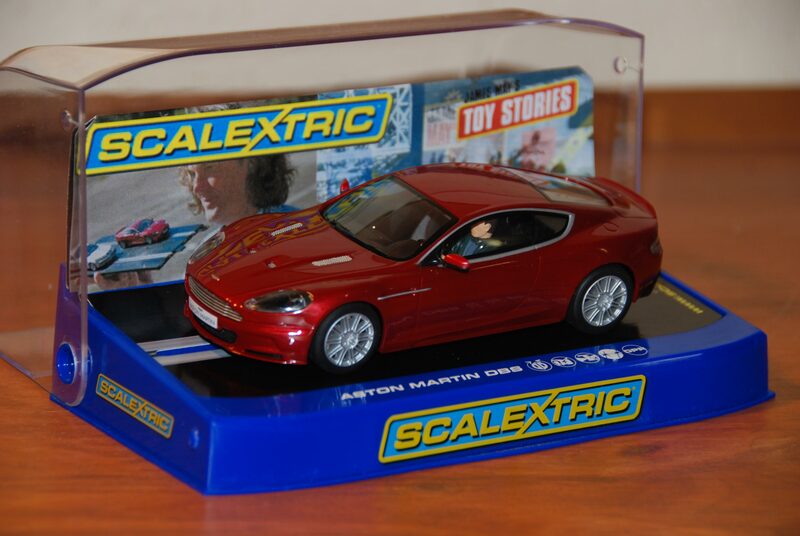 He initially experimented by putting small electric motors into his Scalex cars and running them on model railway track. 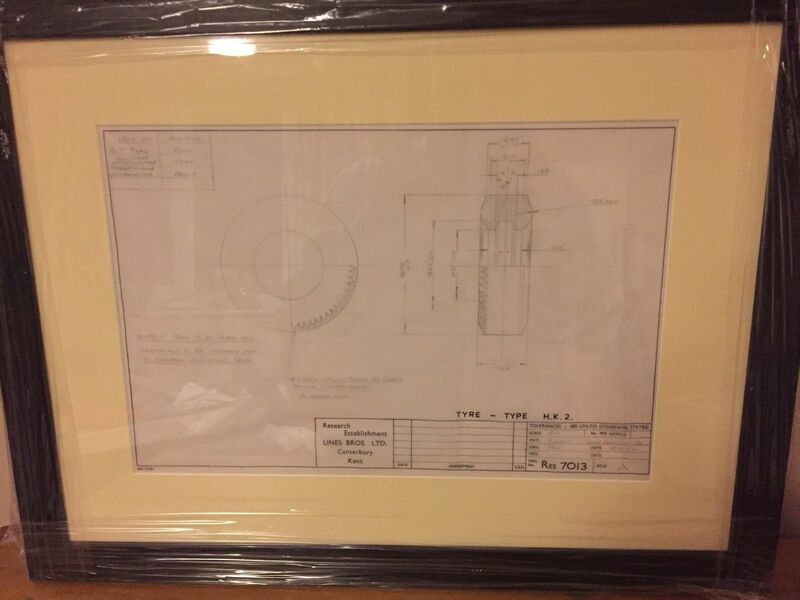 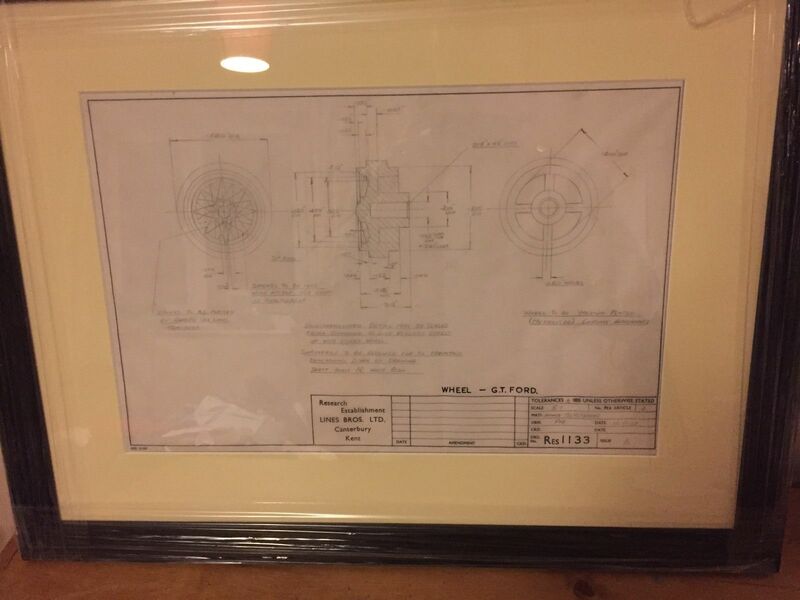 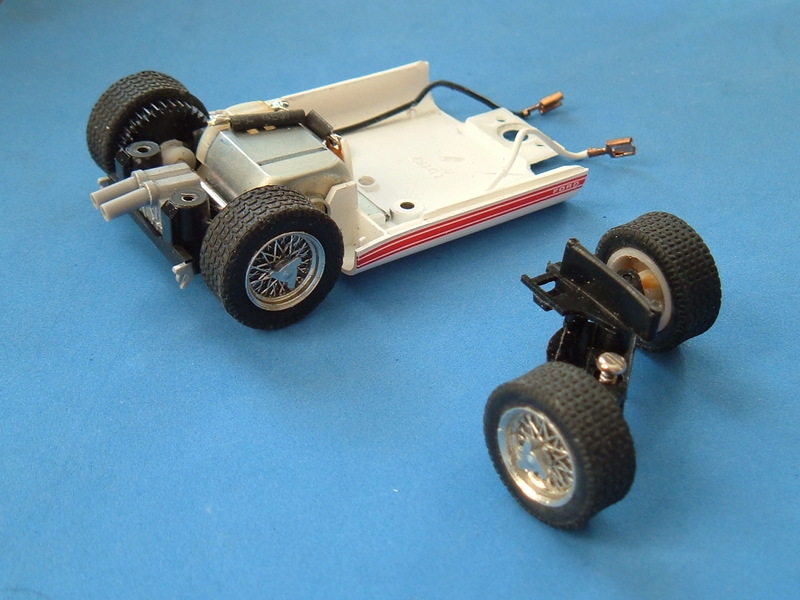 He then introduced a rubber slotted track, electrical current was provided to the motor by means of a ‘gimbal’ wheel which sat in the groove of the track and picked up the electrical current. 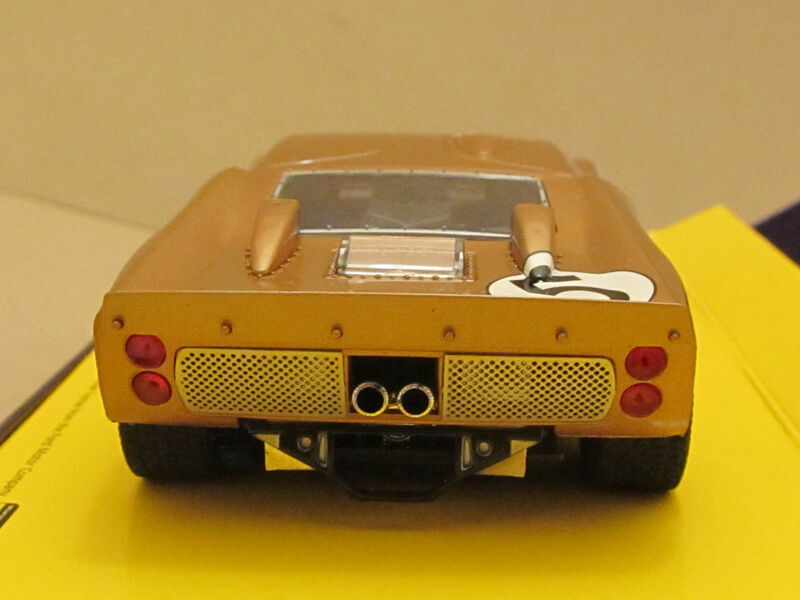 Power was supplied by batteries hidden in a little cardboard hut, with players having their own on-off button to control their cars. 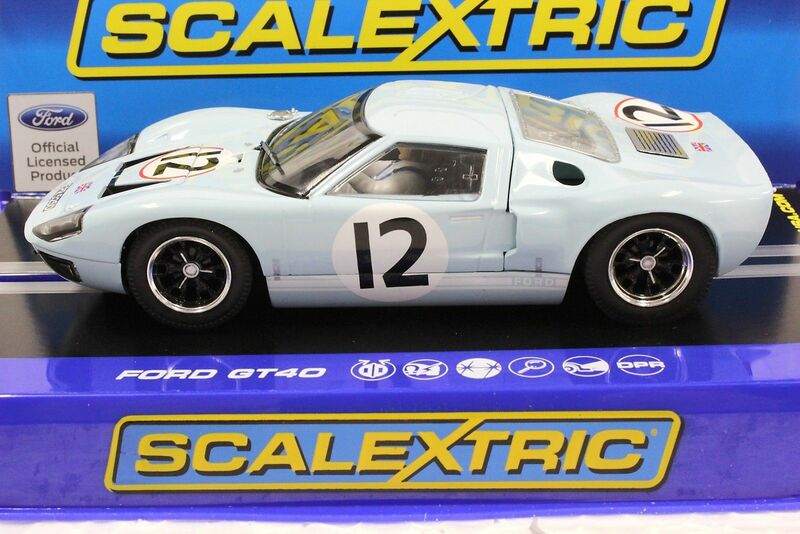 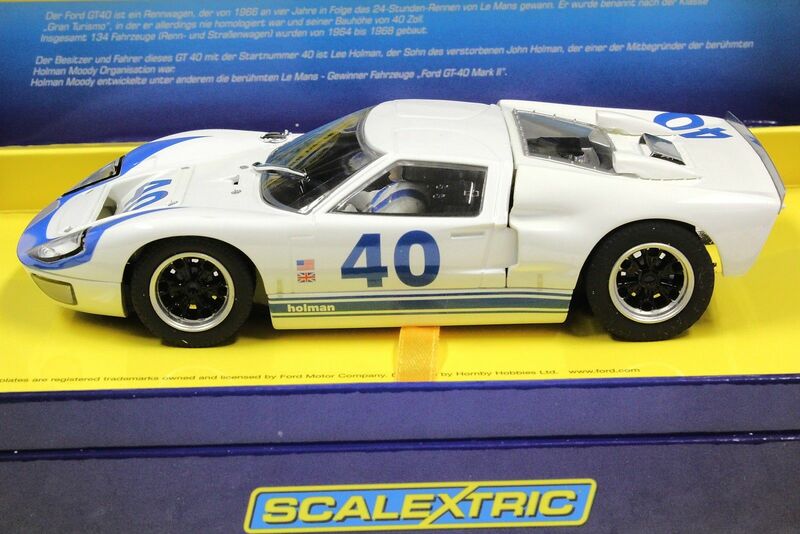 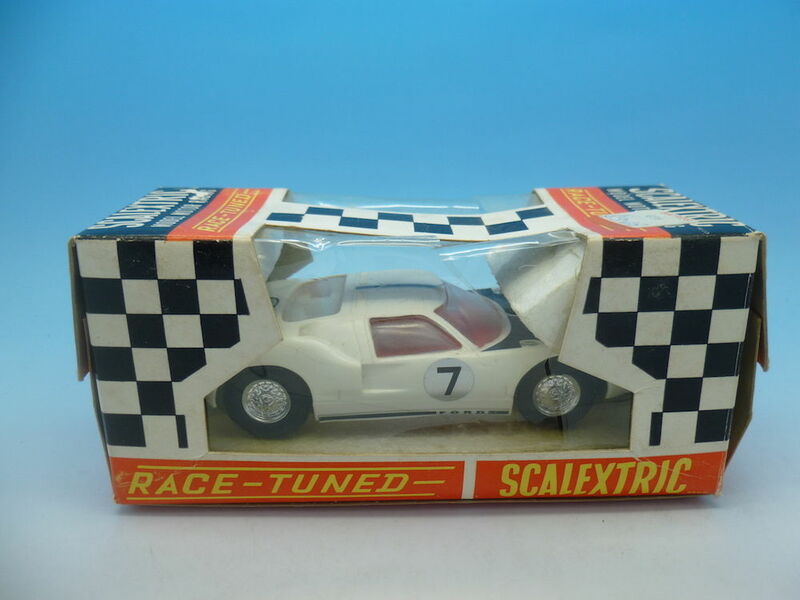 Scalextric was unveiled at the Harrogate Toy Fair in 1957 to immediate acclaim. 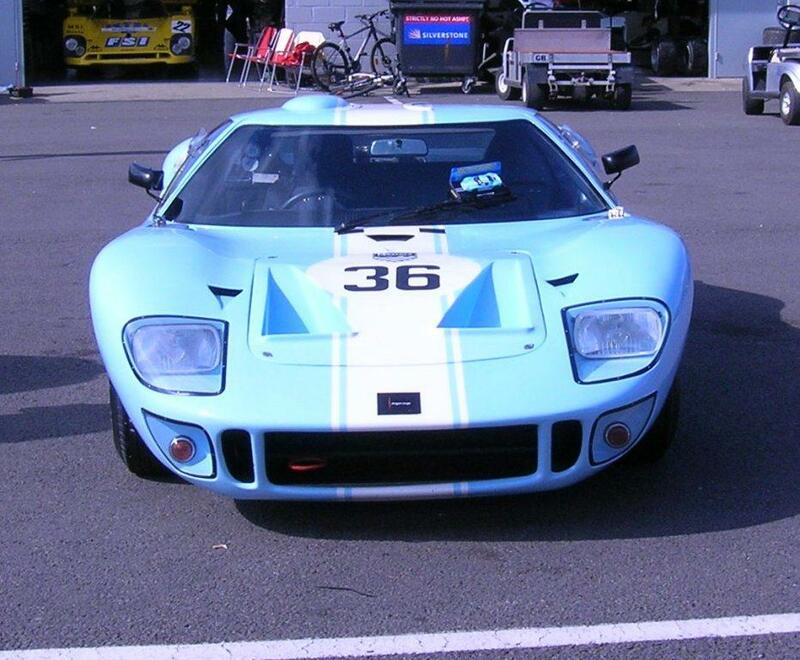 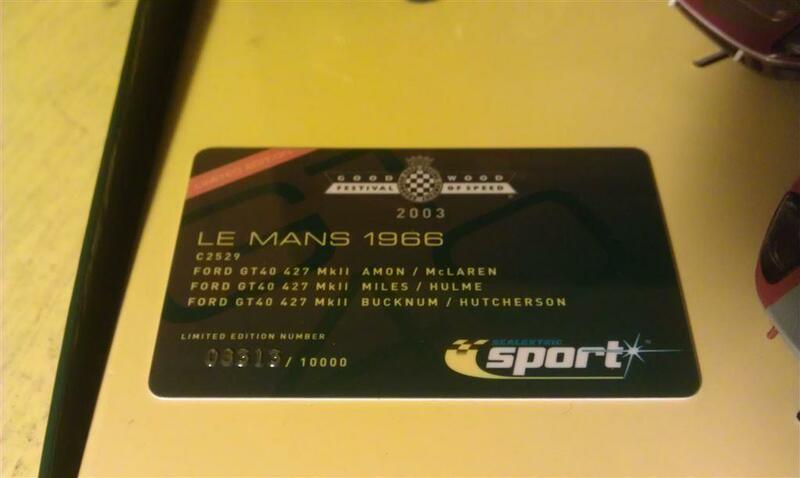 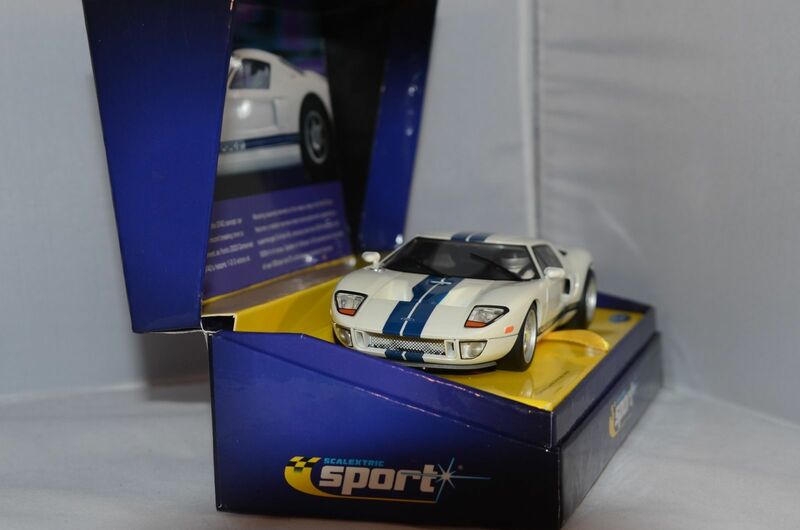 It appealed to both adults and children, combining speed, competition and the glamour of Formula One motor racing. 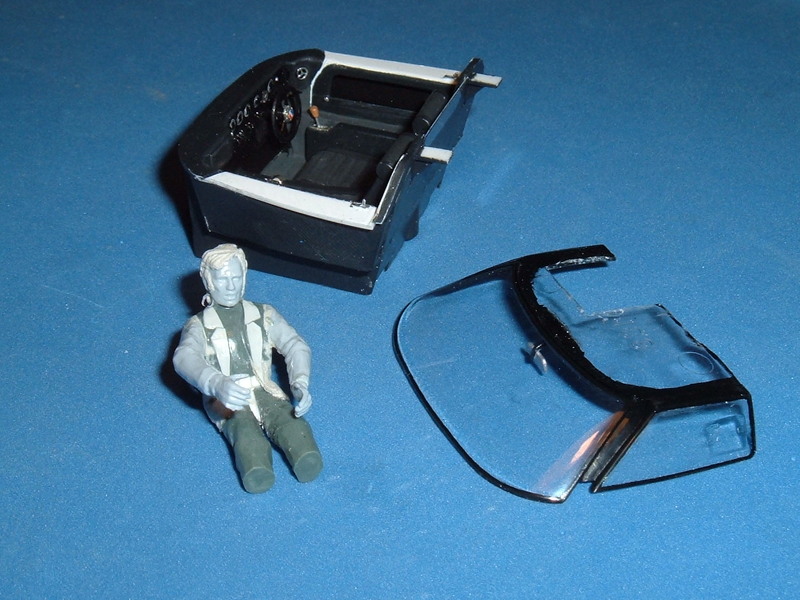 Demand for the toy was immense and the Minimodels factory struggled to keep up with the orders. 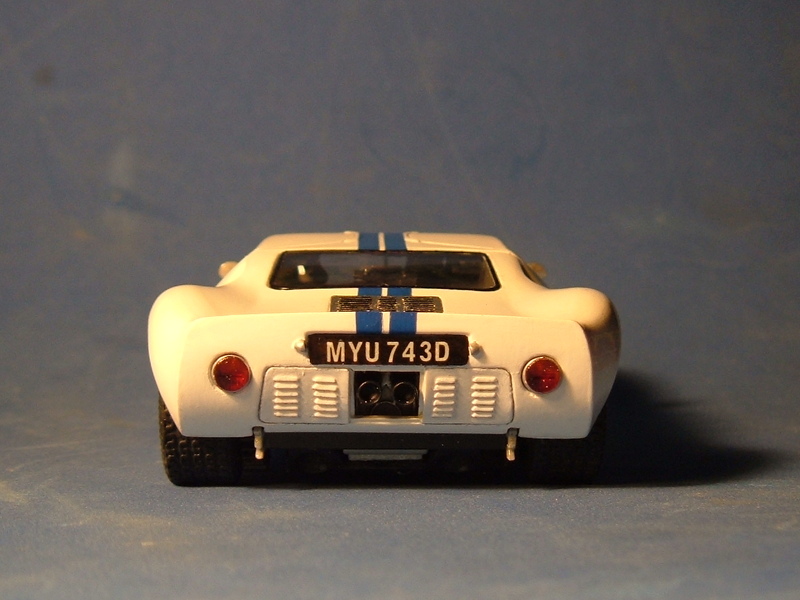 In 1958 Fred Francis sold the Minimodels company to Lines Brothers (who operated as Tri-ang). 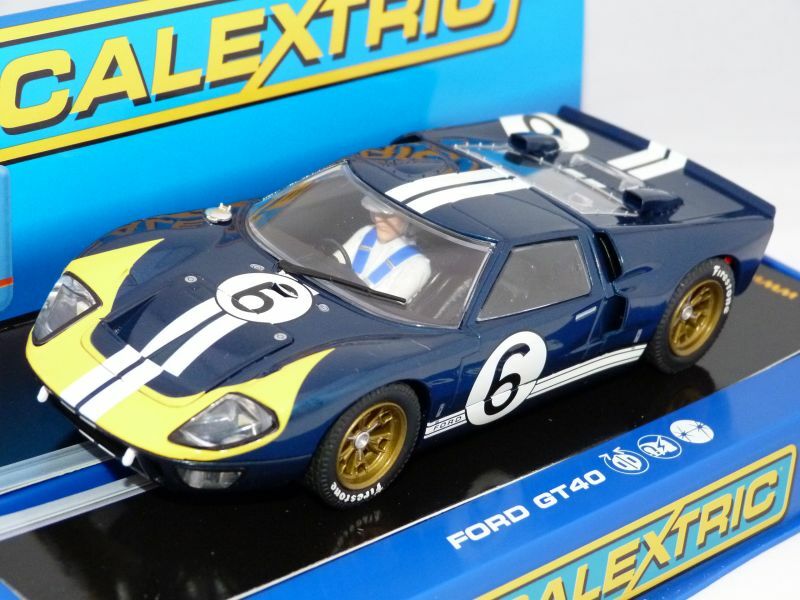 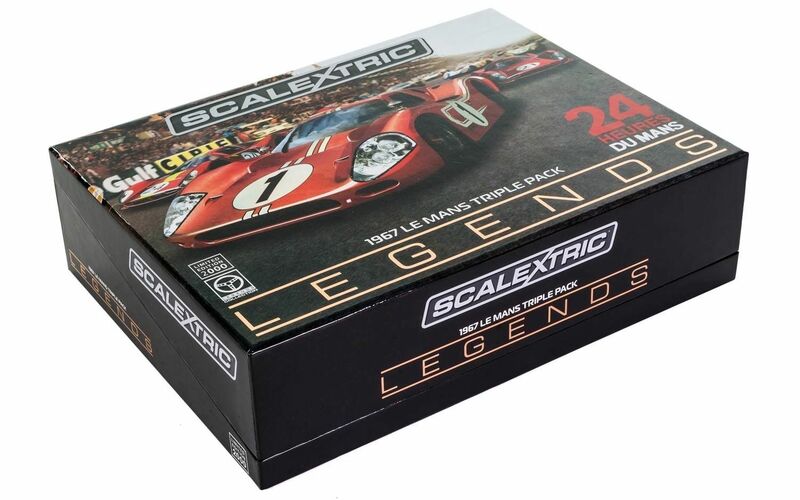 The popularity of Scalextric continued and in 1960 plastic bodies replaced the original tinplate and in 1961 production moved to a new factory in the Leigh Park area of Havant. 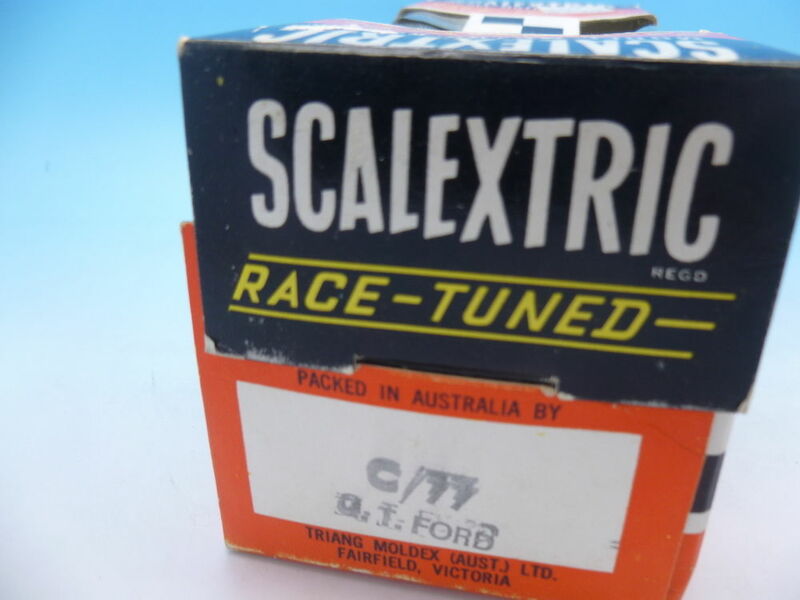 By 1964 Scalextric was being advertised as ‘the most complete model motor racing system in the world’. 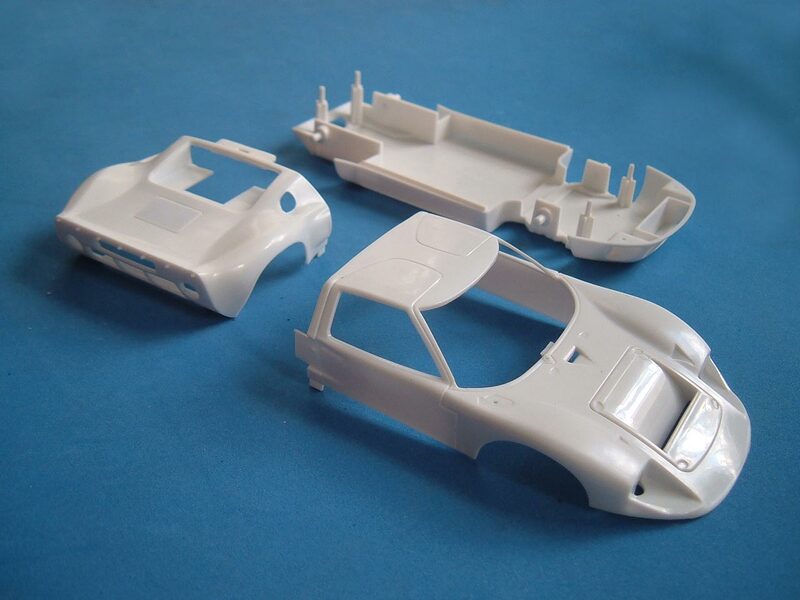 In 1964, Lines Bros Ltd., the parent company of Tri-ang, purchased Meccano Ltd. and merged Hornby and Tri-ang into Tri-ang Hornby. 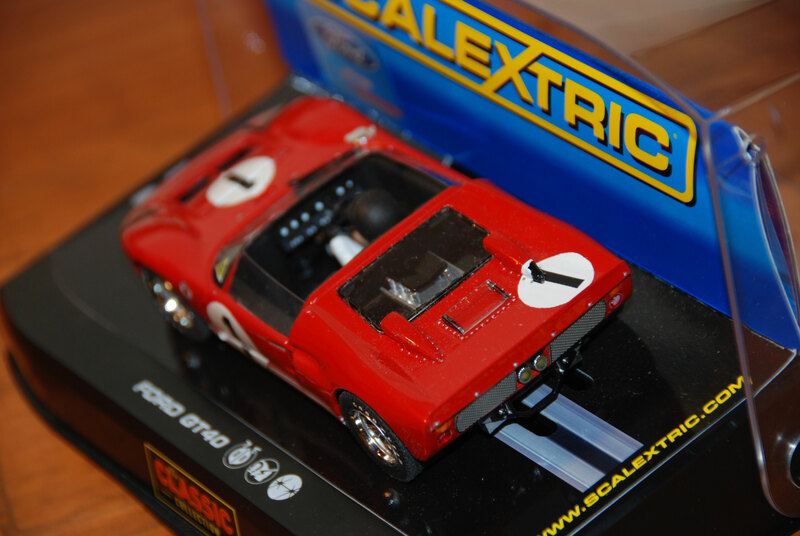 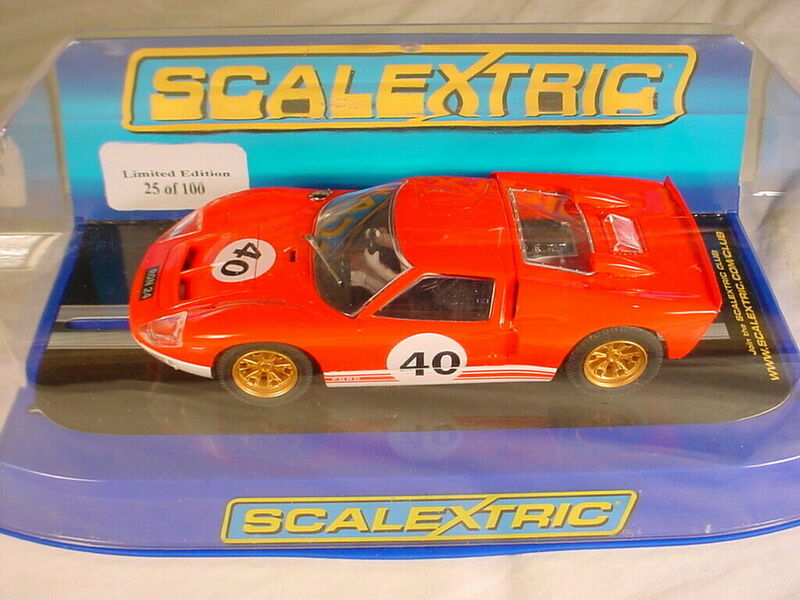 Production of Scalextric was transferred to Rovex, a subsidiary of Tri-ang in 1968, although the Minimodels factory remained open until the early 70s. 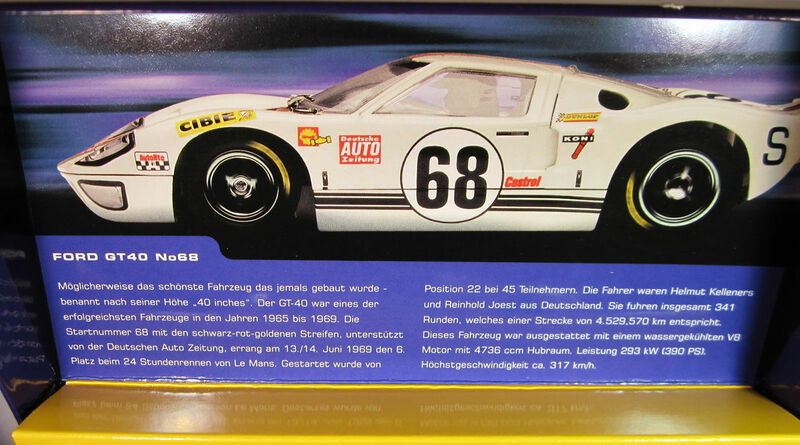 The Tri-ang group was then disbanded in 1971 when Lines Bros. filed for bankruptcy. 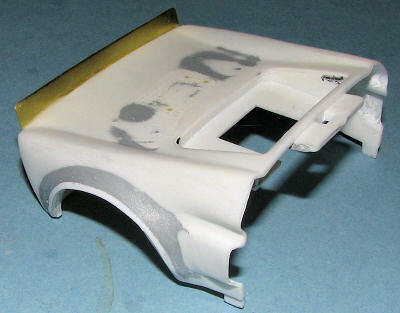 The former ri-ang Hornby was then sold to Dunbee-Combex-Marx, becoming Hornby in 1972. 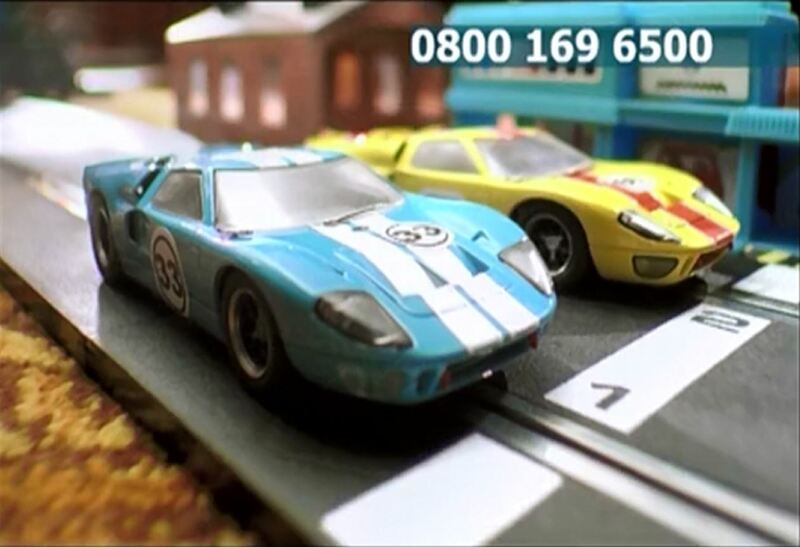 In 1980 Hornby became Hornby Hobbies and in 1981 a management buyout saw the company back on a sound footing with the company then going public in 1986. 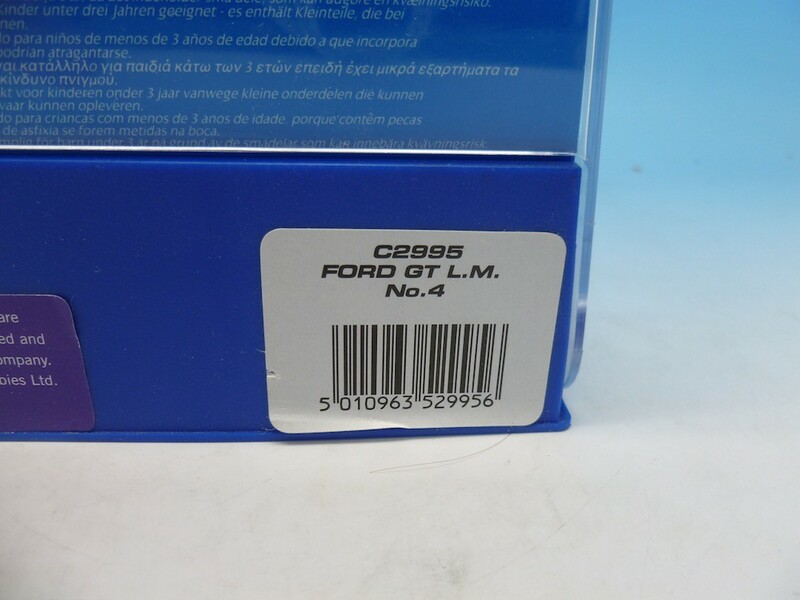 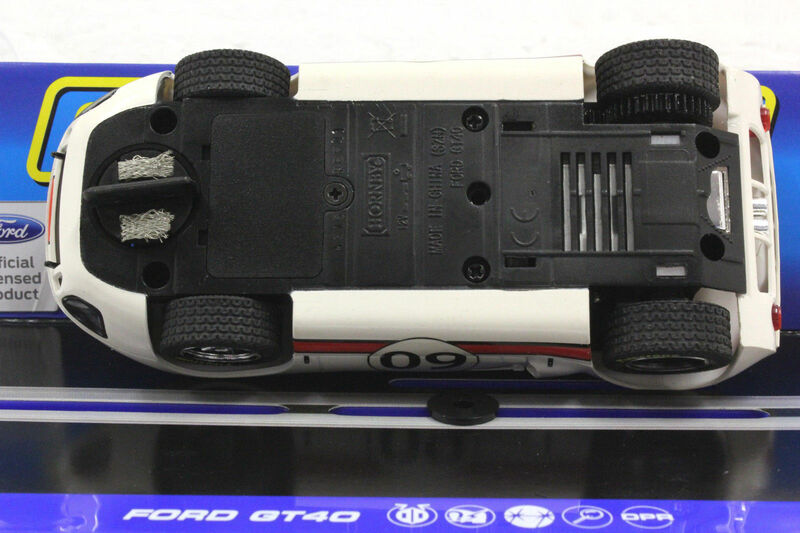 By the early 1990s Hornby again faced competition and in a cost cutting exercise established foreign manufacturers and manufacturing was moved to Guangdong province in China in 1995 and was in full swing by 1999. 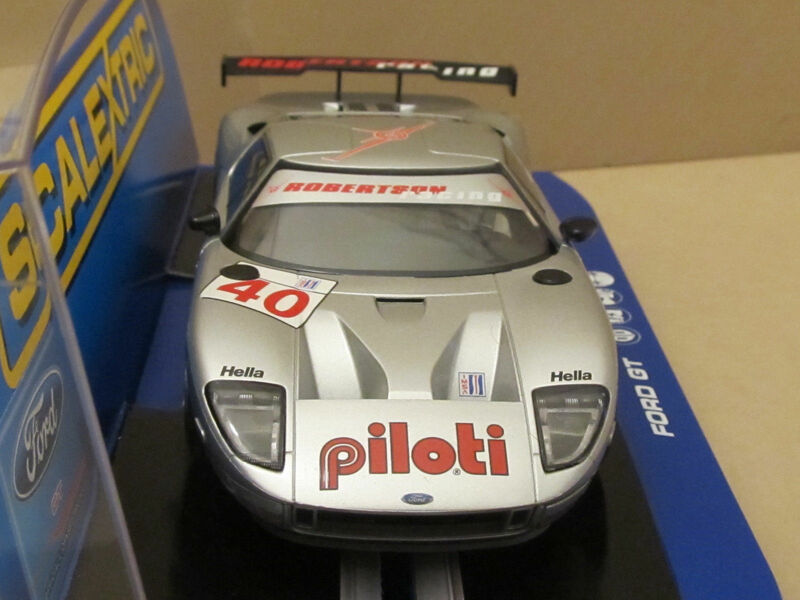 In November 2006, Hornby Hobbies acquired Airfix and Humbrol paints. 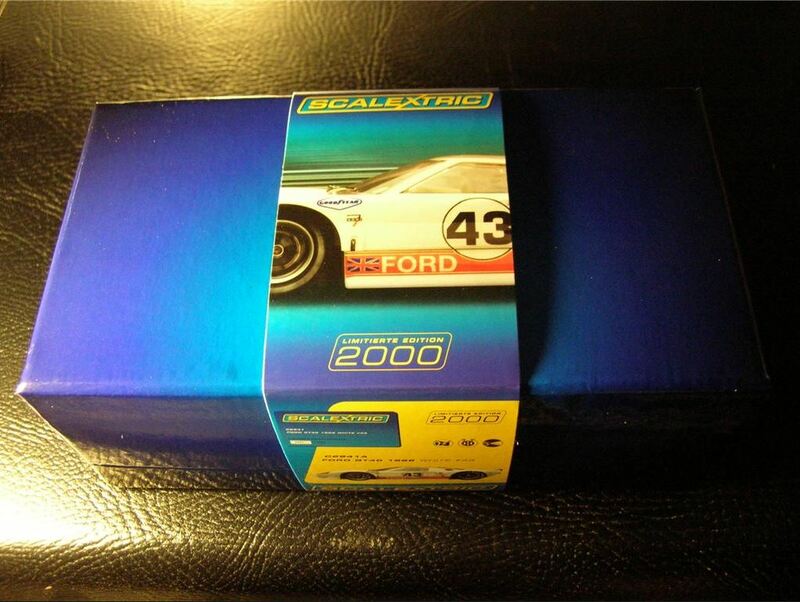 The parent company, Humbrol, had gone into administration earlier that year. 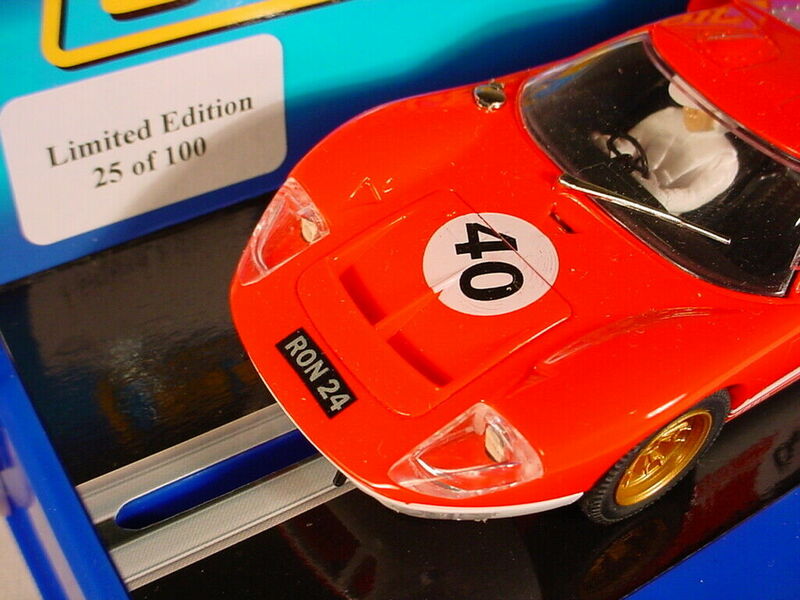 Airfix fans had been concerned that it could be the end of the brand, but just as the name Hornby was once a tradename of Meccano, Airfix is now a successful tradename of Hornby. 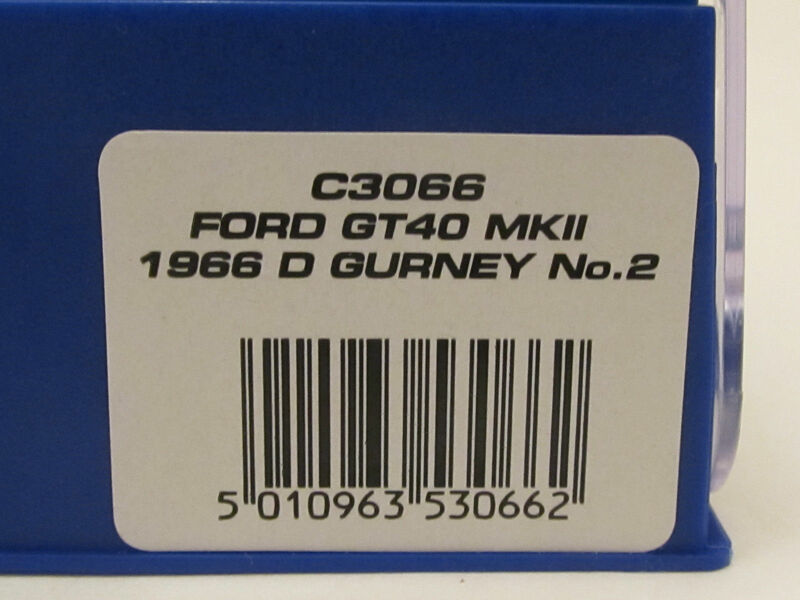 In May 2008, Hornby announced the acquisition of Corgi Classics Limited and in 2009, the Hornby Shop and Visitor Centre was in development and by Christmas 2009 saw the launch of the new Hornby Shop at Margate in Kent, with the visitor centre still in production. 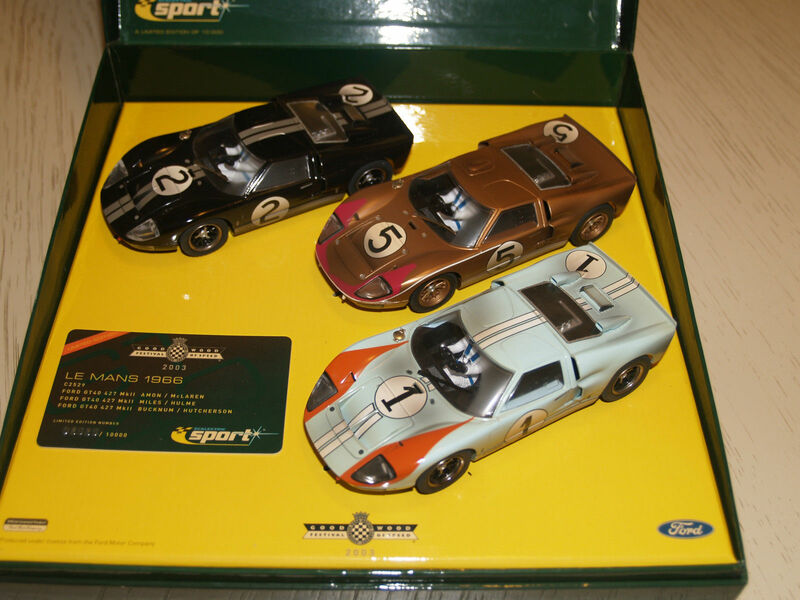 July 2010 saw the opening of the Hornby Shop and Visitor Centre. 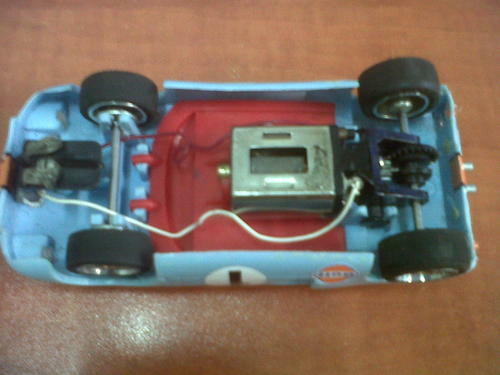 Standard track consists of straights of various lengths and corners of different radii and degree of turn. 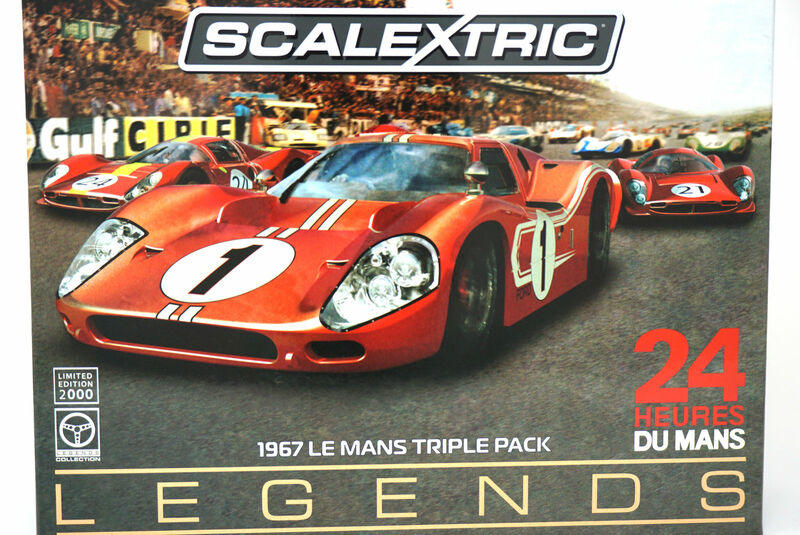 Special track includes several different styles of chicane, cross-over tracks, crossroad track and humpback bridge. 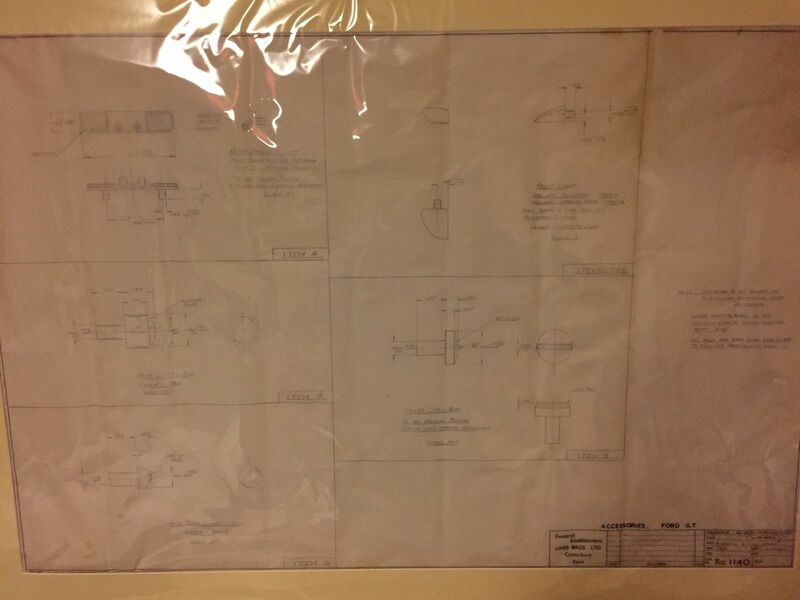 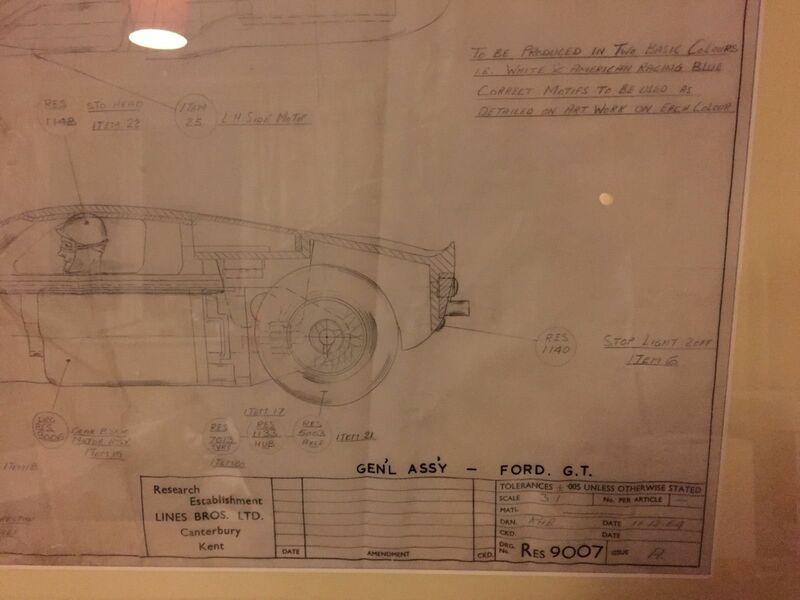 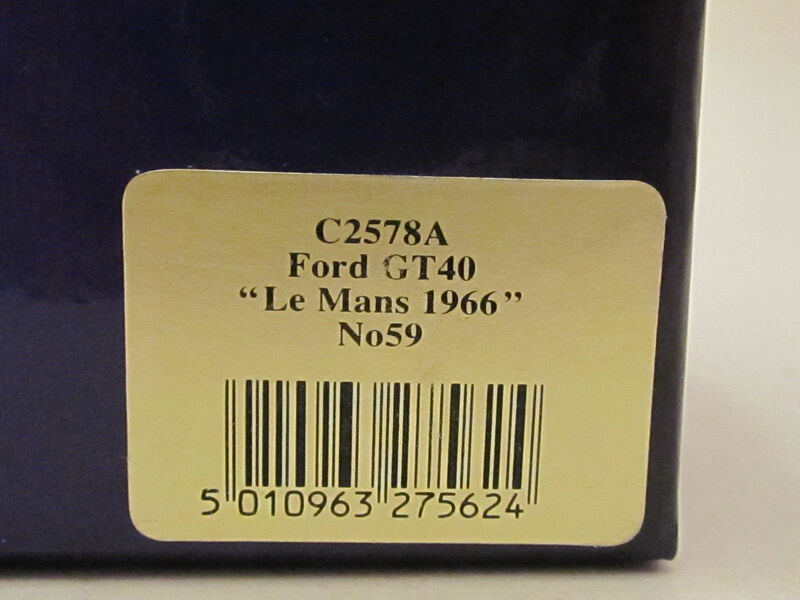 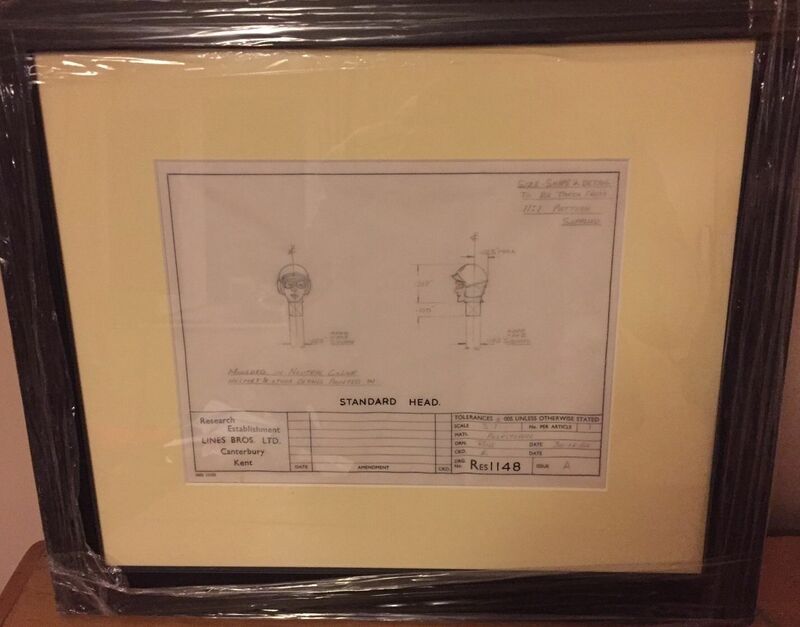 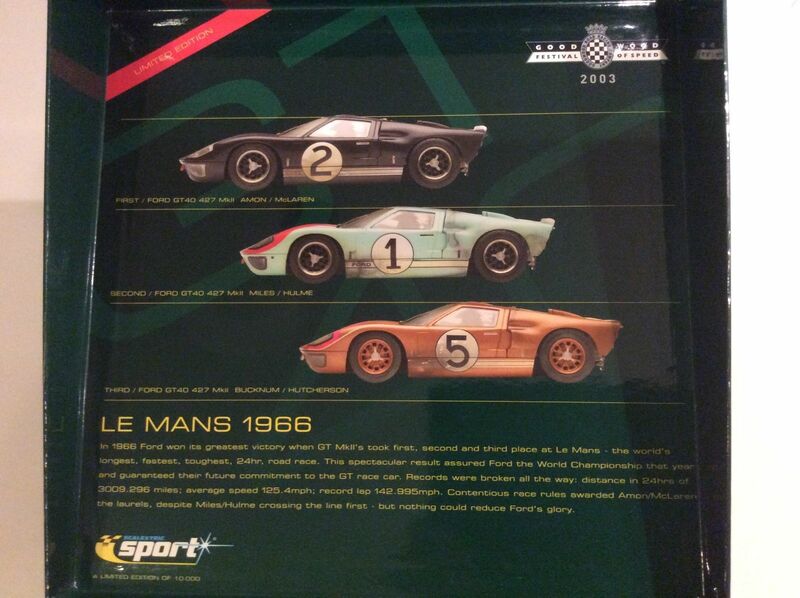 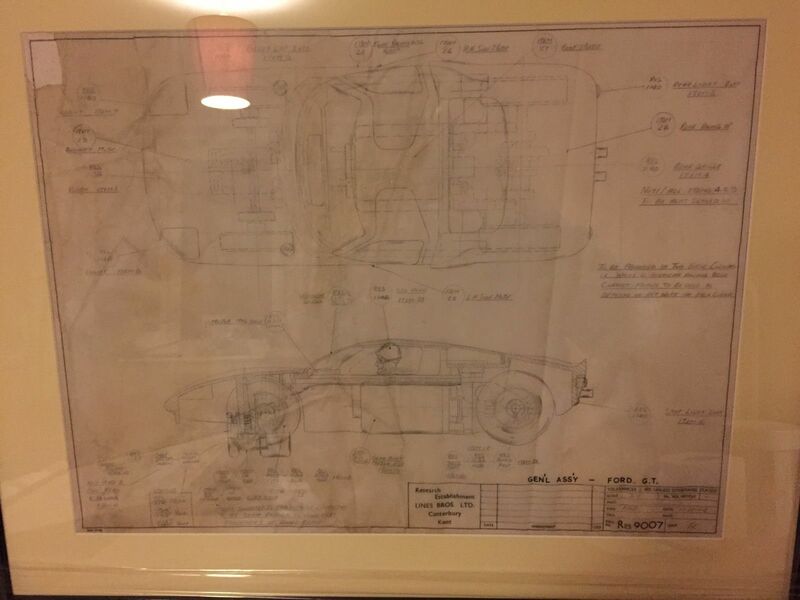 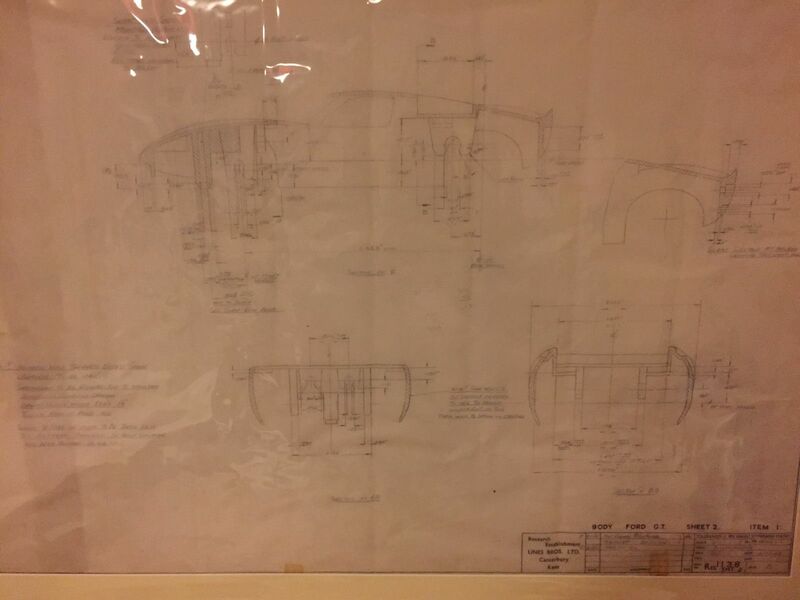 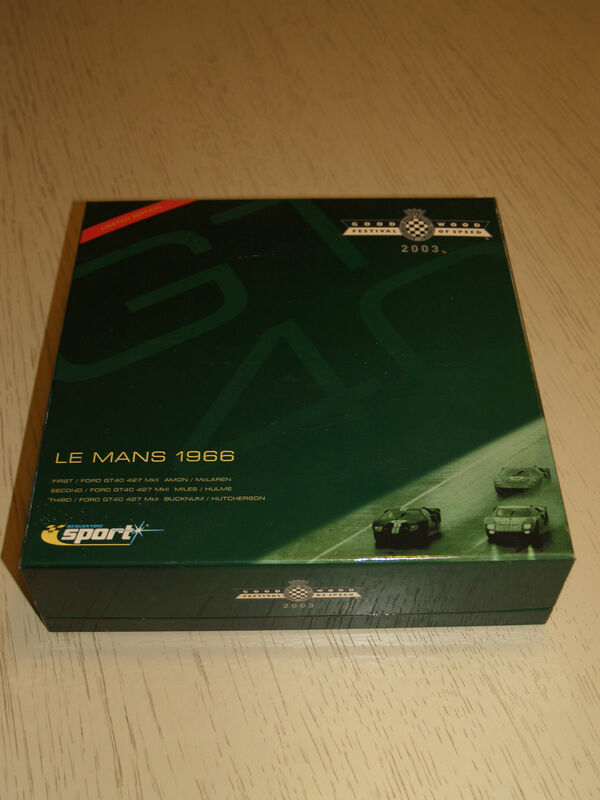 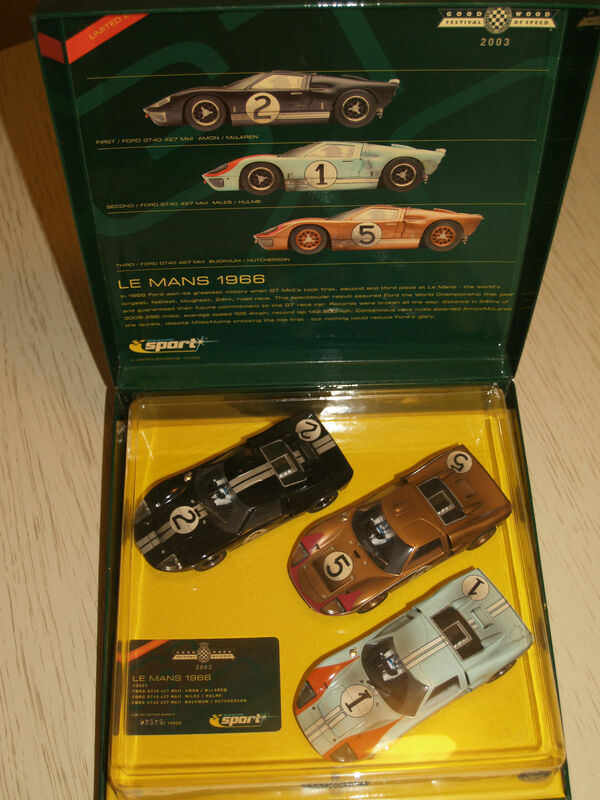 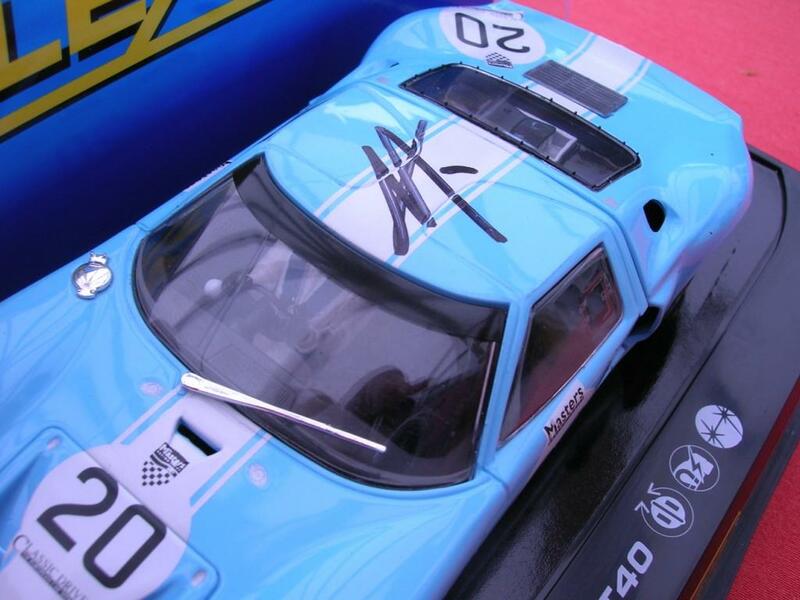 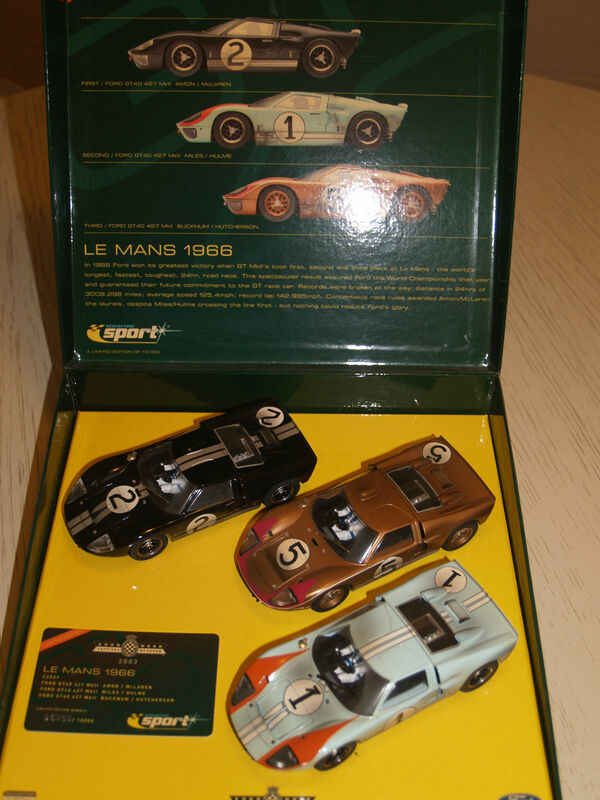 Novelty pieces were also produced which included: pit lane tracks, Le Mans start, blow-out track and loop-the-loop tracks. 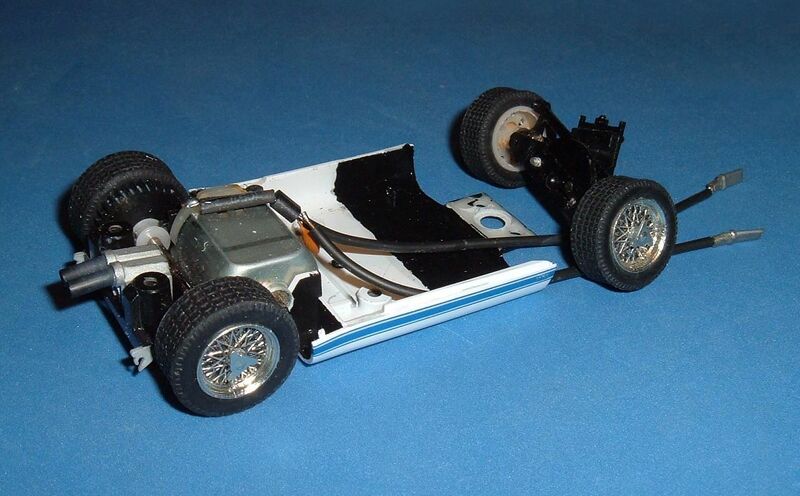 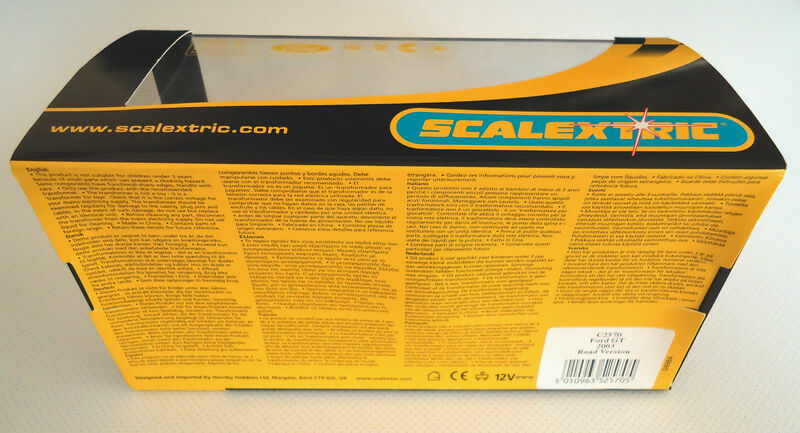 Original Scalextric Track MKI: This was made from rubber held together with separate metal clips. 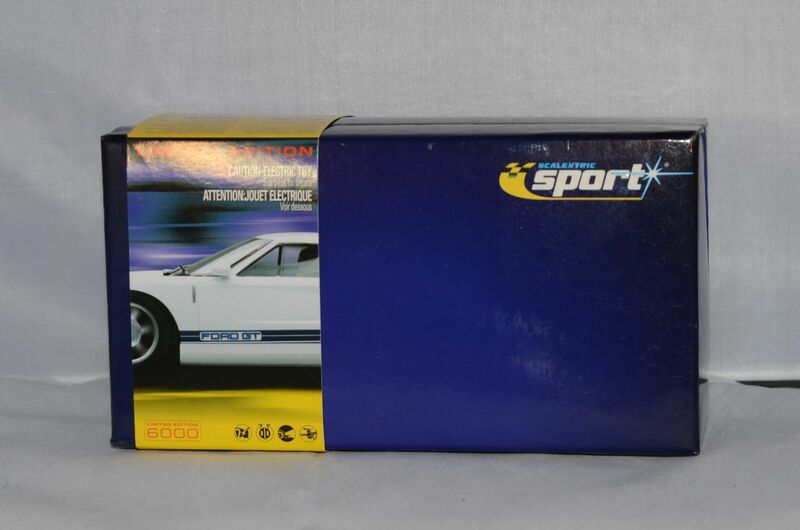 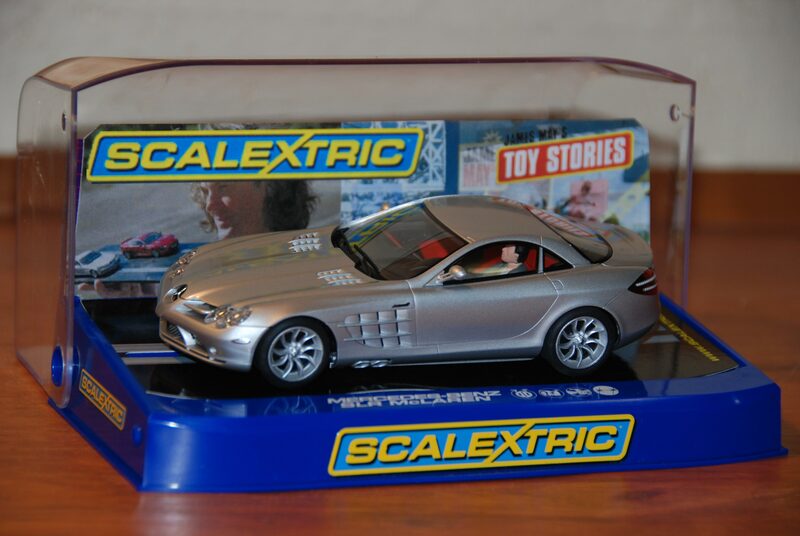 Scalextric Sport: Released in 2001, Features a smoother surface and track connectors are square and slot into place. 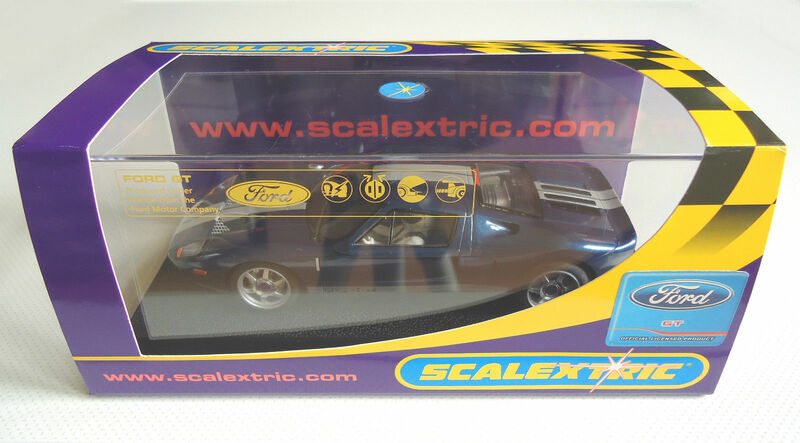 Scalextric Digital: Released in 2004 and compatible with the sports track and allows up to 6 cars to race at a time. 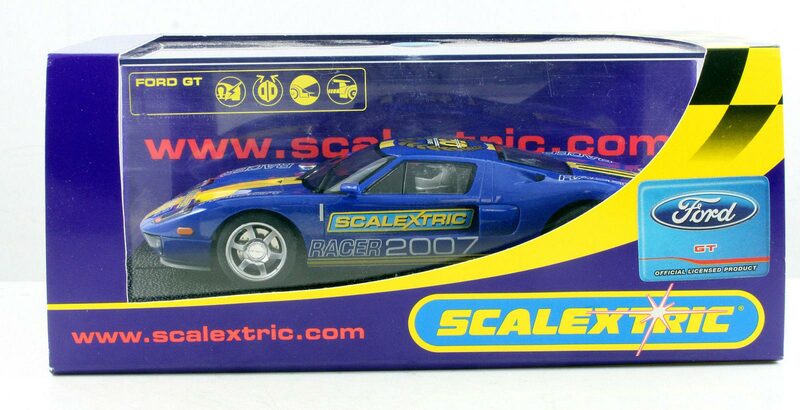 Scalextric Start: Released in 2010, Scalextric Start it has one type of straight and corner cars are fantasy models, which reduce manufacturers' licensing costs. 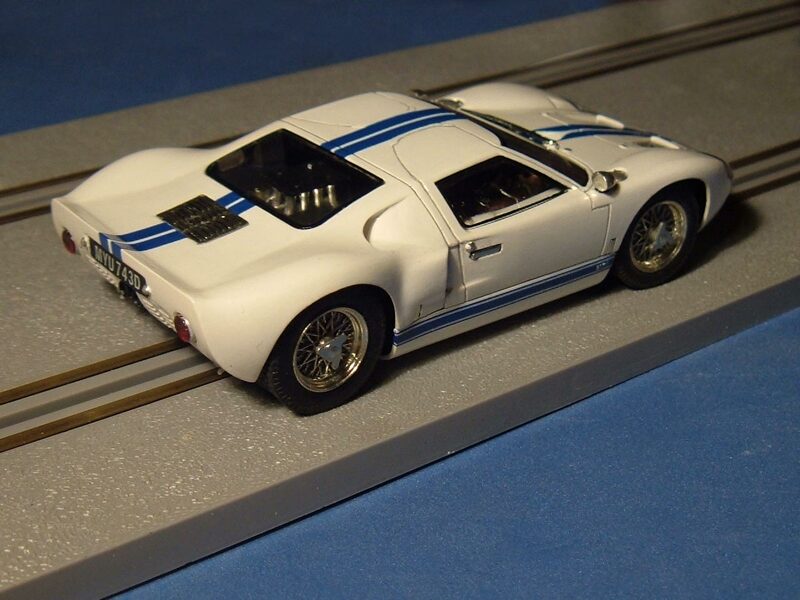 A converter track piece is available to allow the connection between Start track and Sports. 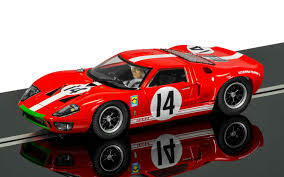 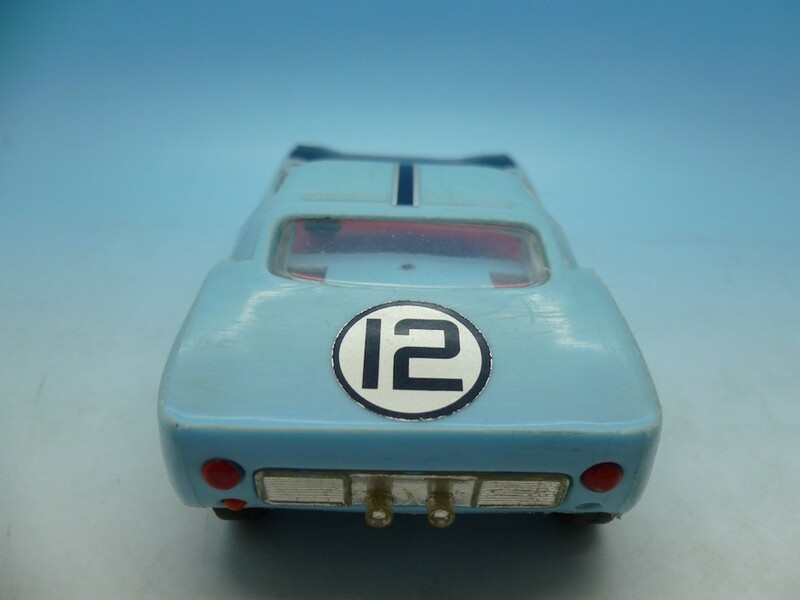 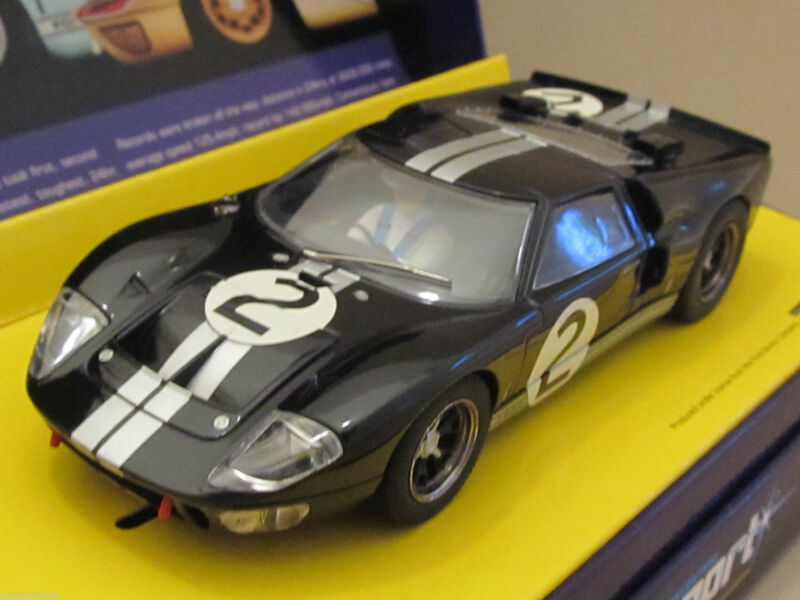 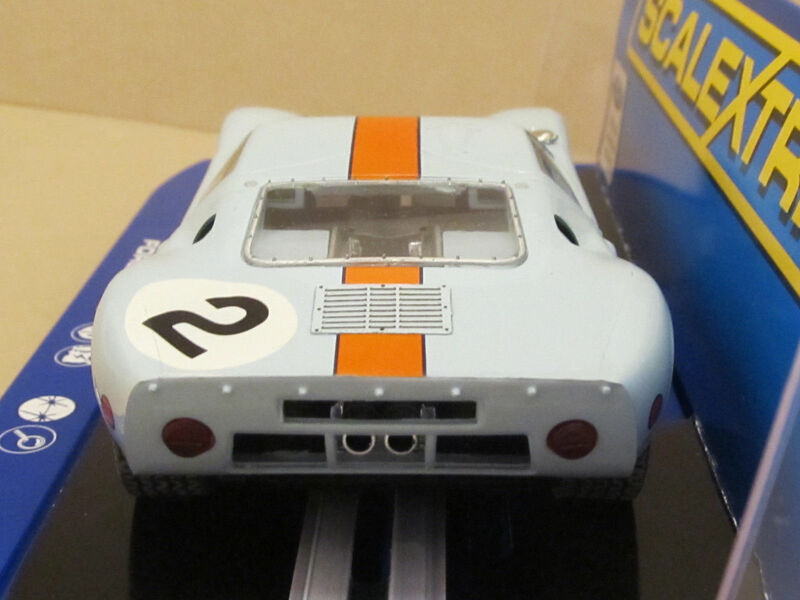 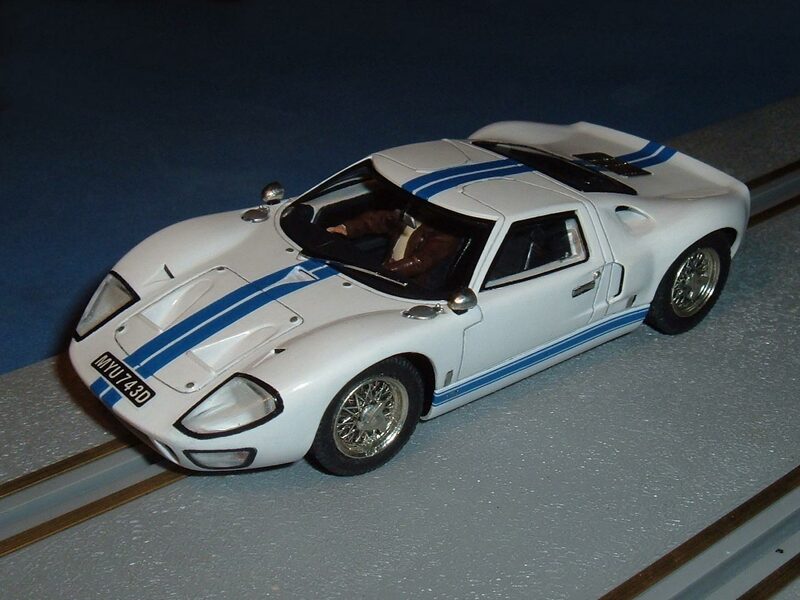 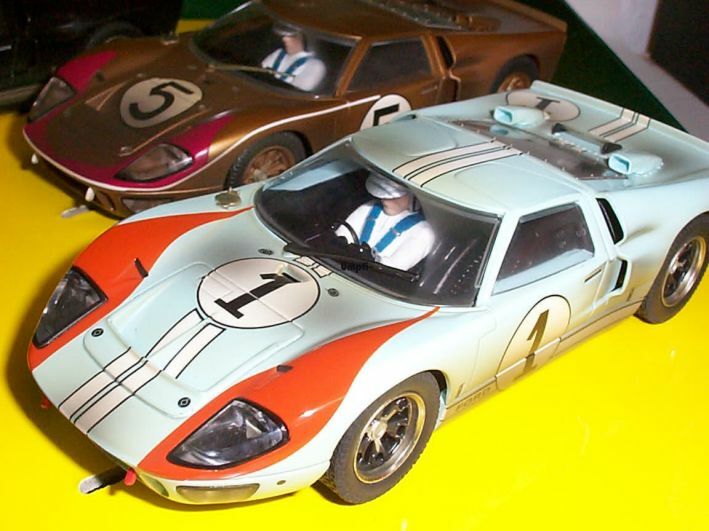 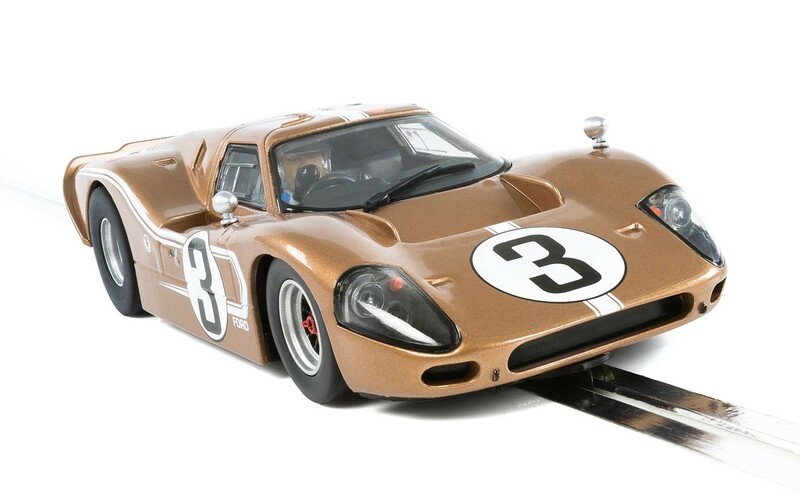 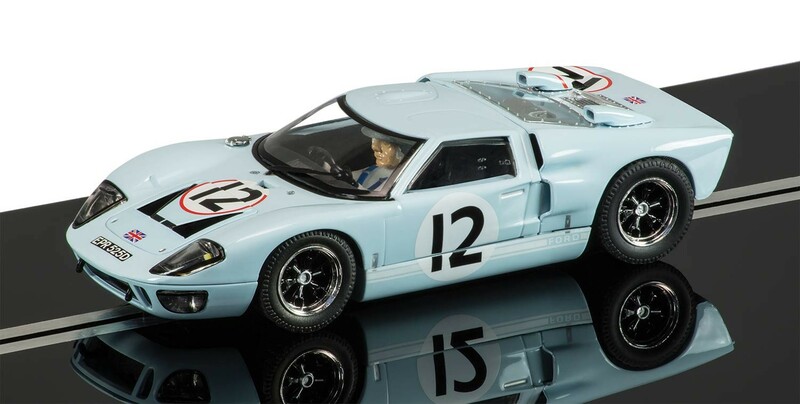 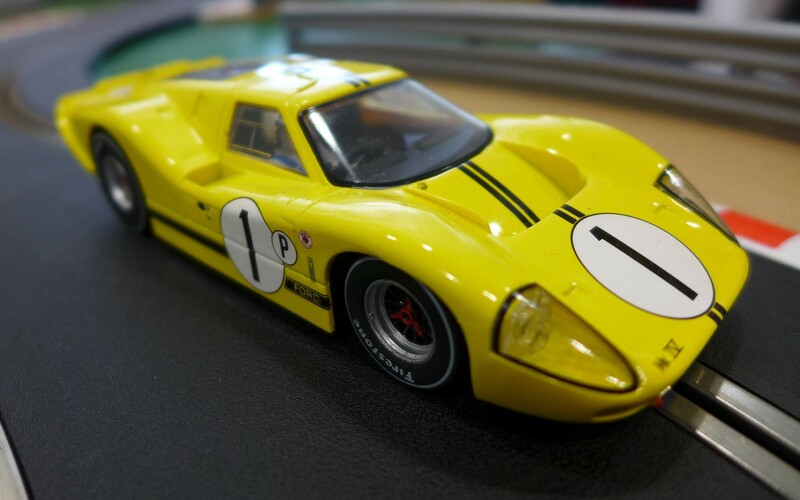 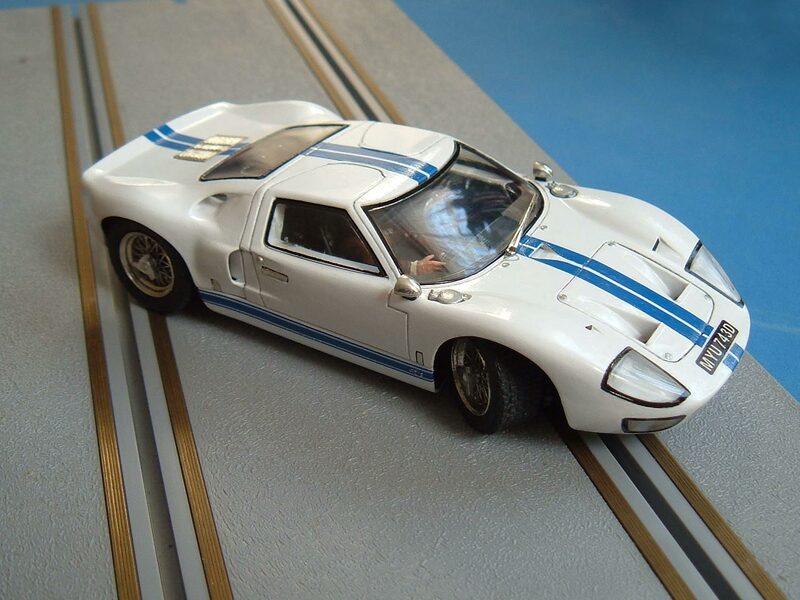 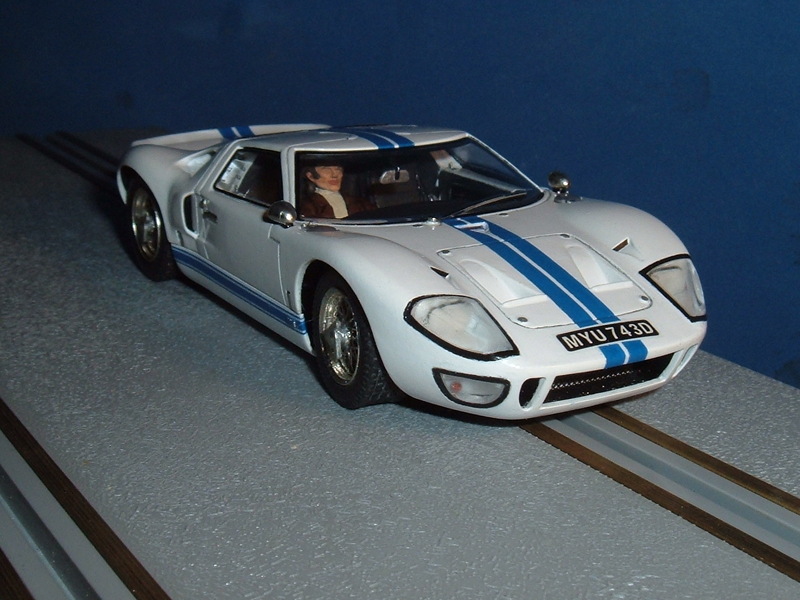 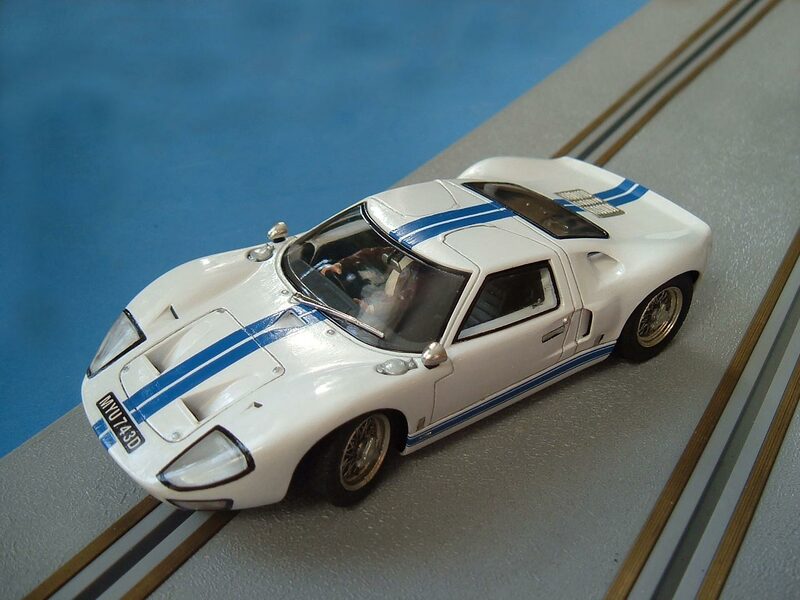 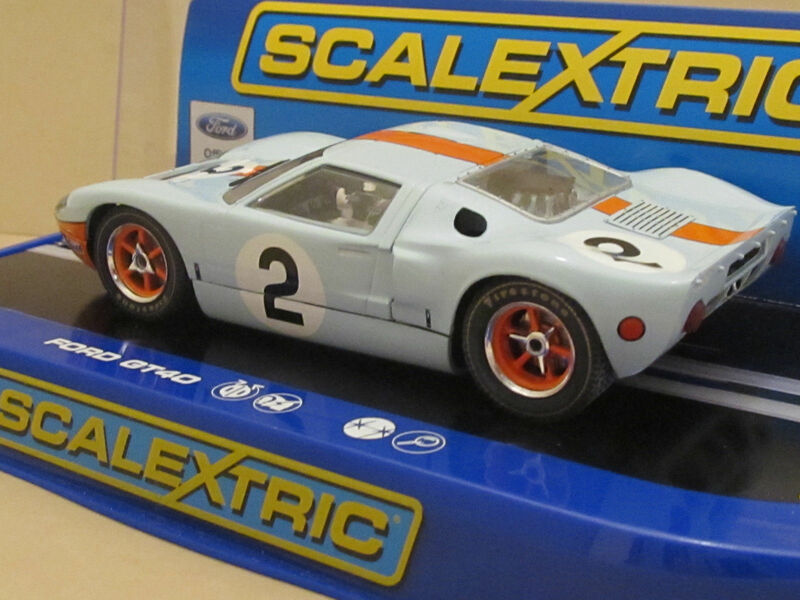 Most Scalextric models are 1:32 scale, though between 1968 and 1970 they also produced a 1:24 Scale ‘Super 124’ cars and track. 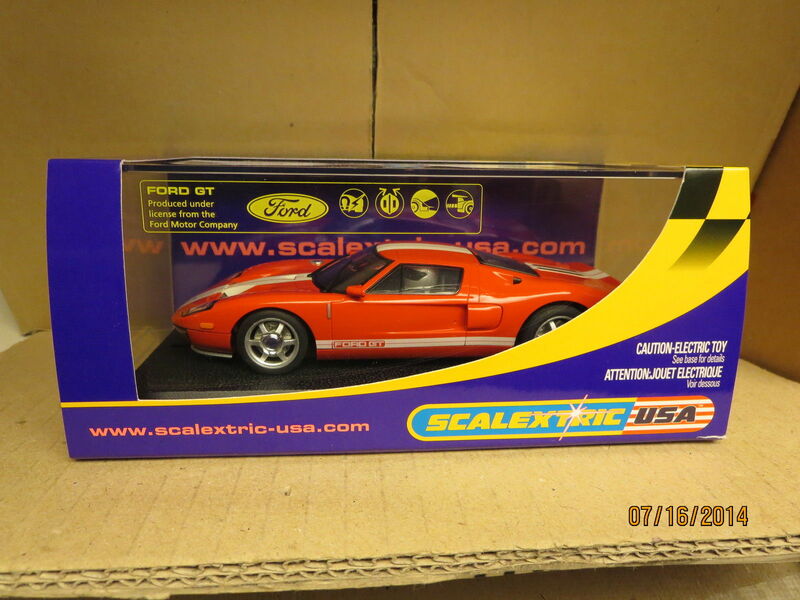 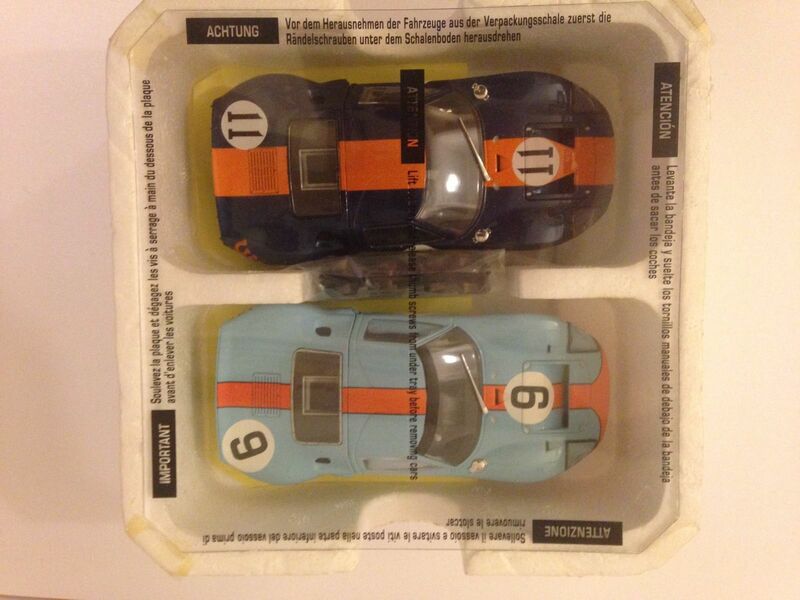 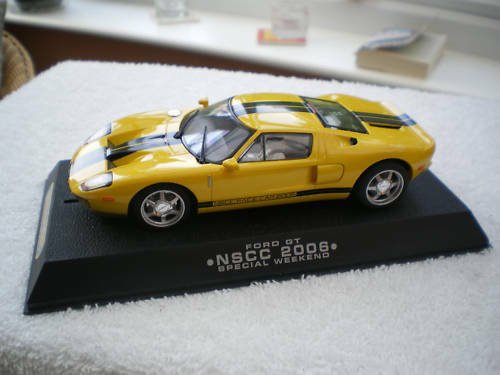 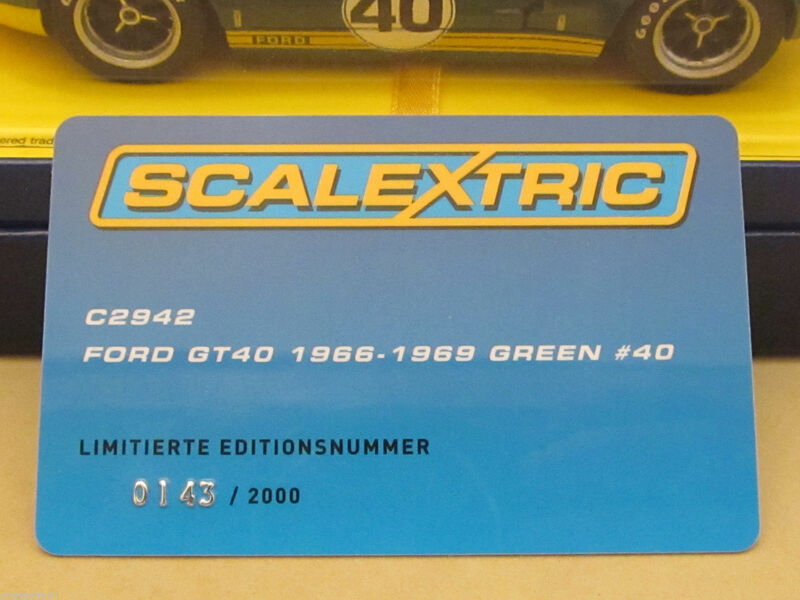 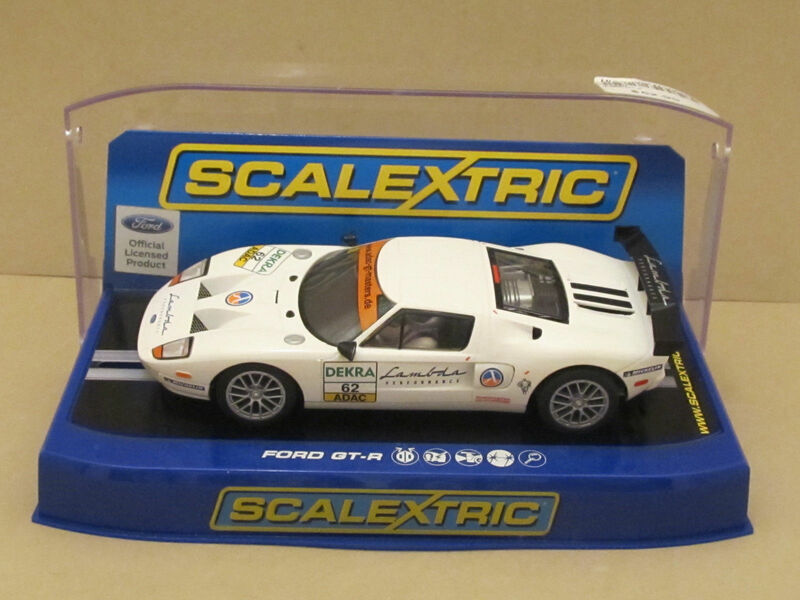 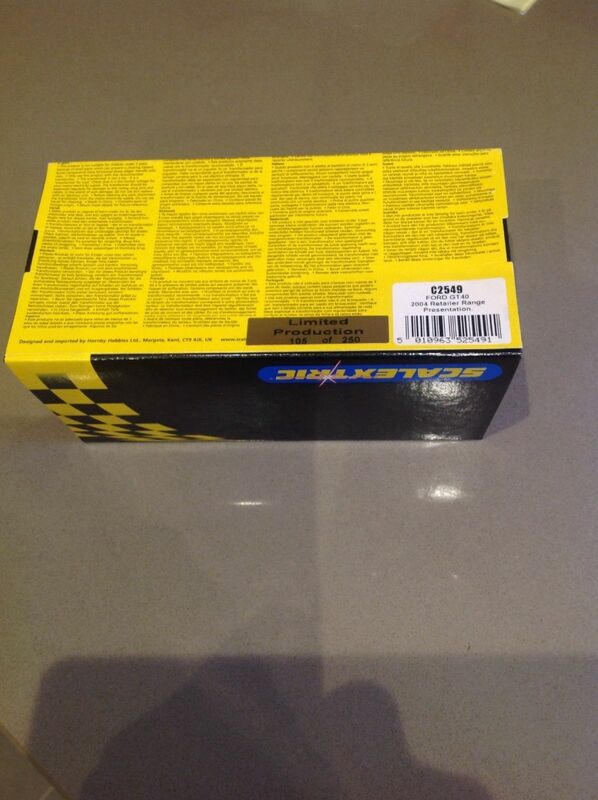 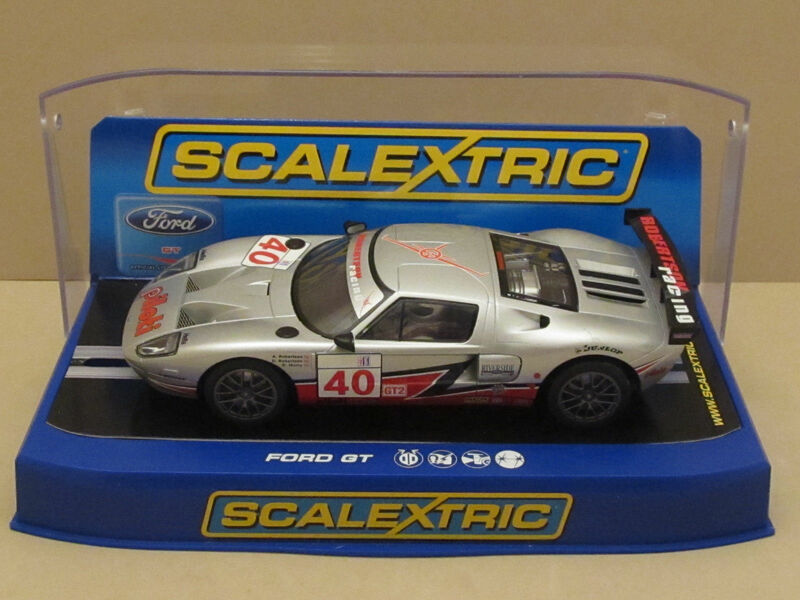 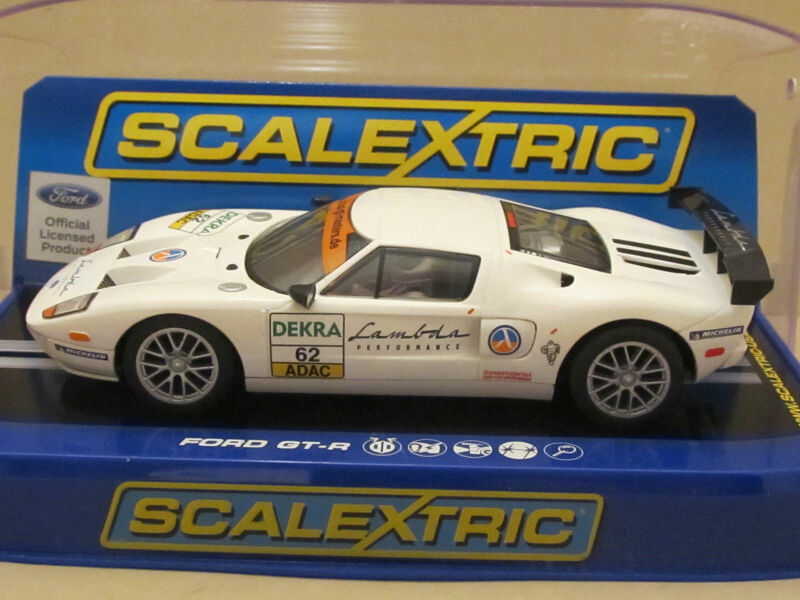 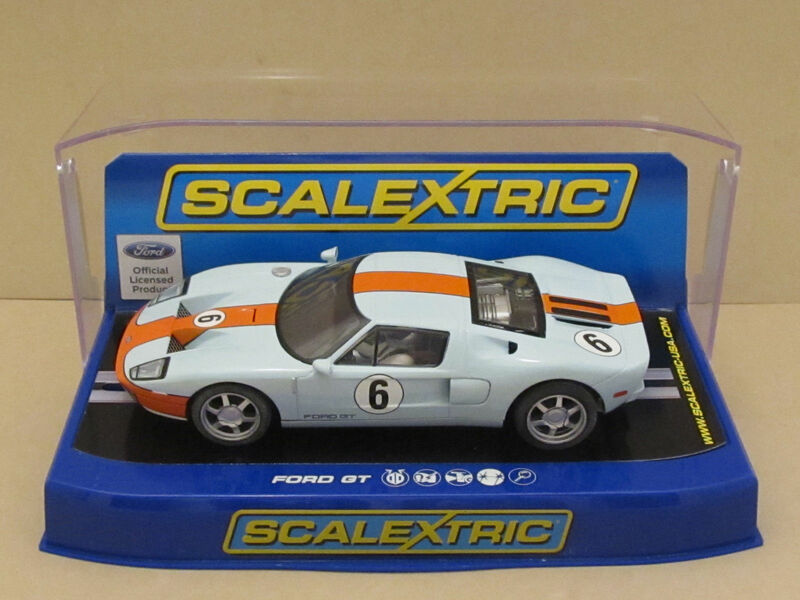 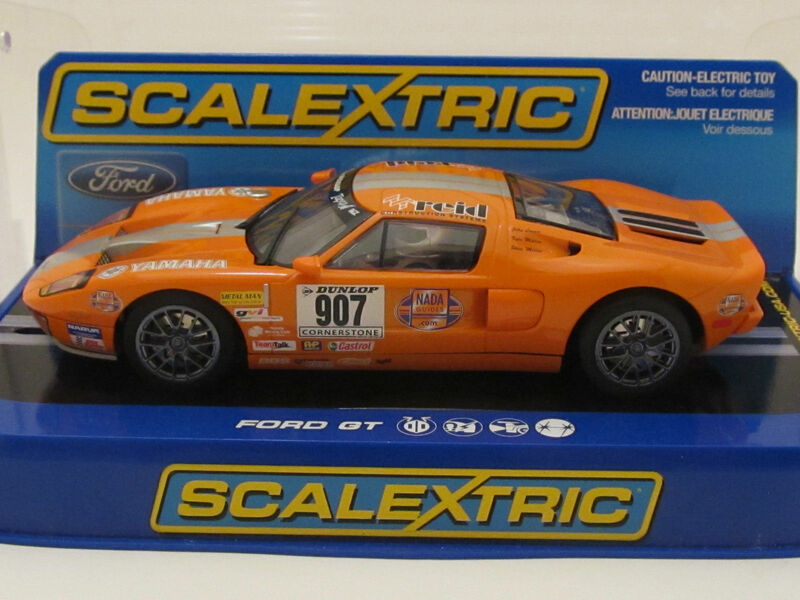 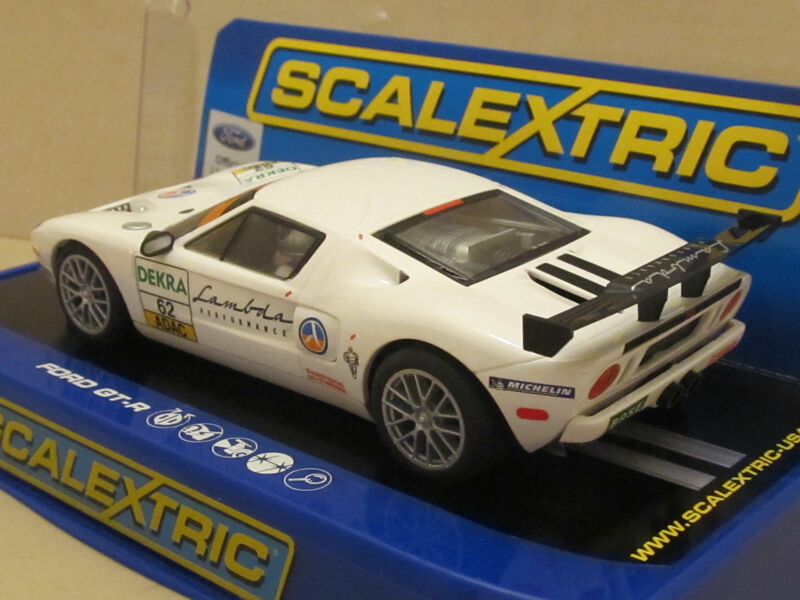 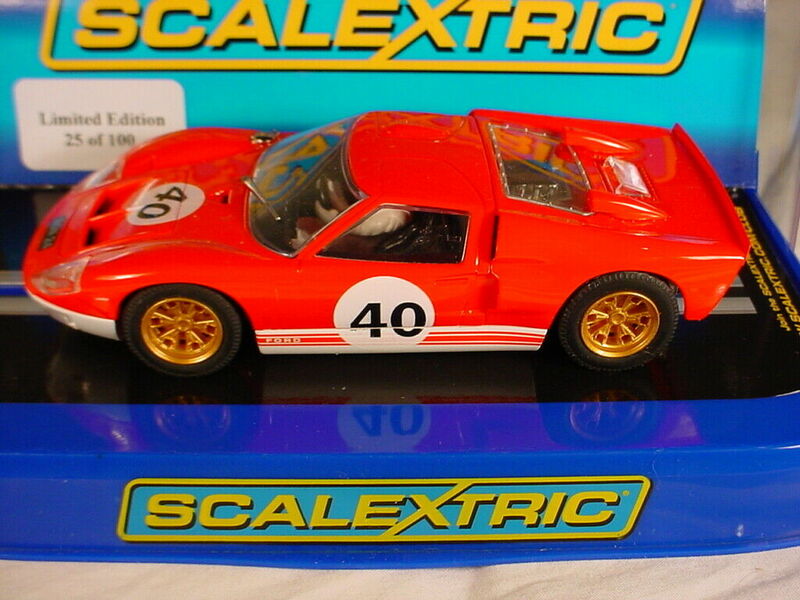 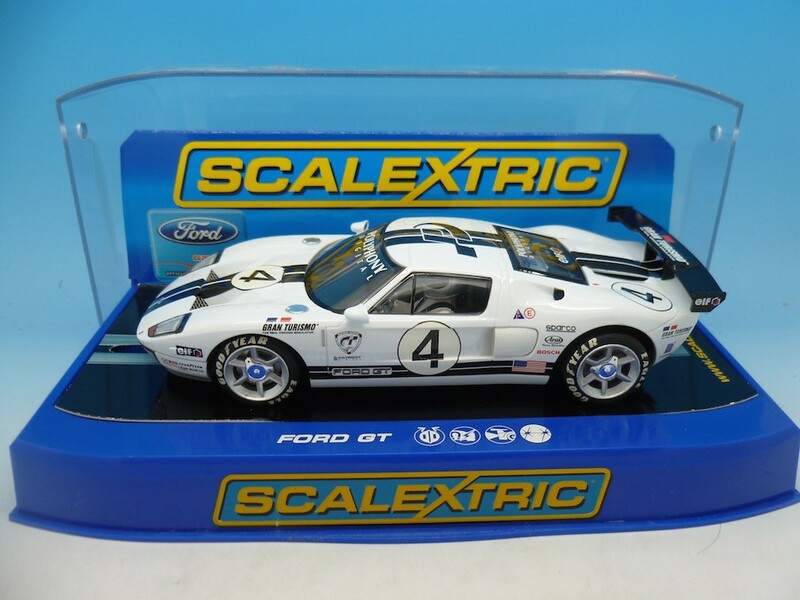 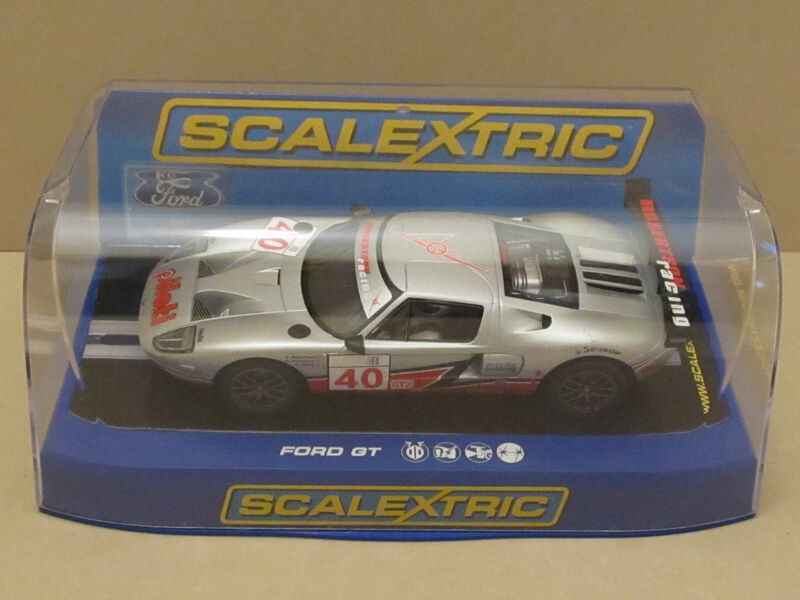 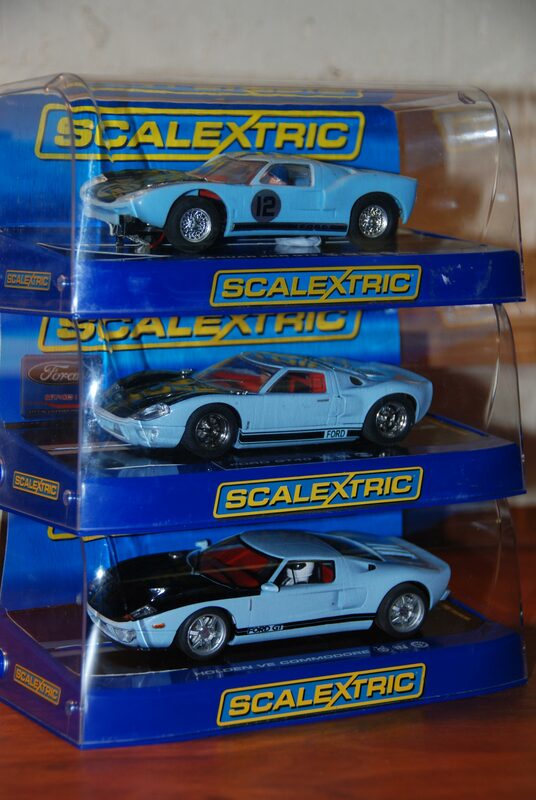 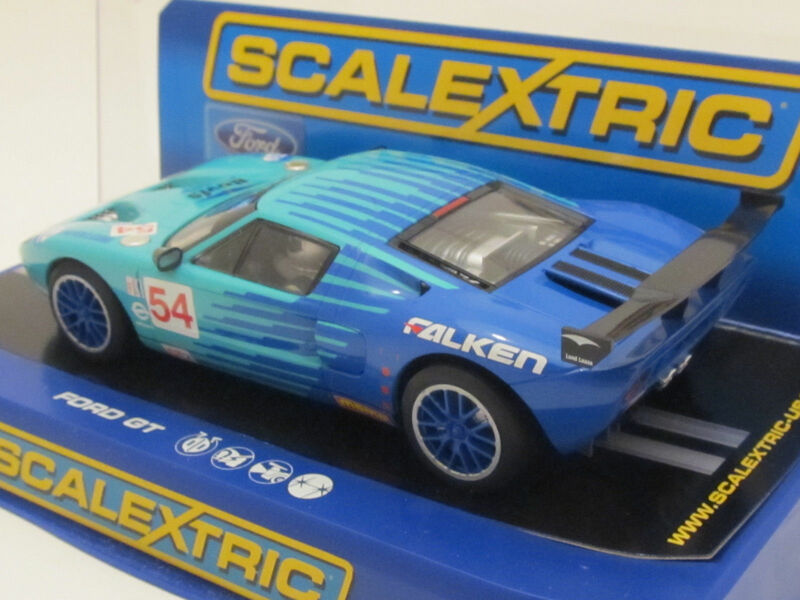 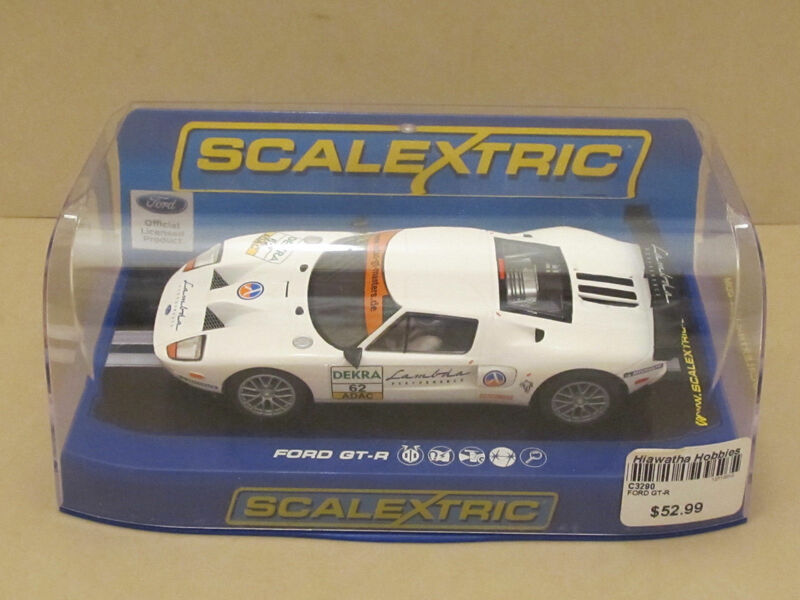 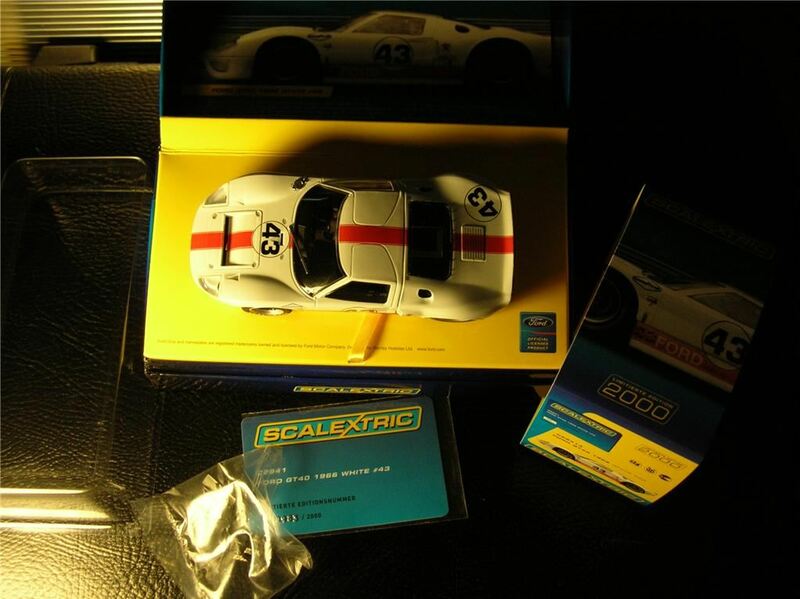 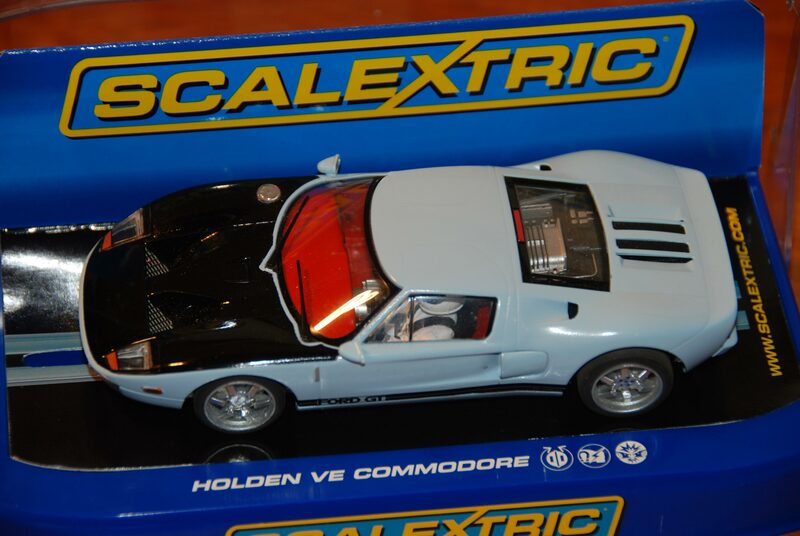 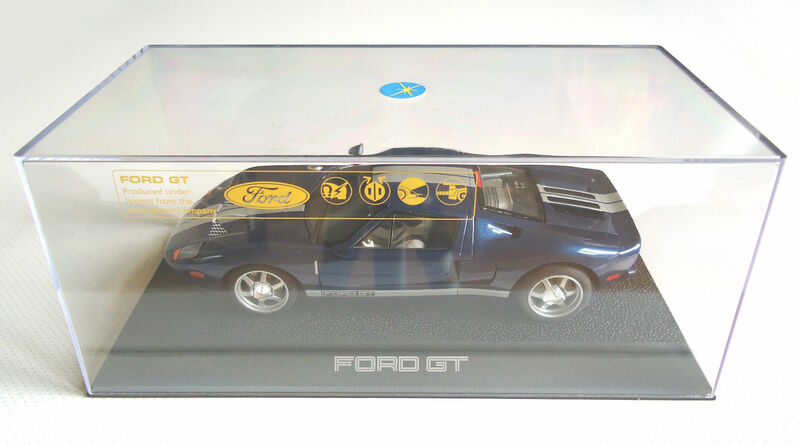 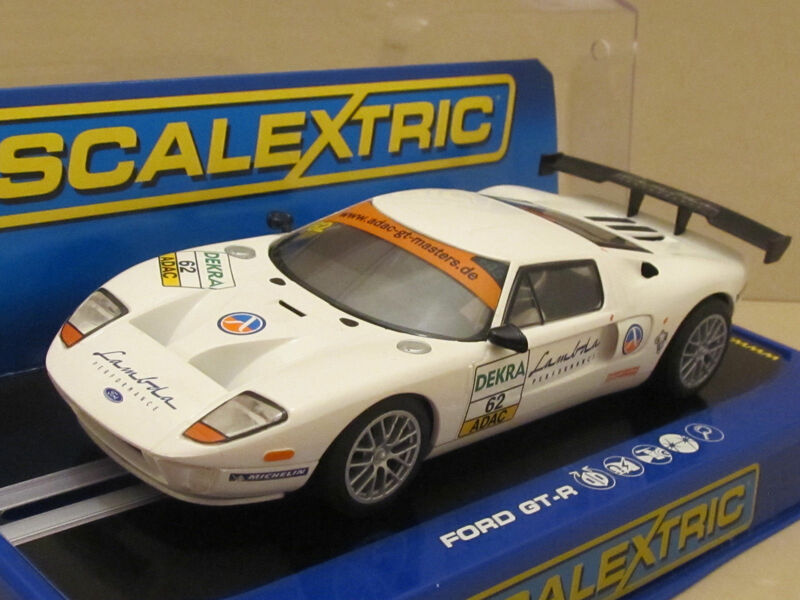 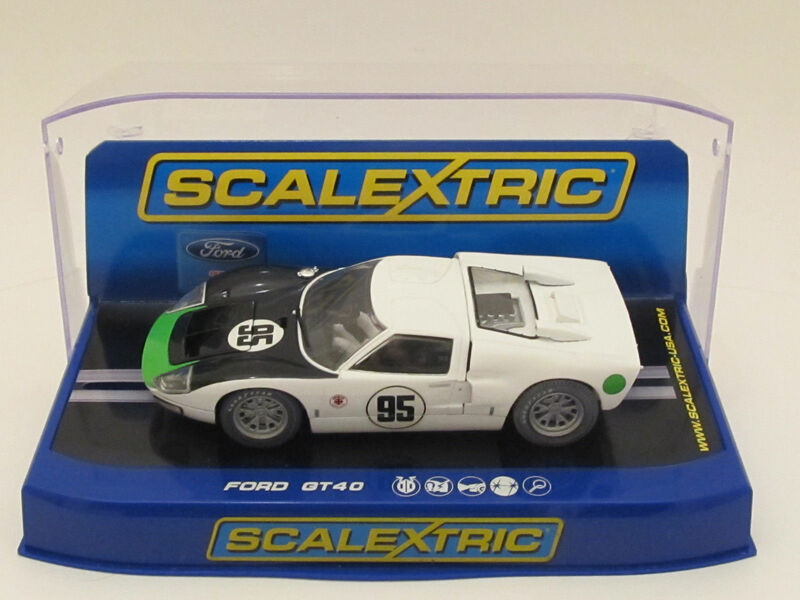 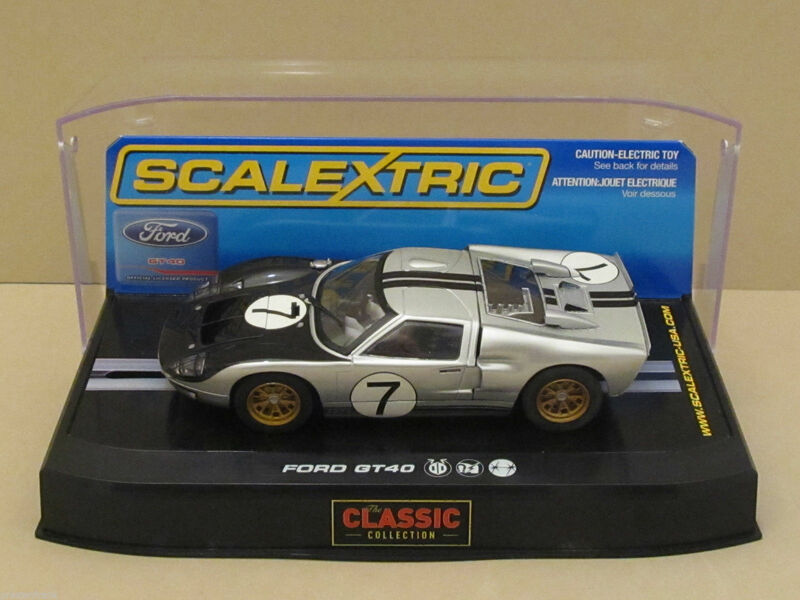 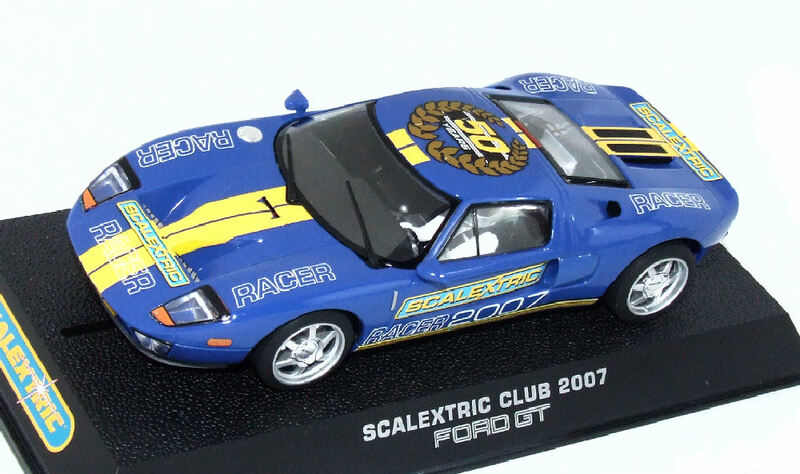 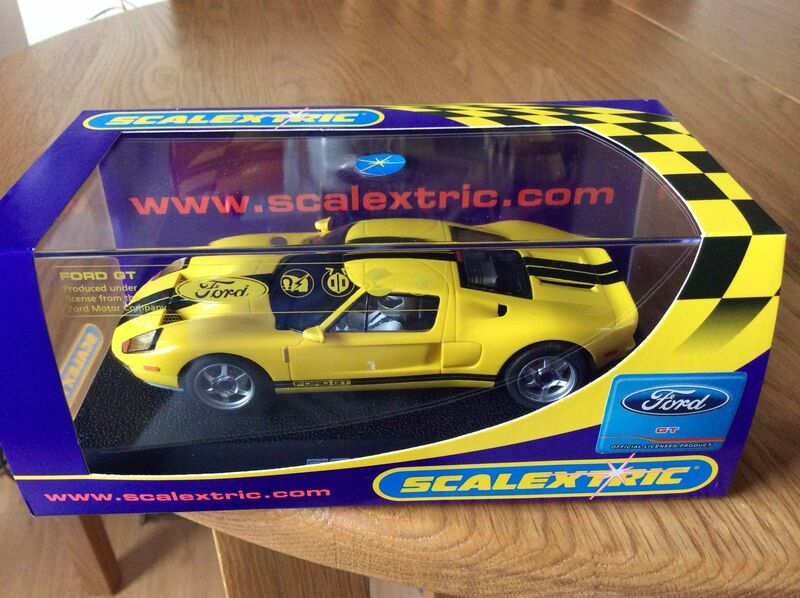 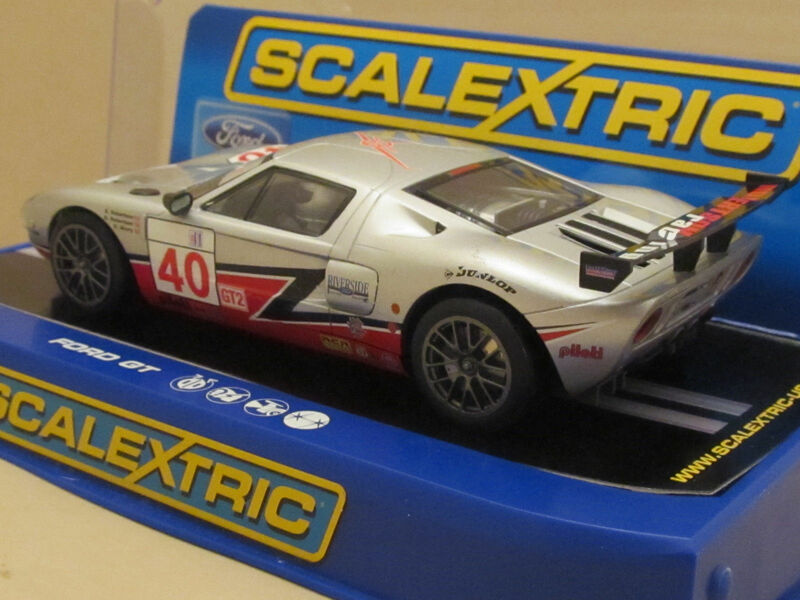 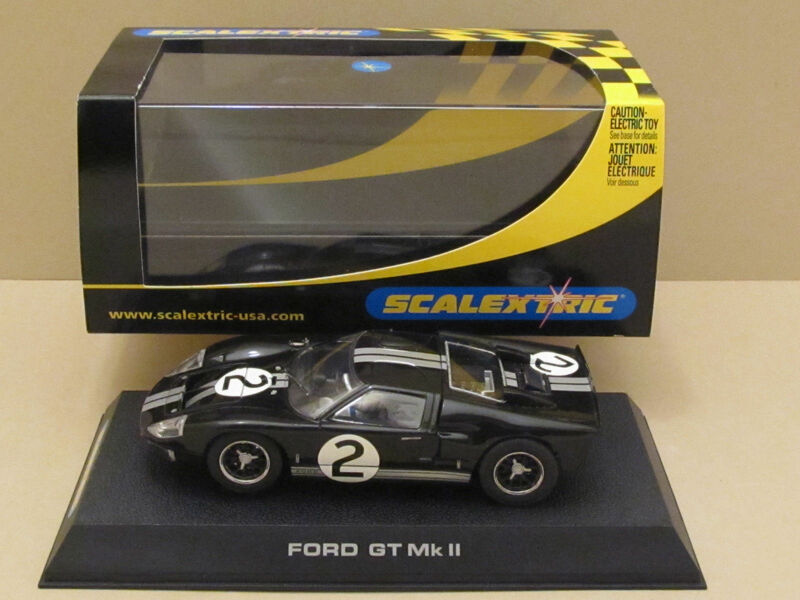 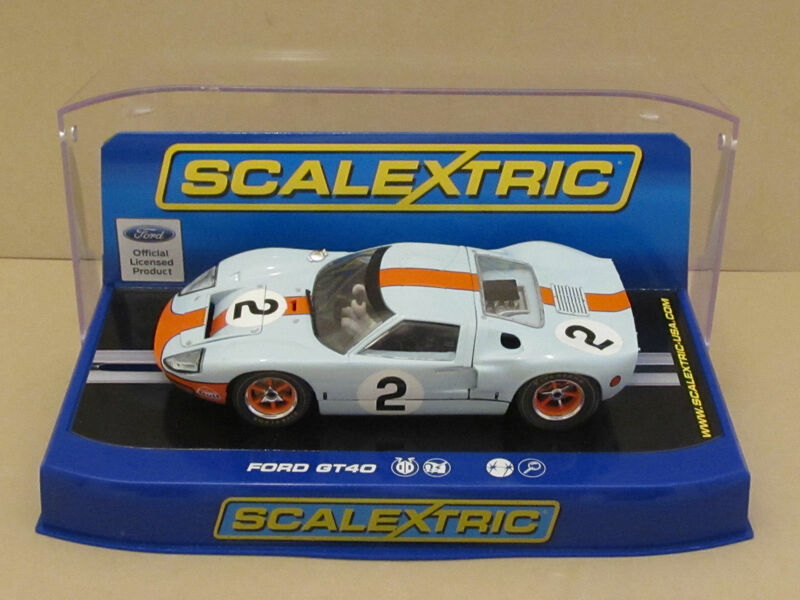 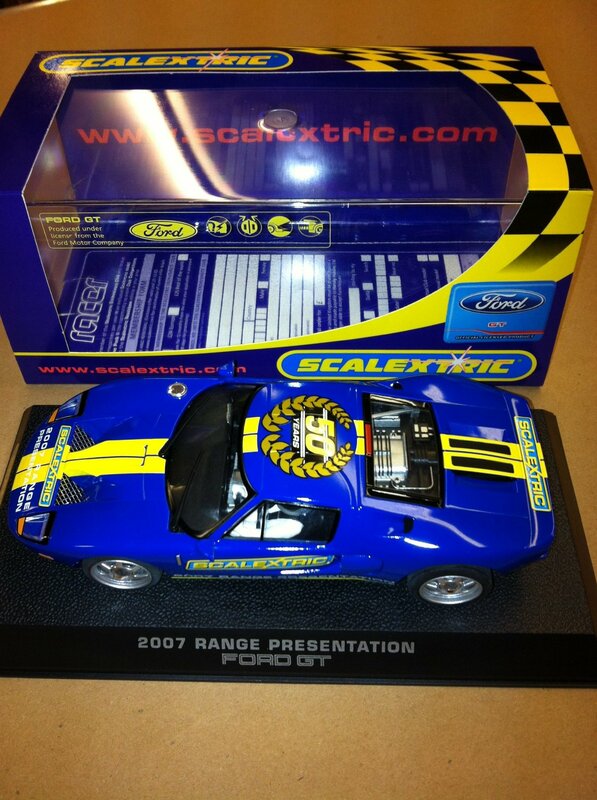 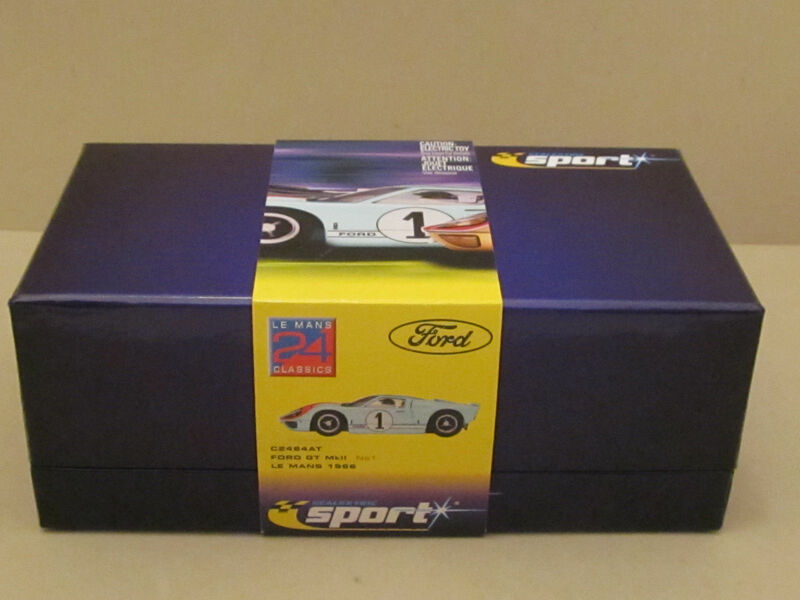 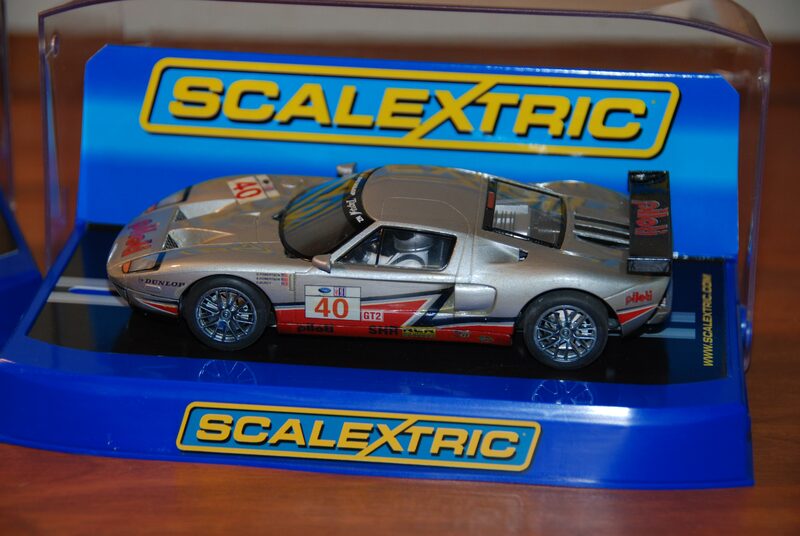 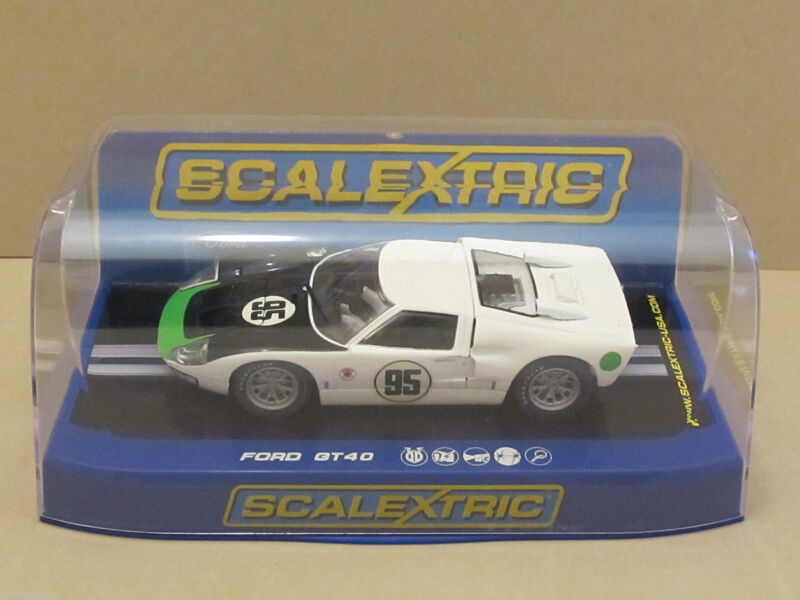 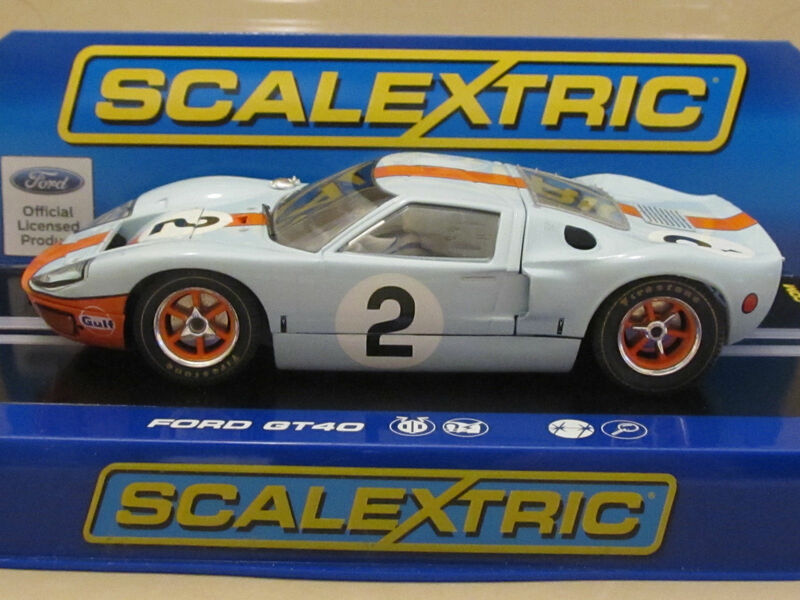 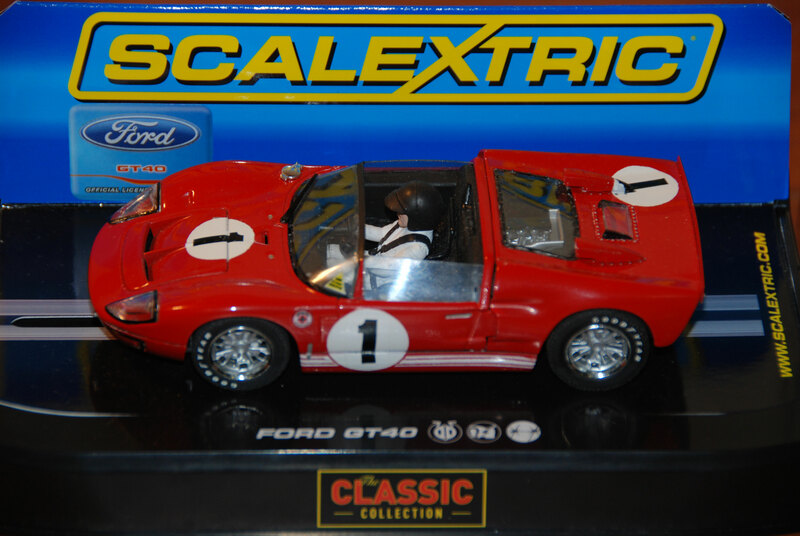 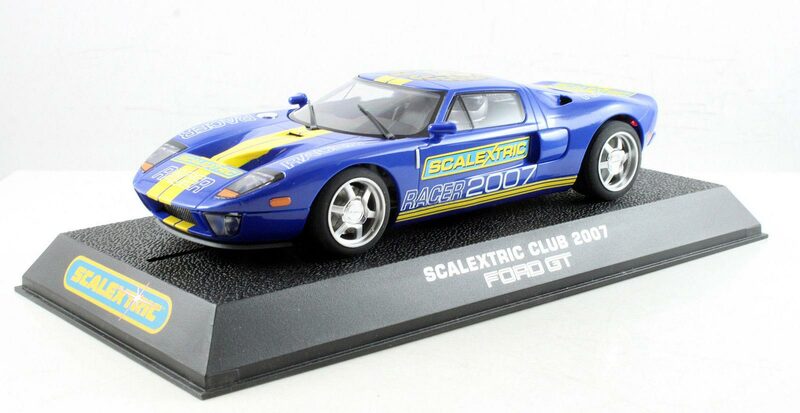 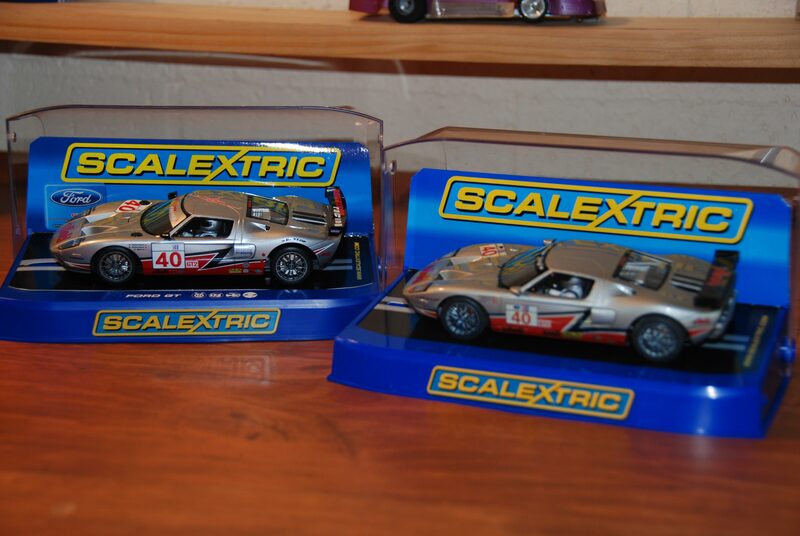 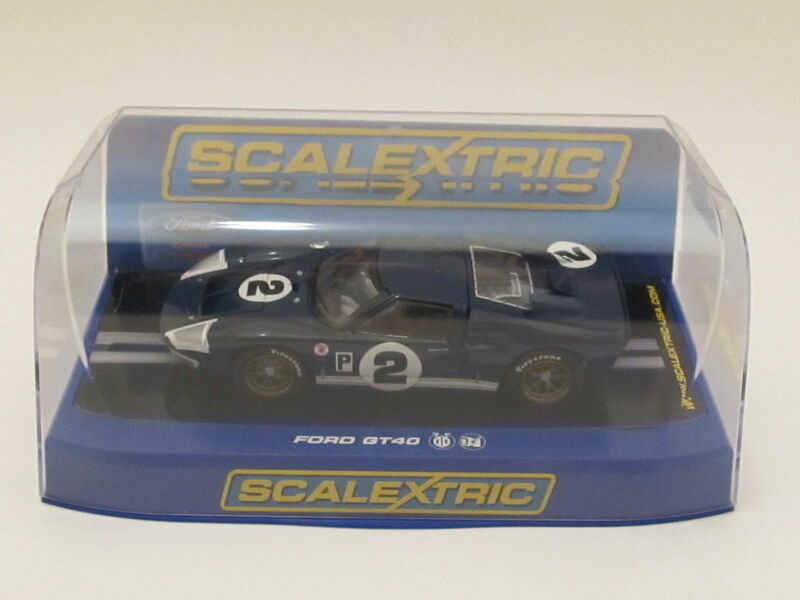 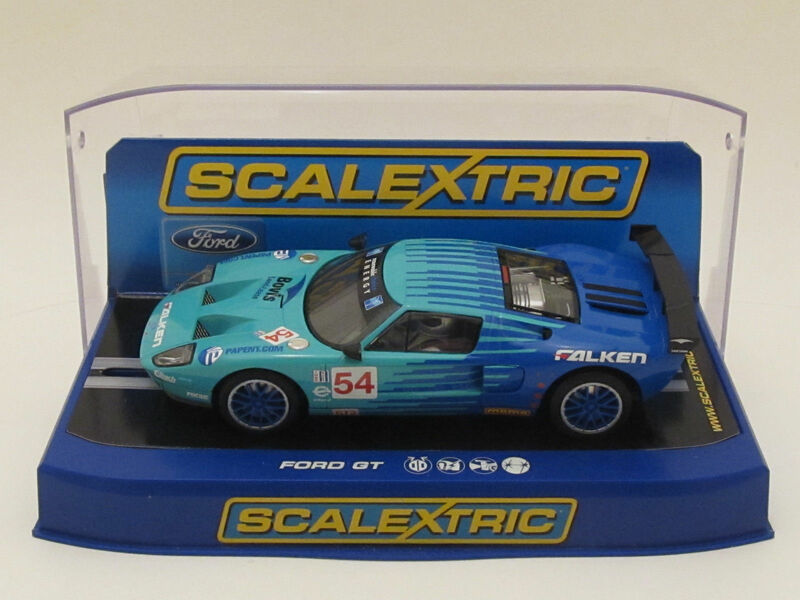 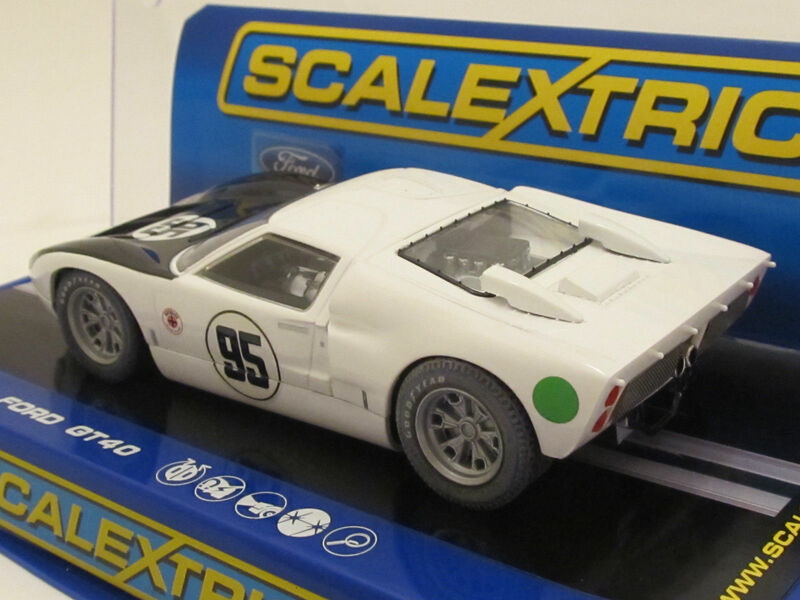 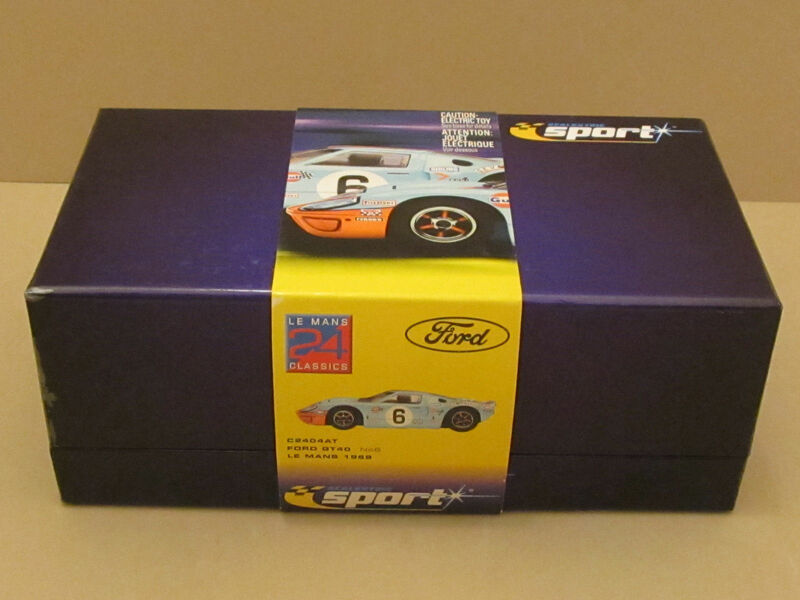 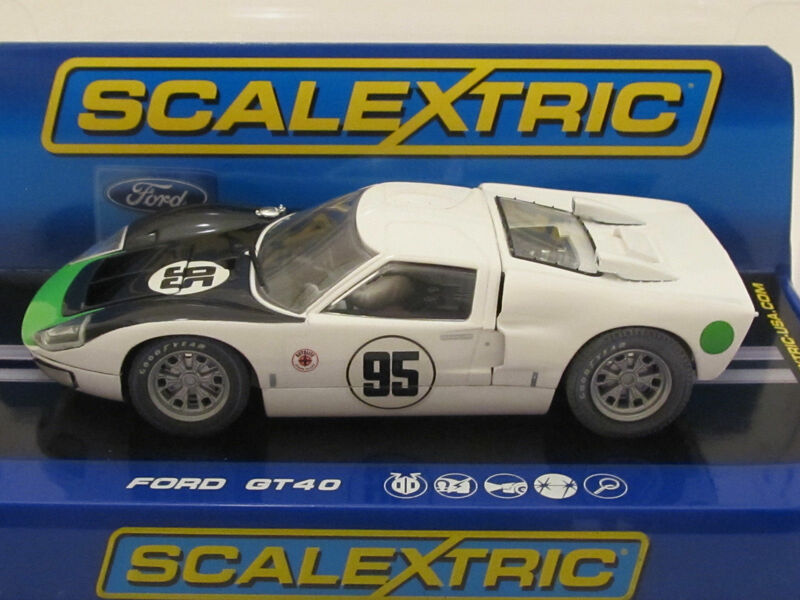 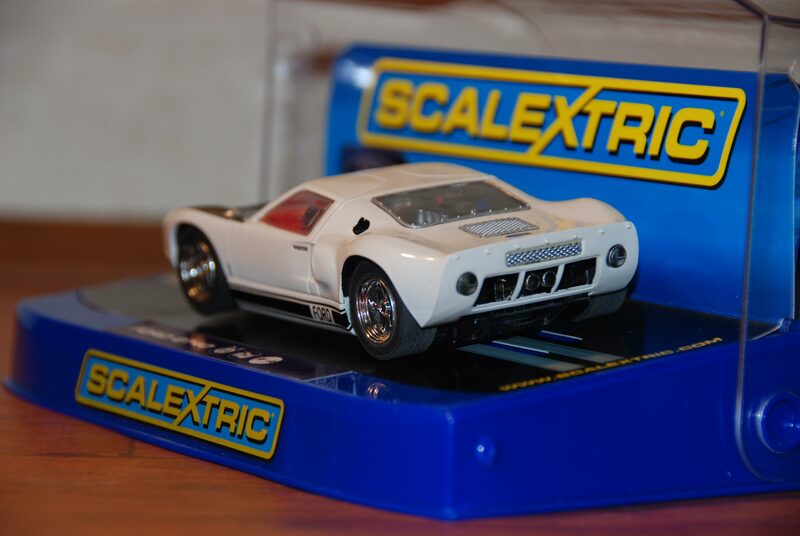 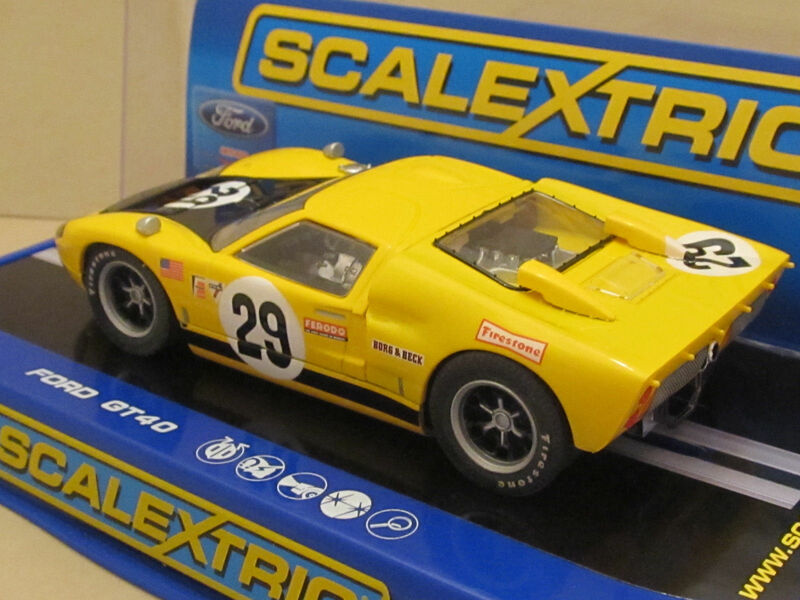 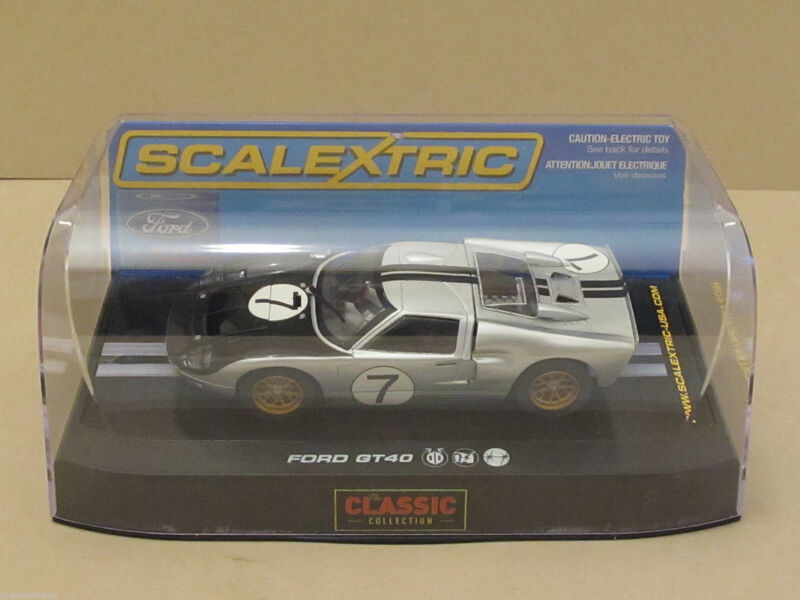 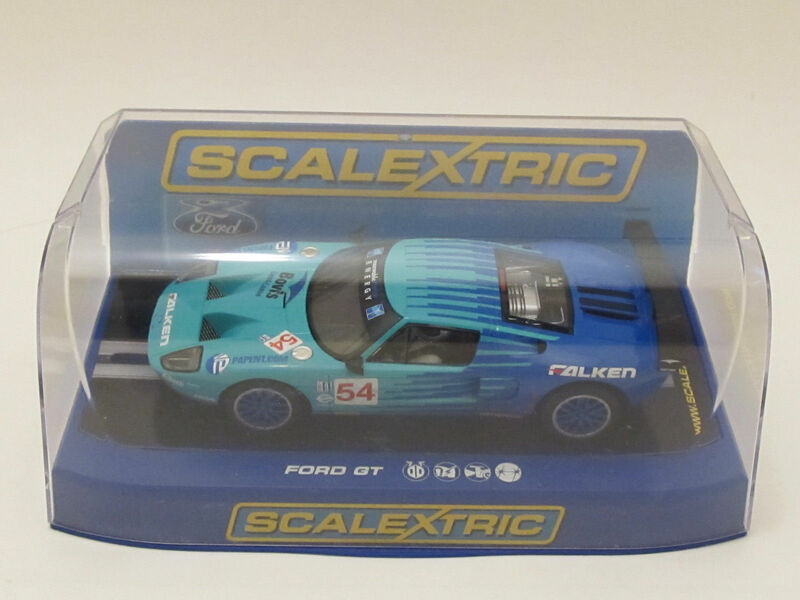 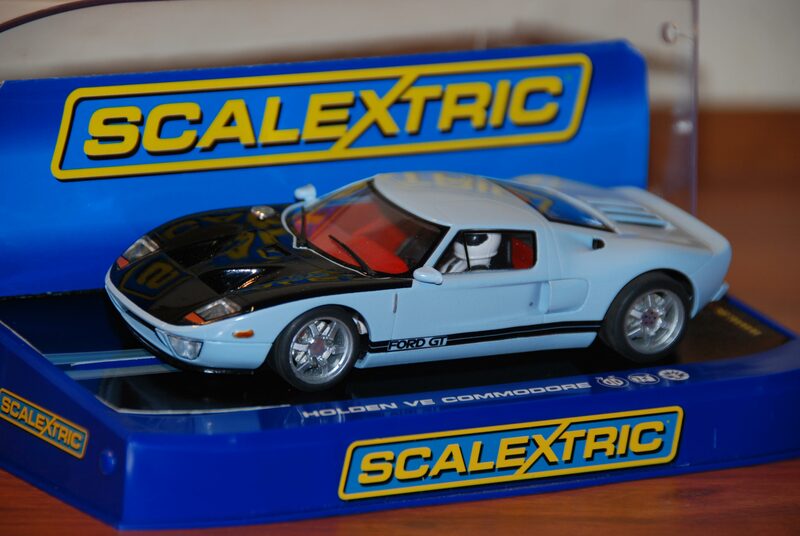 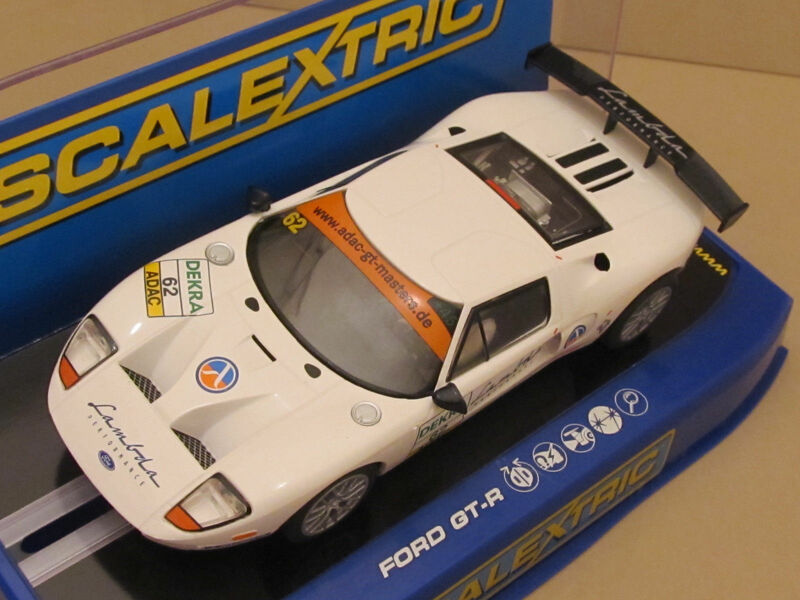 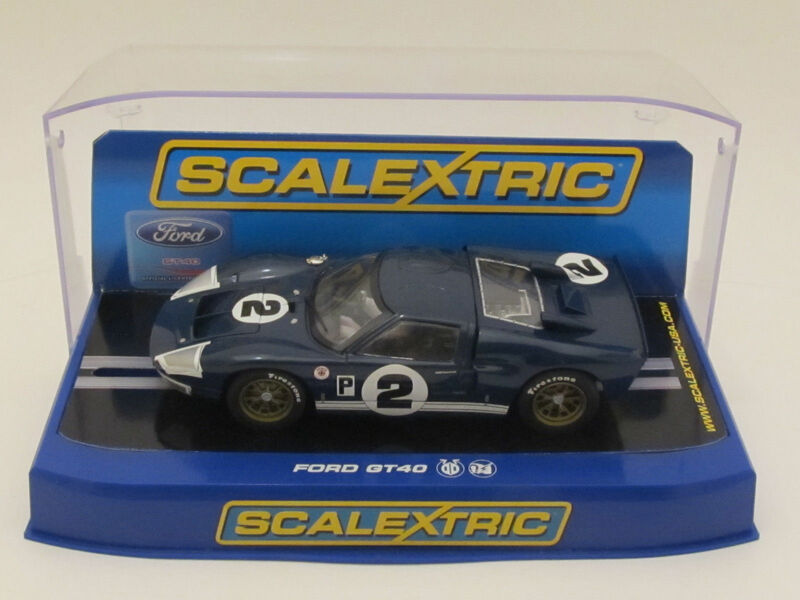 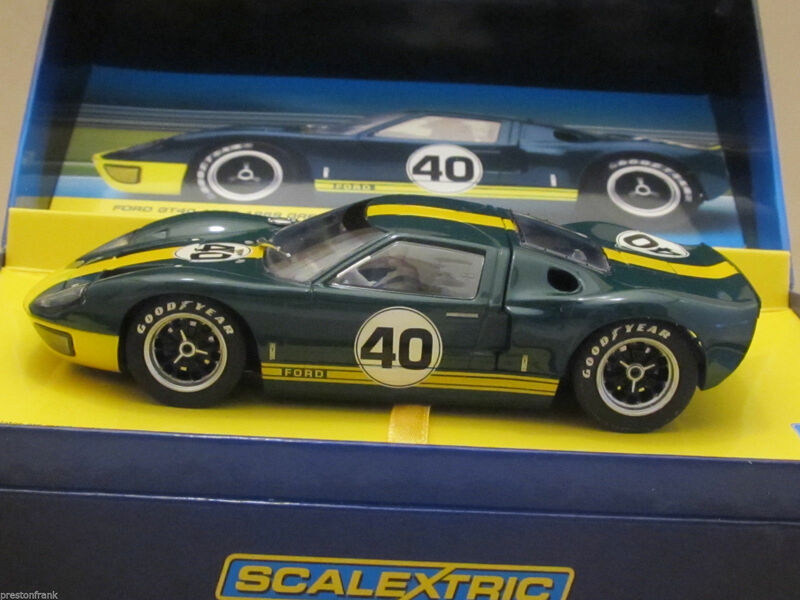 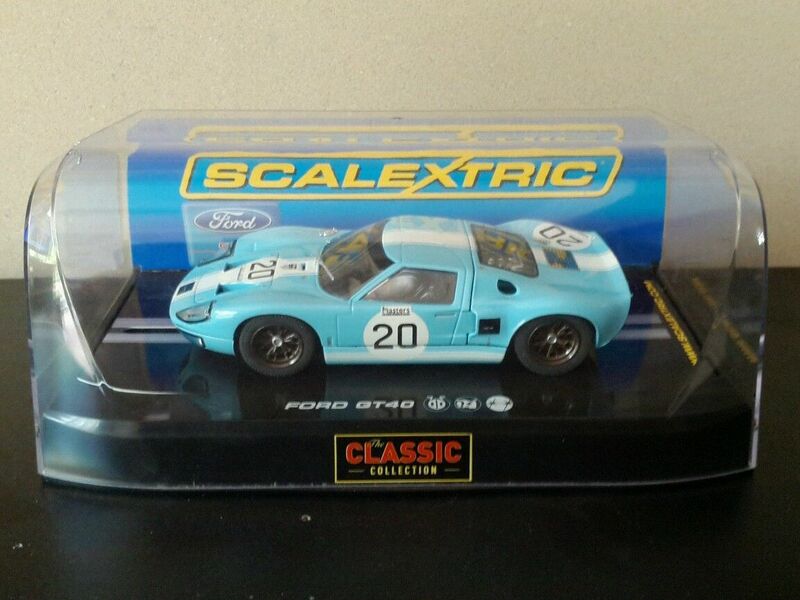 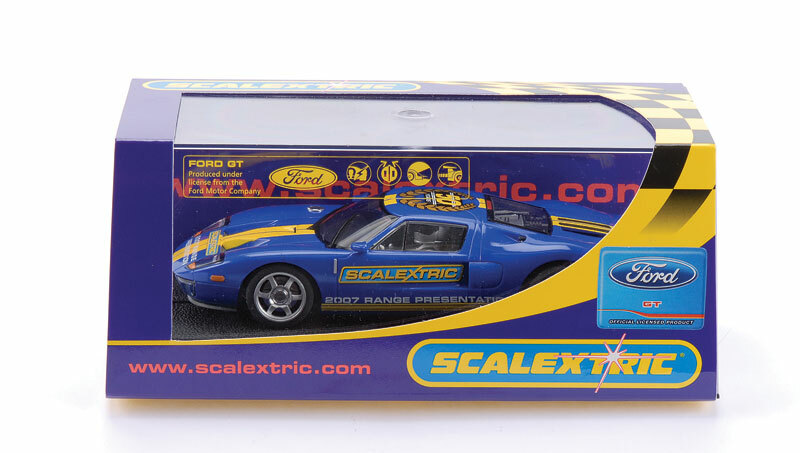 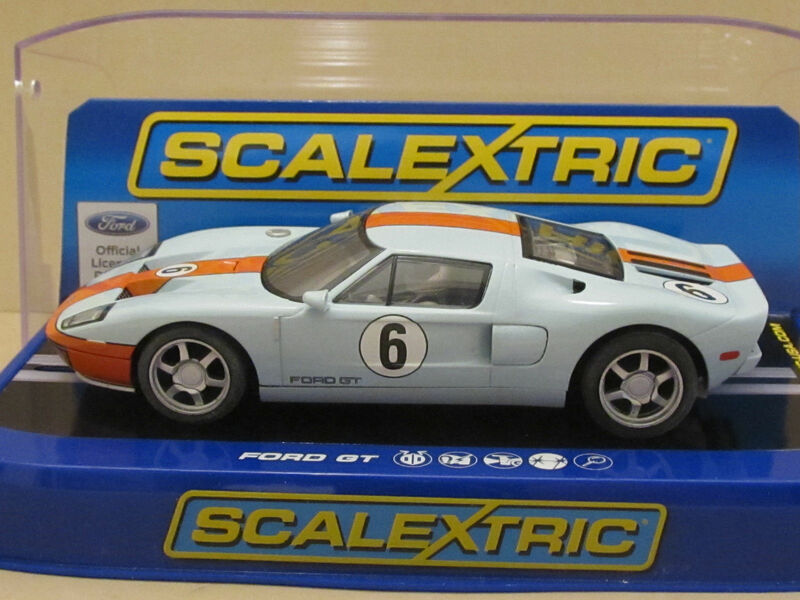 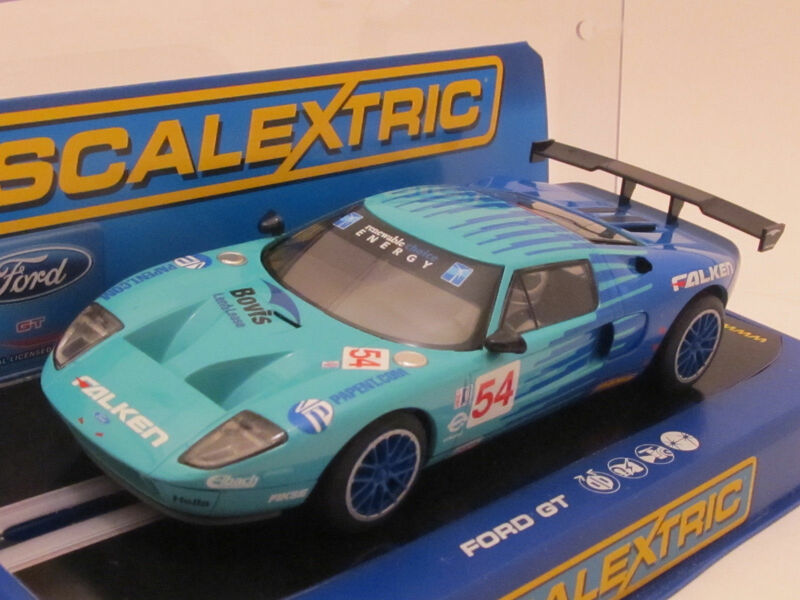 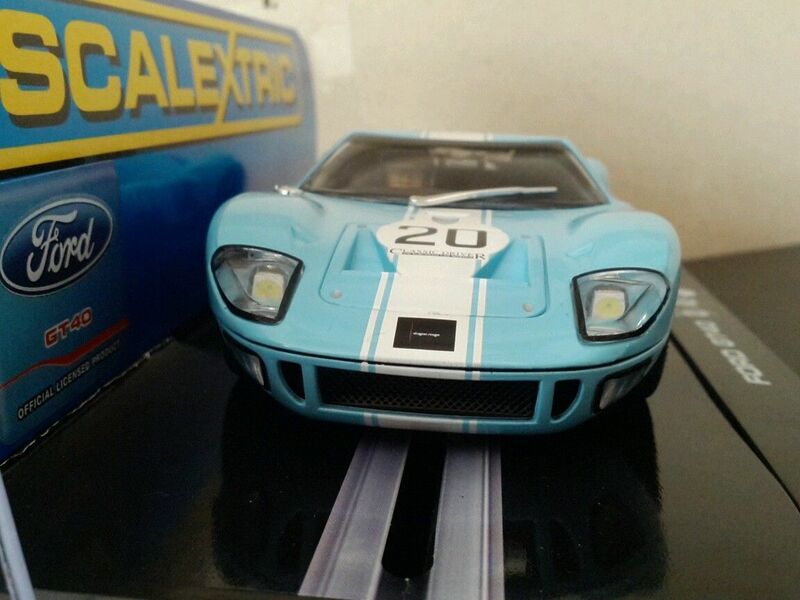 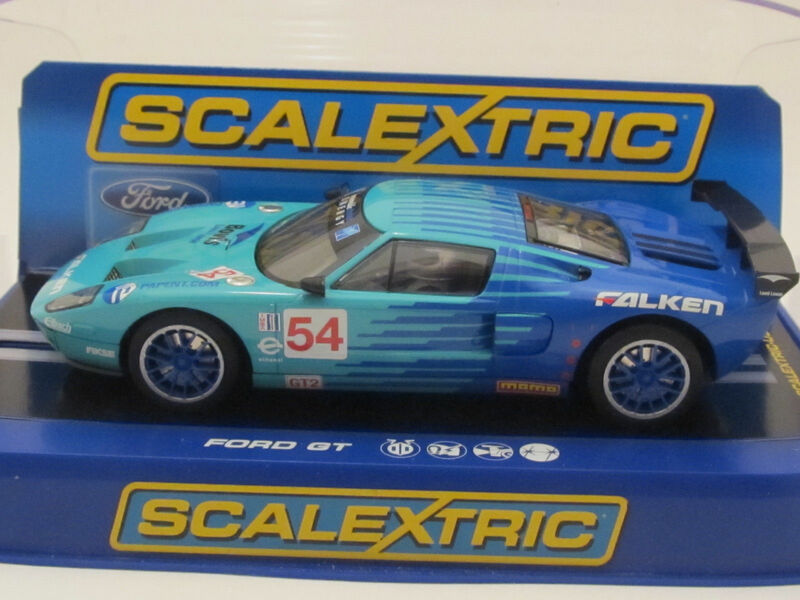 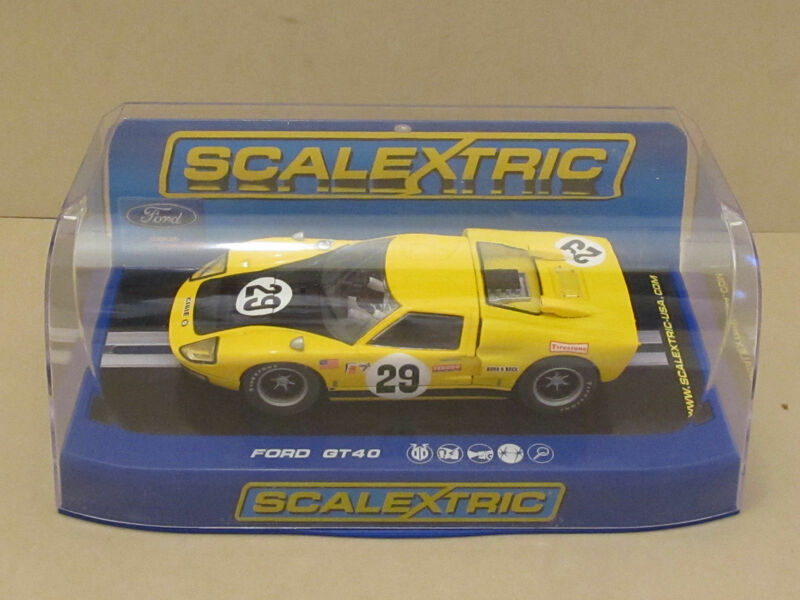 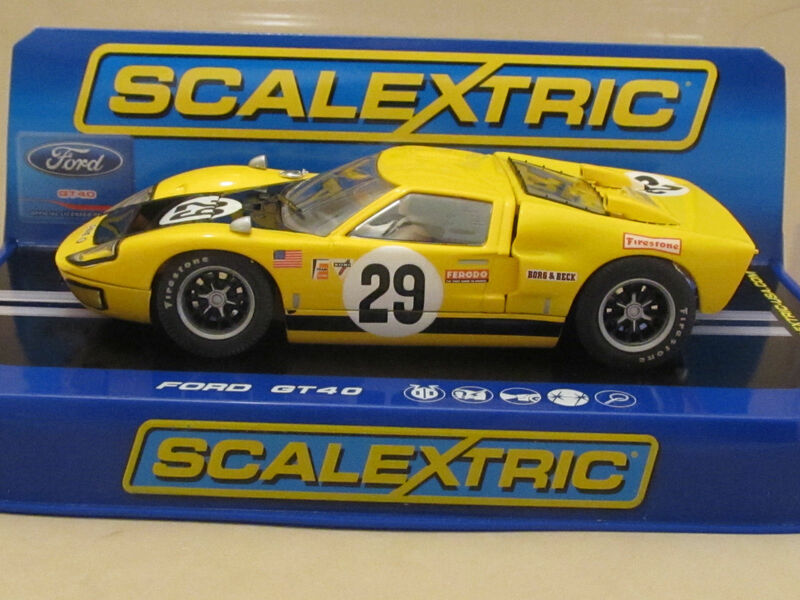 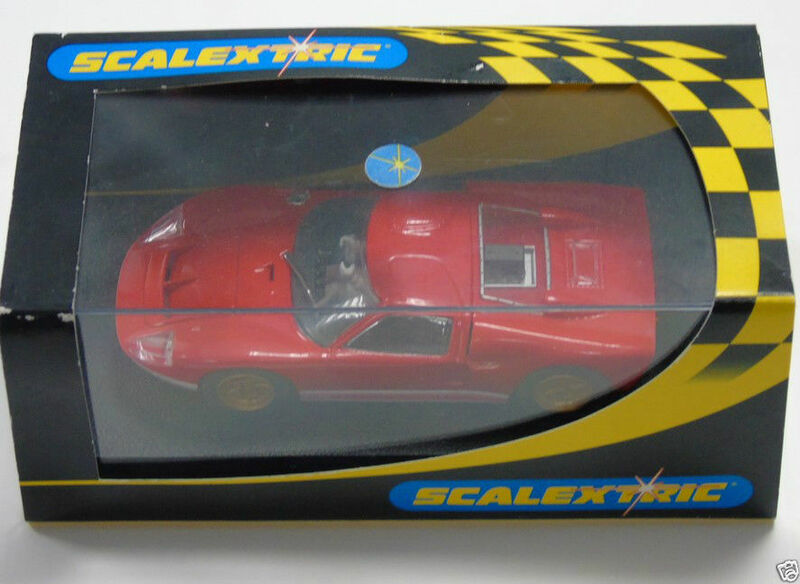 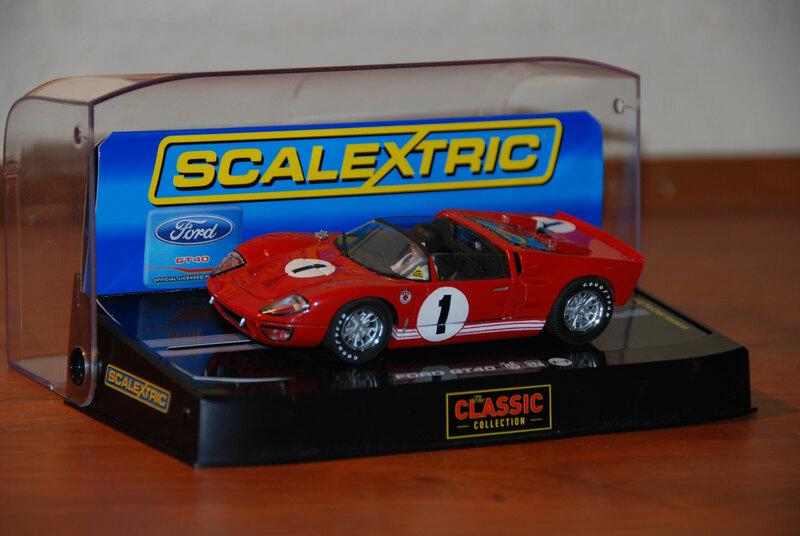 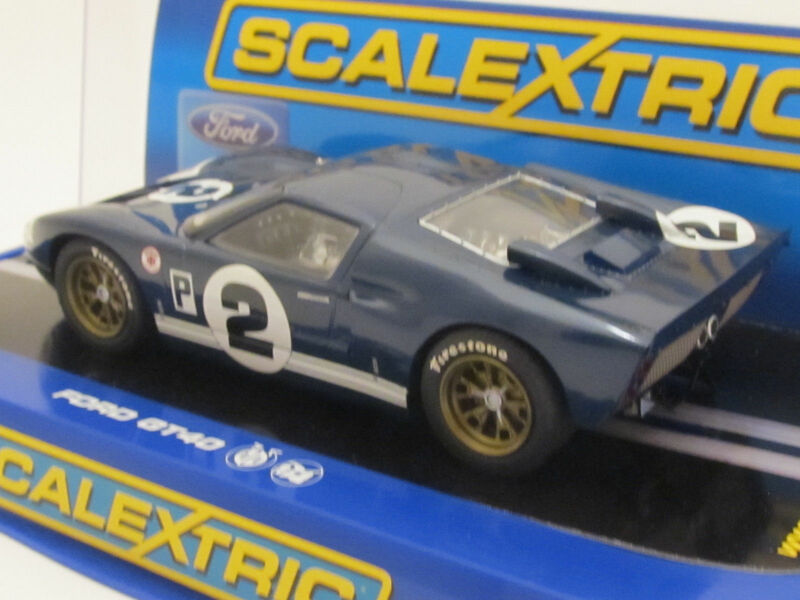 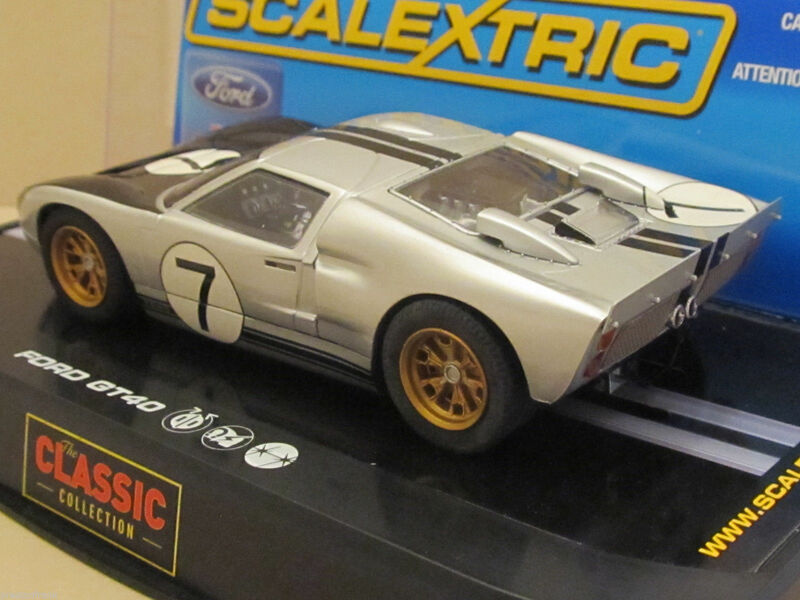 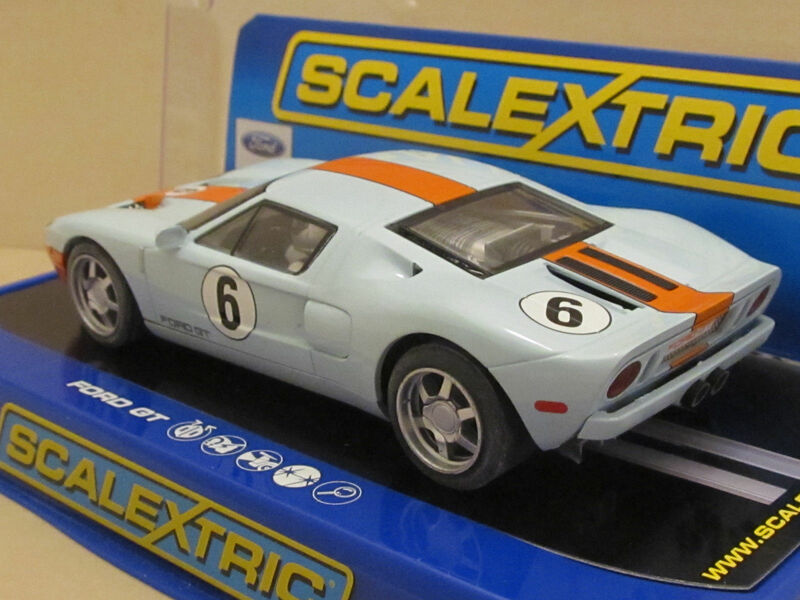 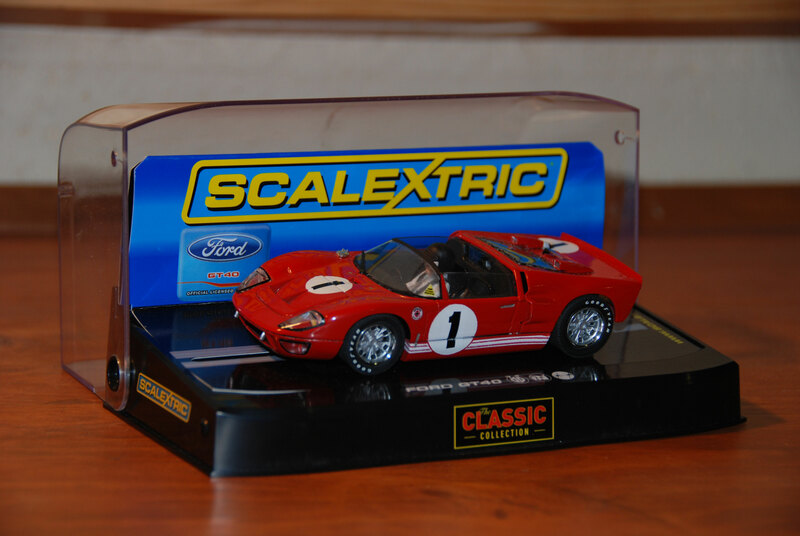 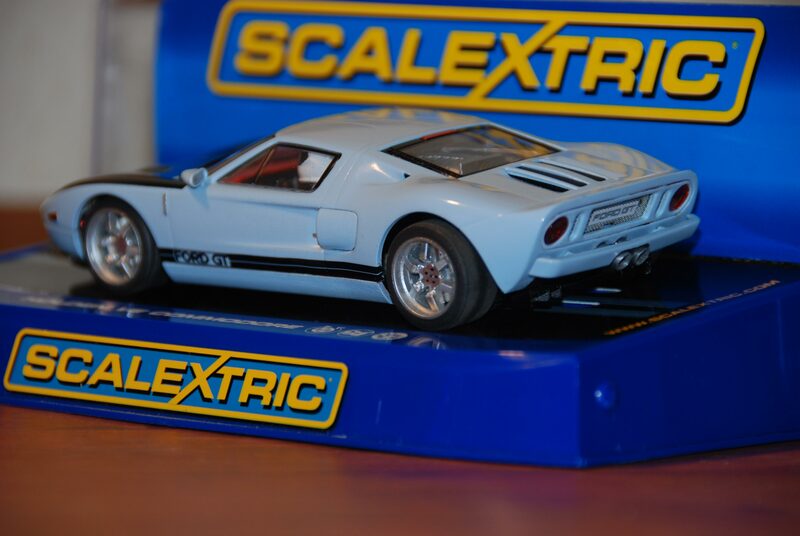 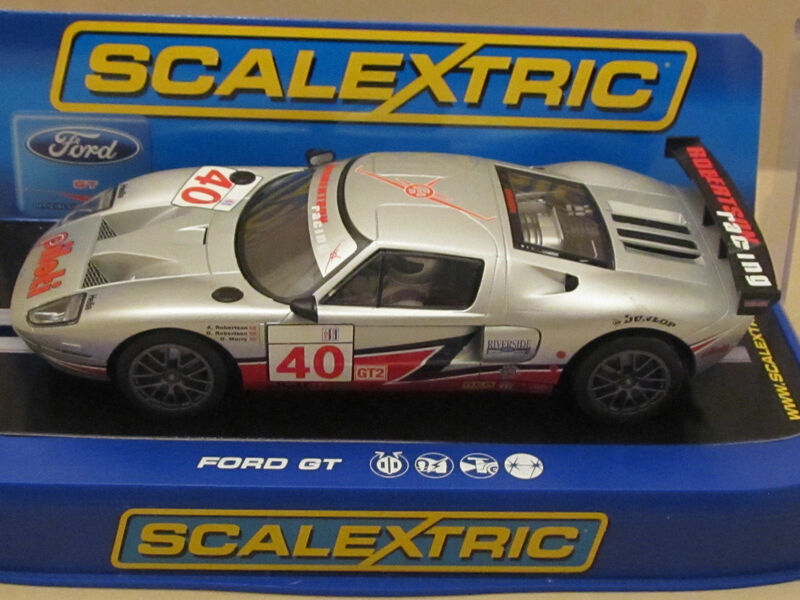 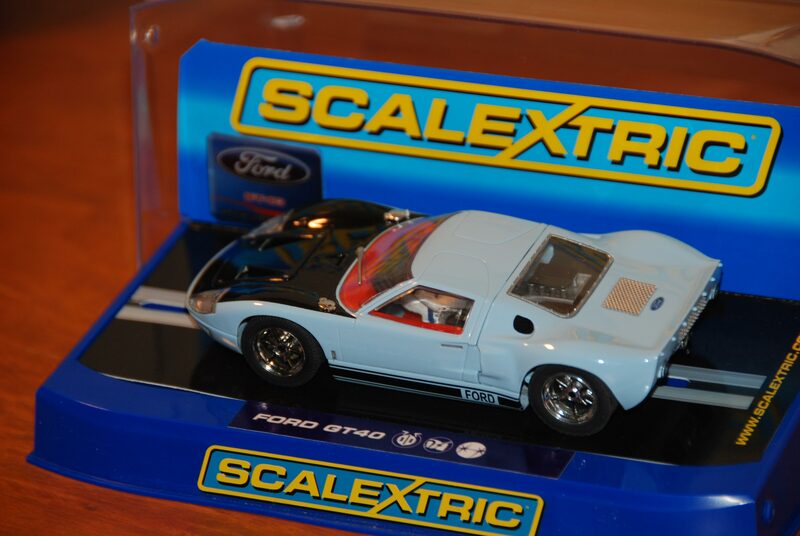 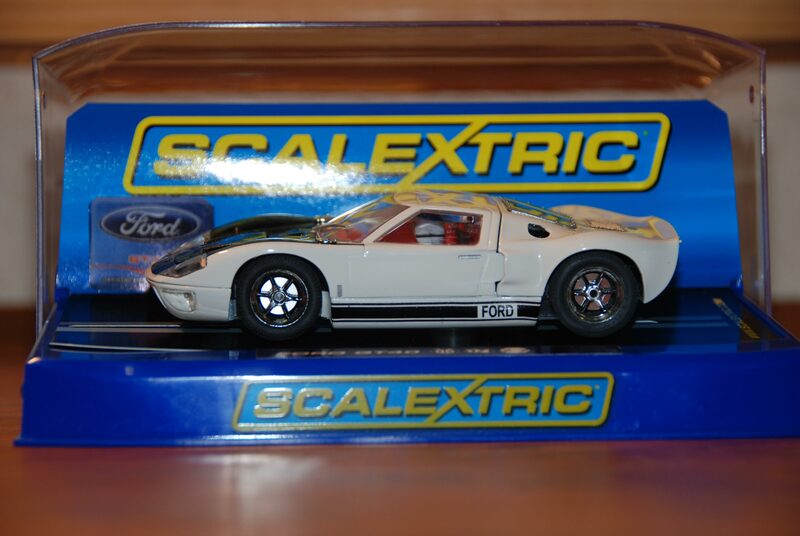 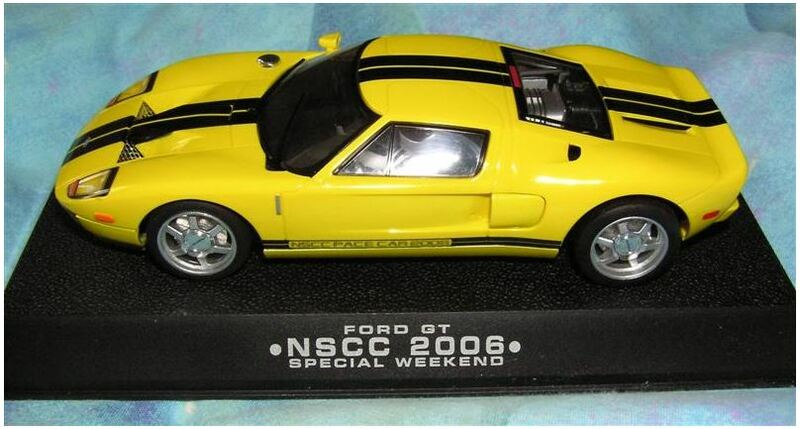 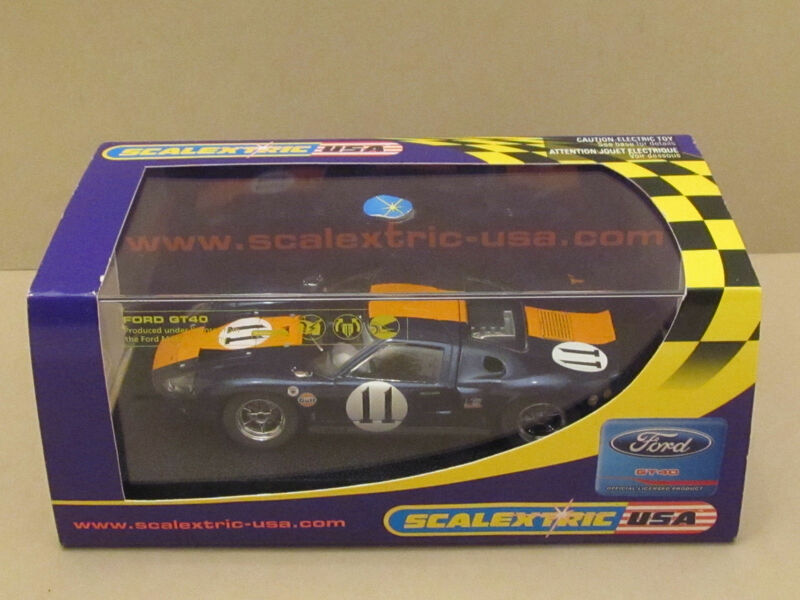 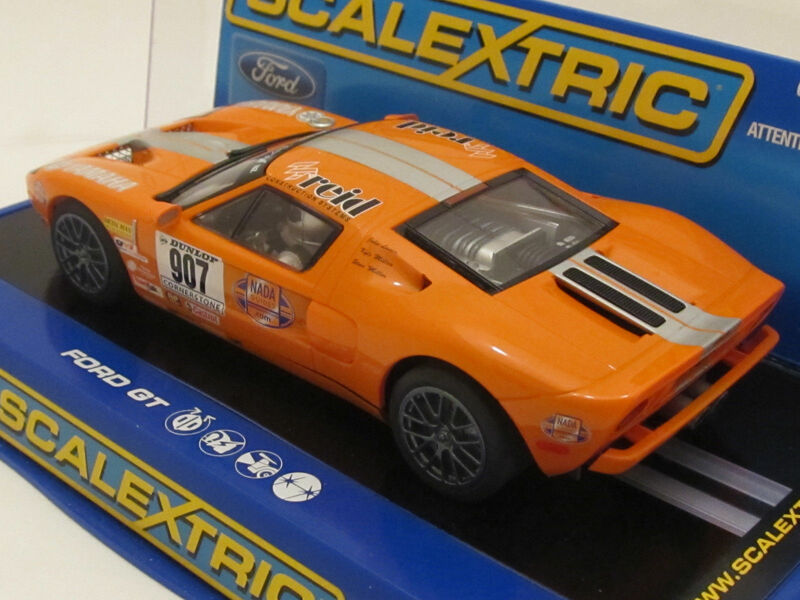 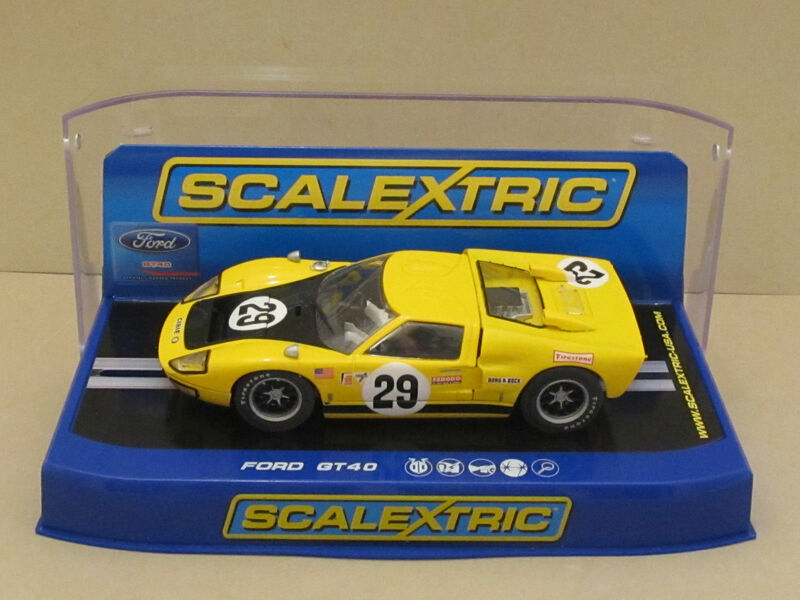 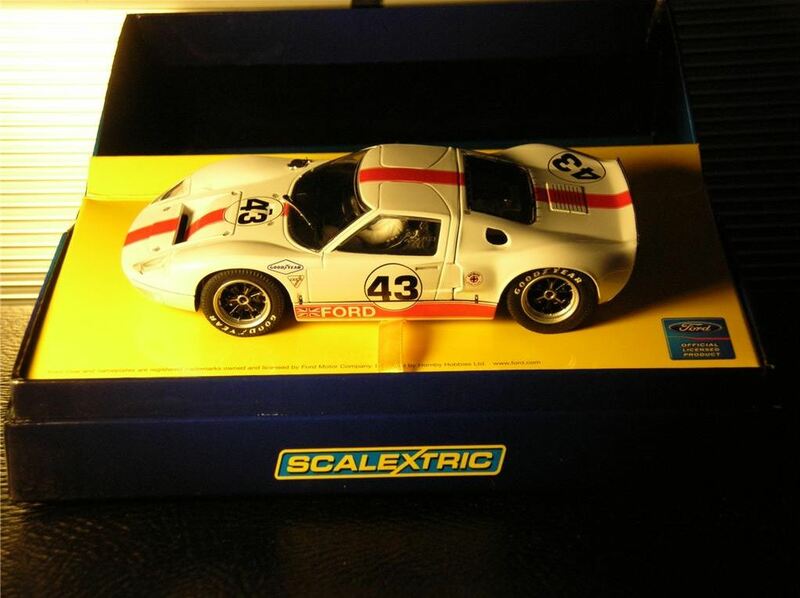 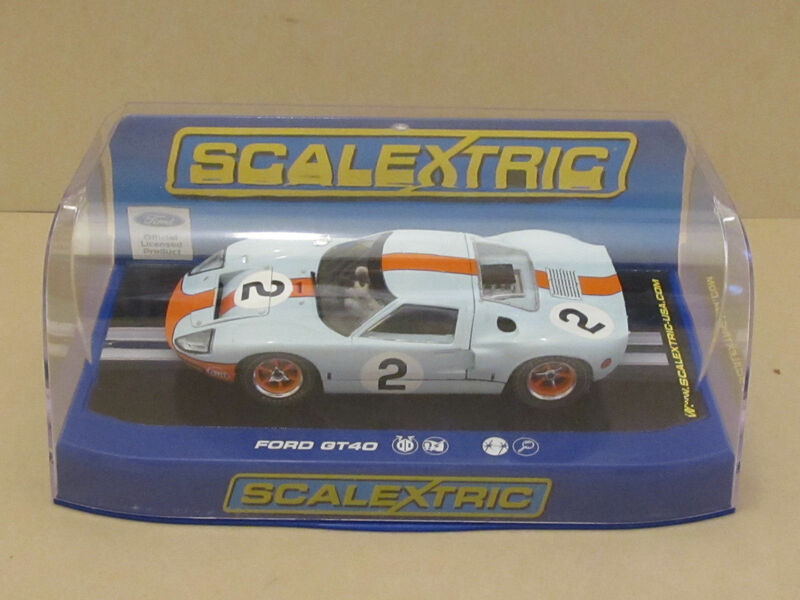 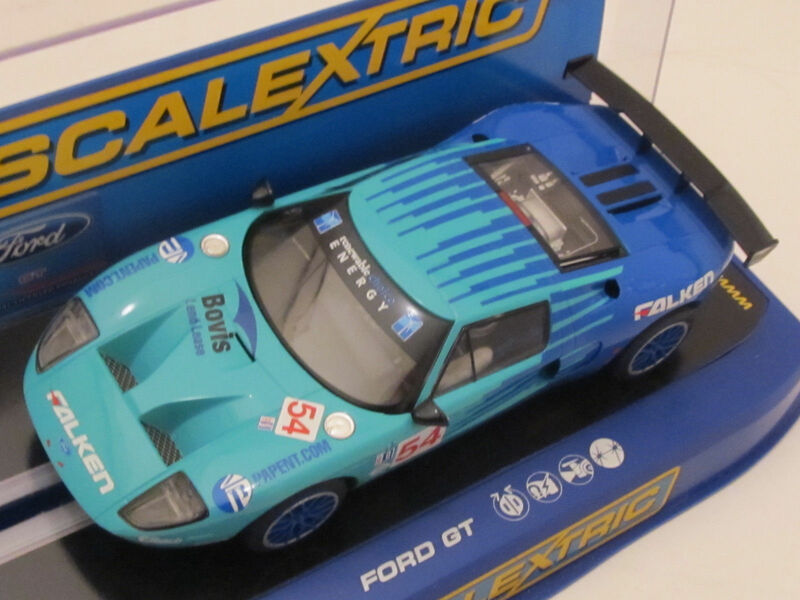 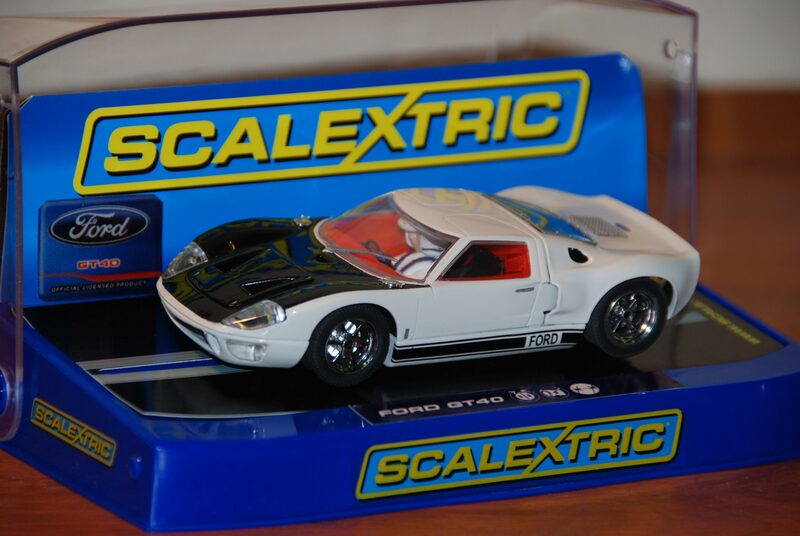 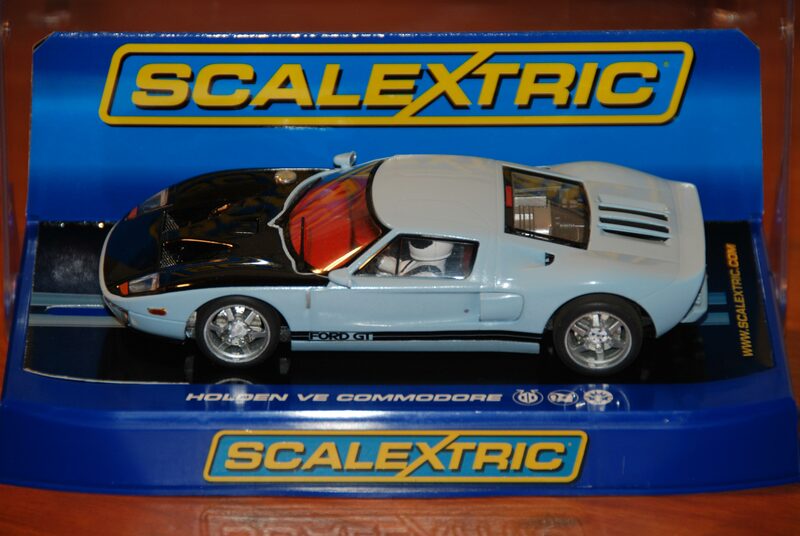 In the late 90s they also introduced a 1:64 scale range called Micro Scalextric. 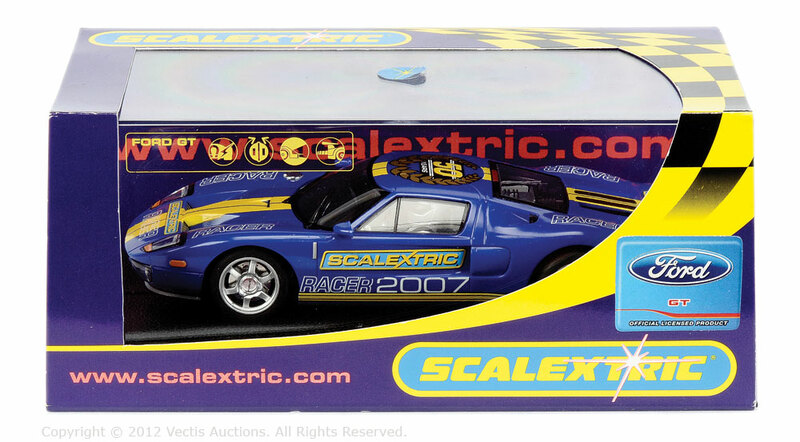 At the beginning of the 21st century, Scalextric track underwent a major redesign to make it easier to assemble. 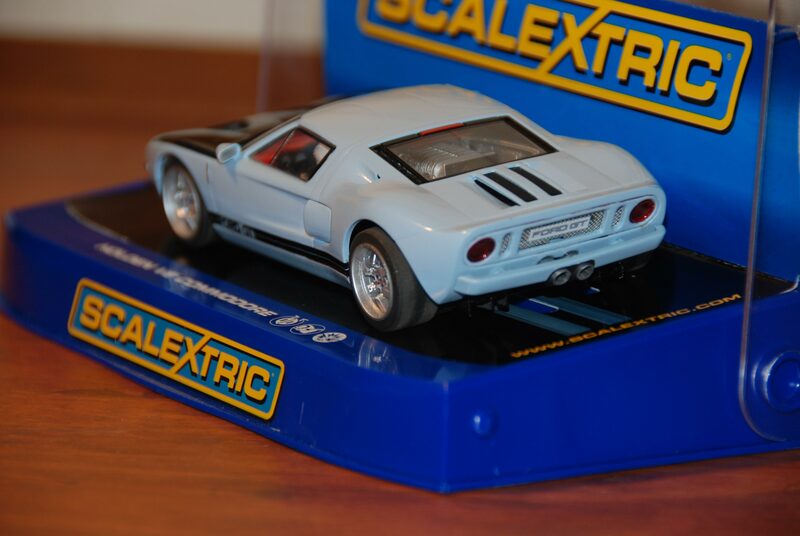 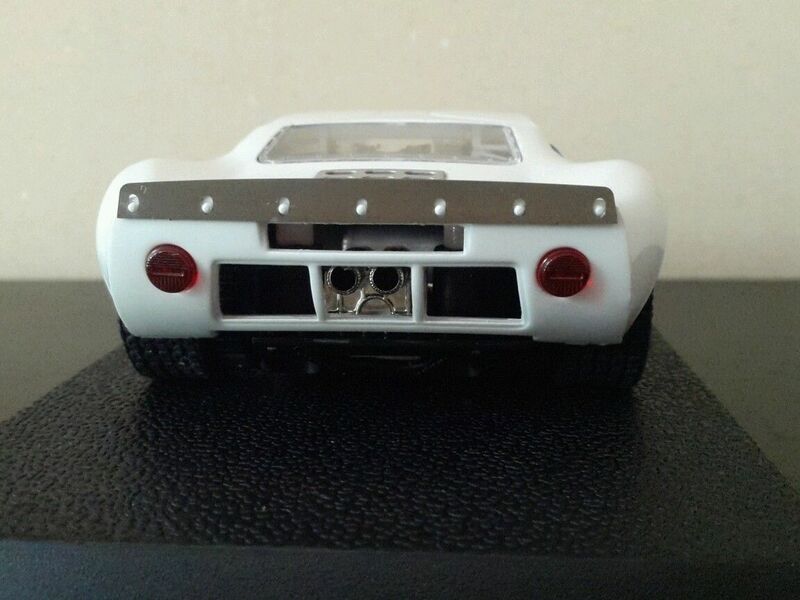 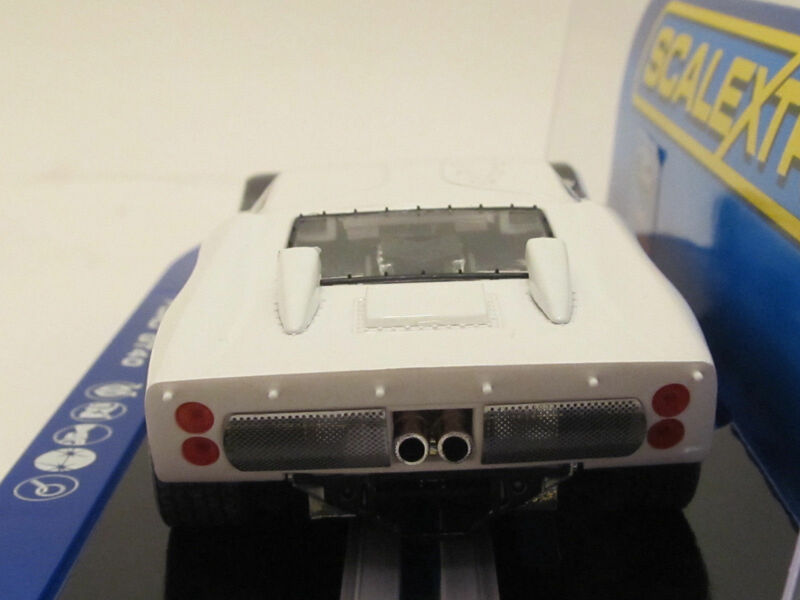 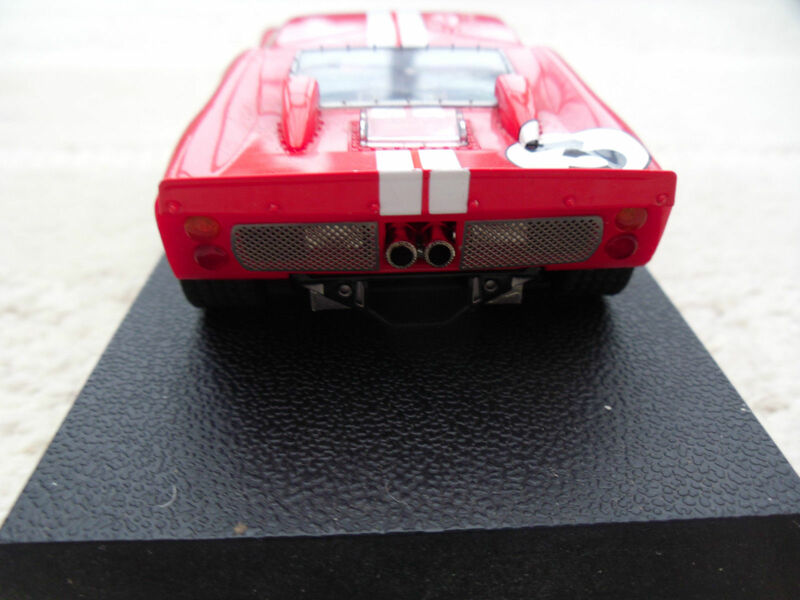 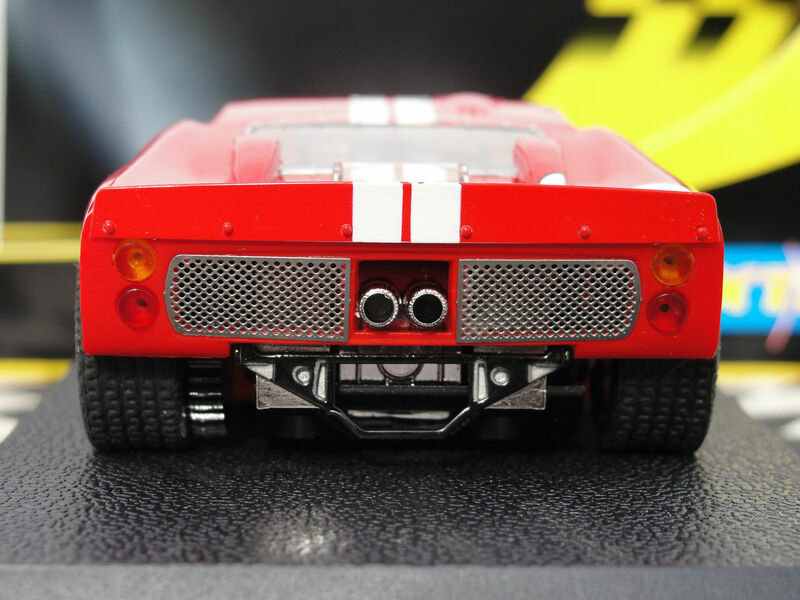 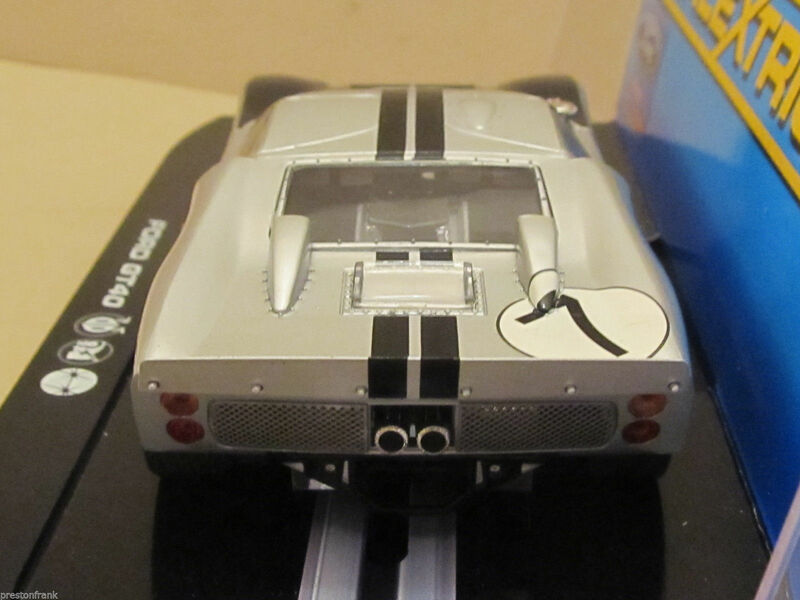 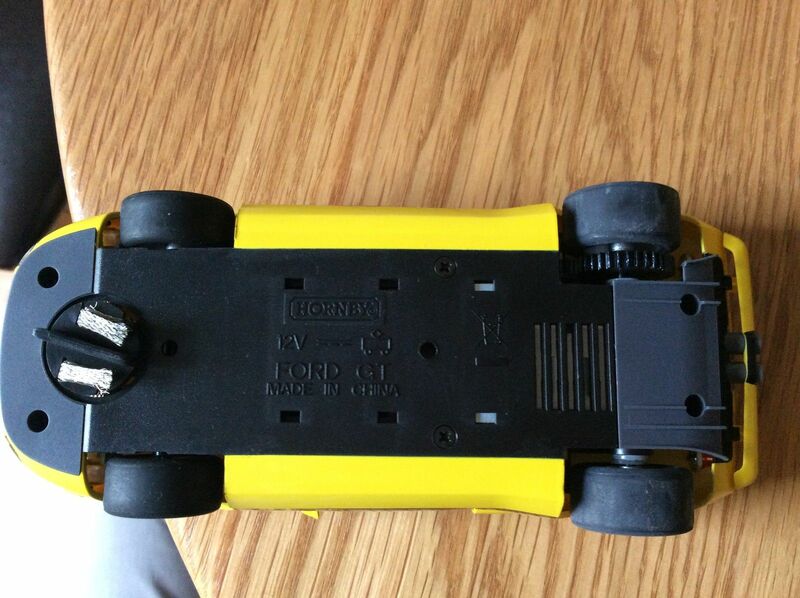 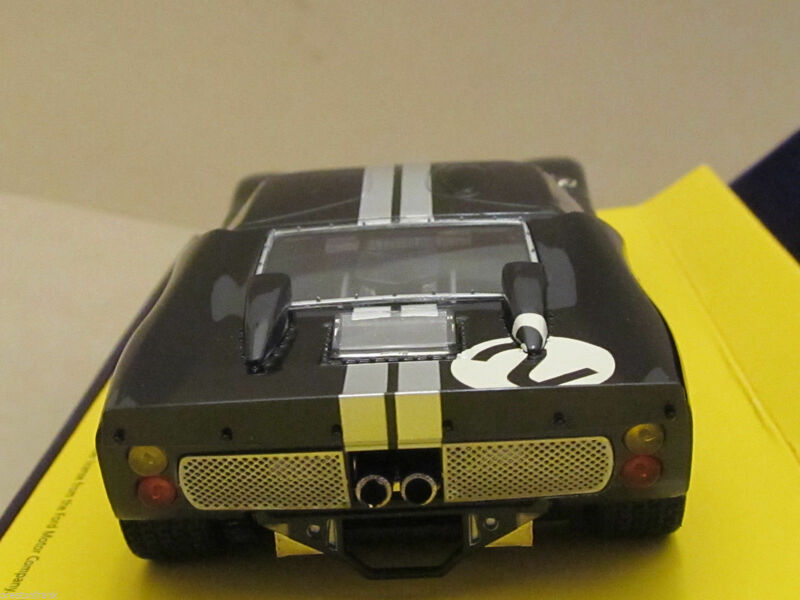 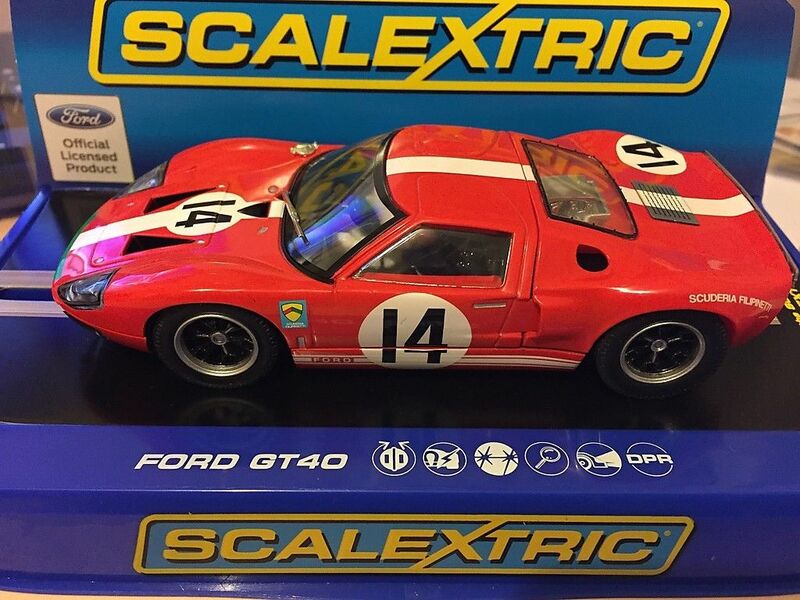 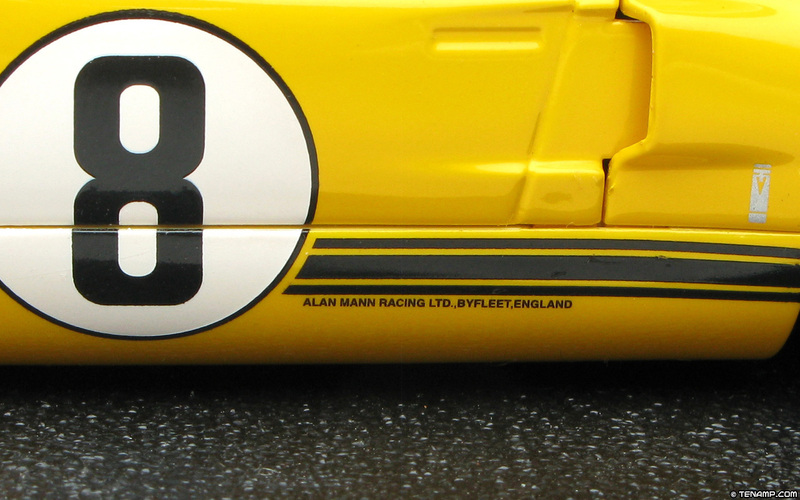 The new design is known as Scalextric Sport and can be connected to the original track using special adaptor pieces. 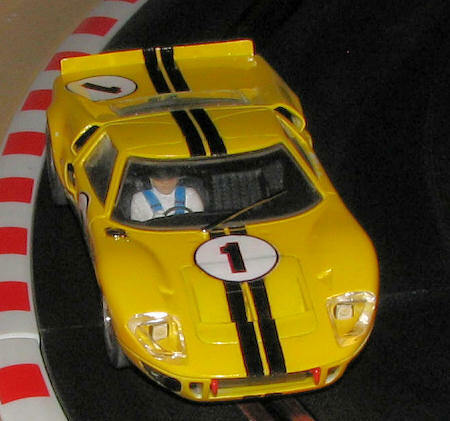 The new track was designed to be compatible with all earlier 1:32 cars. 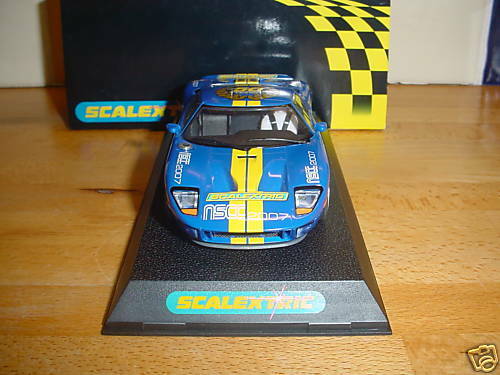 In 2004 Scalextric Sport Digital (SSD) was introduced, with which up to four digital cars can be raced in a single slot. 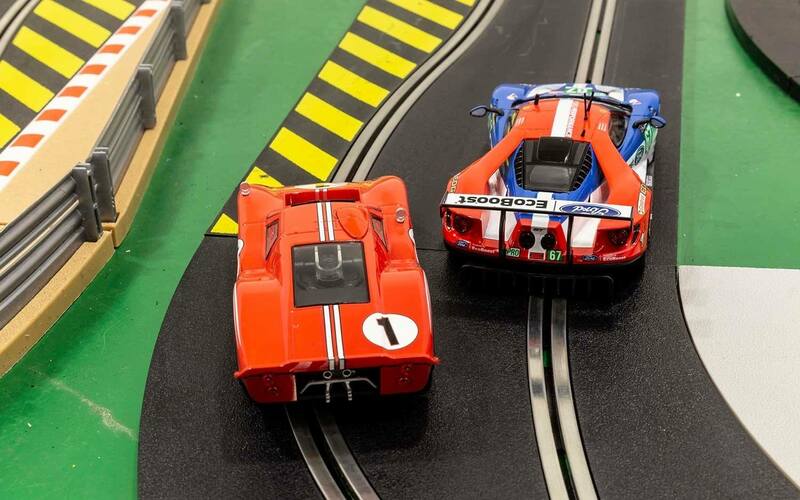 The cars can change from one slot to another using special slot-lane change tracks, the lane change or otherwise being controlled by a button on the throttle. 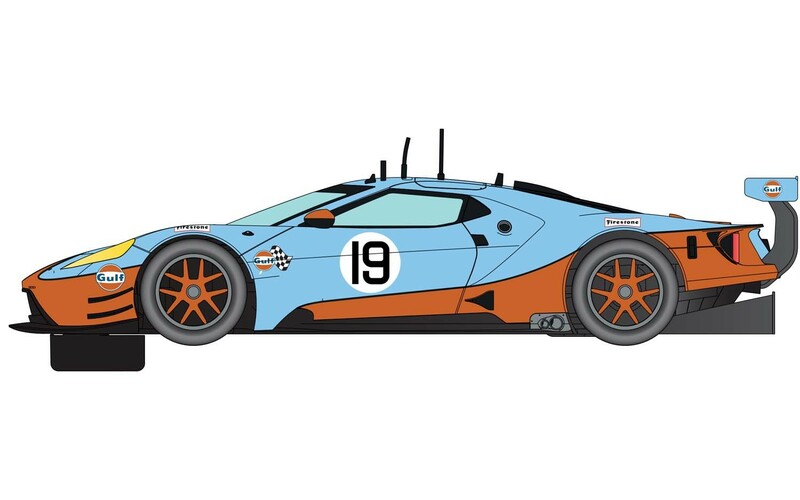 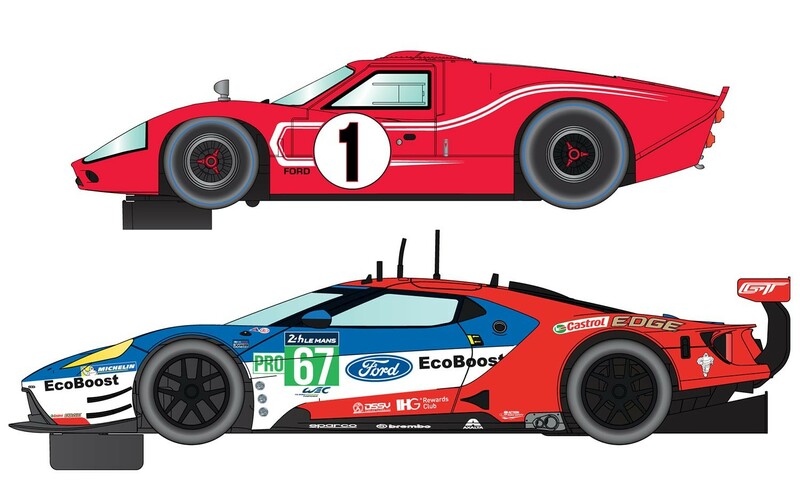 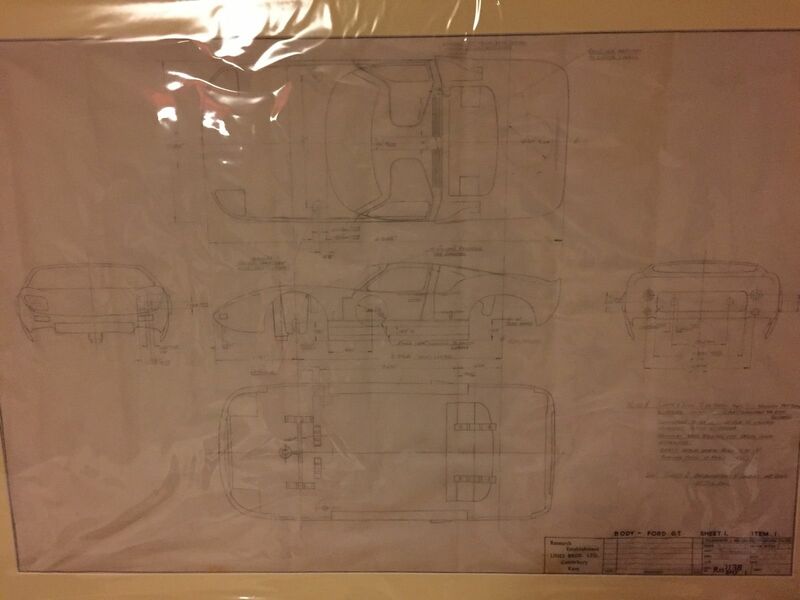 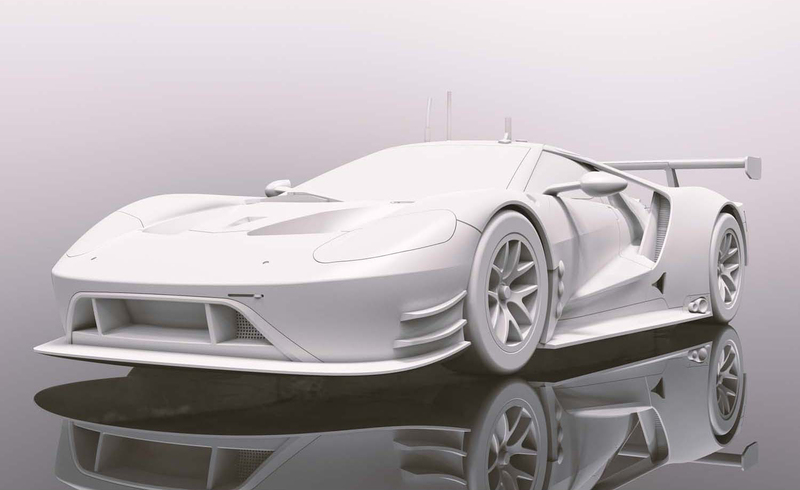 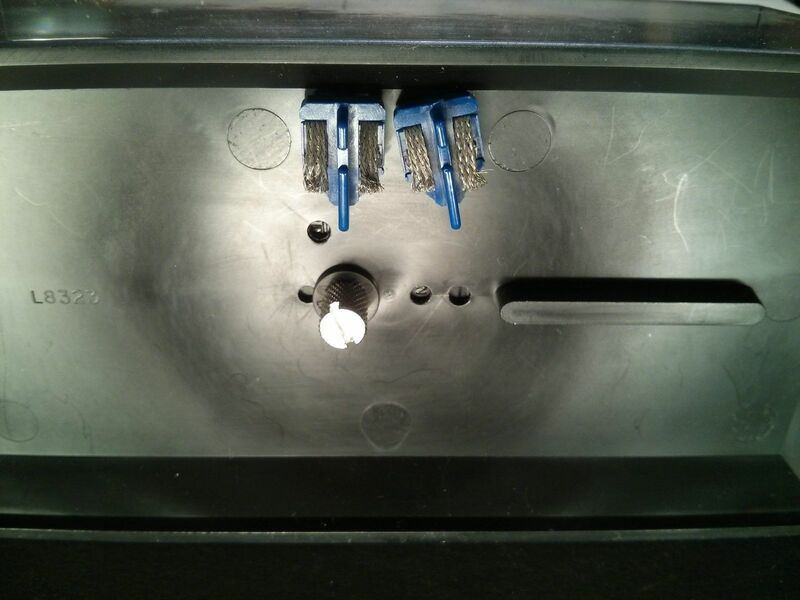 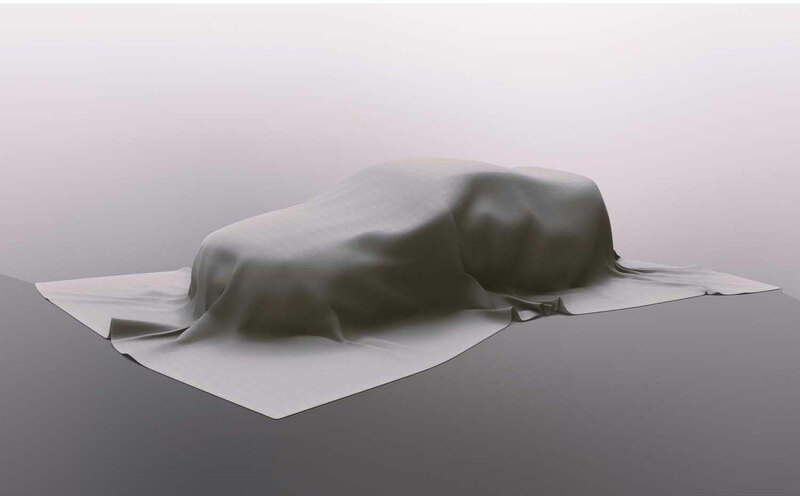 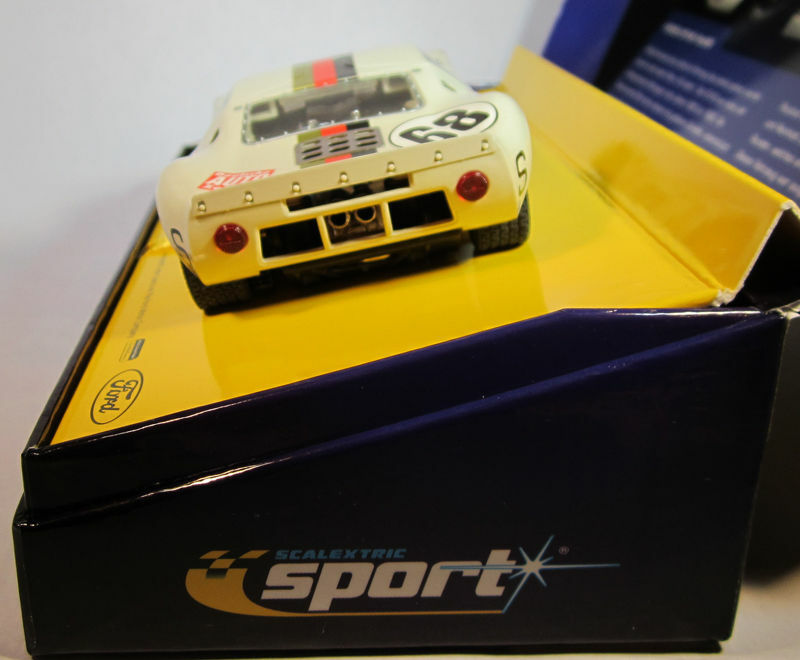 Sport Digital cars will run on analogue layouts without modification, but analogue cars require a digital decoder to be installed before they can run on a digital layout. 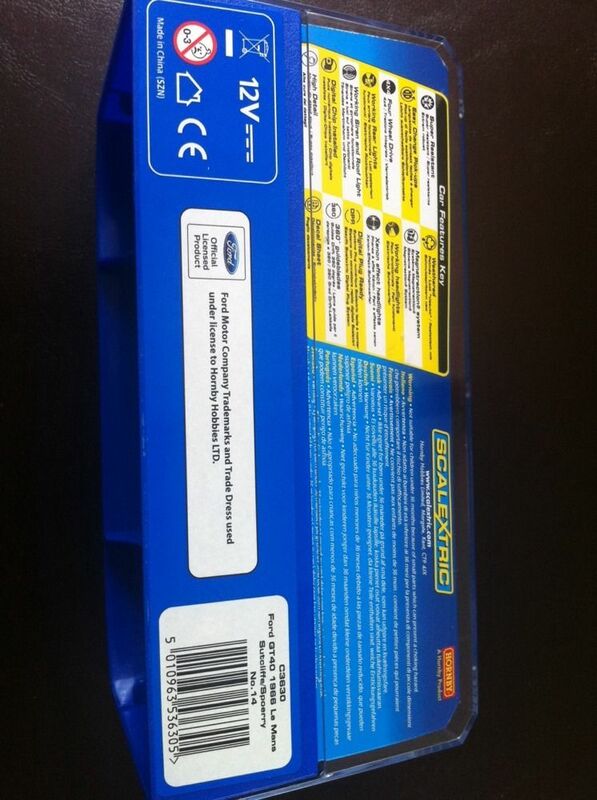 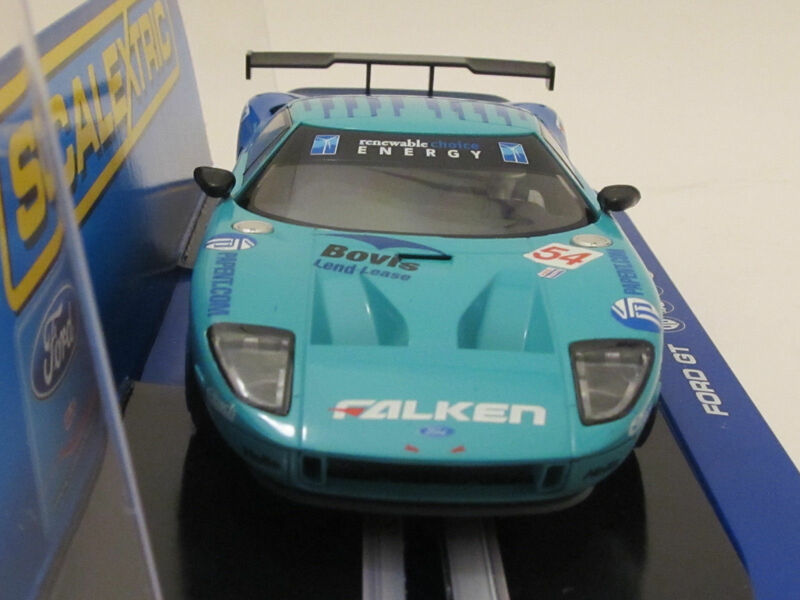 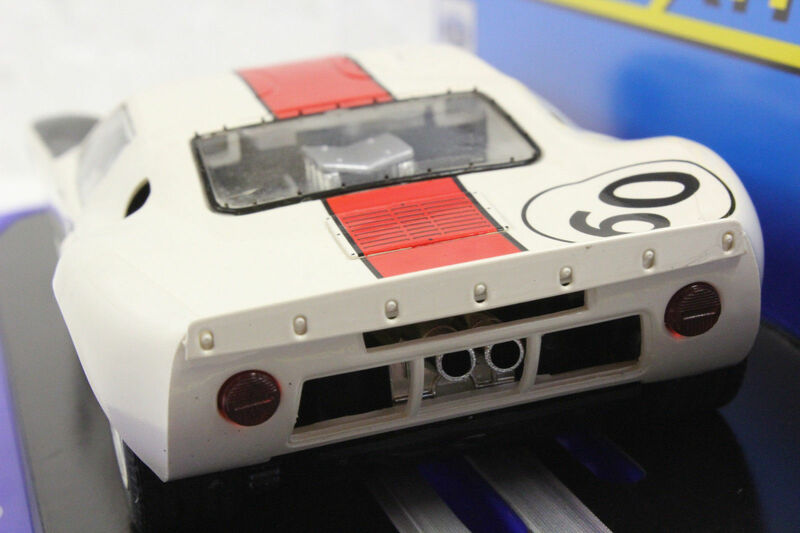 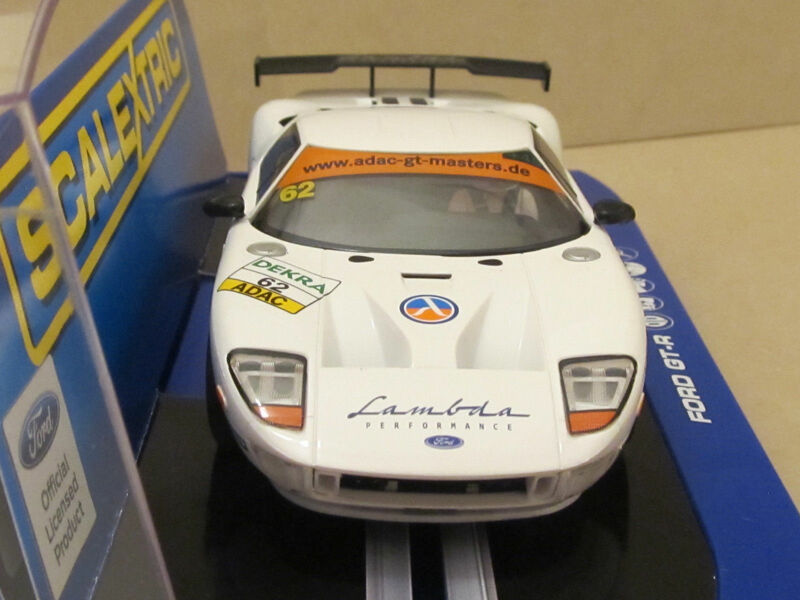 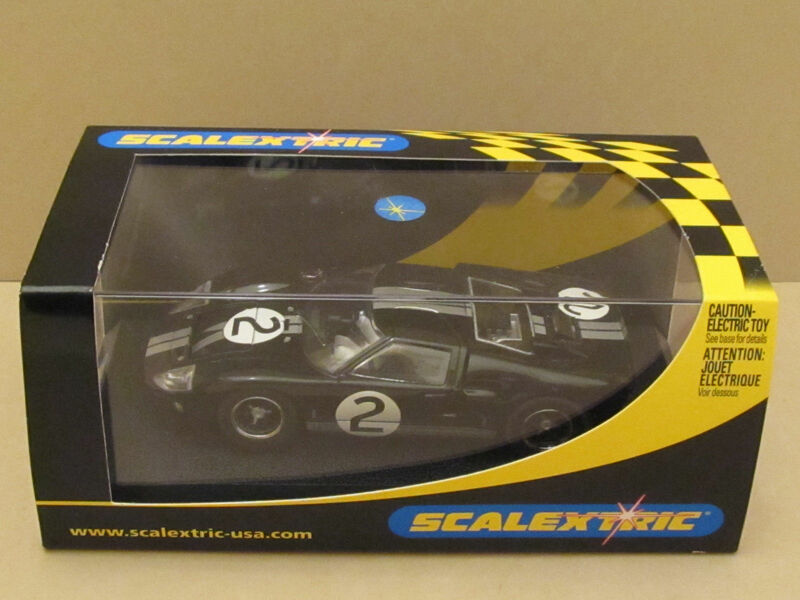 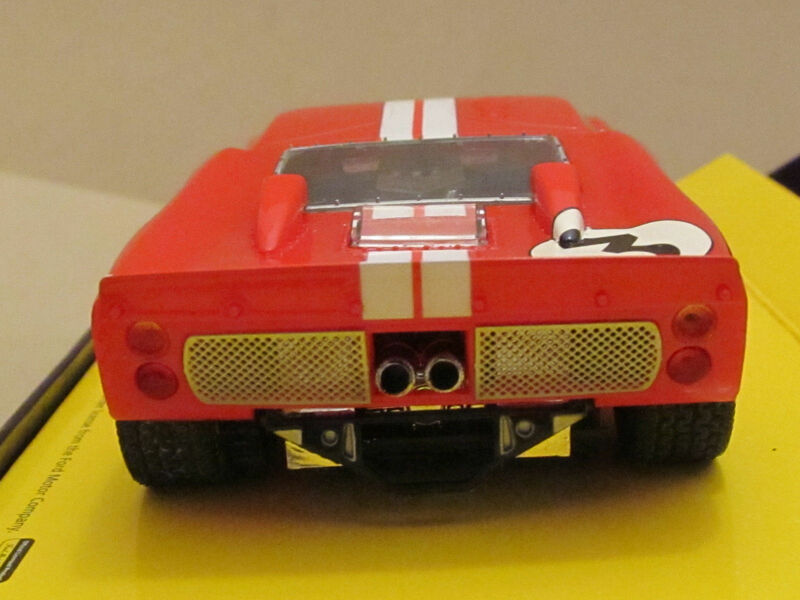 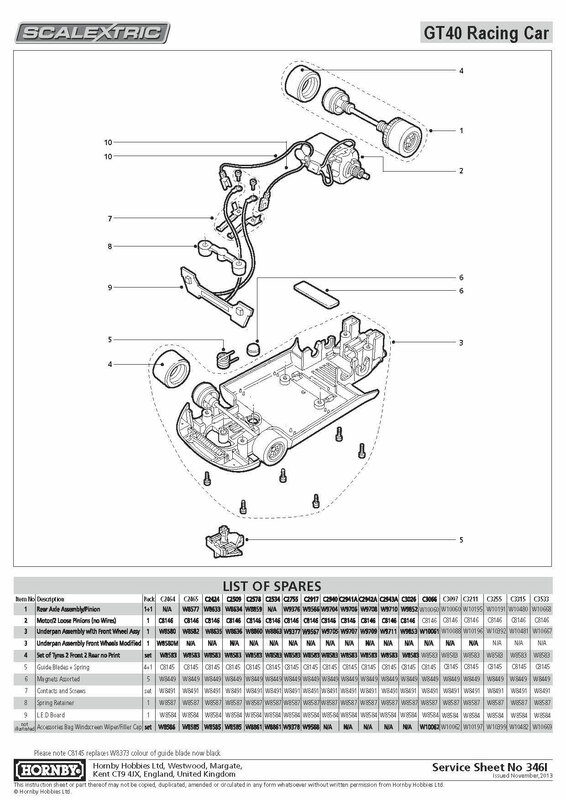 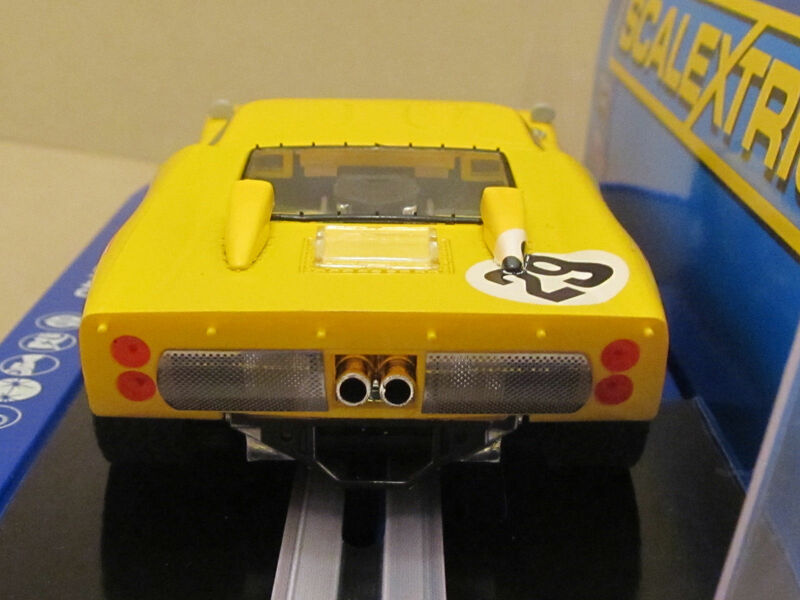 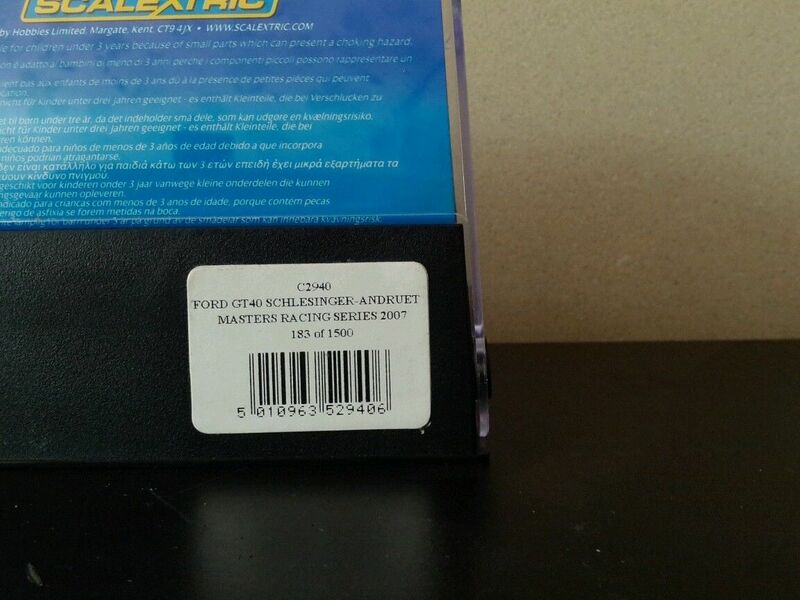 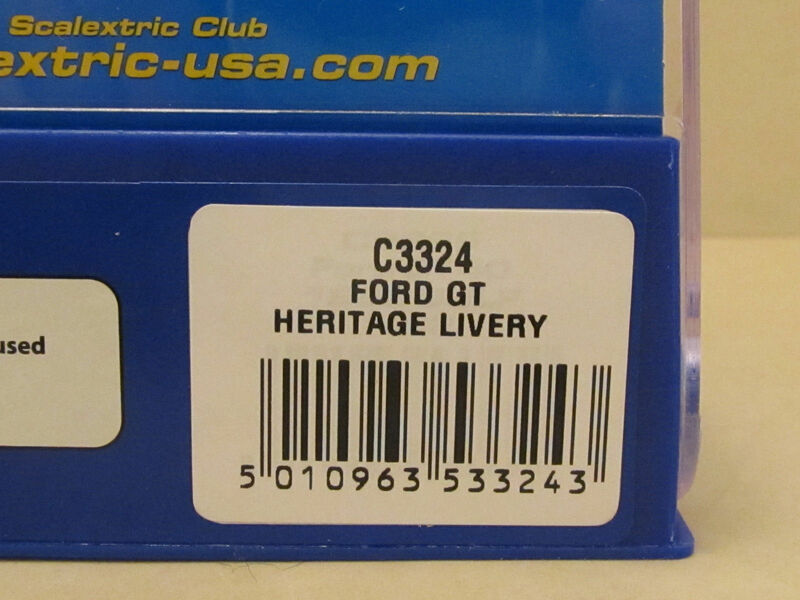 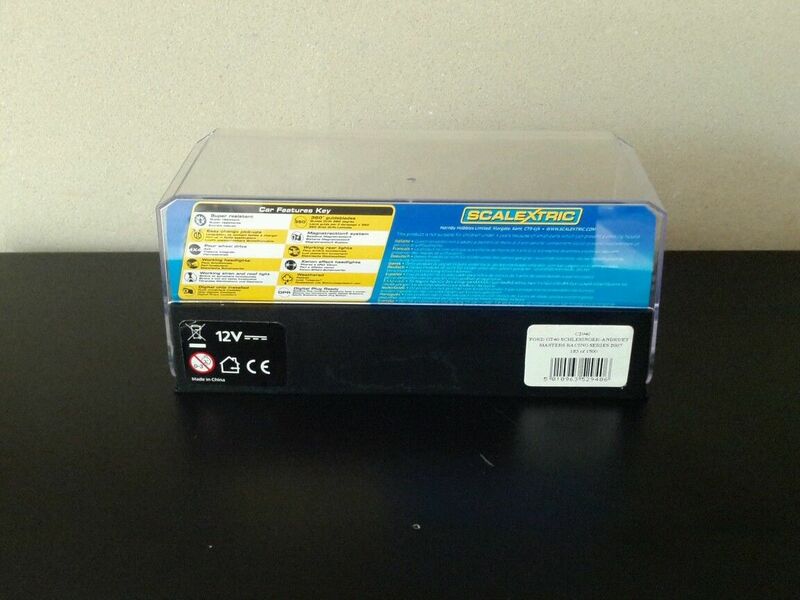 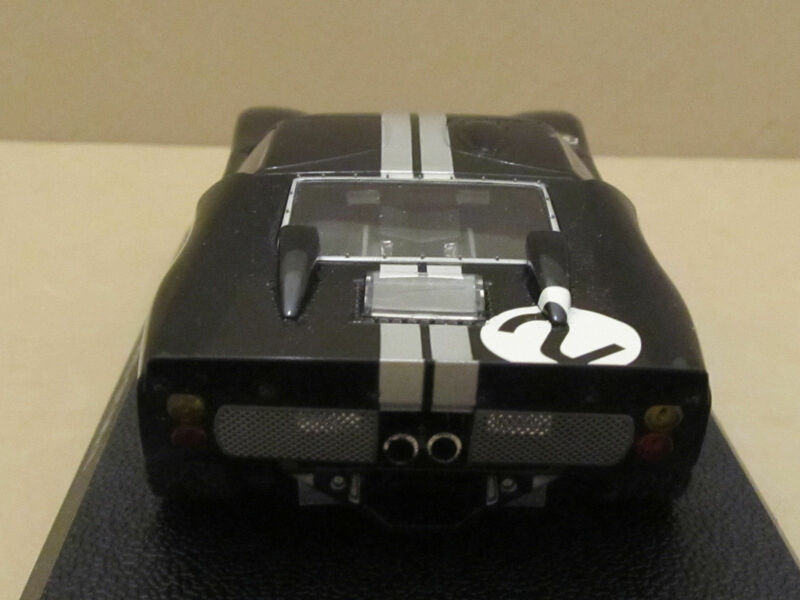 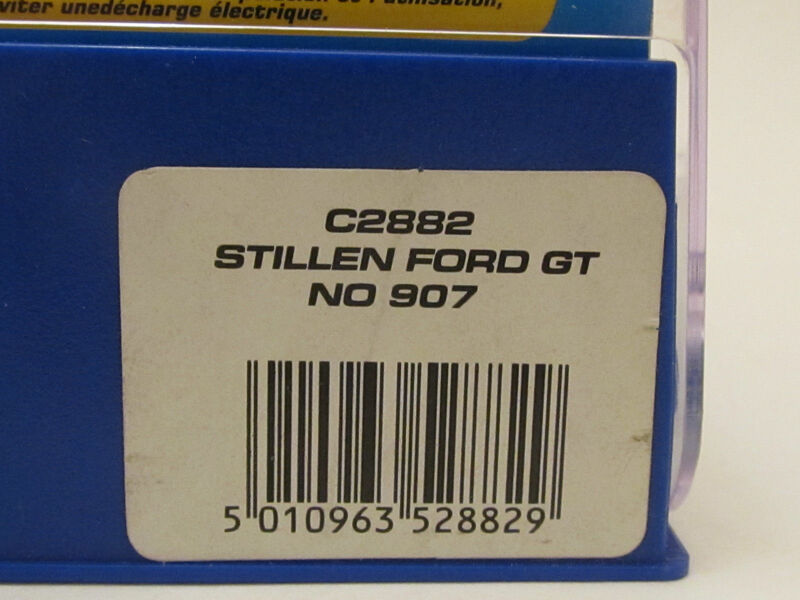 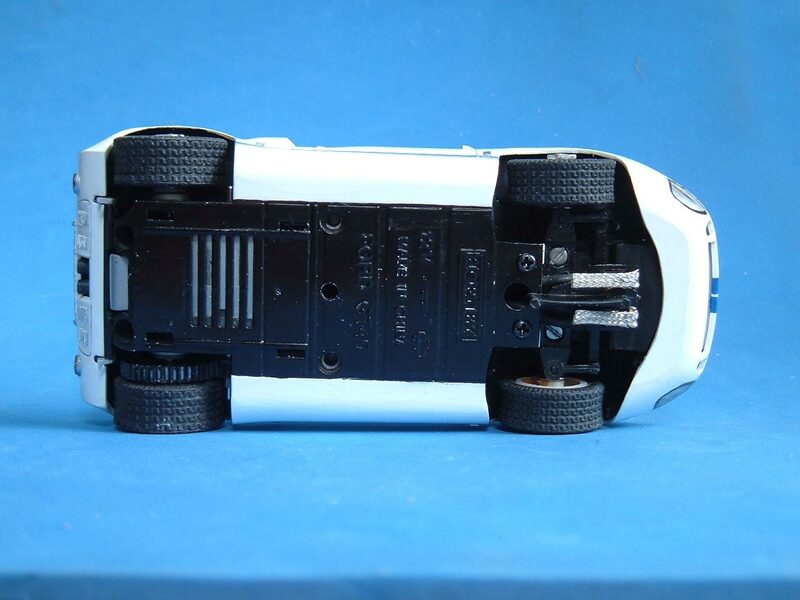 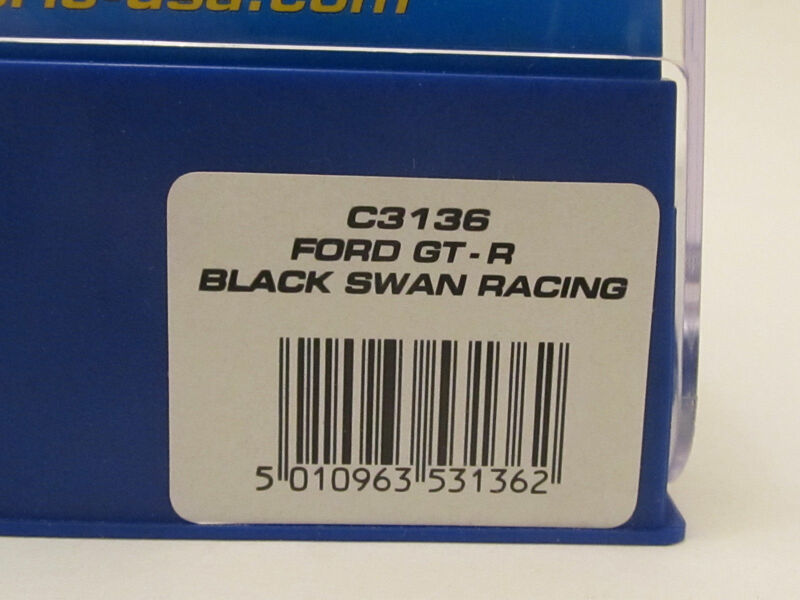 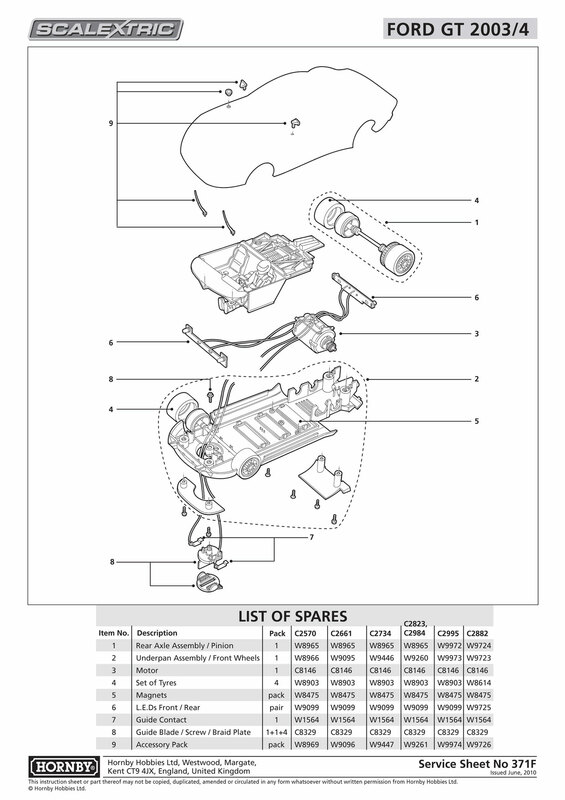 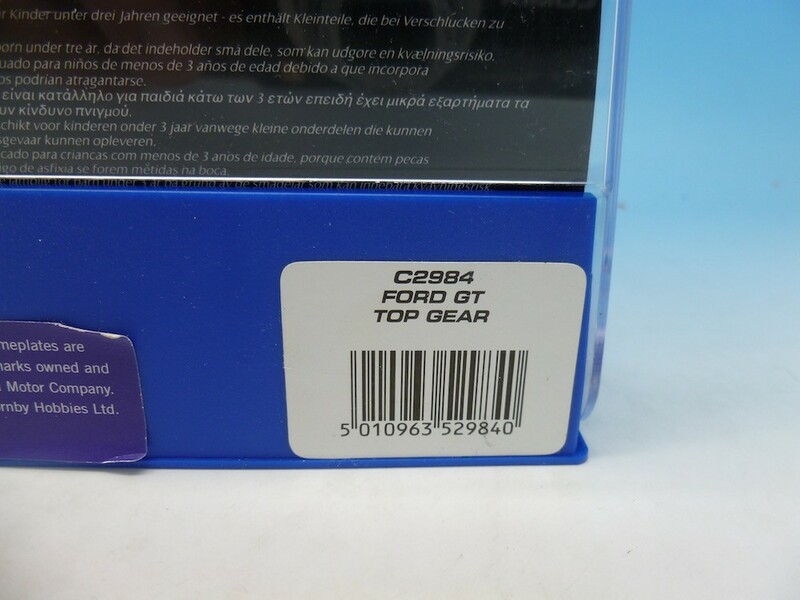 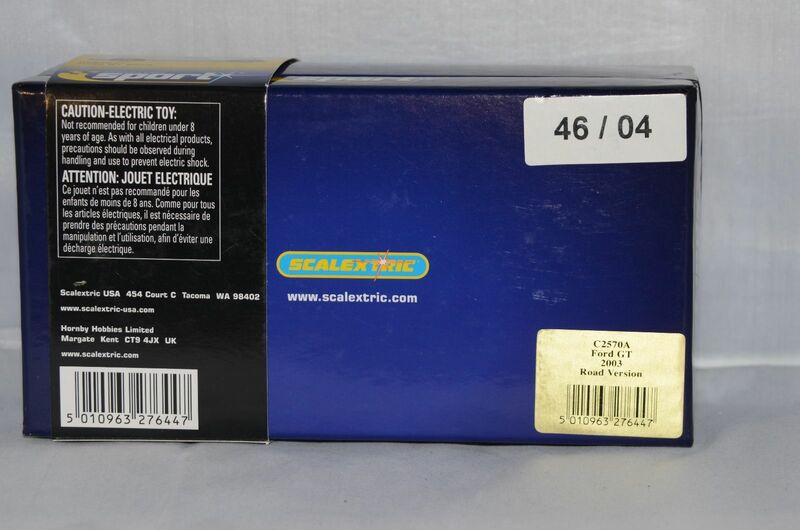 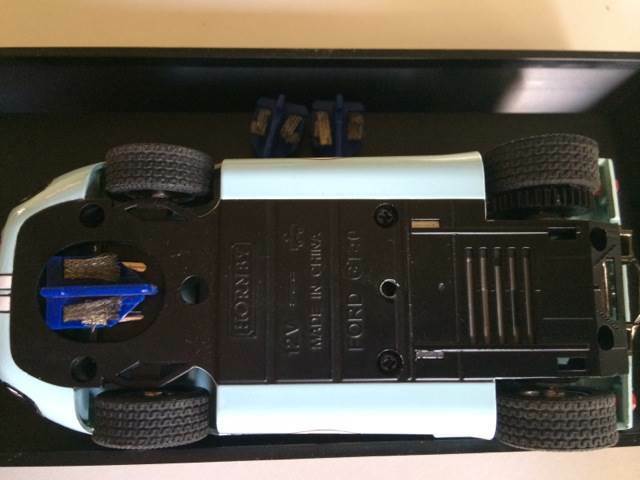 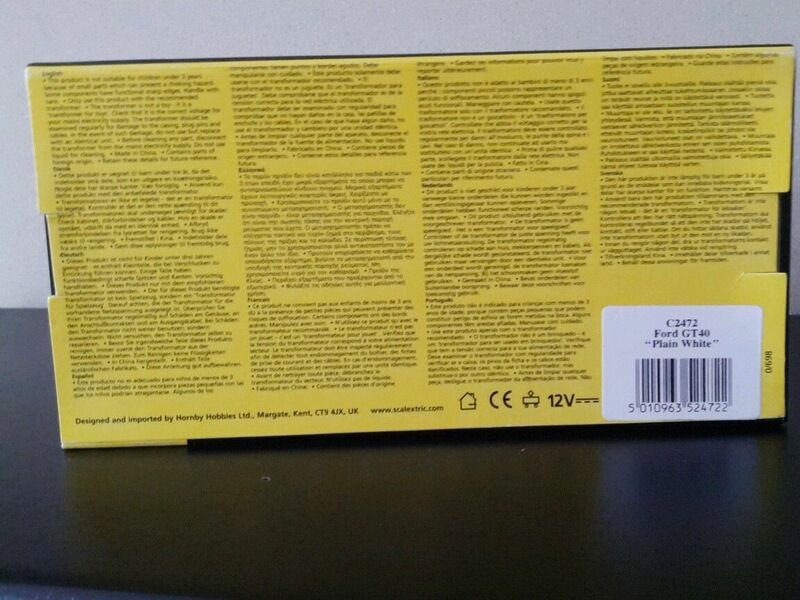 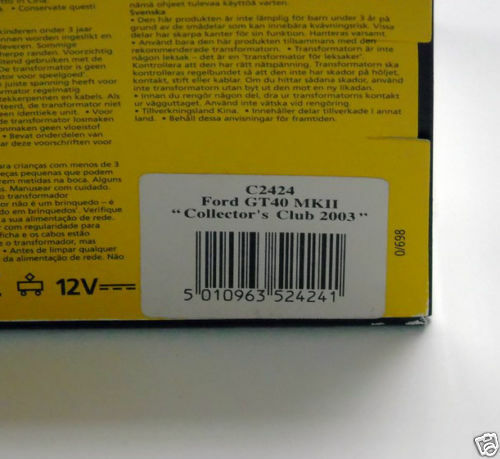 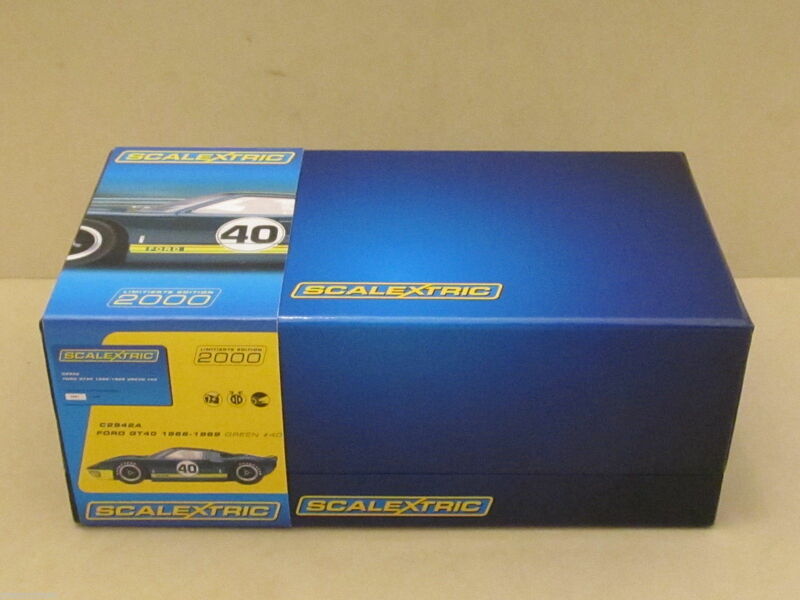 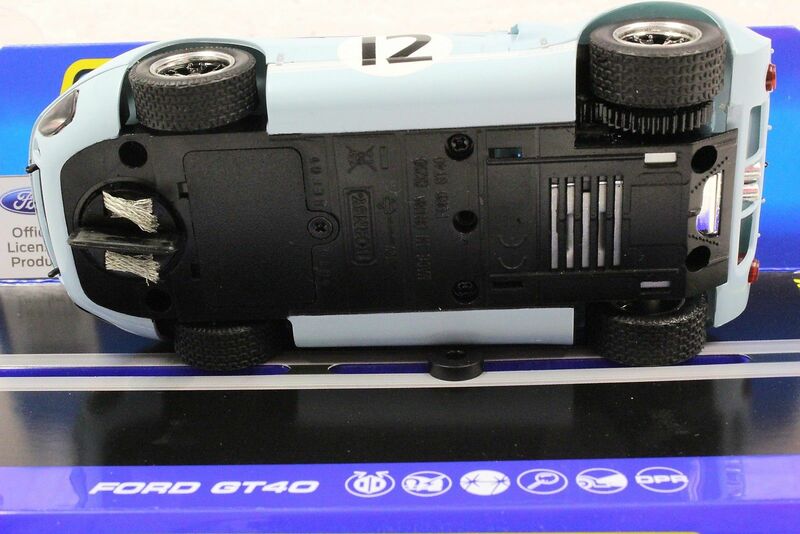 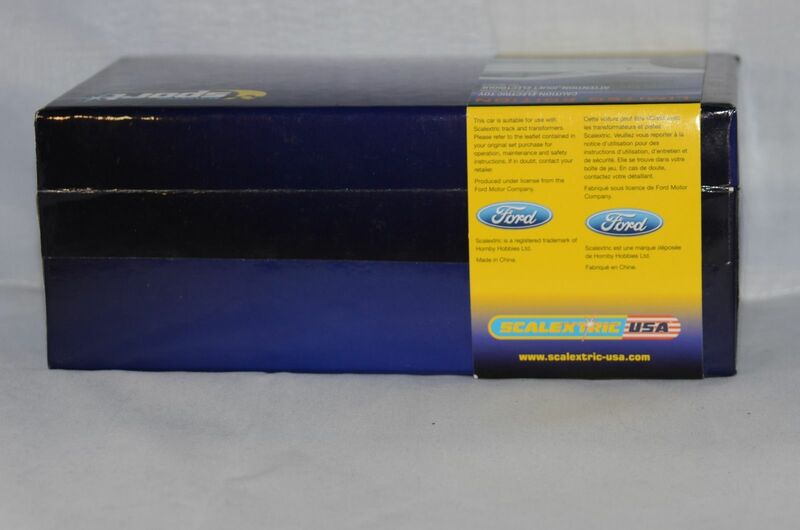 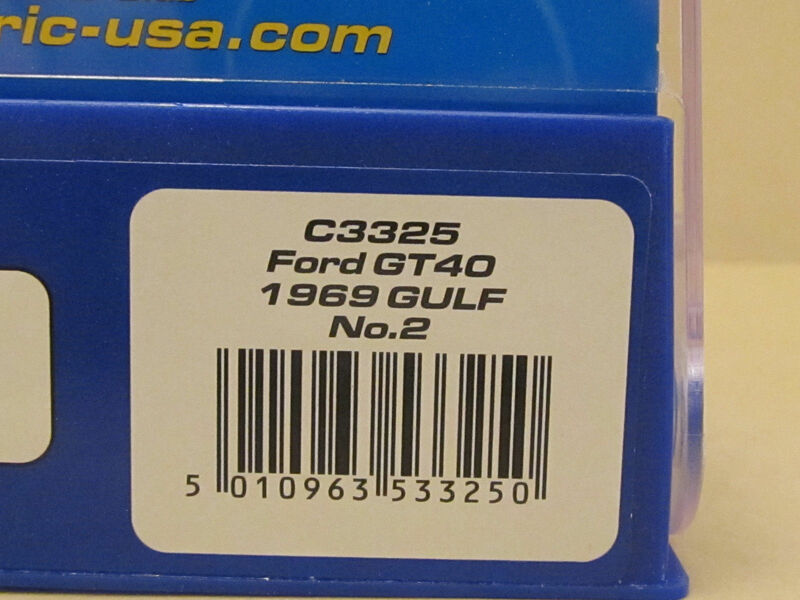 In late 2010 Scalextric released a revised six-car digital powerbase, C7042. 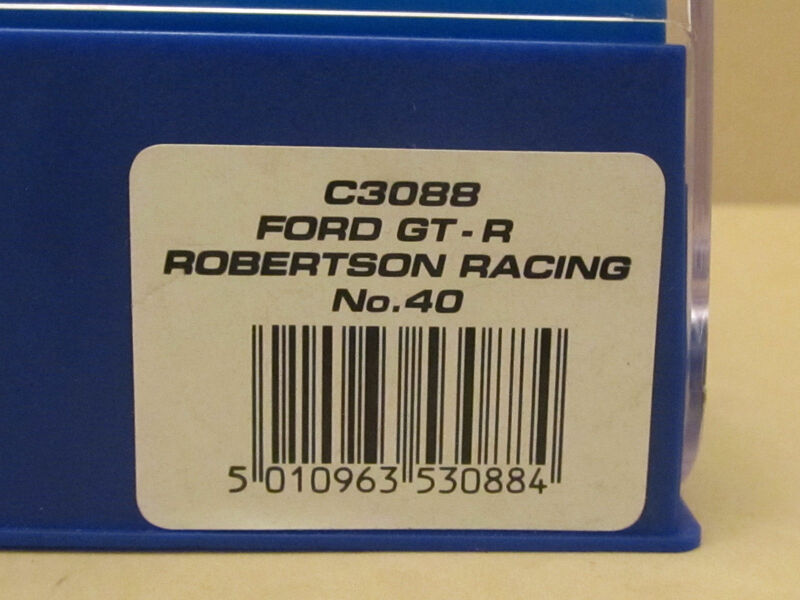 This powerbase includes a separate screen which aids set up and also displays race information such as lap times. 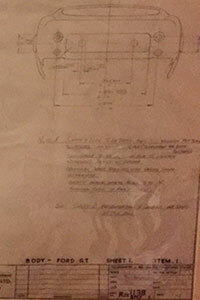 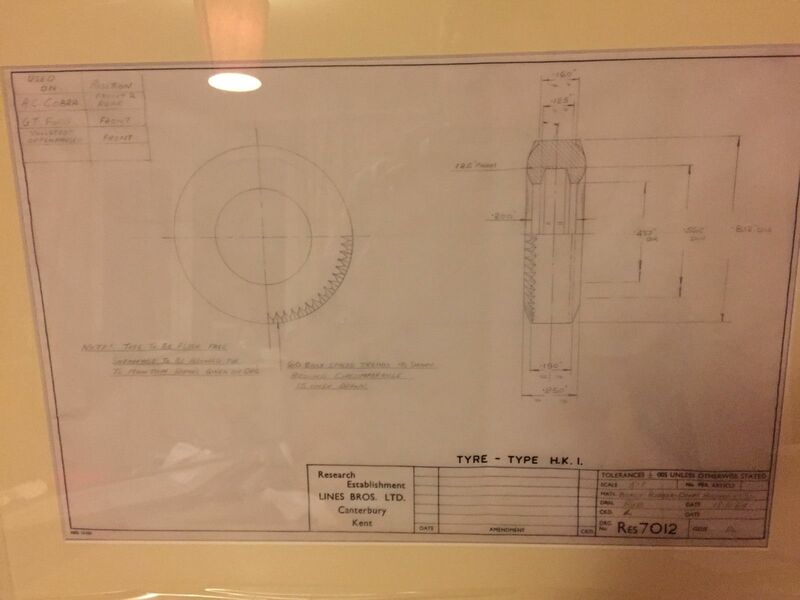 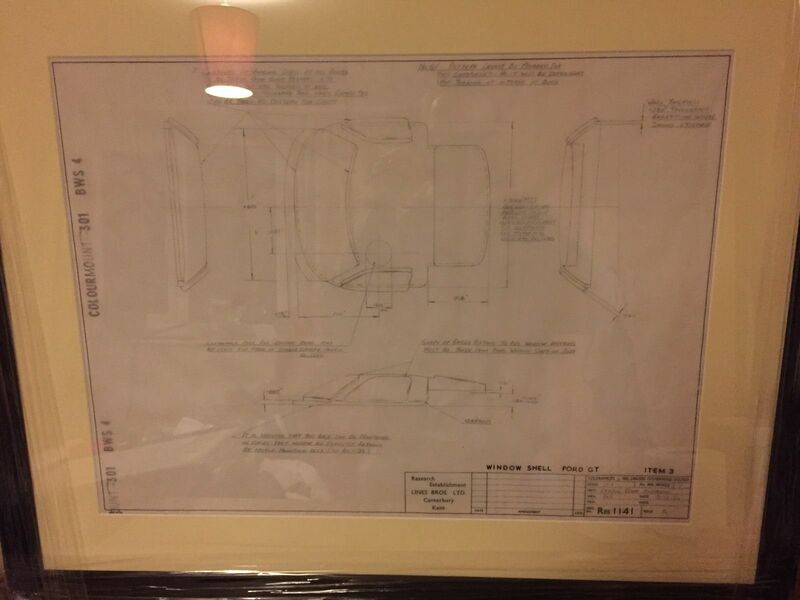 The company worked closely with customers when developing the new system. 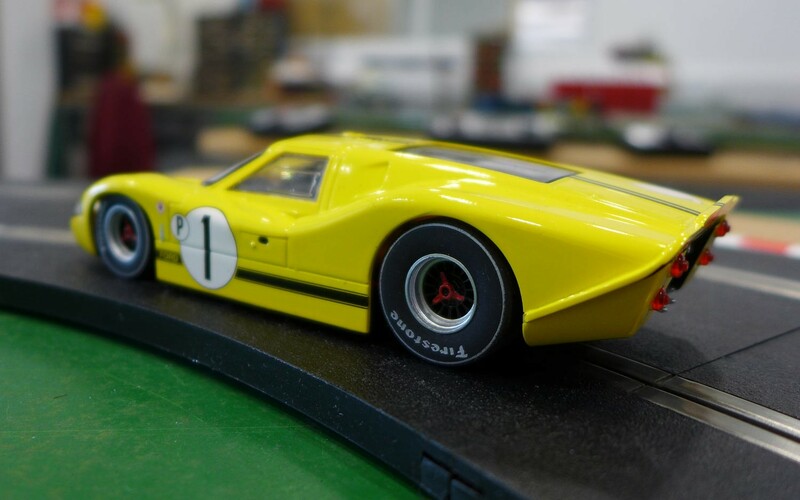 The result includes features such as yellow flag options for dealing with crashed cars, ghost cars to race against which can run and change lanes automatically, and the ability to race in analogue mode for older models that have not been converted to digital. 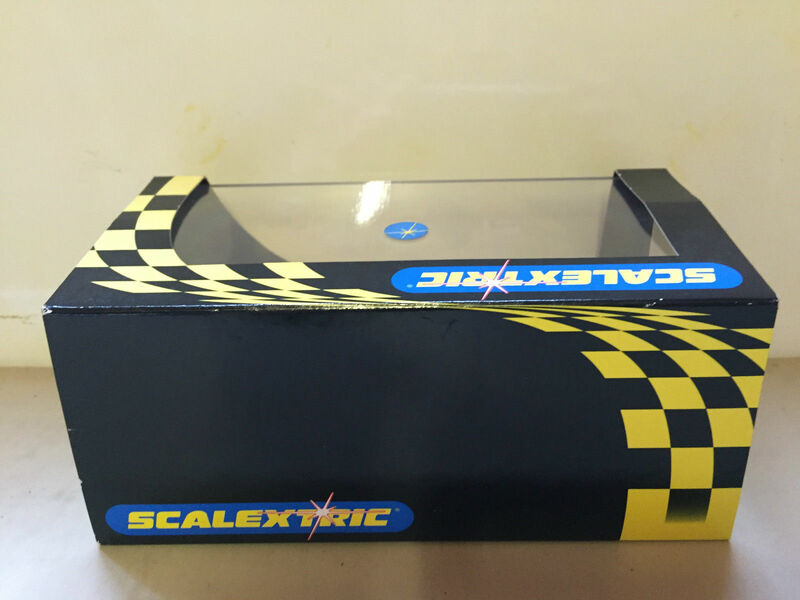 In 2014 Scalextric launched the smartphone interactive RCS (Race Control System). 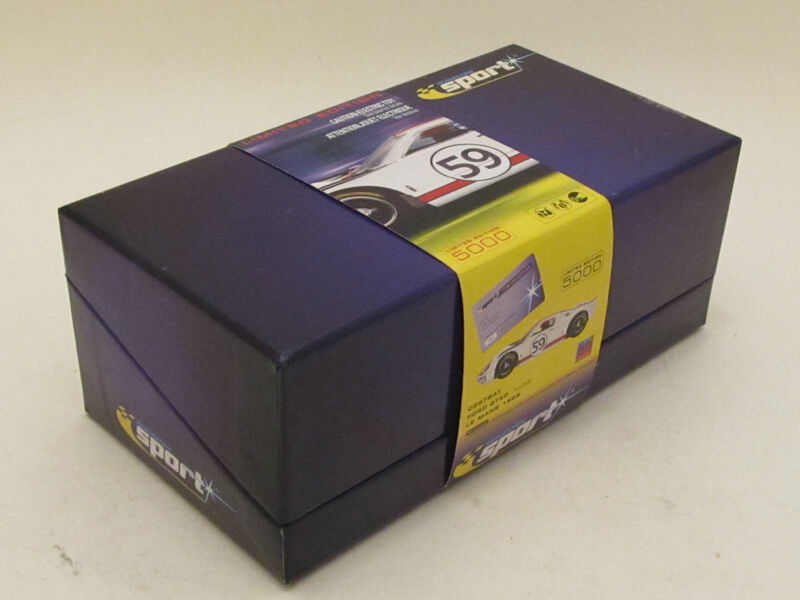 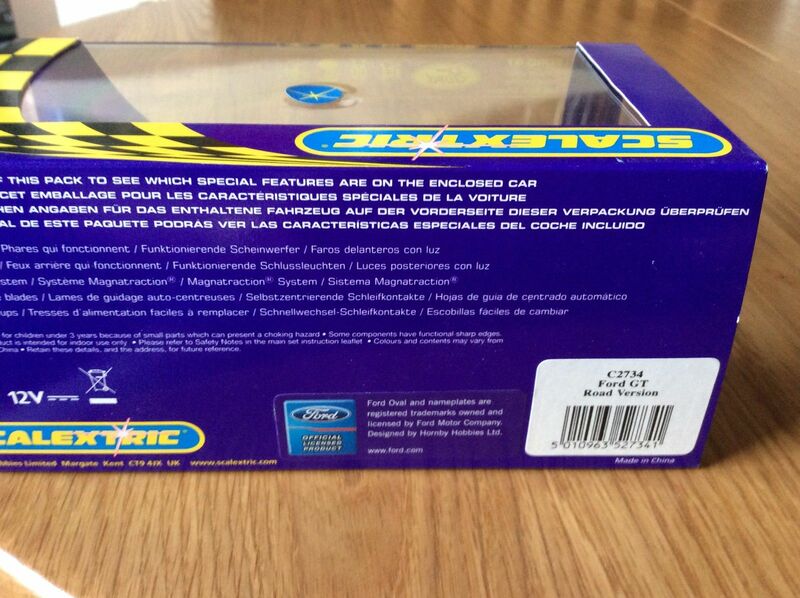 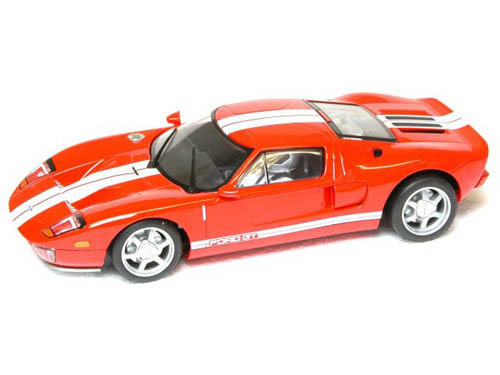 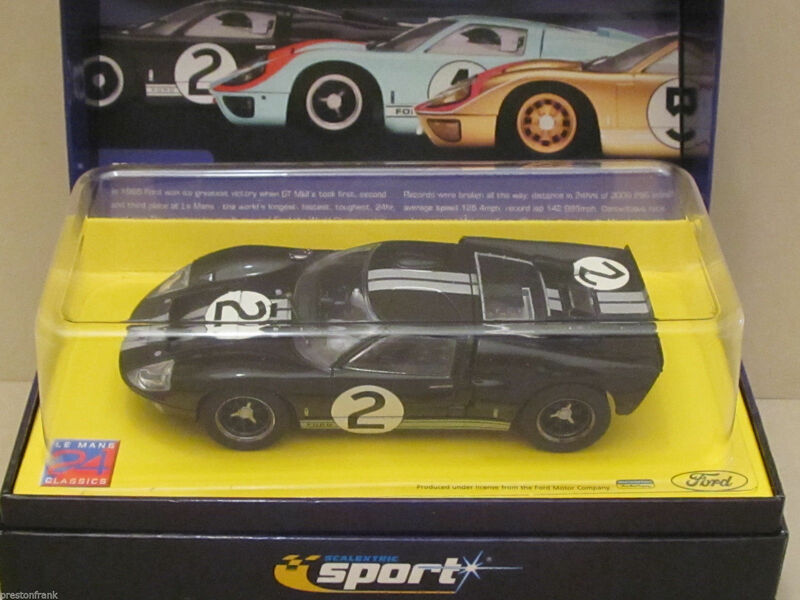 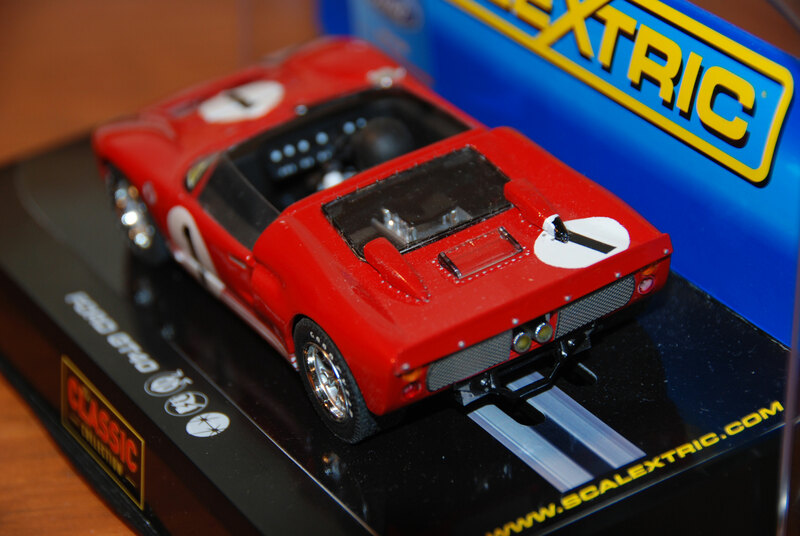 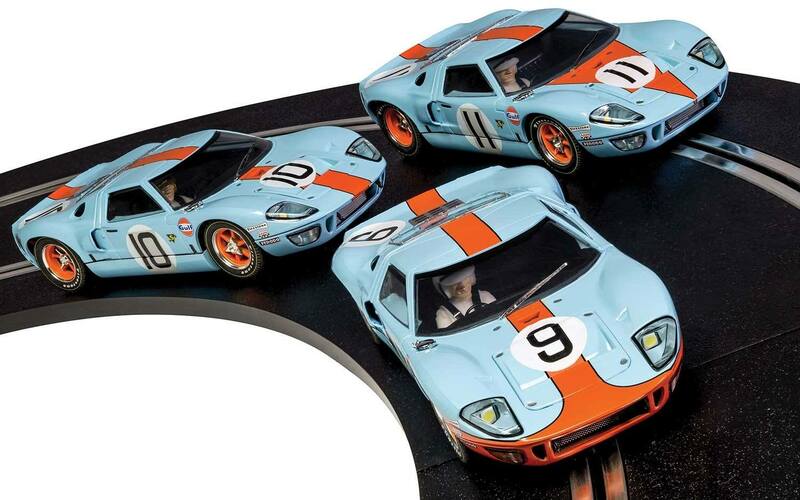 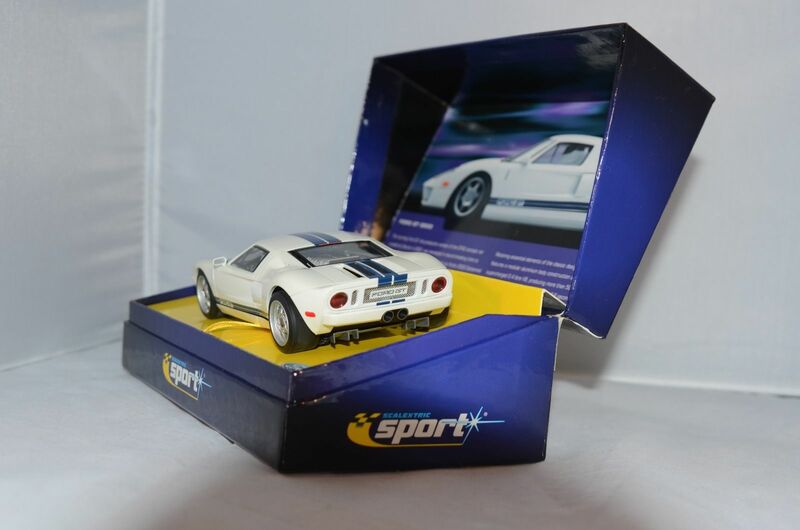 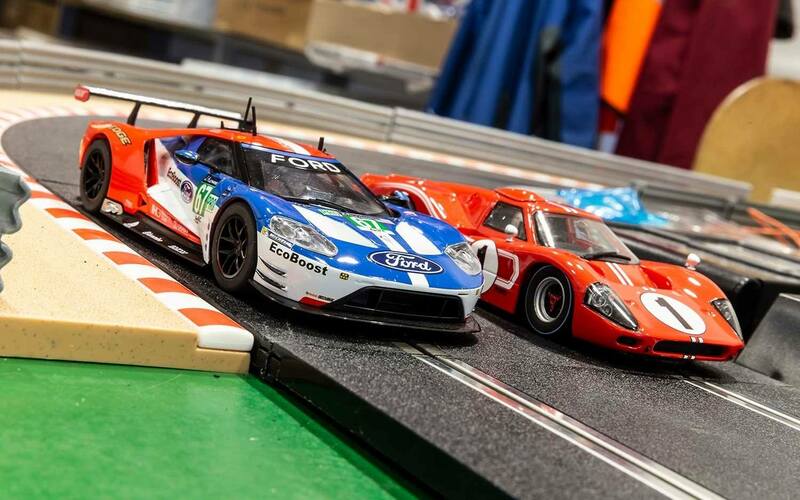 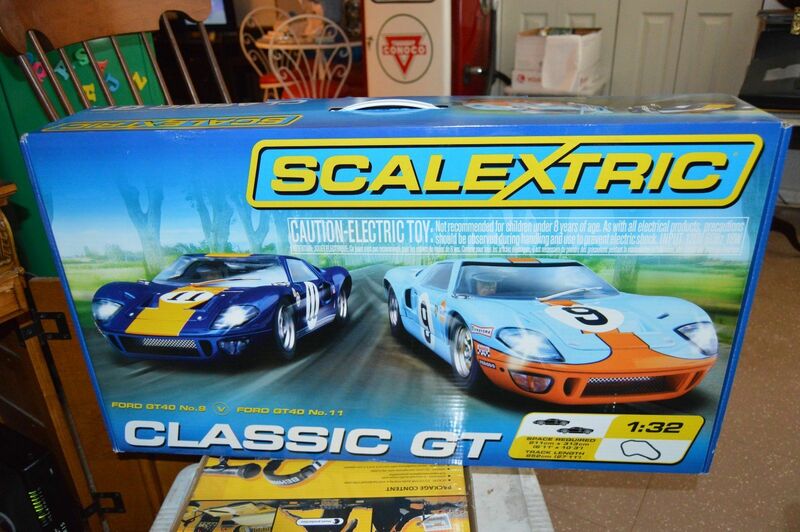 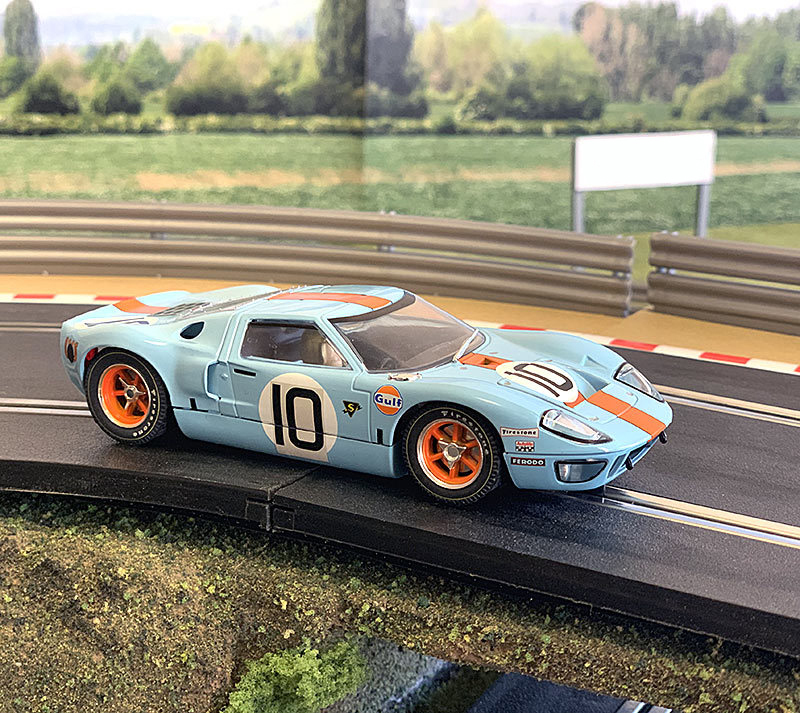 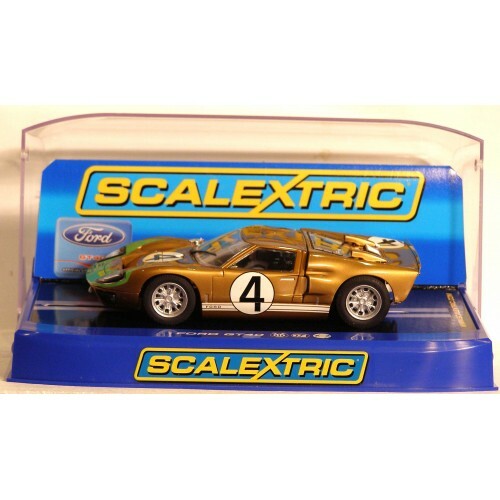 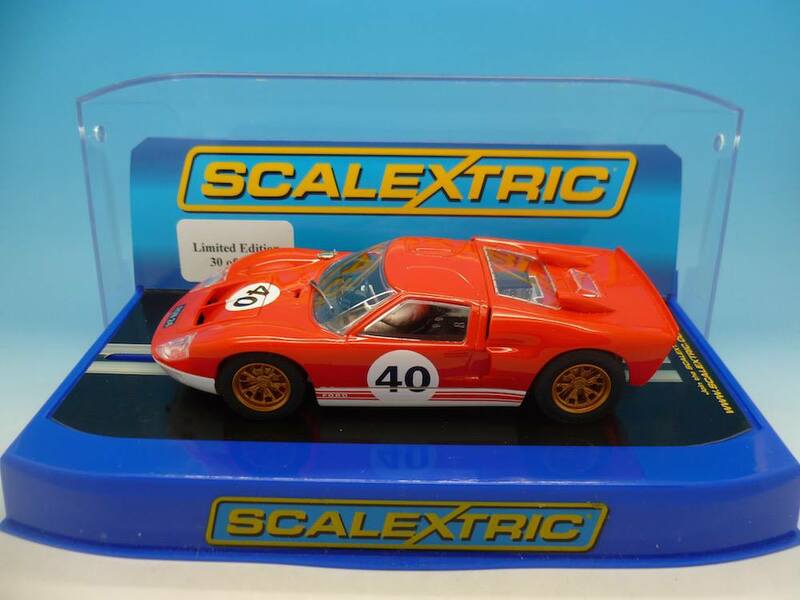 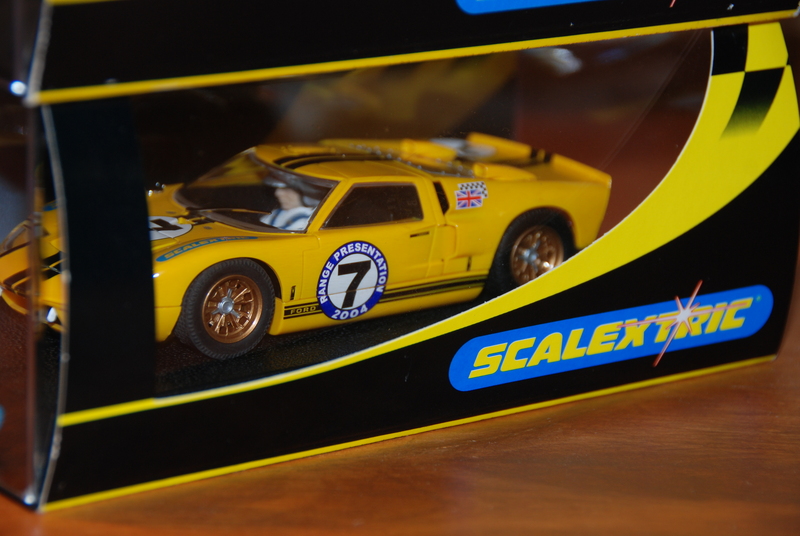 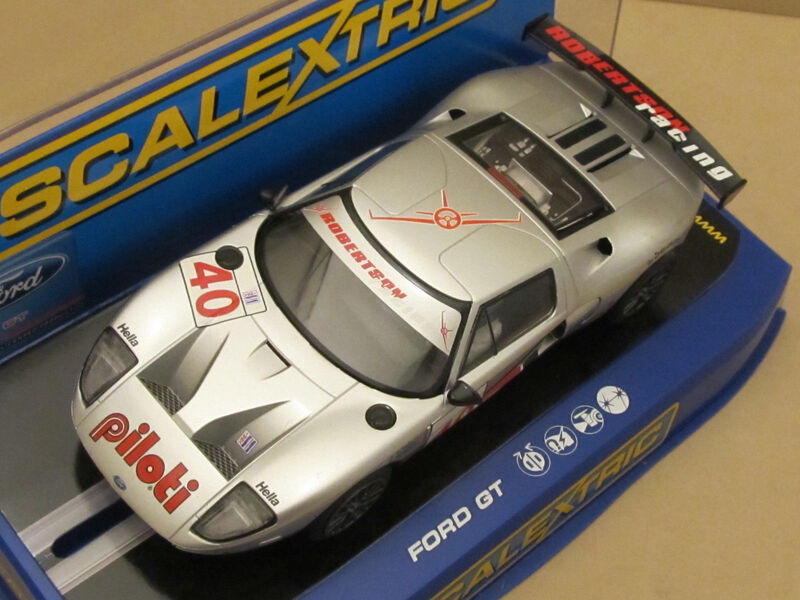 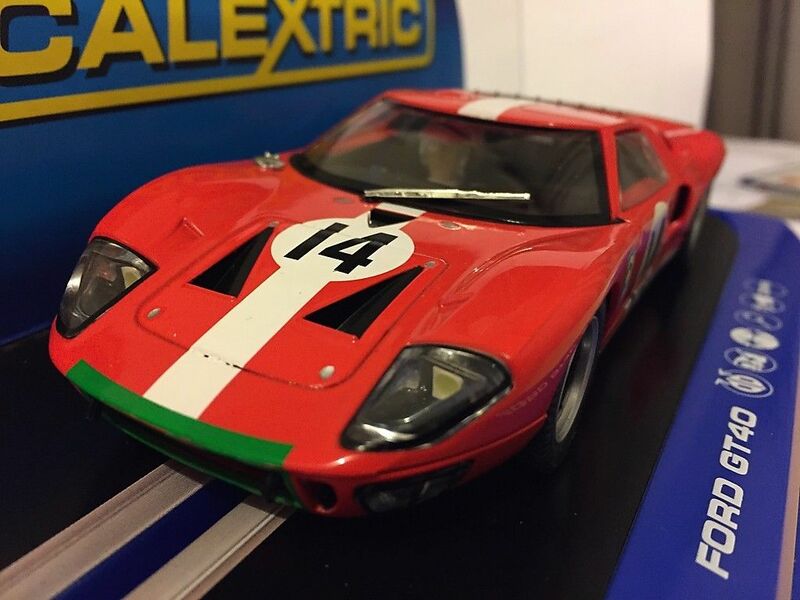 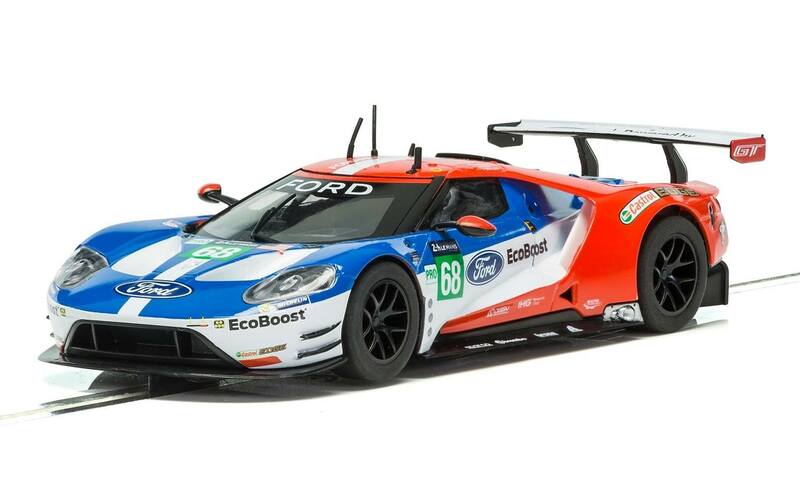 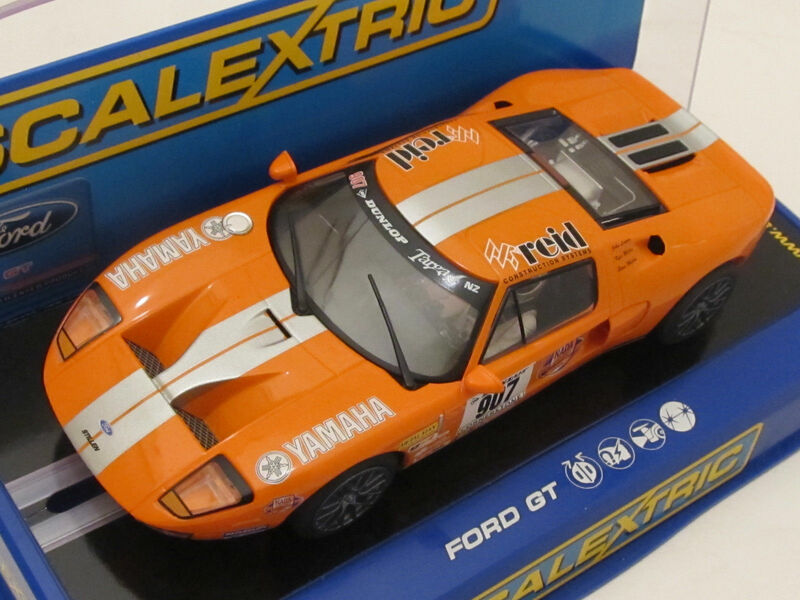 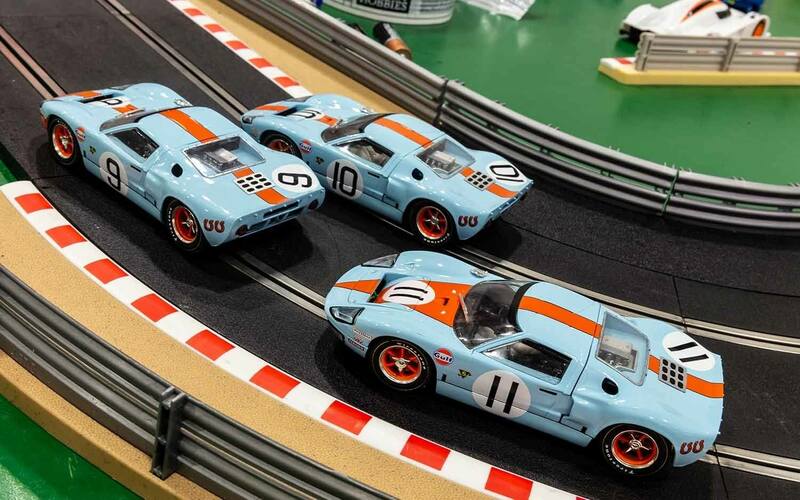 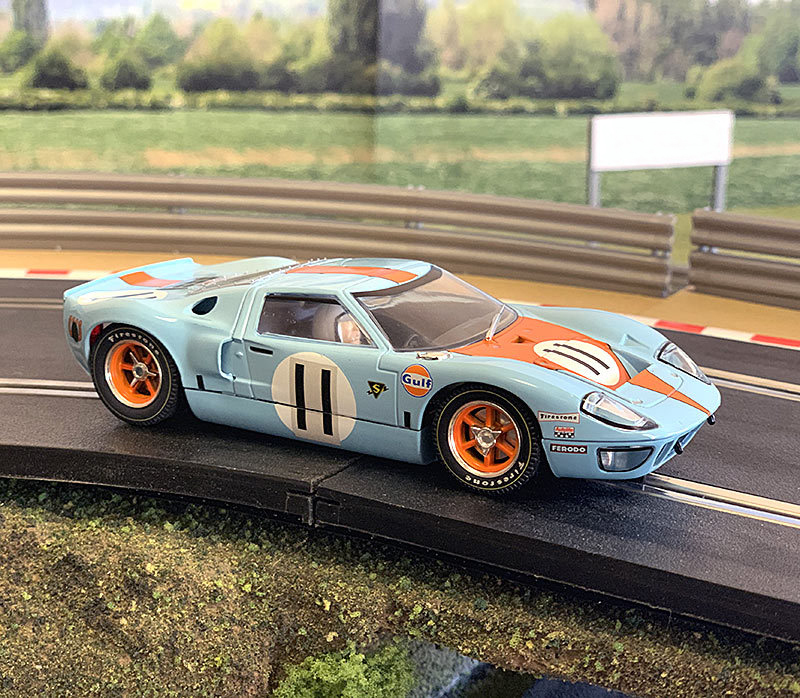 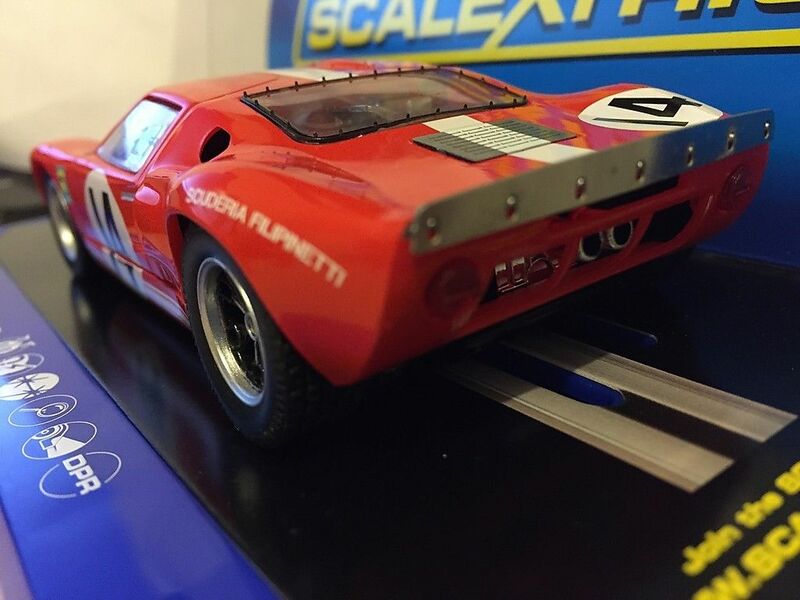 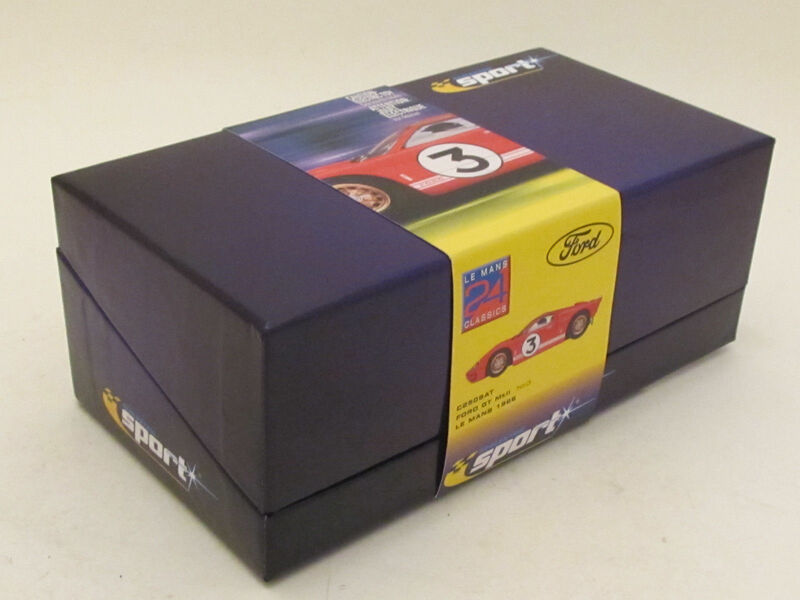 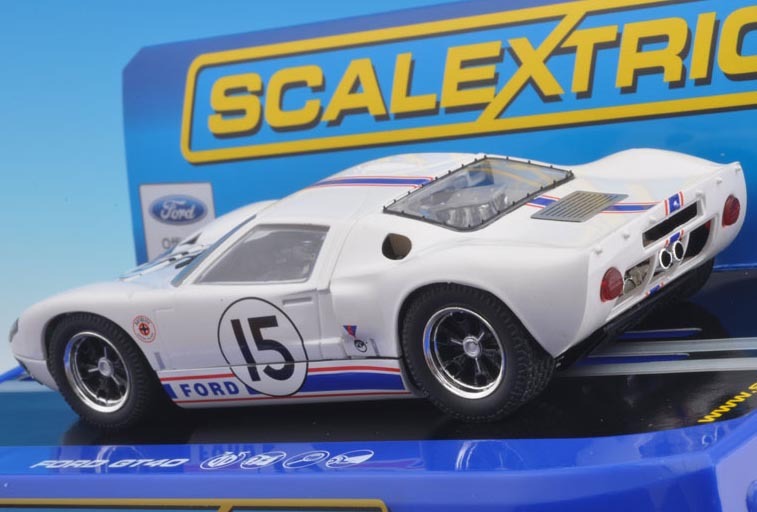 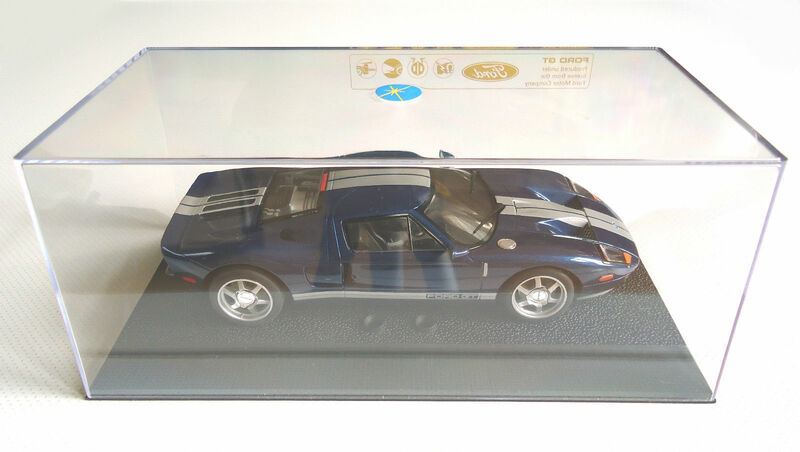 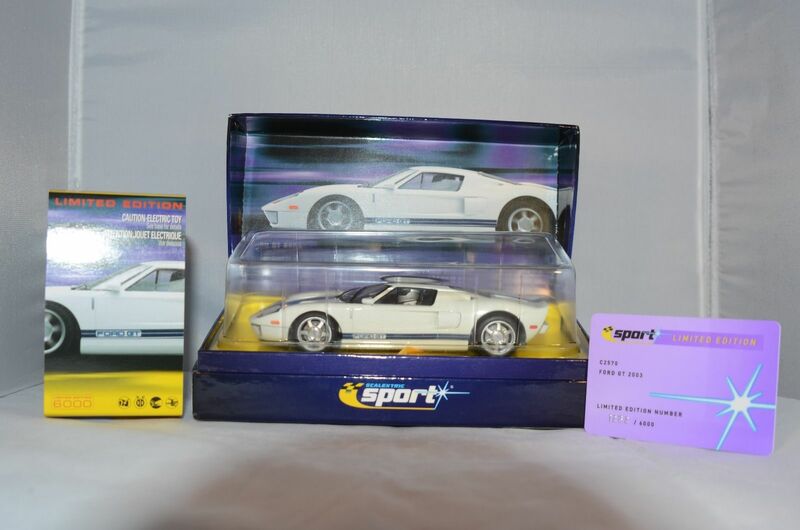 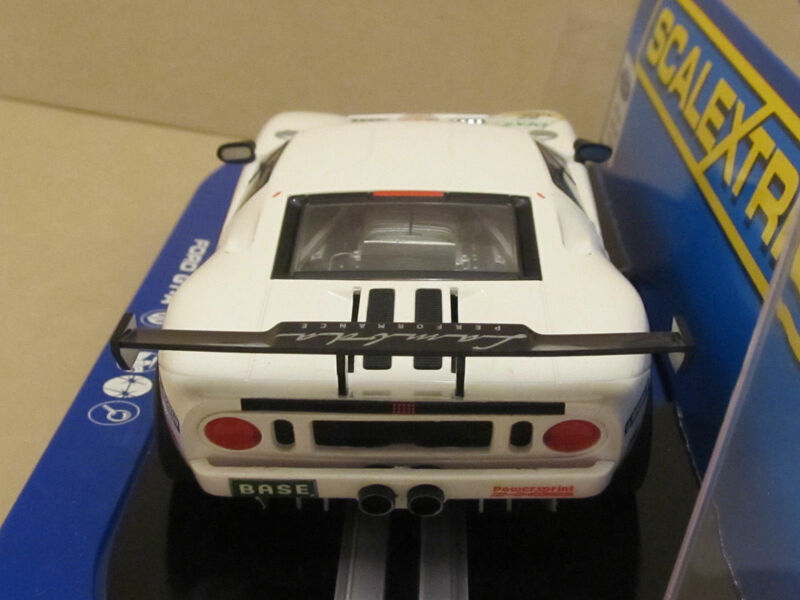 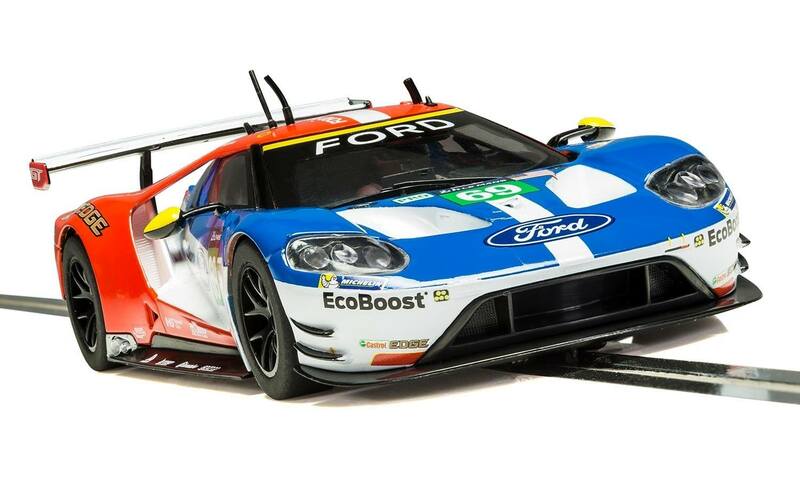 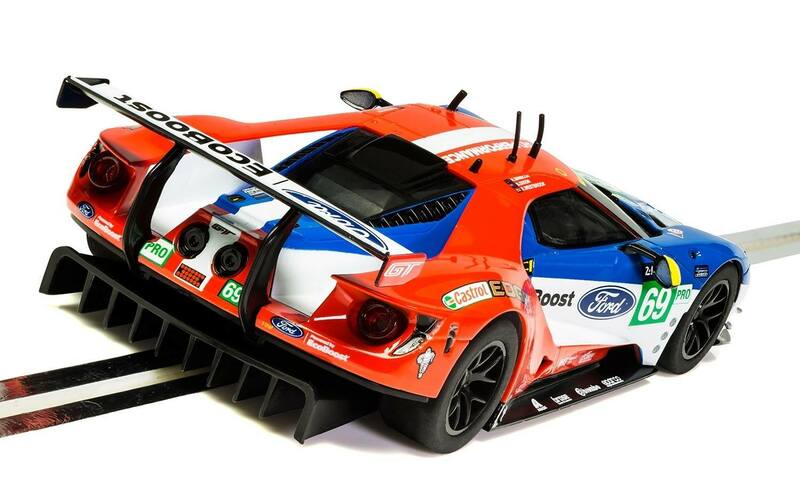 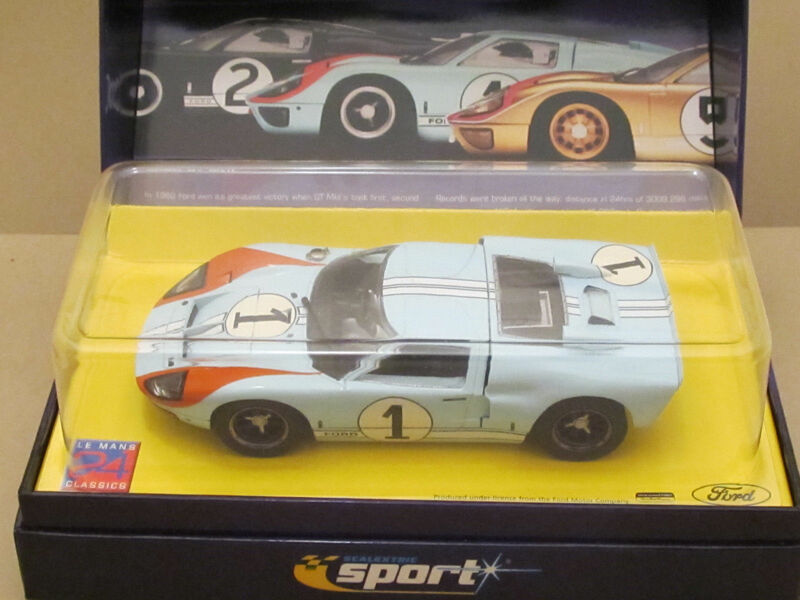 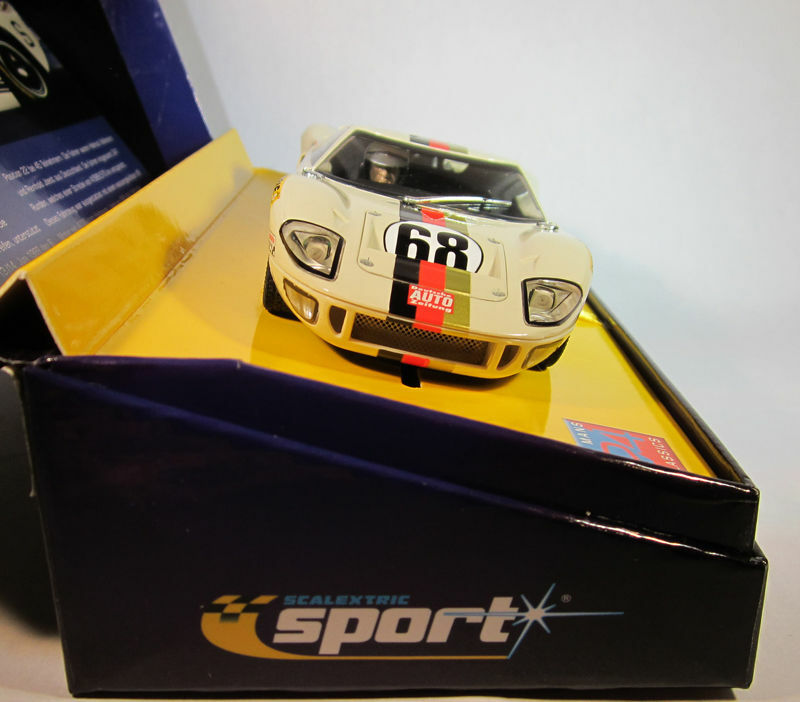 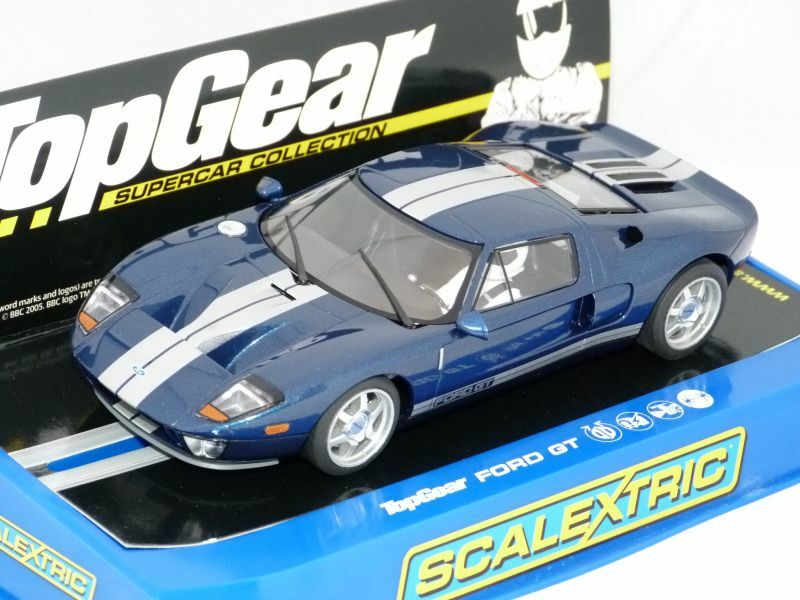 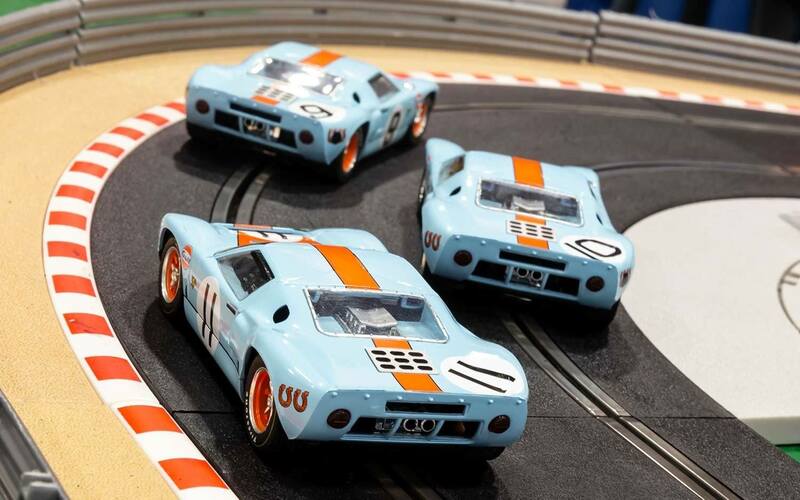 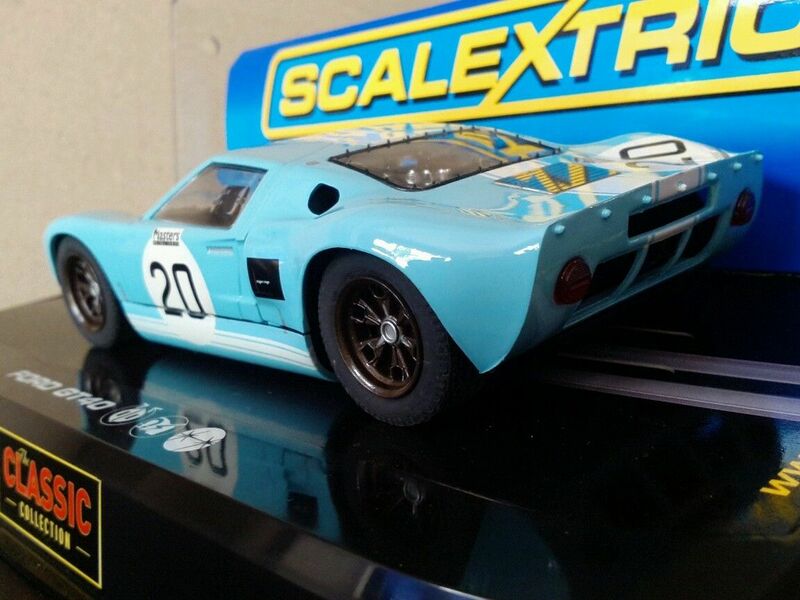 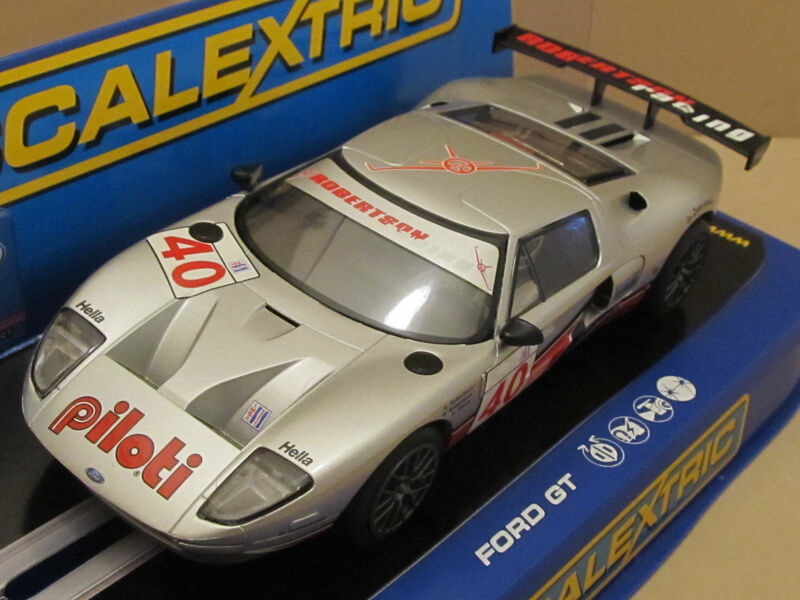 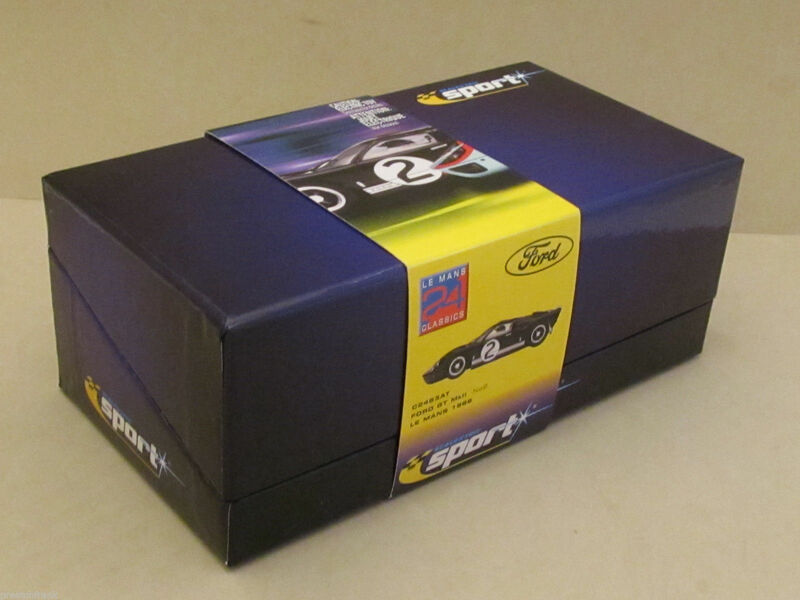 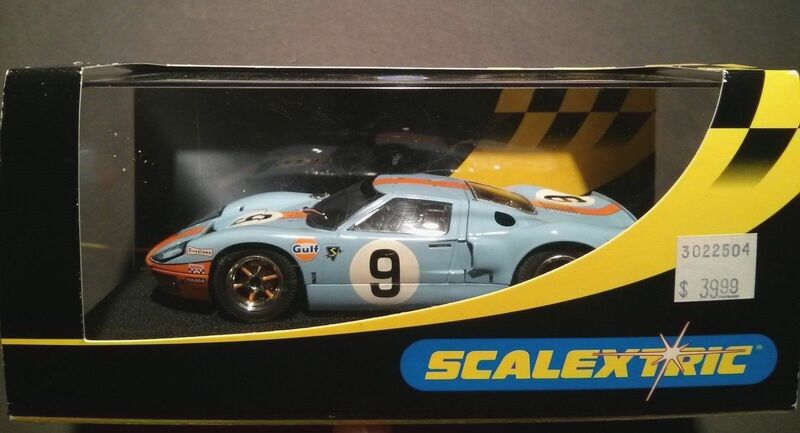 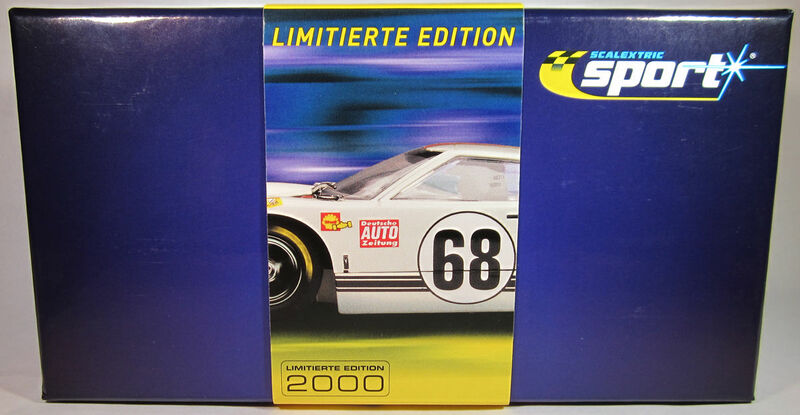 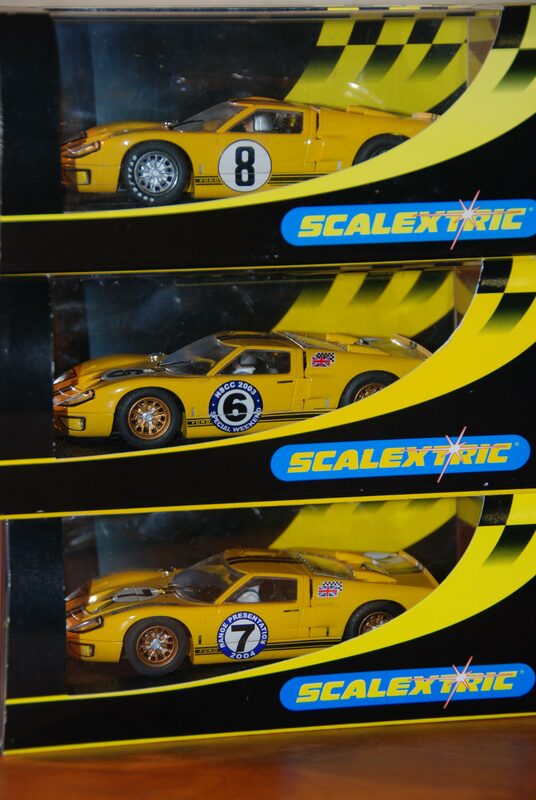 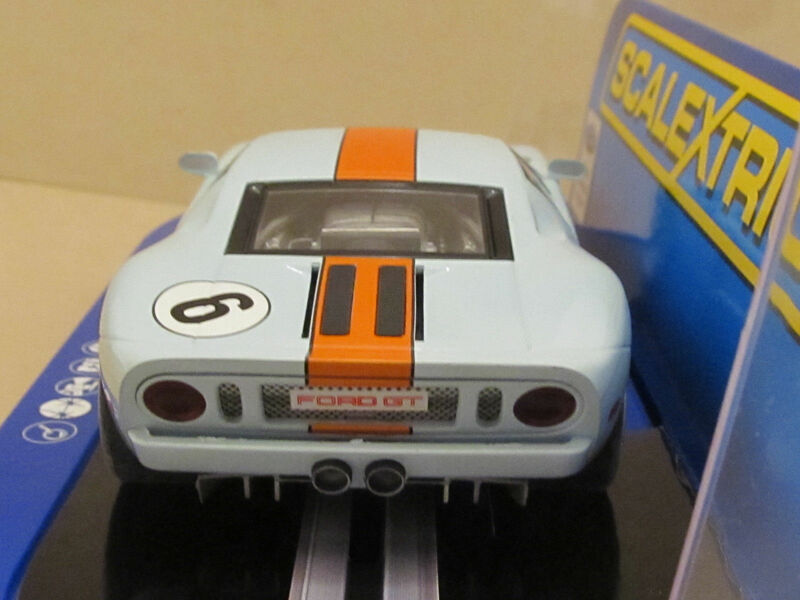 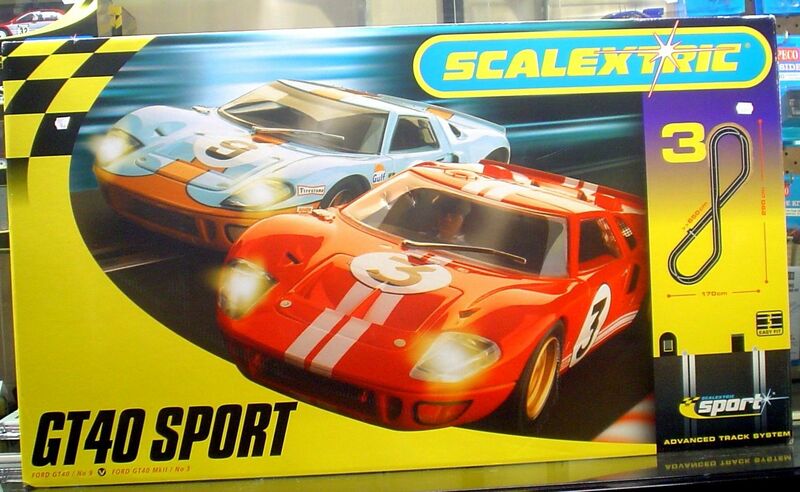 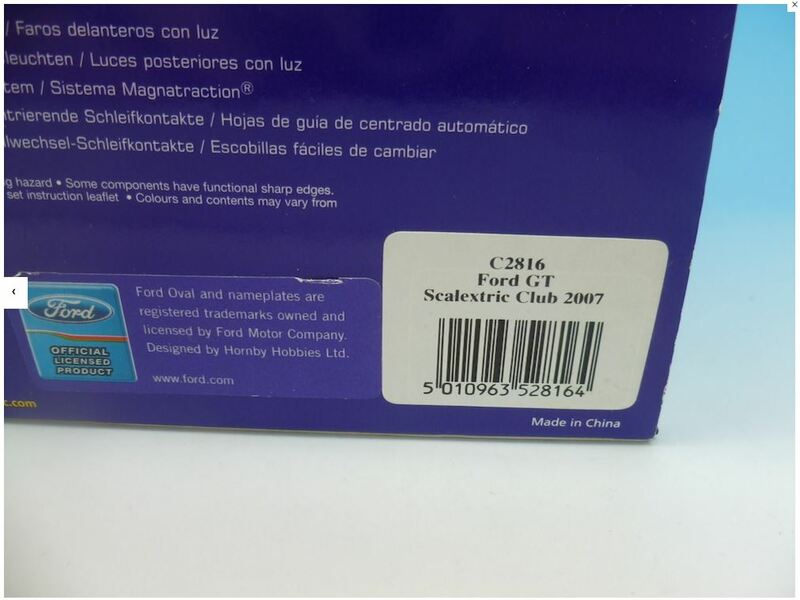 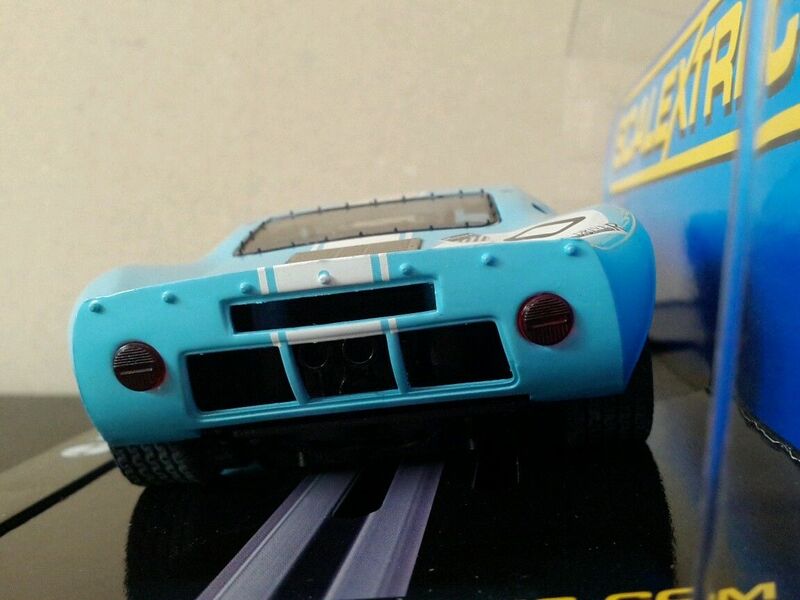 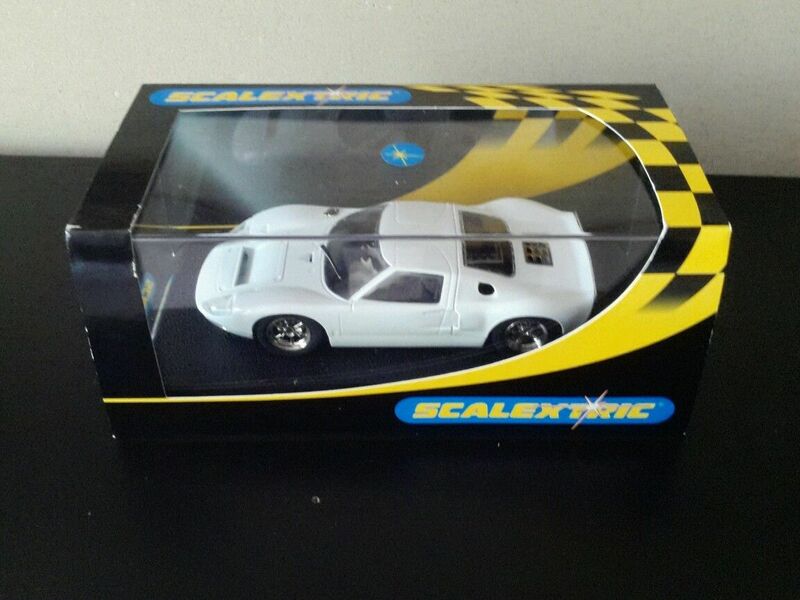 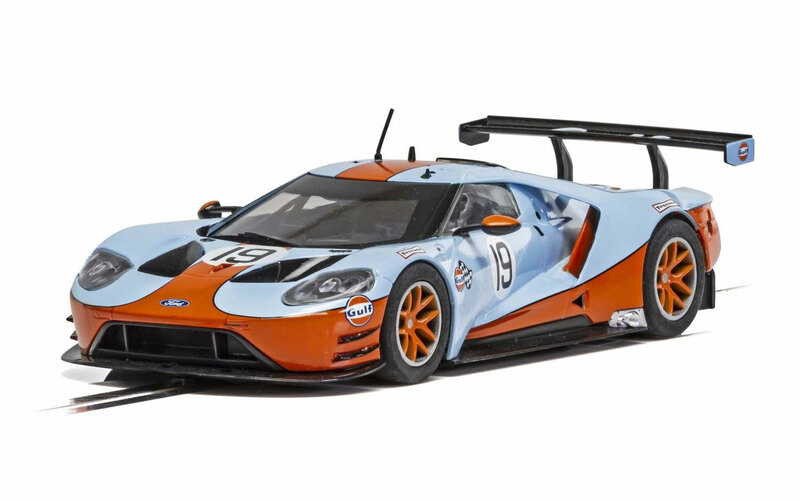 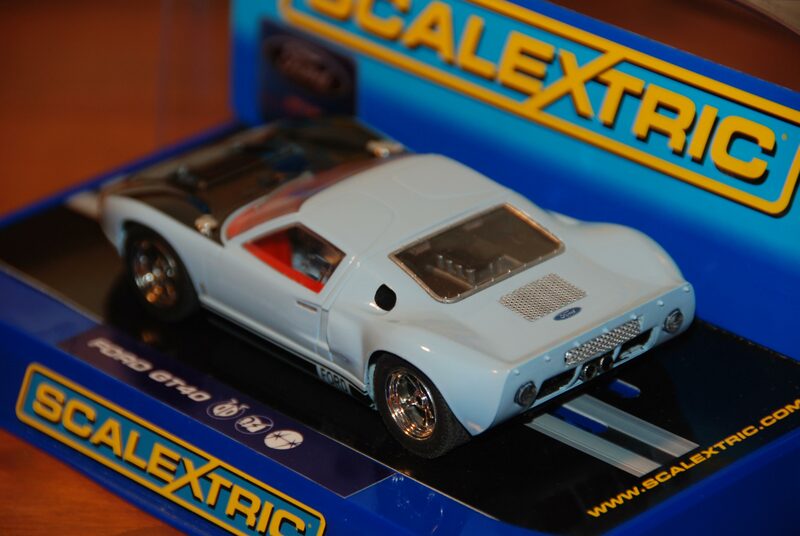 In Spain, Hornby Scalextric is marketed under the brand Superslot, as the Scalextric brand is owned there by Tecnitoys, whose products are sold internationally under the SCX brand. 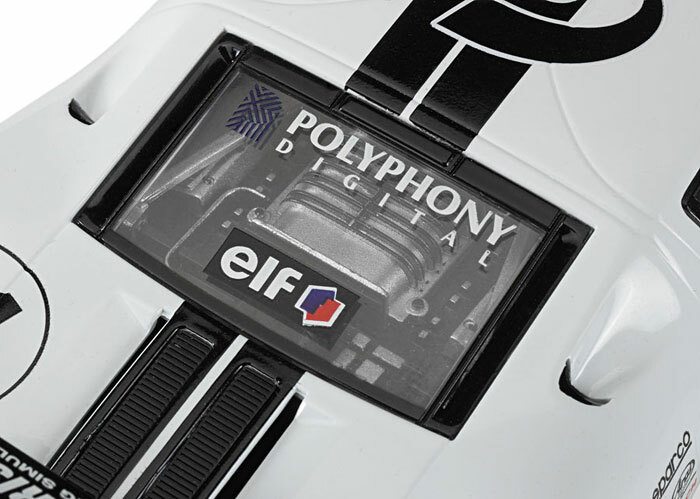 Whilst there are some common standards, parts of the two ranges, particularly in their digital offerings, are not compatible. 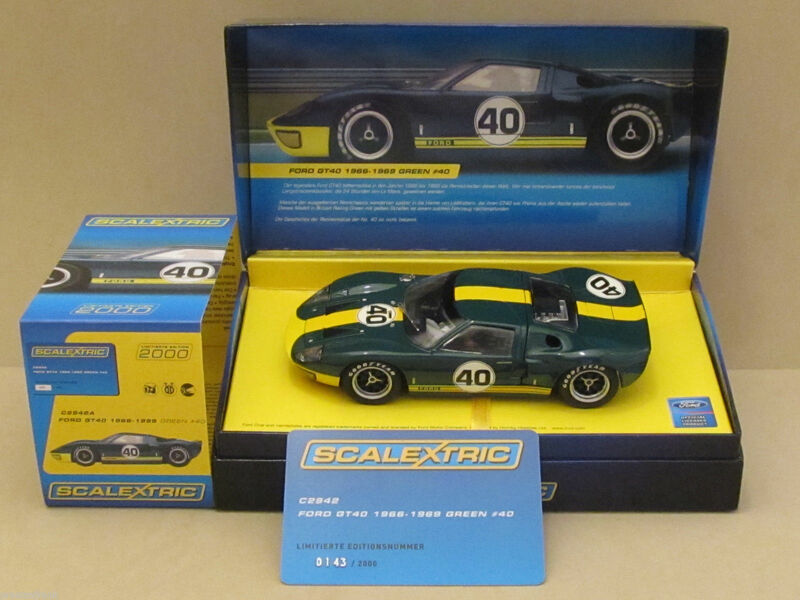 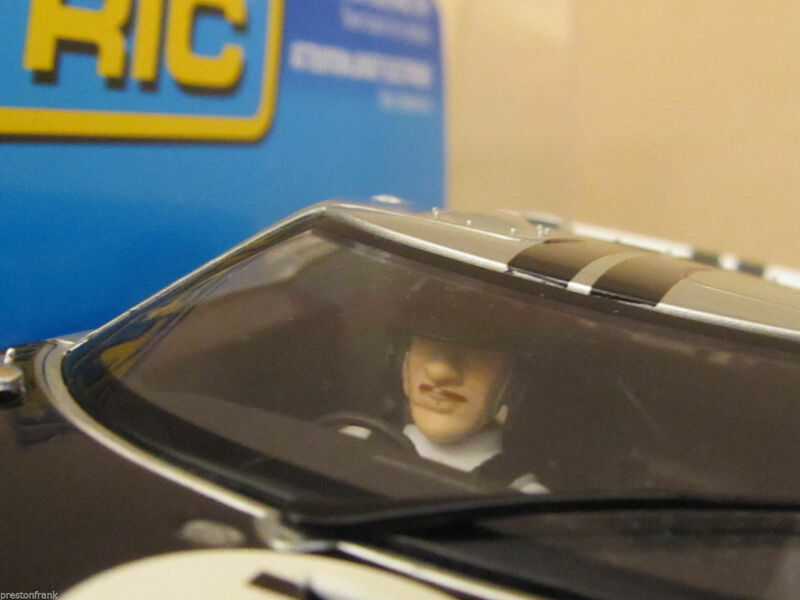 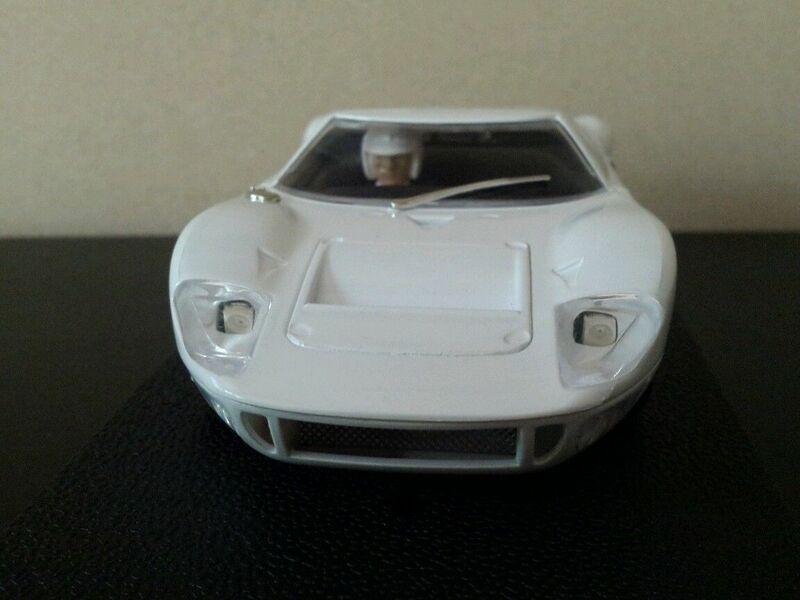 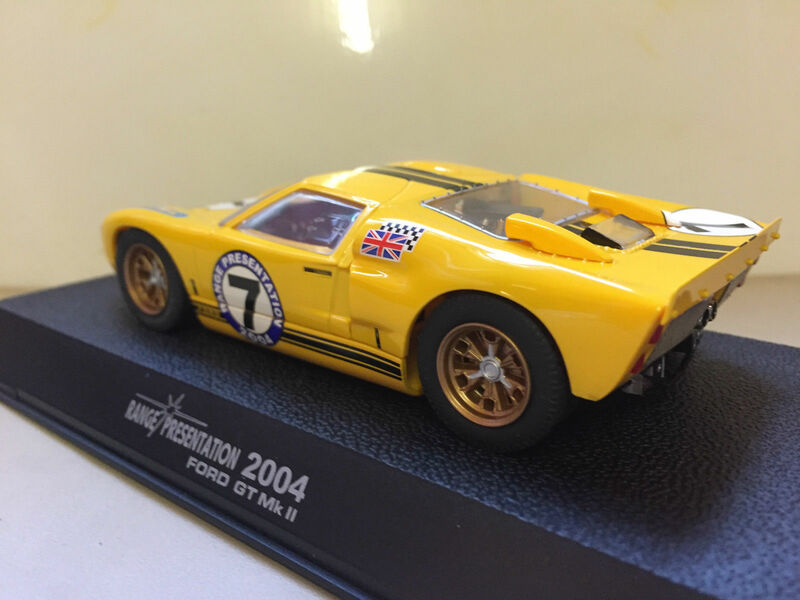 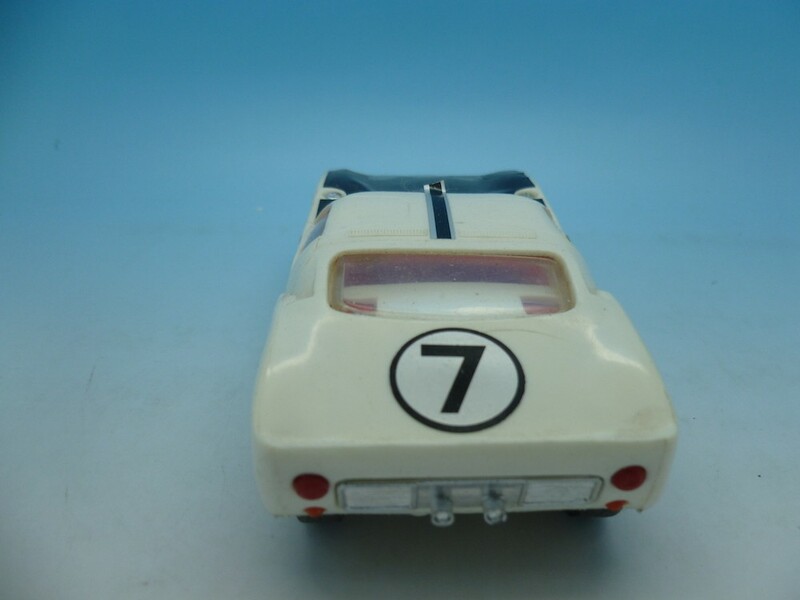 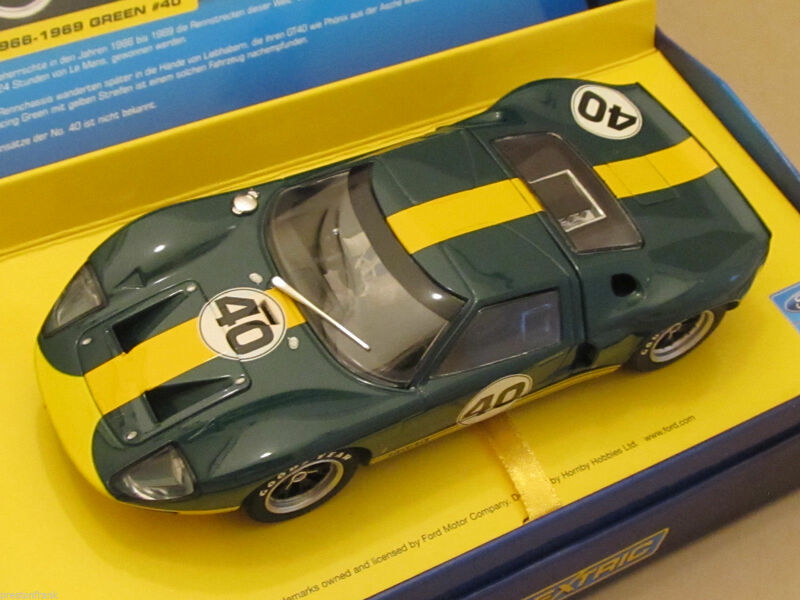 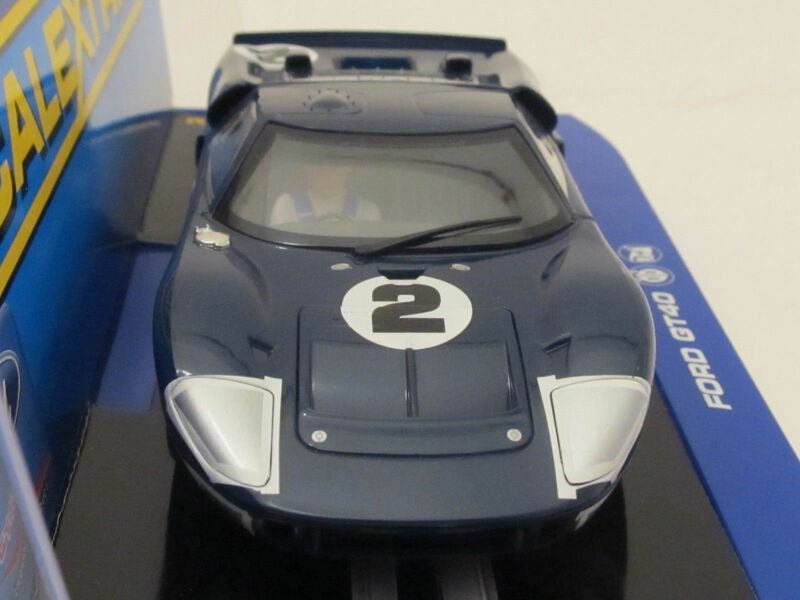 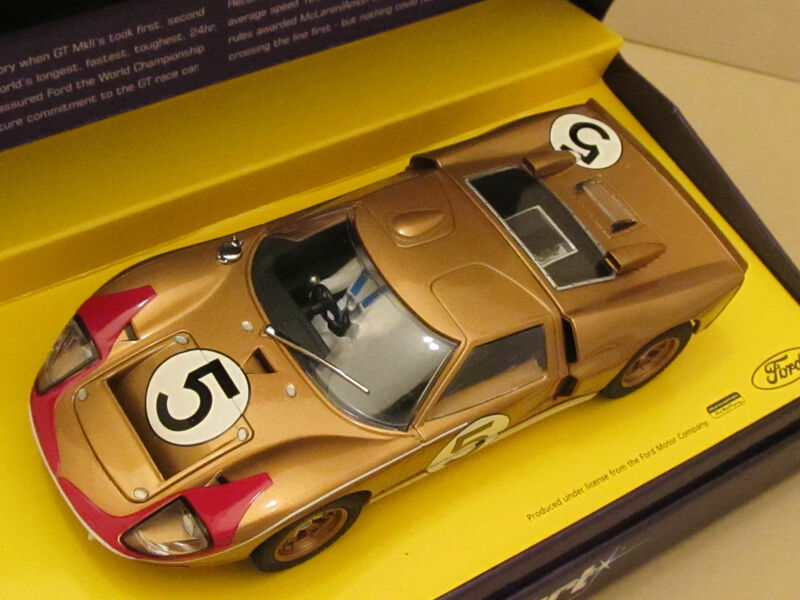 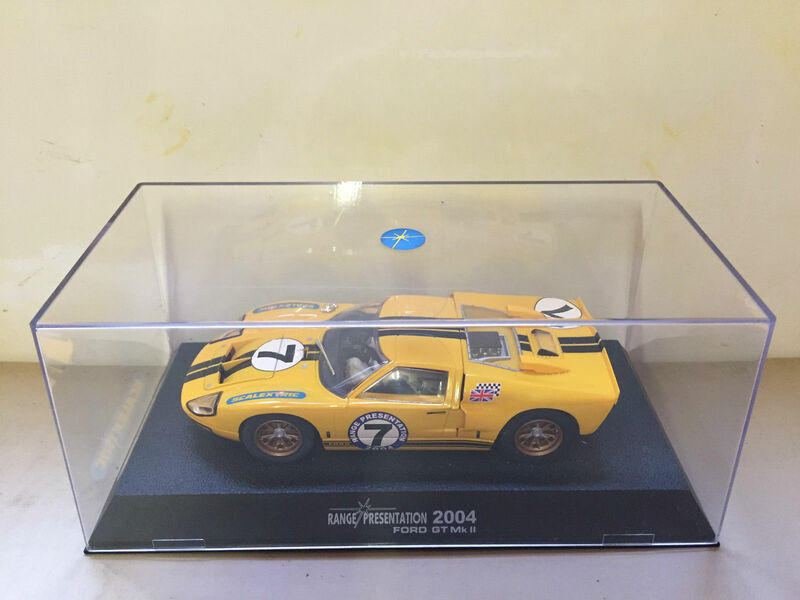 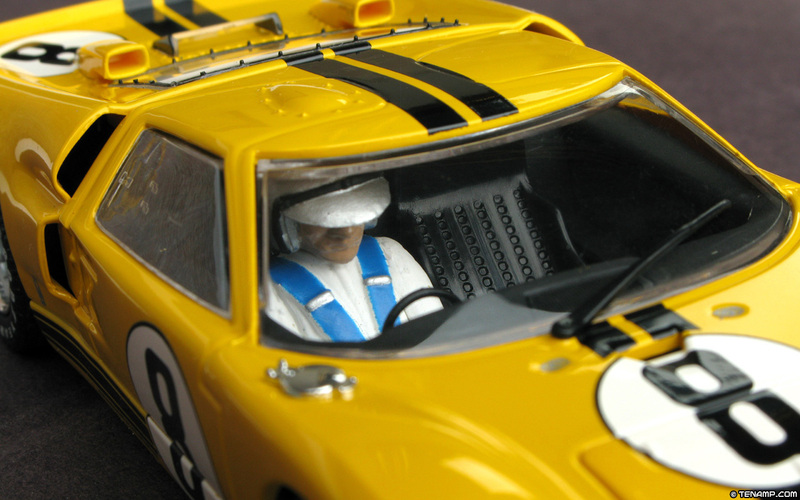 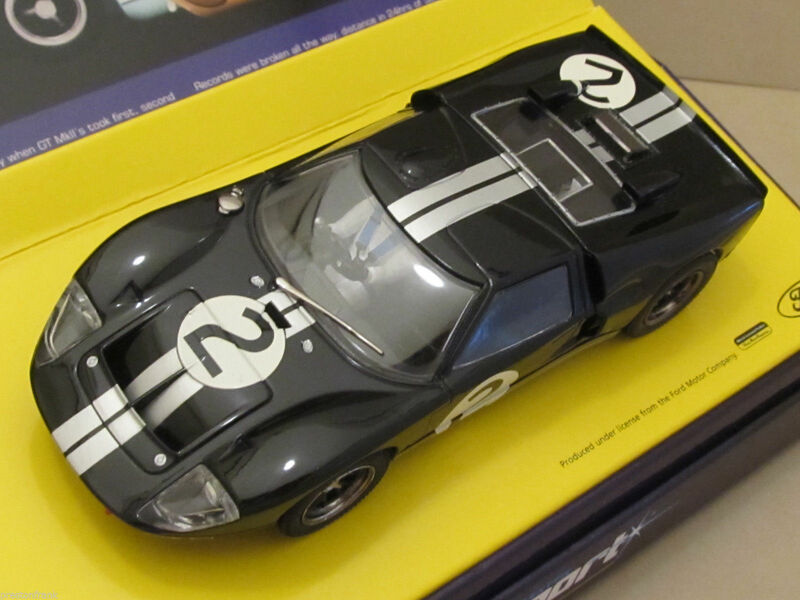 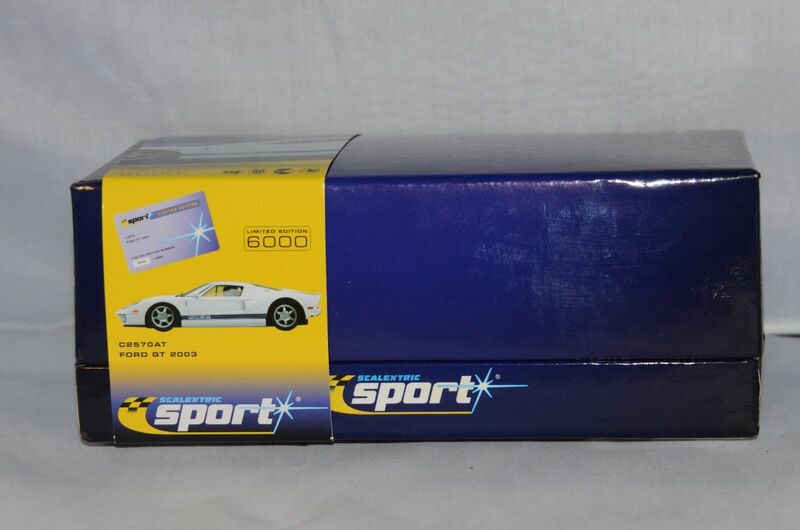 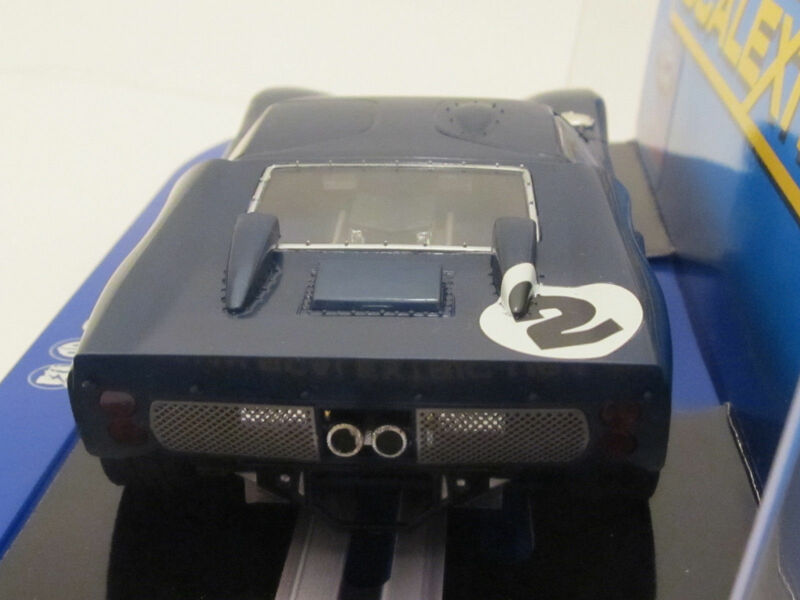 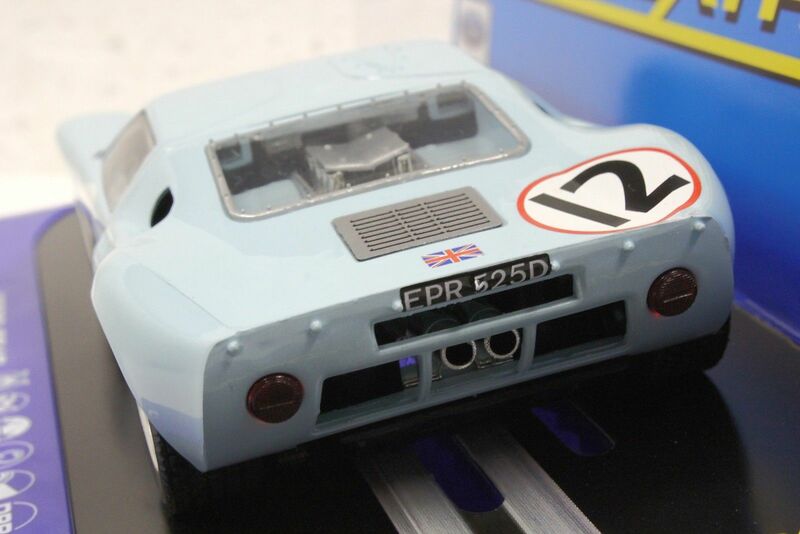 Since the 1960s Scalextric have offered a number of TV and film tie-ins, beginning with the now rare and valuable James Bond 007 set featuring an Aston Martin with multiple action features as shown in the film Goldfinger. 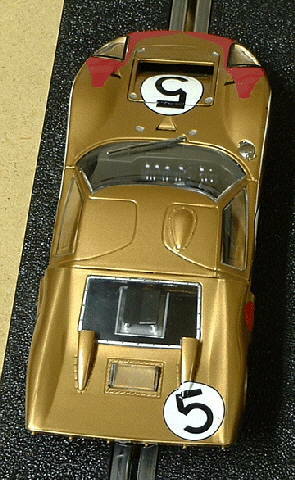 Even the 'baddie' car in this set, a Mercedes, had action features of its own whilst the set also sported many other unique action points and props. 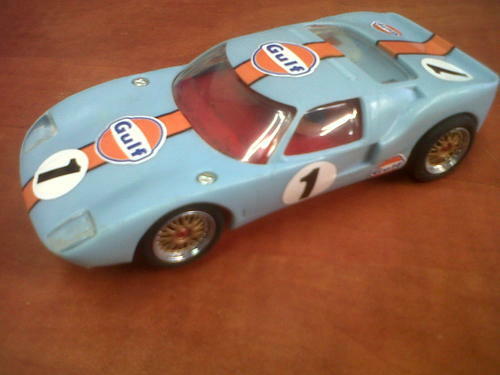 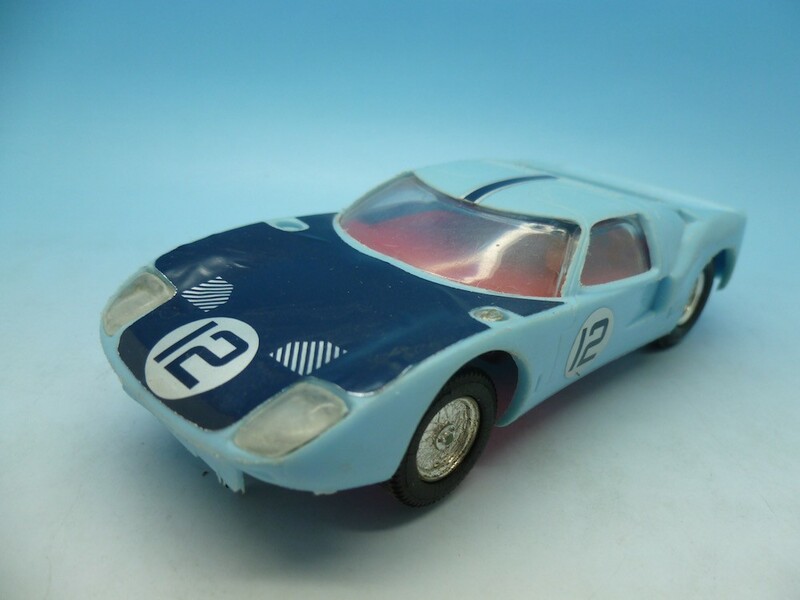 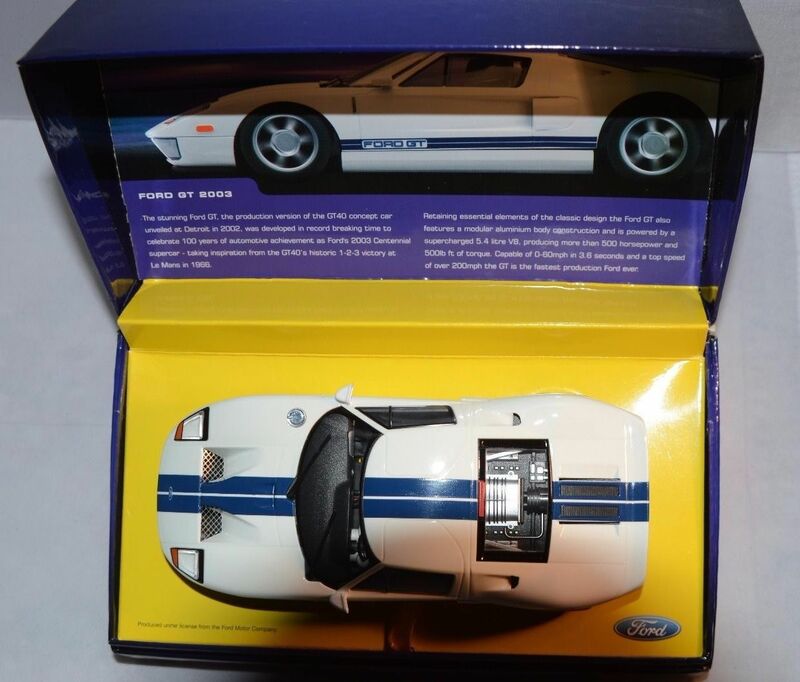 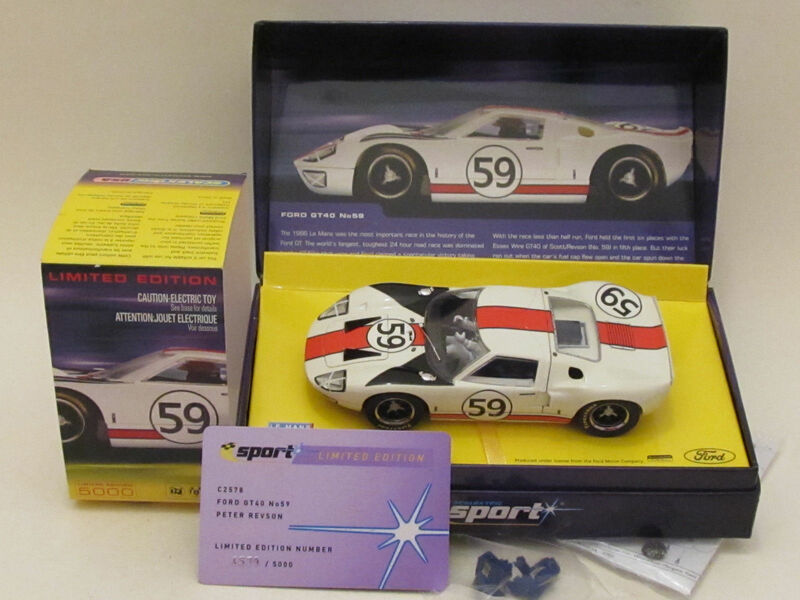 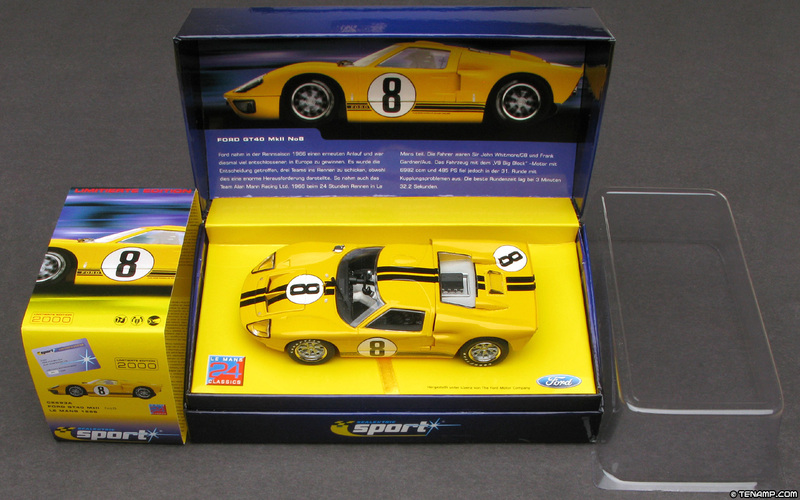 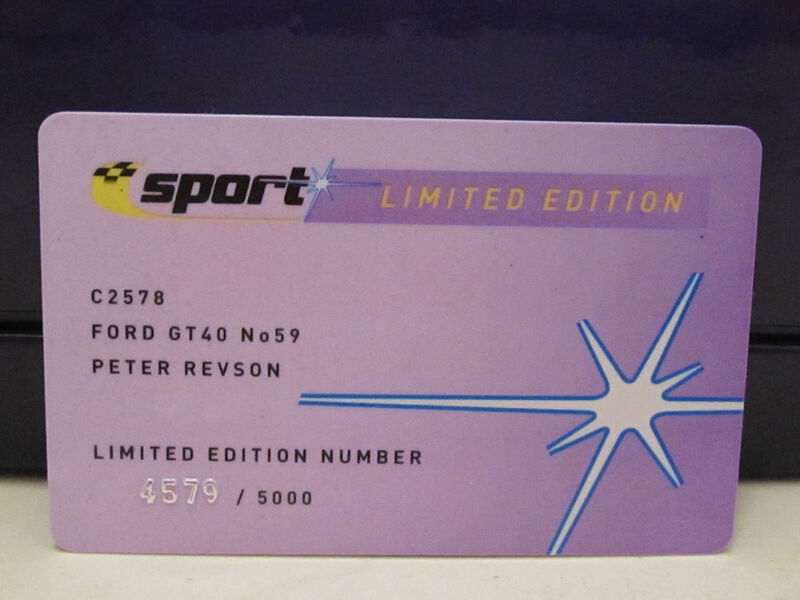 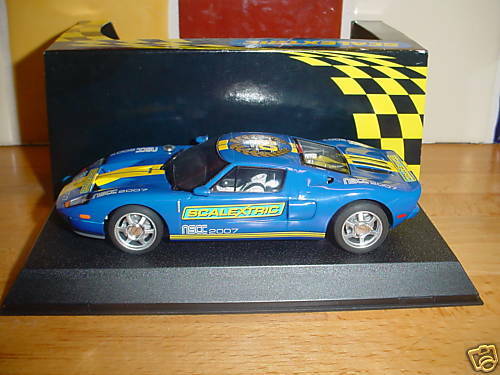 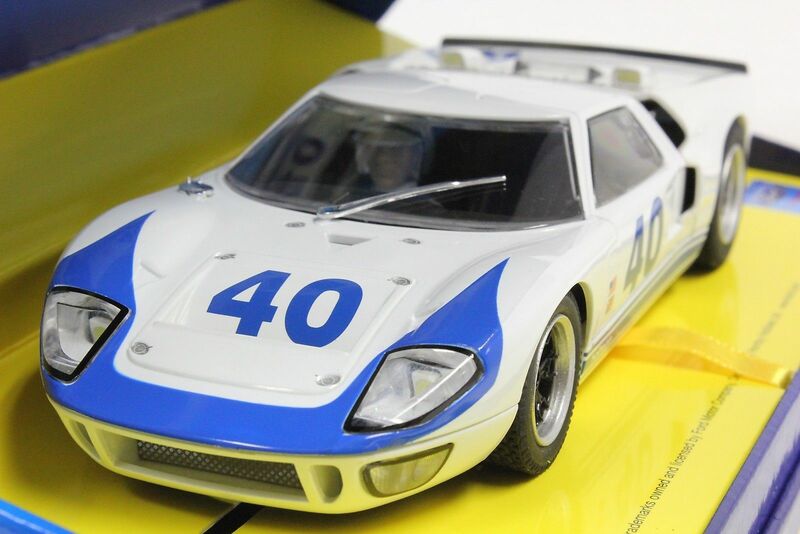 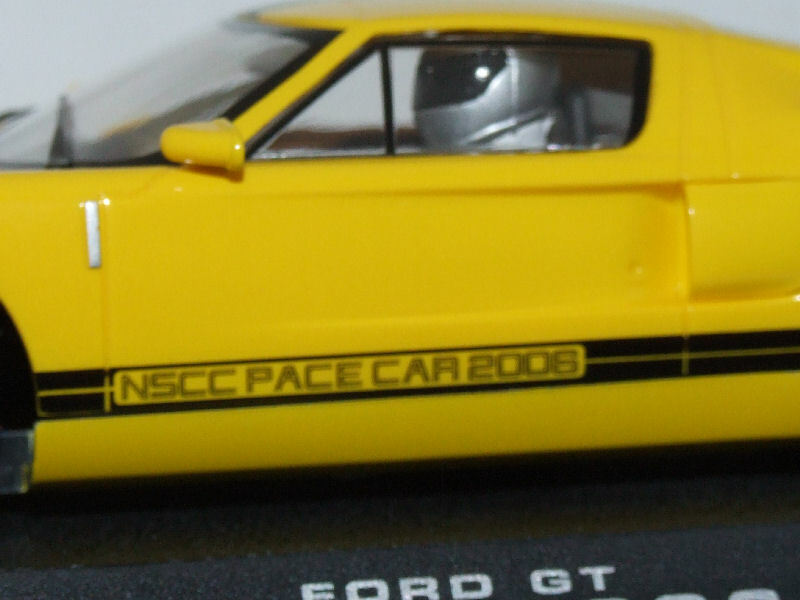 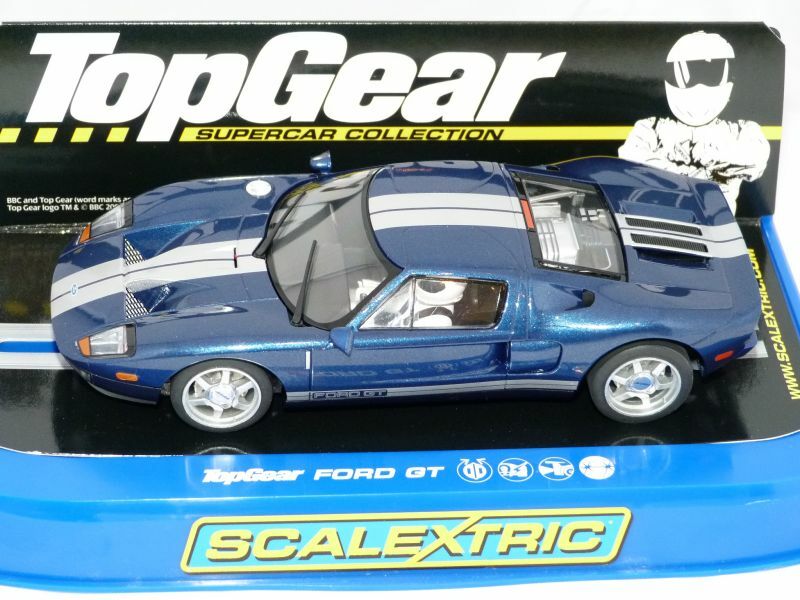 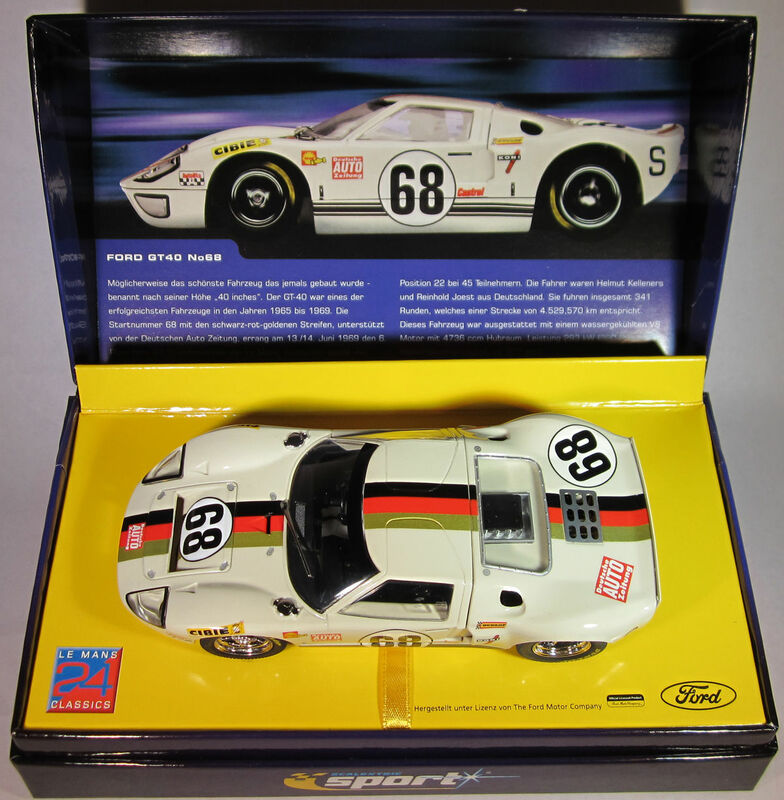 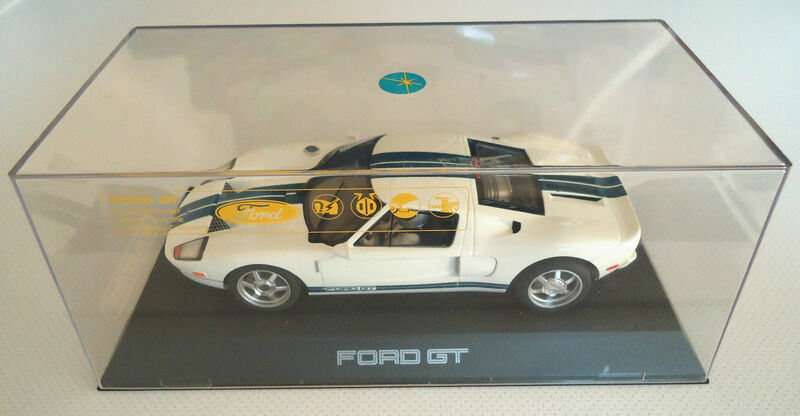 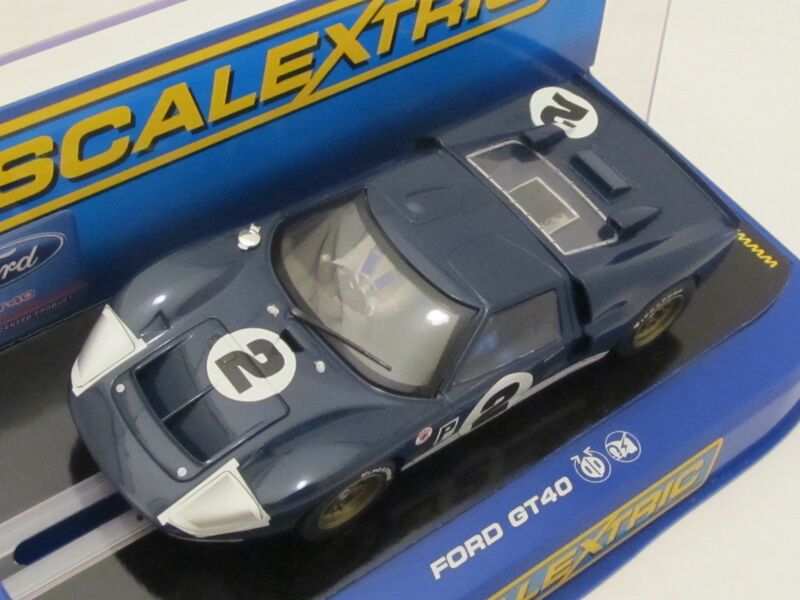 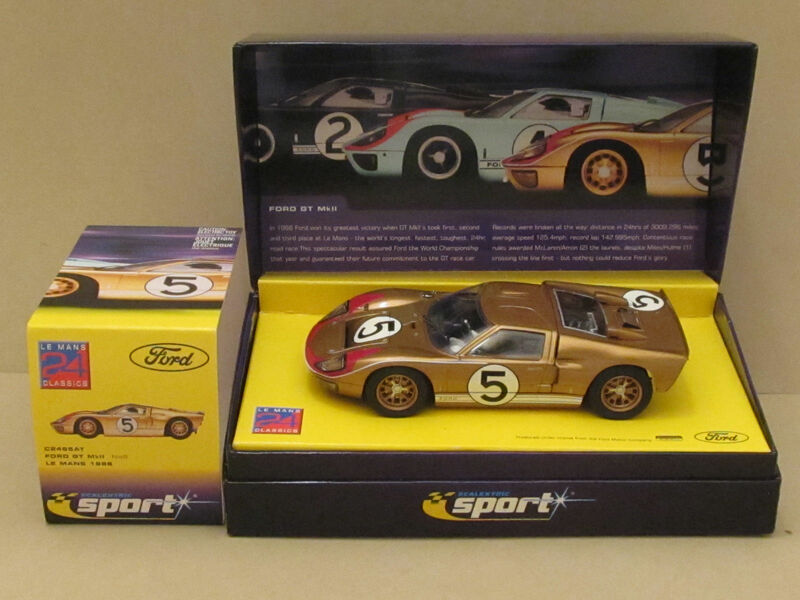 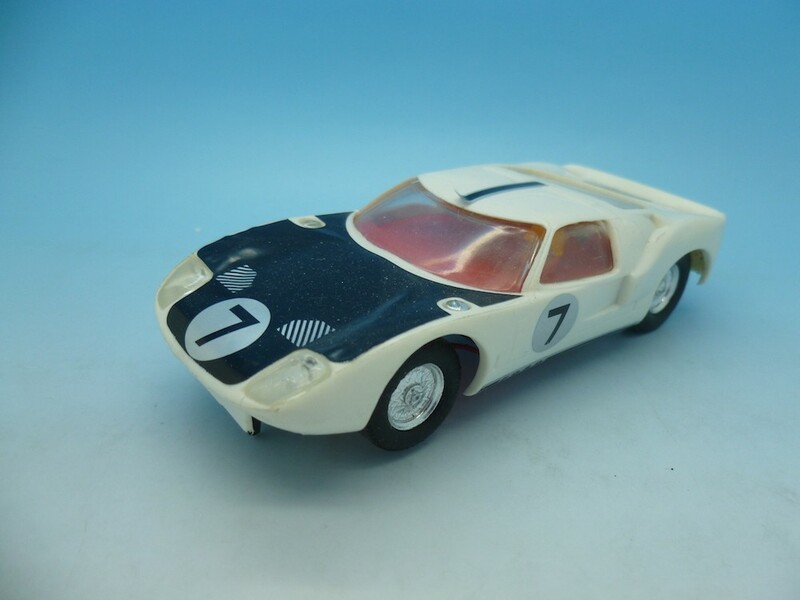 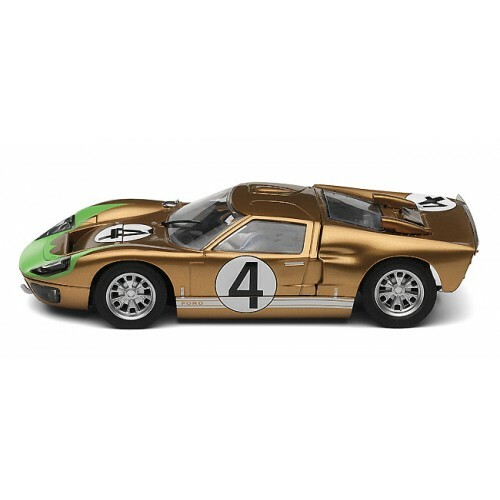 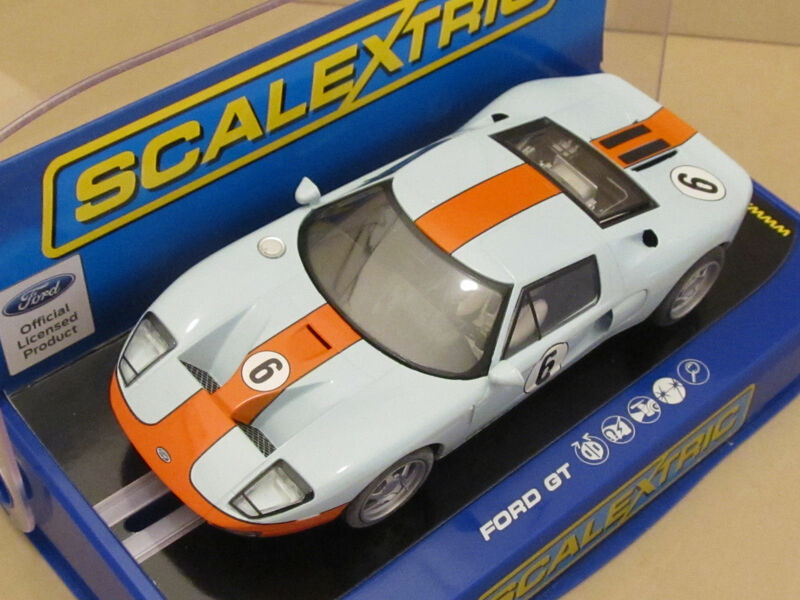 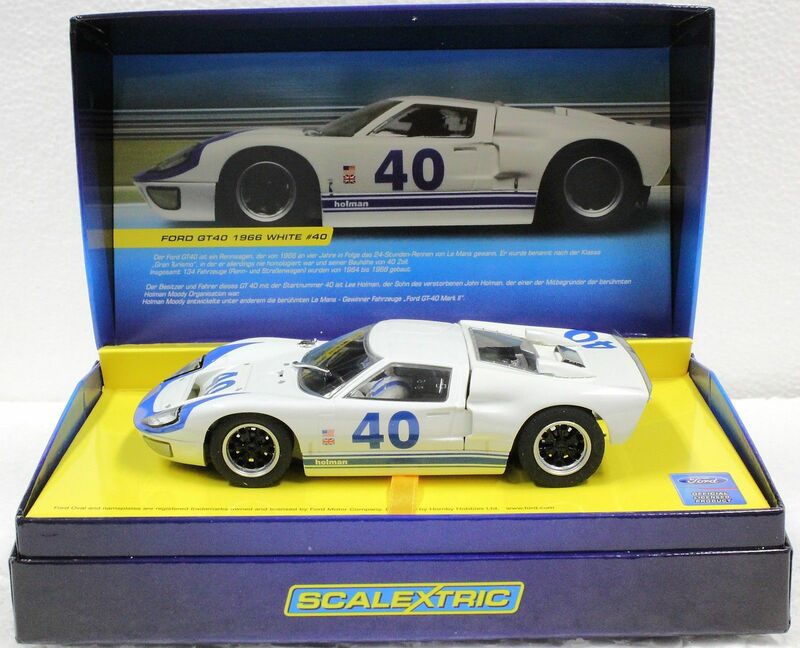 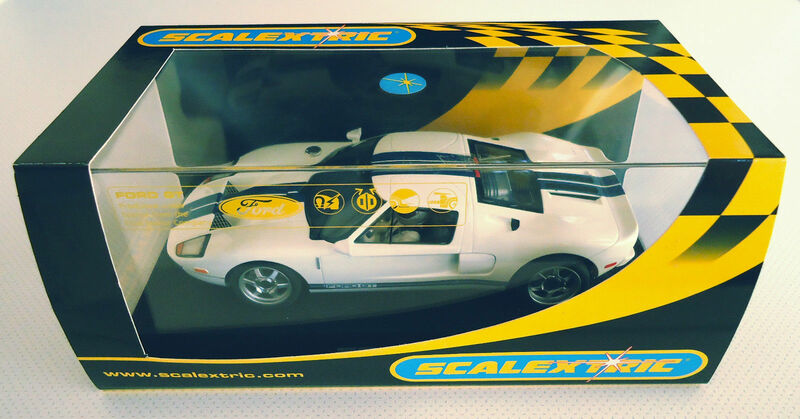 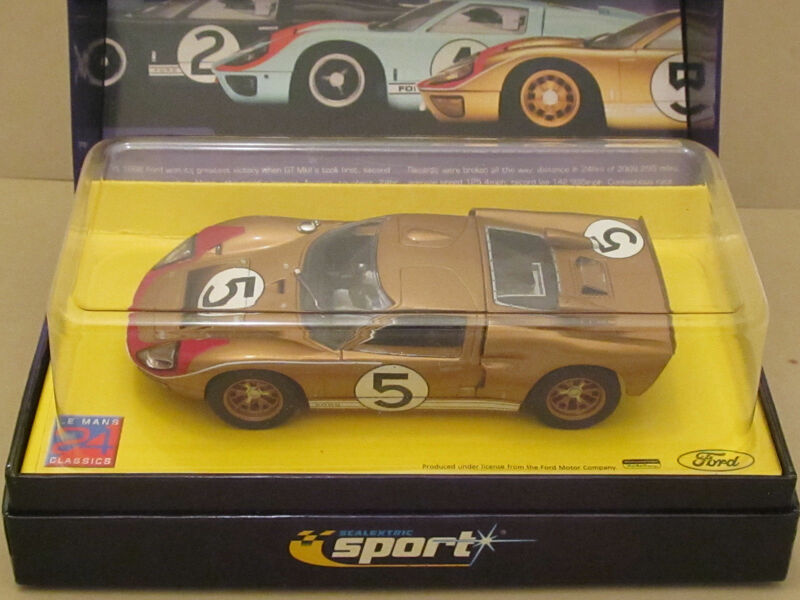 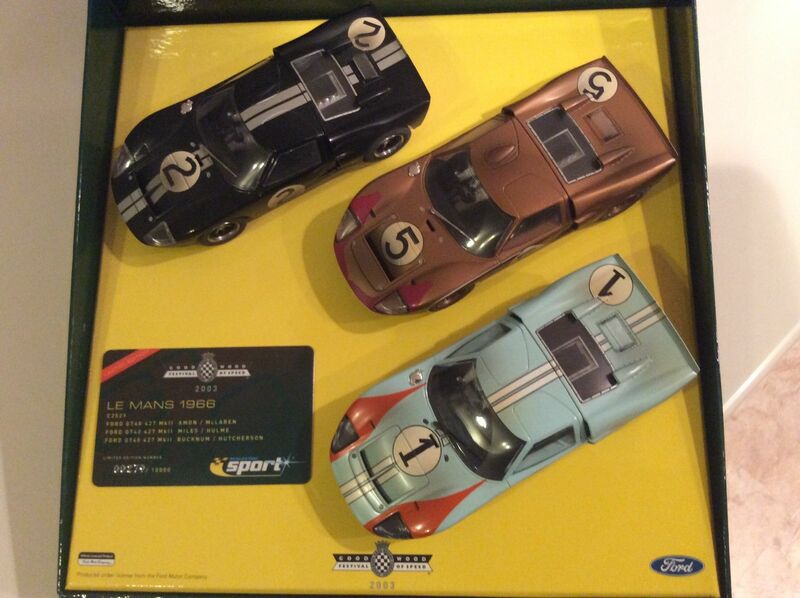 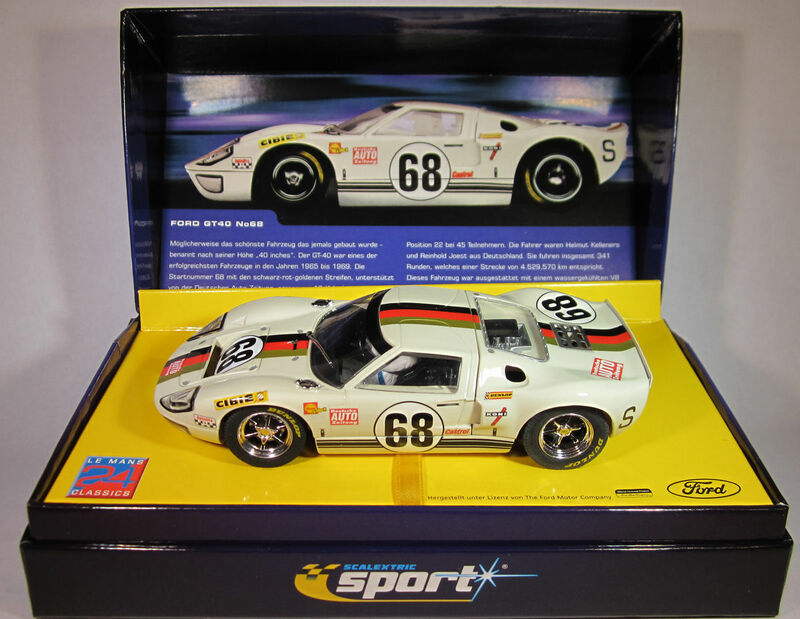 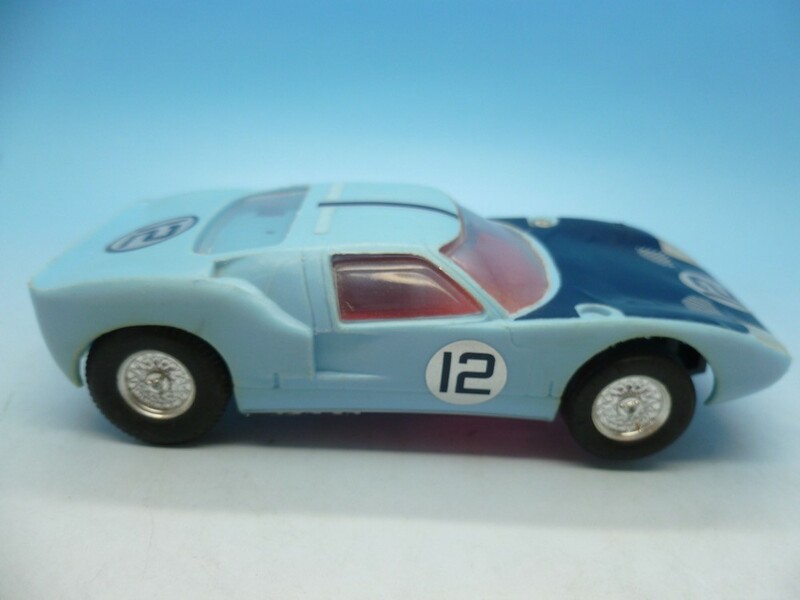 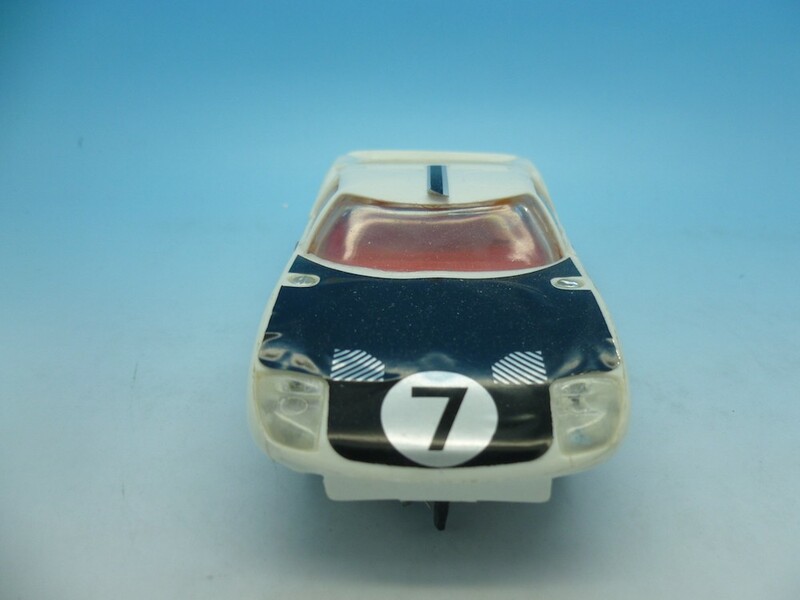 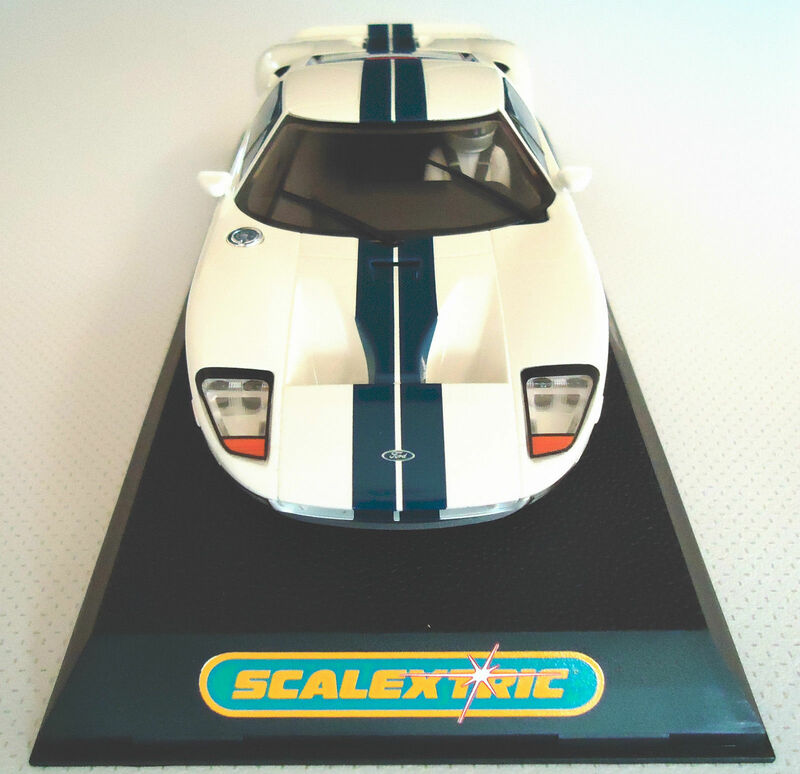 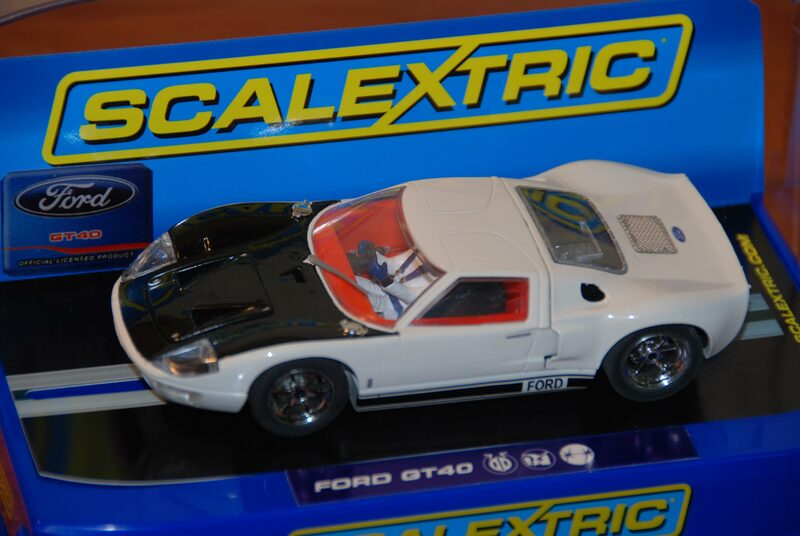 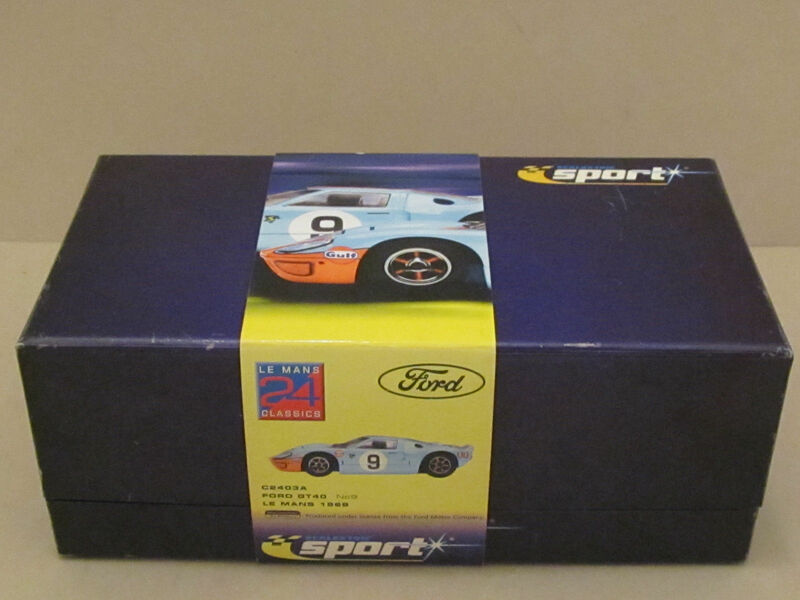 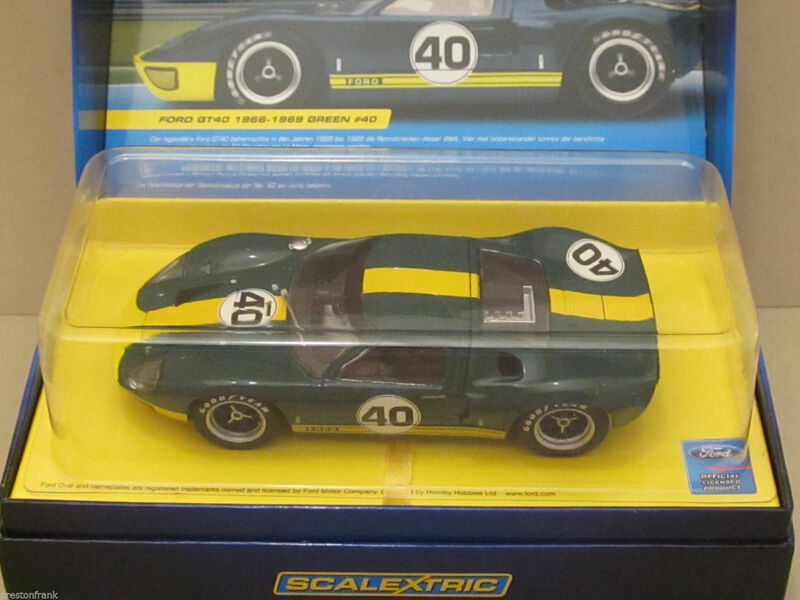 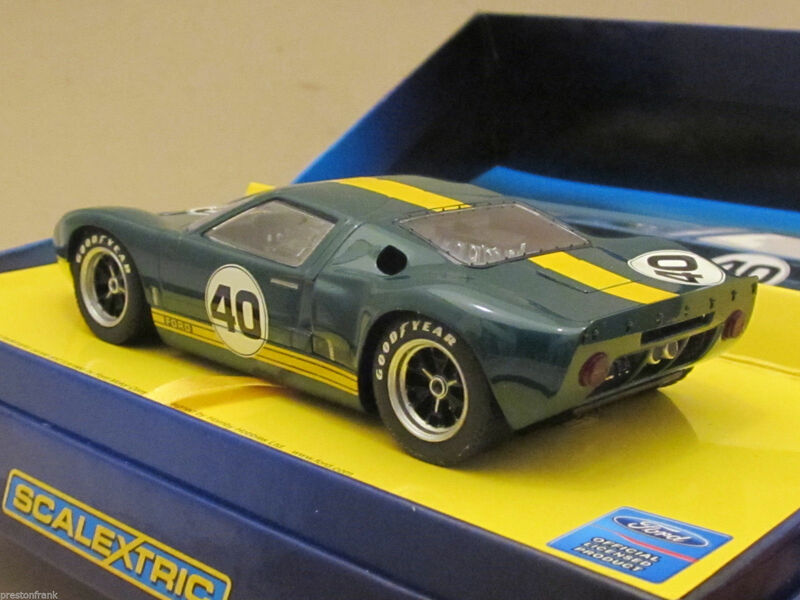 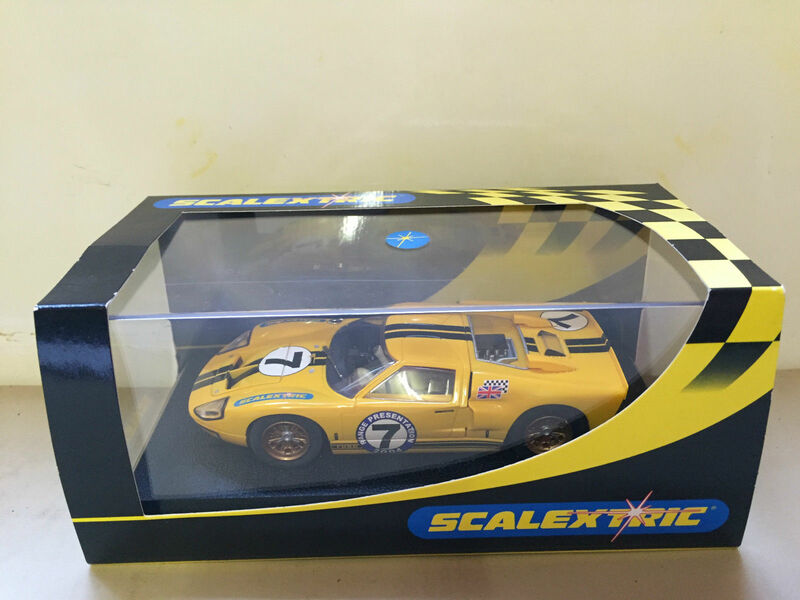 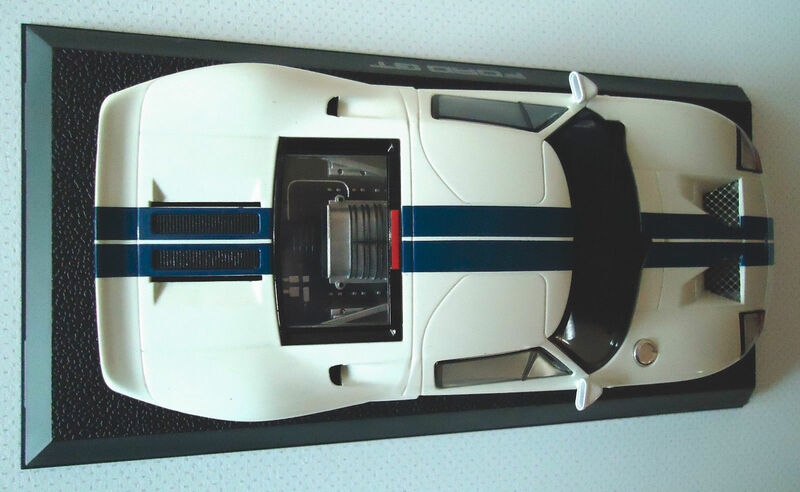 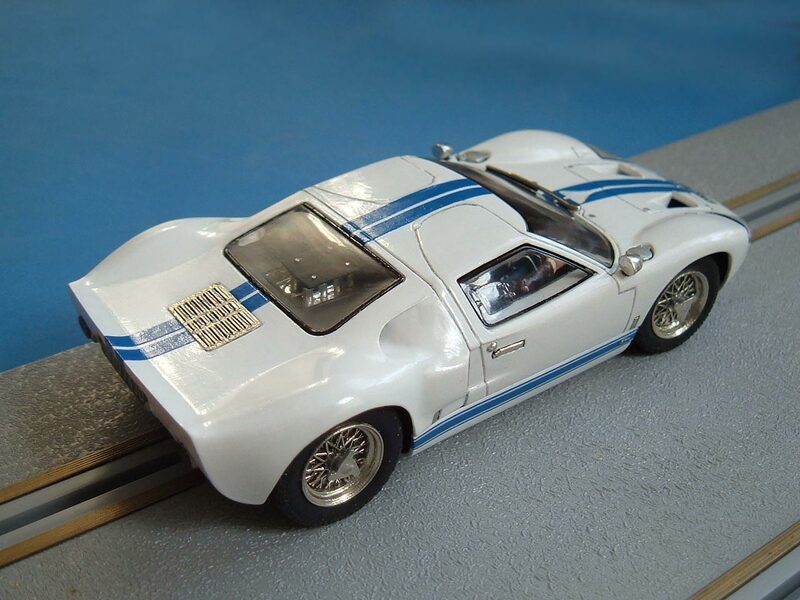 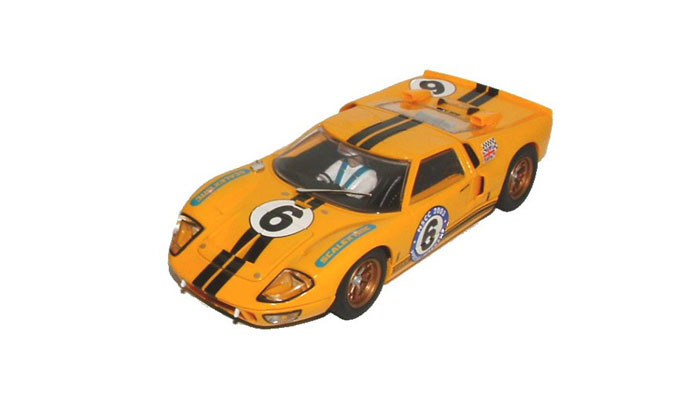 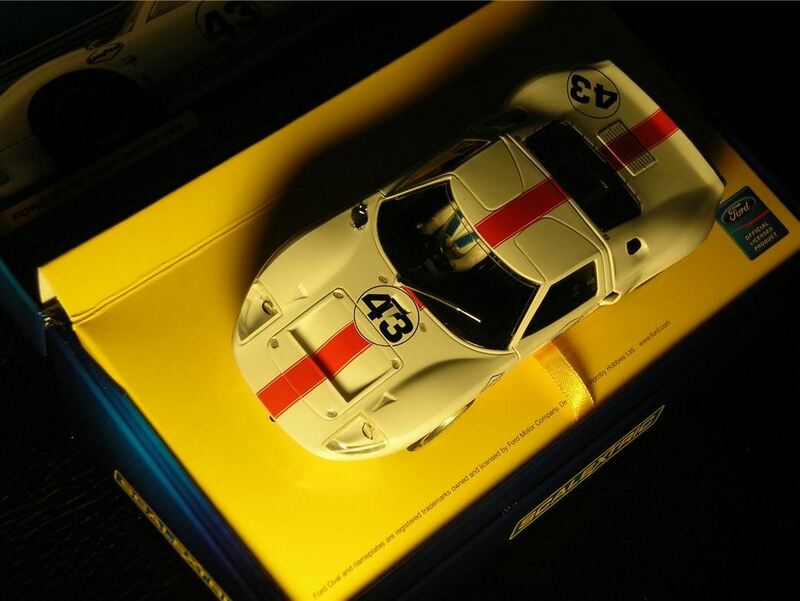 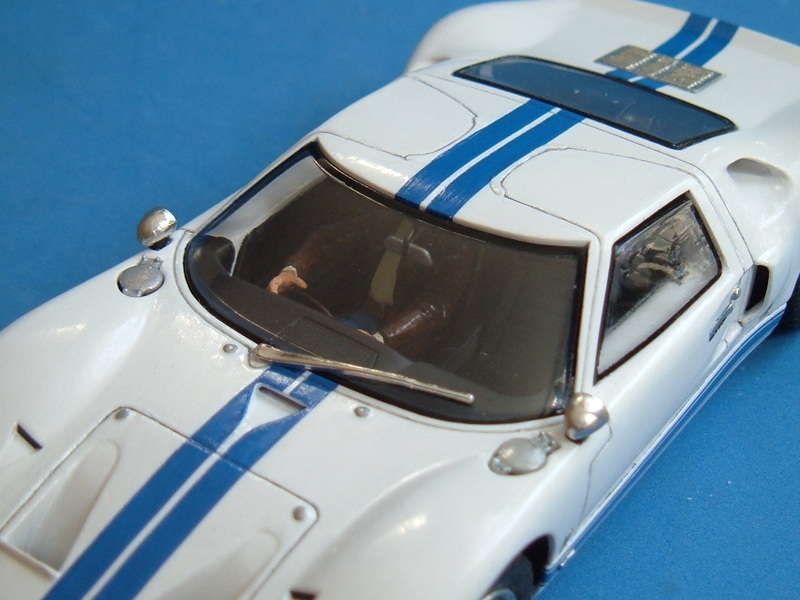 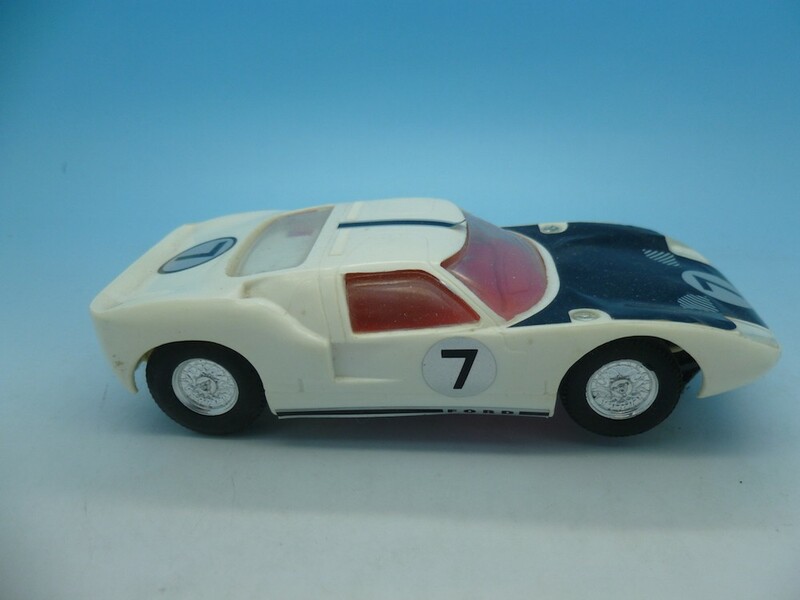 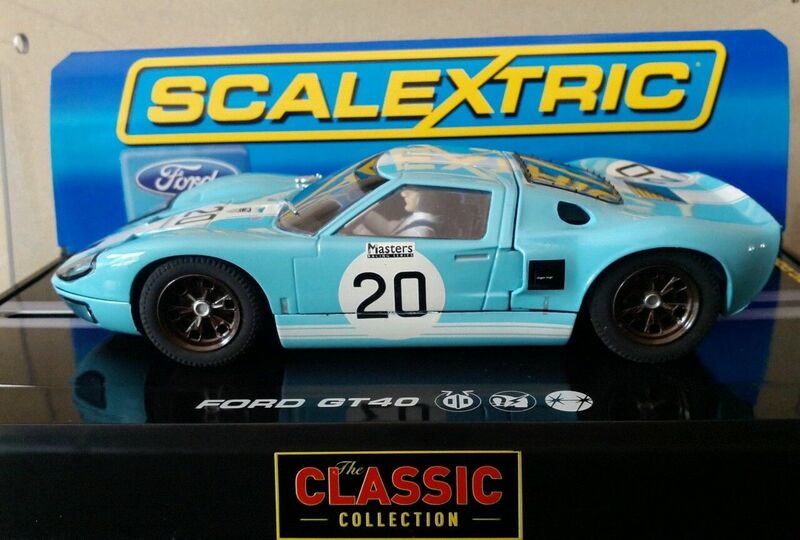 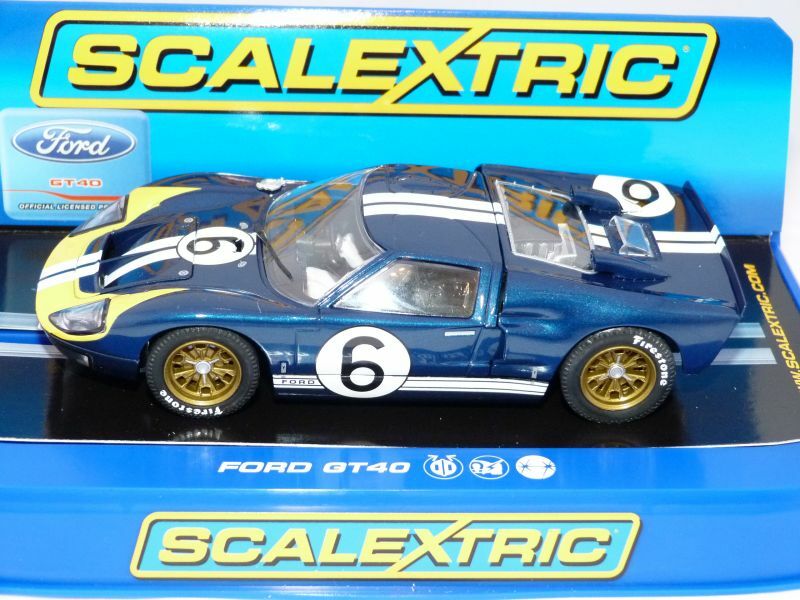 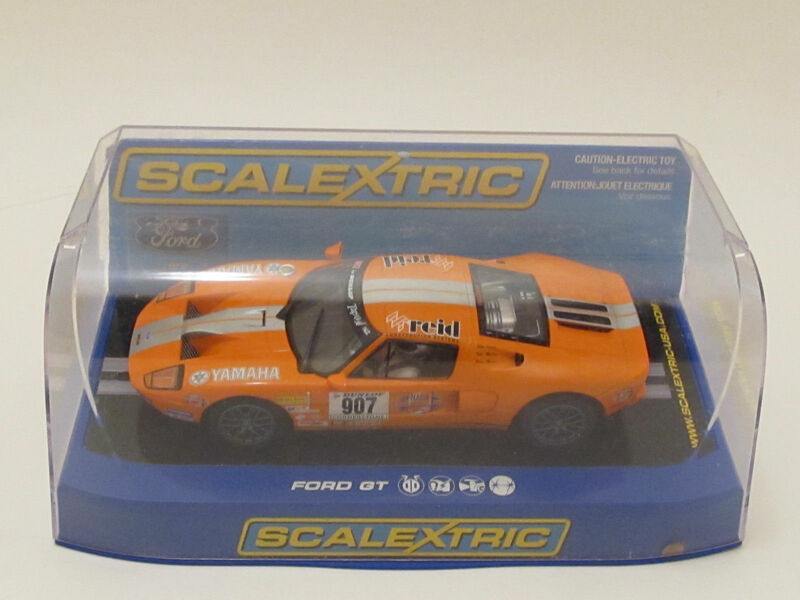 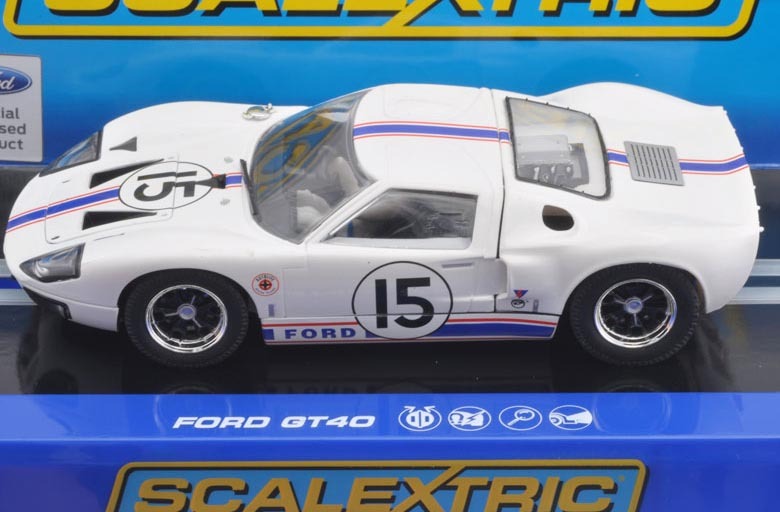 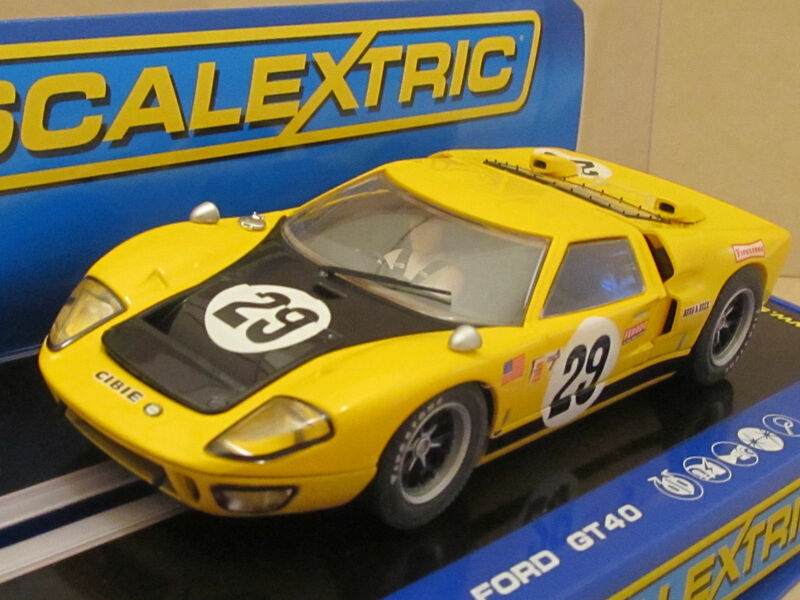 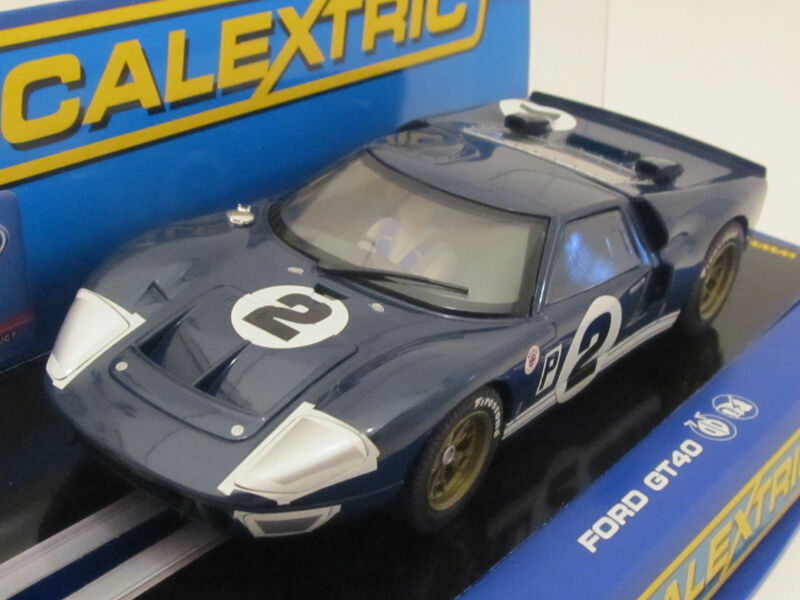 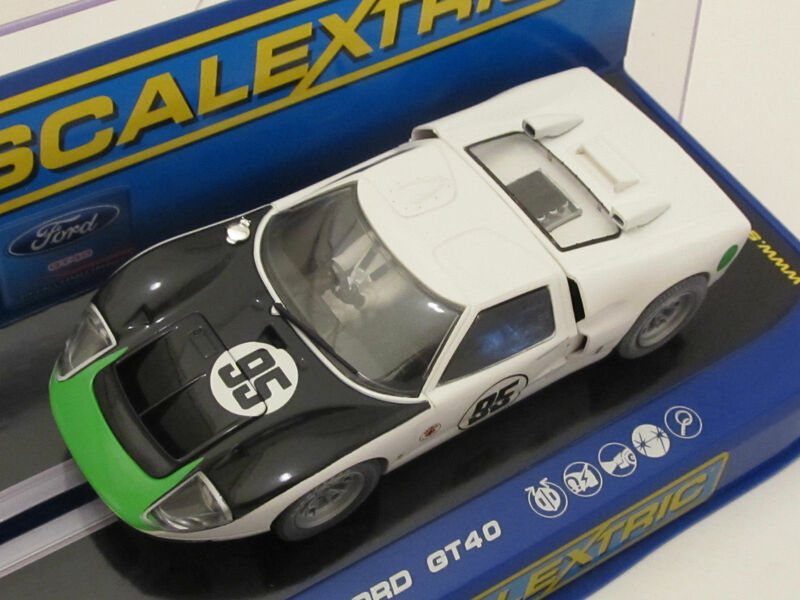 It was some time, however, before Scalextric returned to licensing in the 1970s first with the The Amazing Spider-Man (the 1970s series), which had specially liveried TR7 cars and white track. 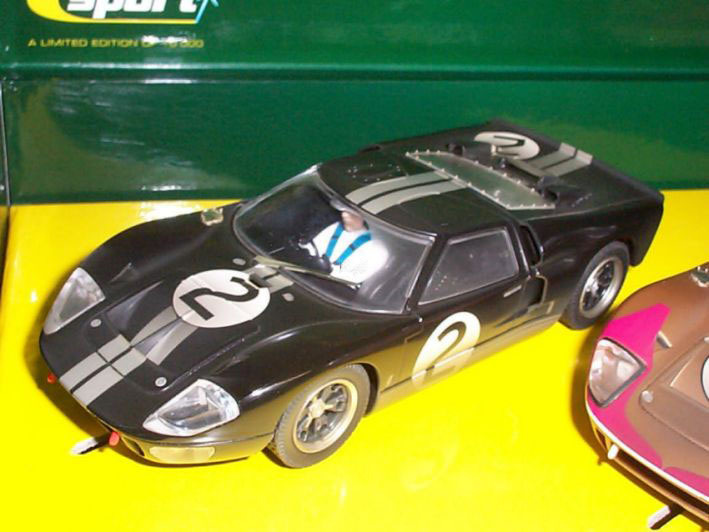 Then in the 1980s came the original TV series based Teenage Mutant Ninja Turtles, Power Rangers, Knight Rider and then Tim Burton's Batman film. 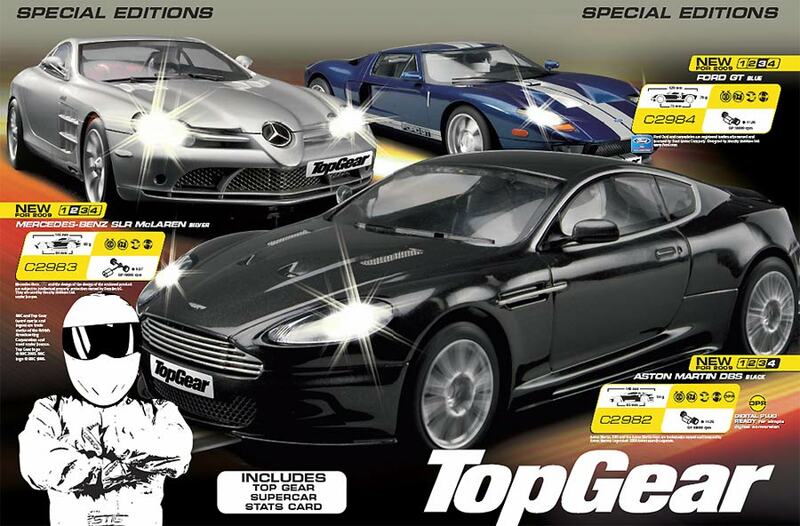 Since then the franchises have grown to include Batman Begins, The Simpsons, The Transformers movie, James Bond 007 films Quantum of Solace and Skyfall, Starsky and Hutch, The Italian Job (models from both the original and re-made films), Top Gear, Star Wars and the Pixar/Disney Movie 'Toy Story. 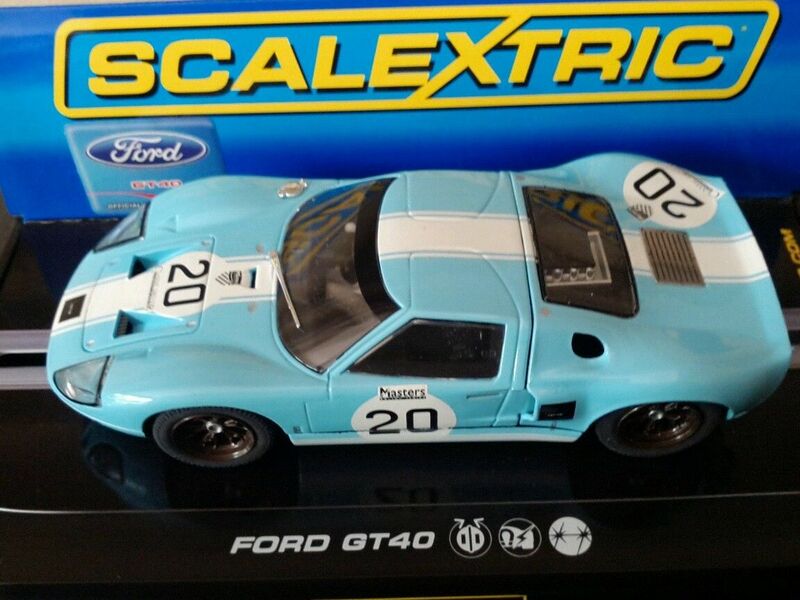 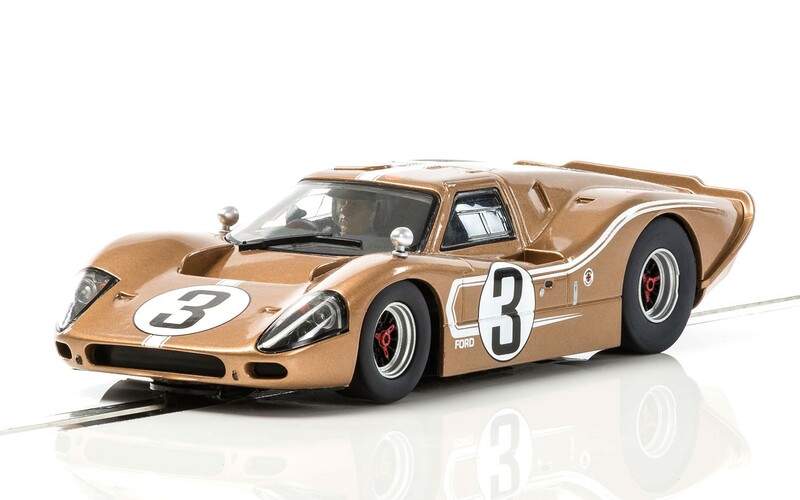 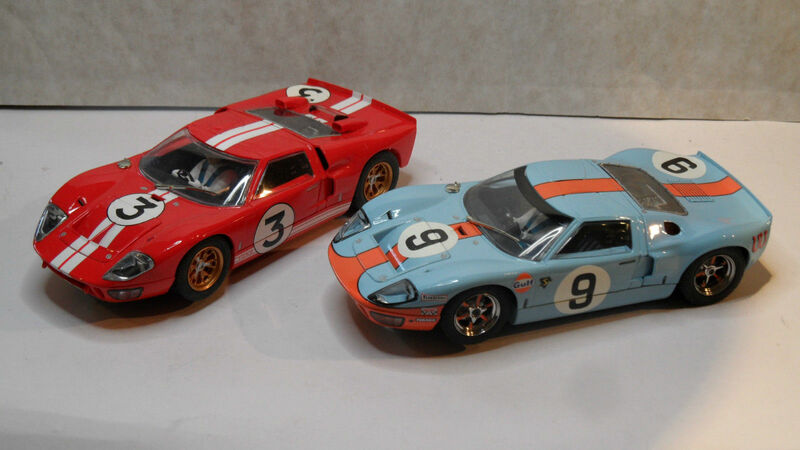 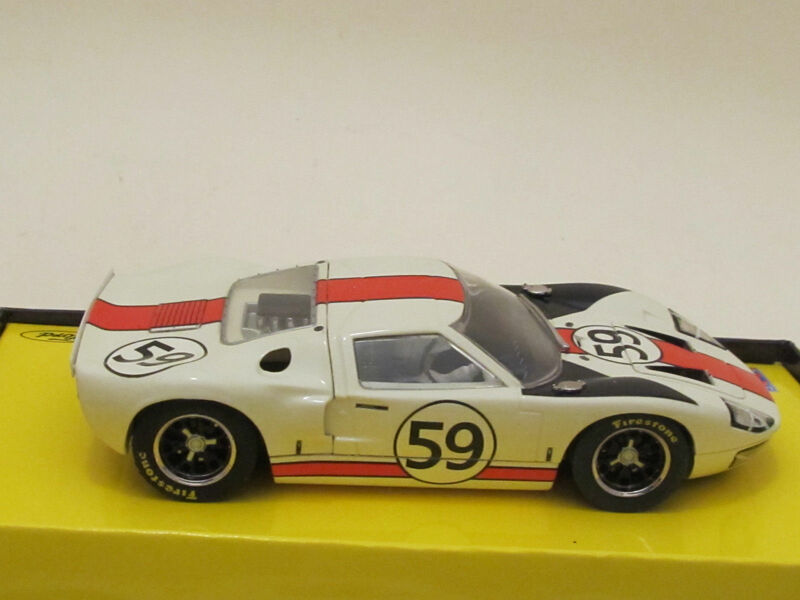 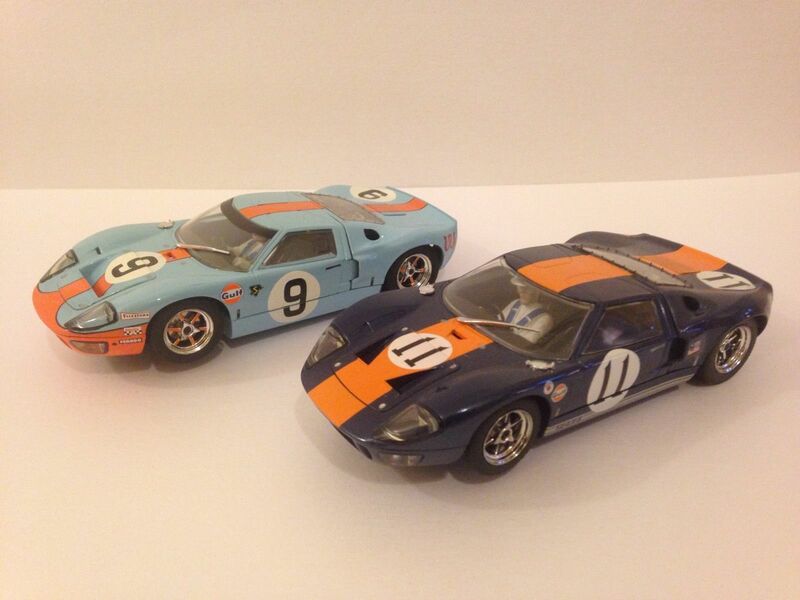 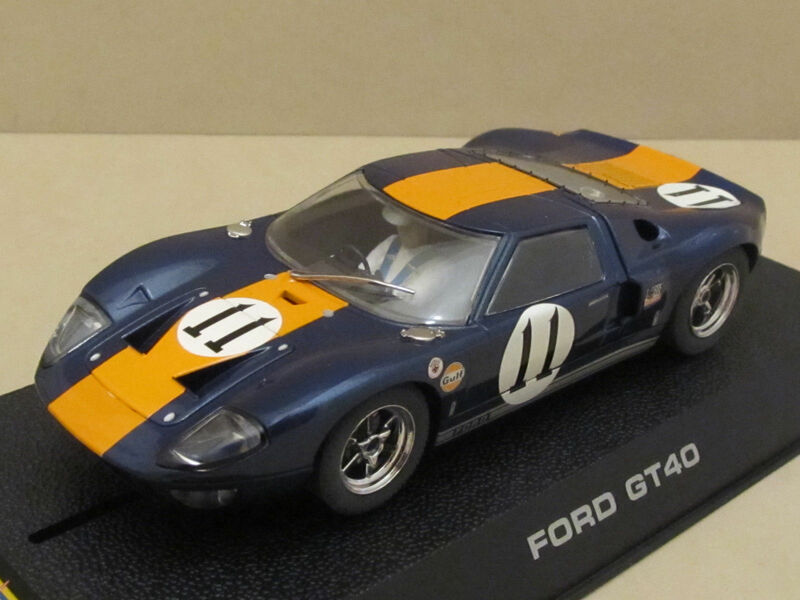 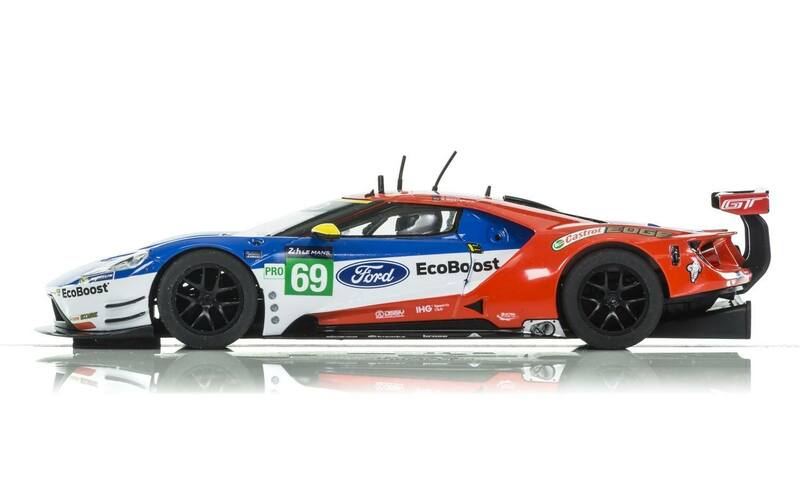 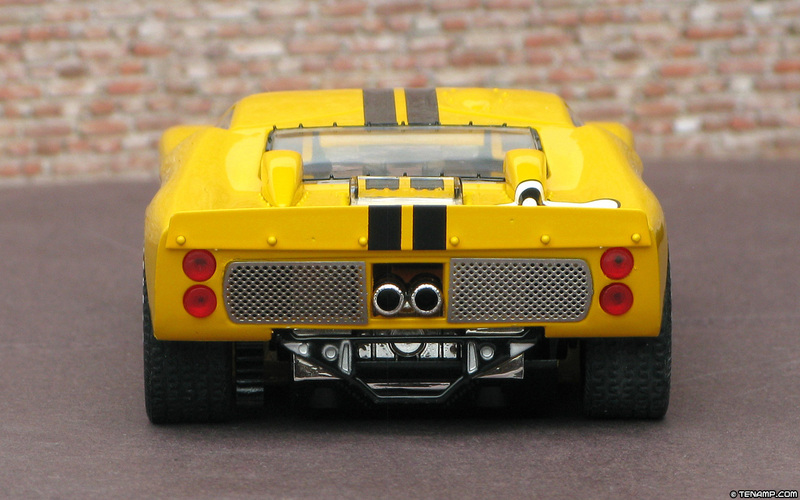 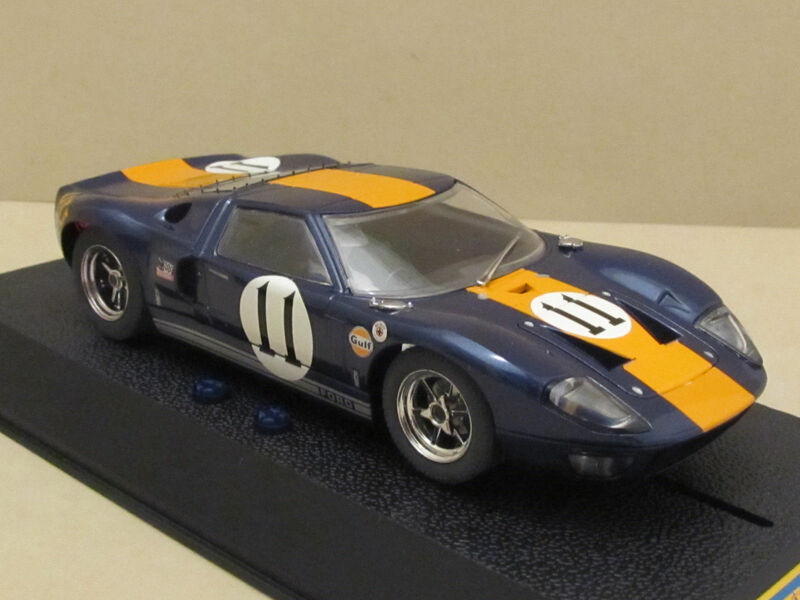 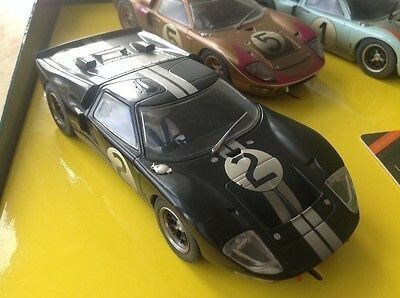 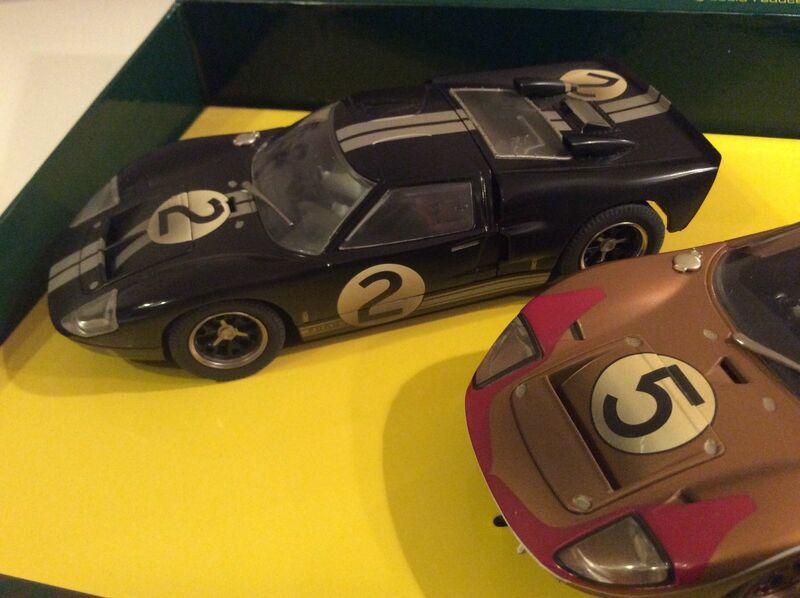 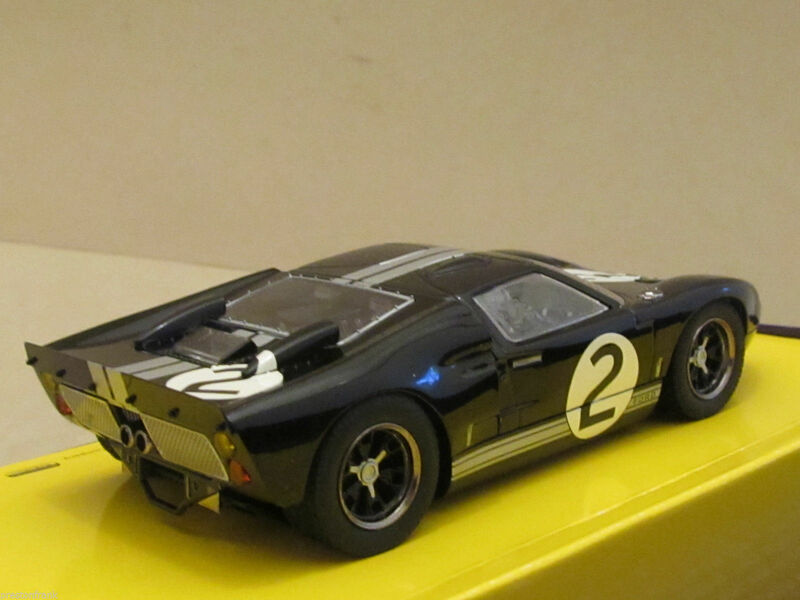 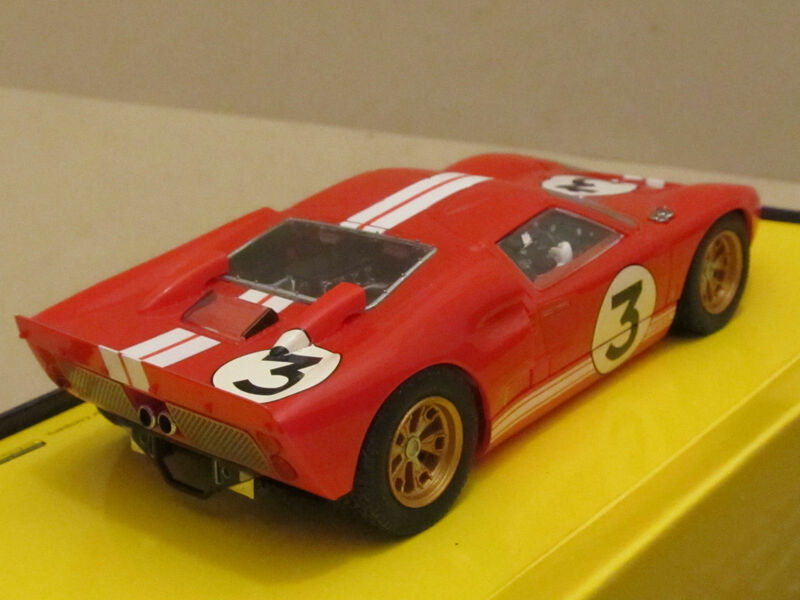 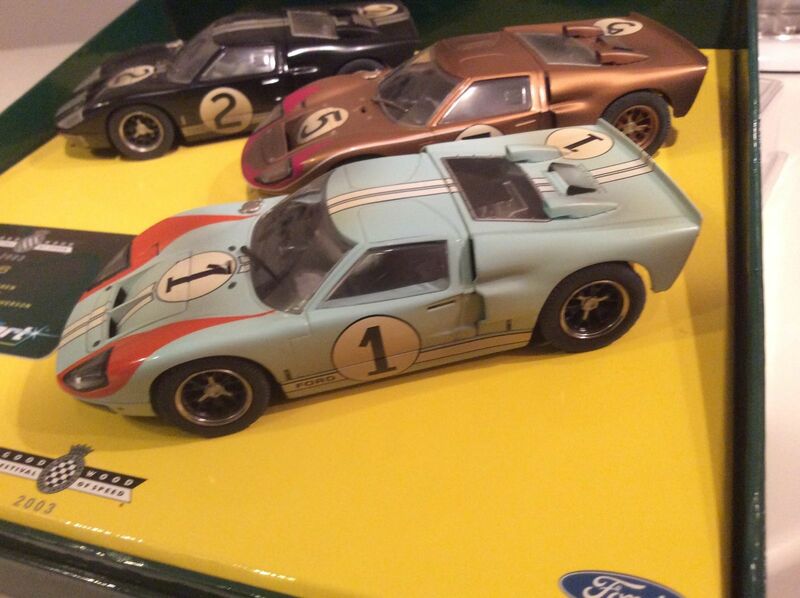 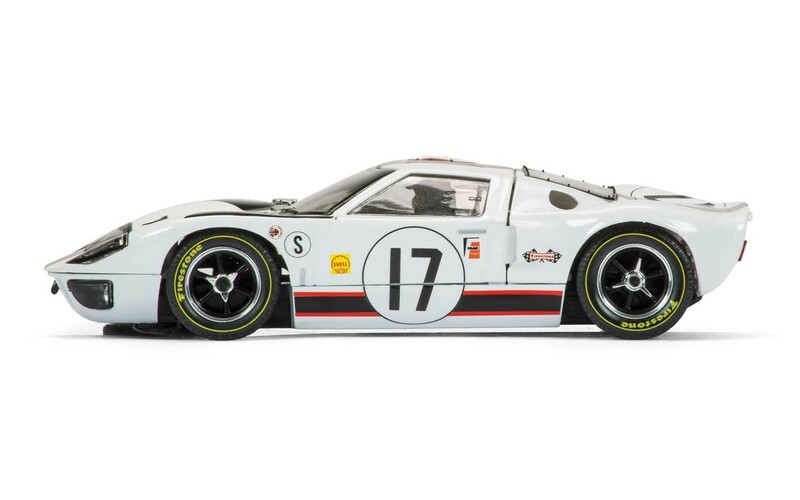 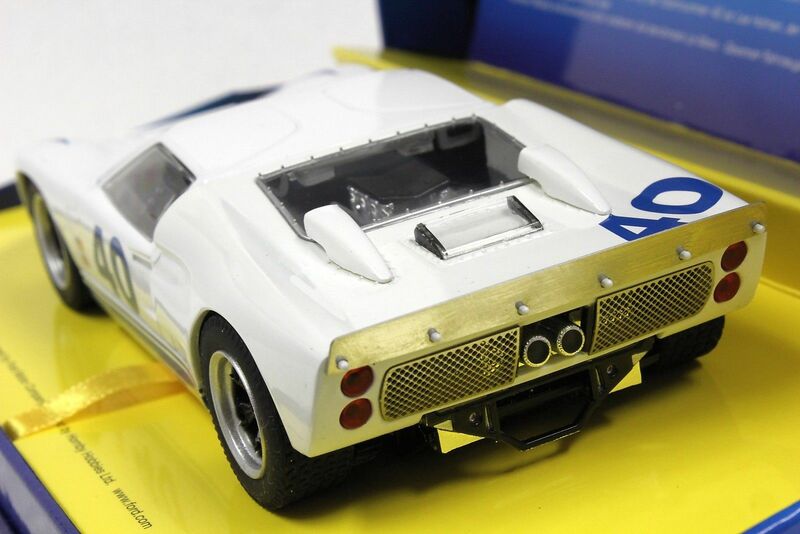 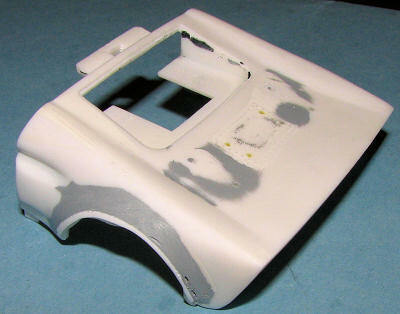 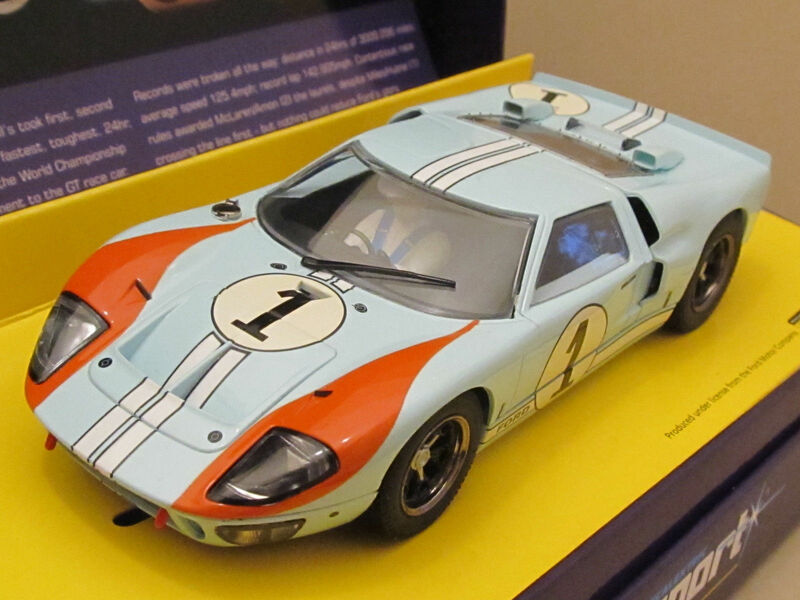 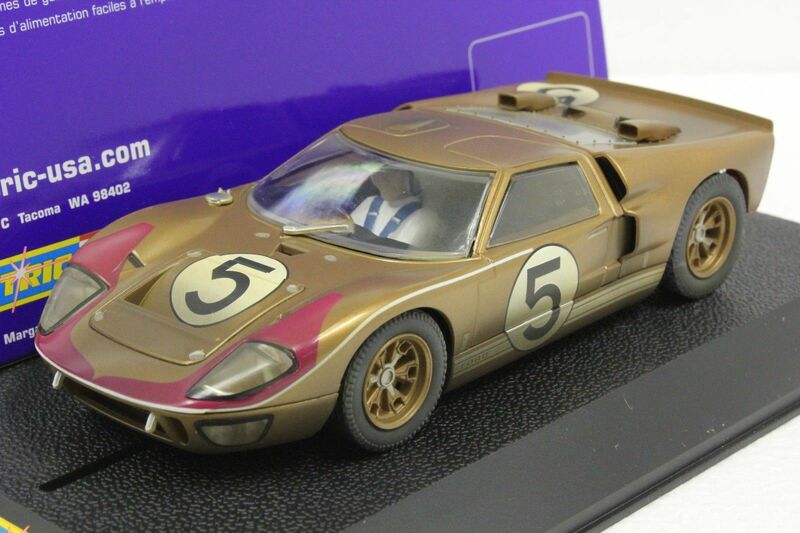 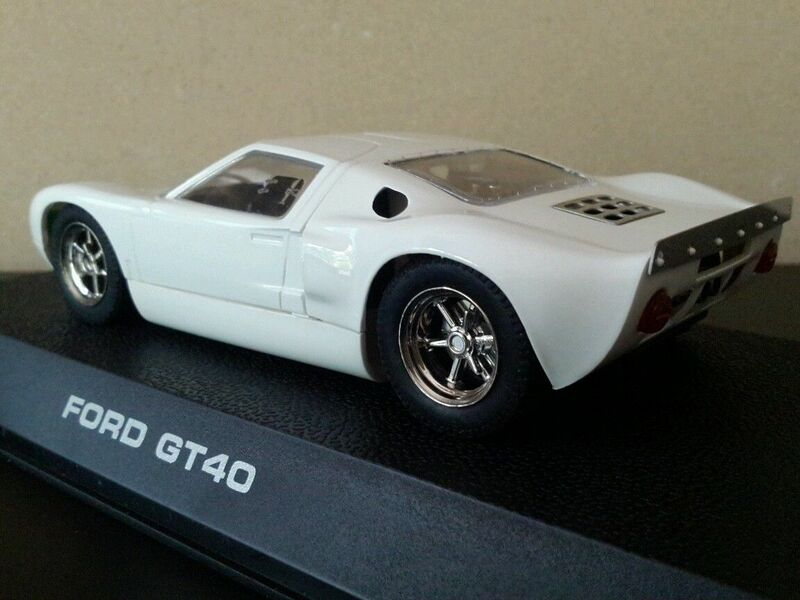 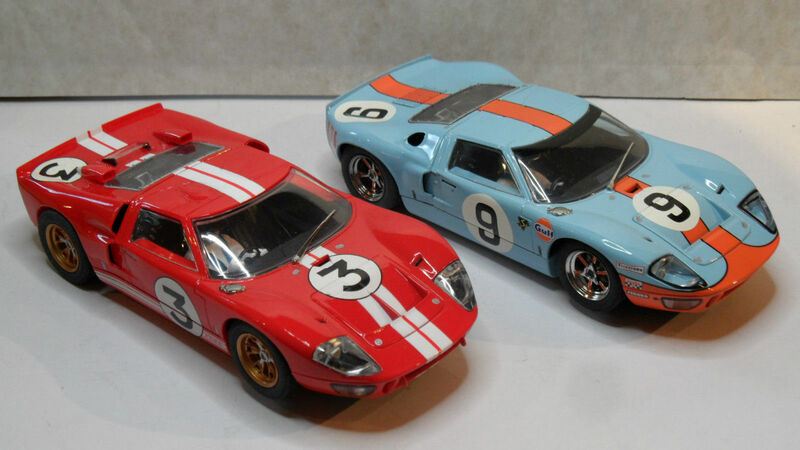 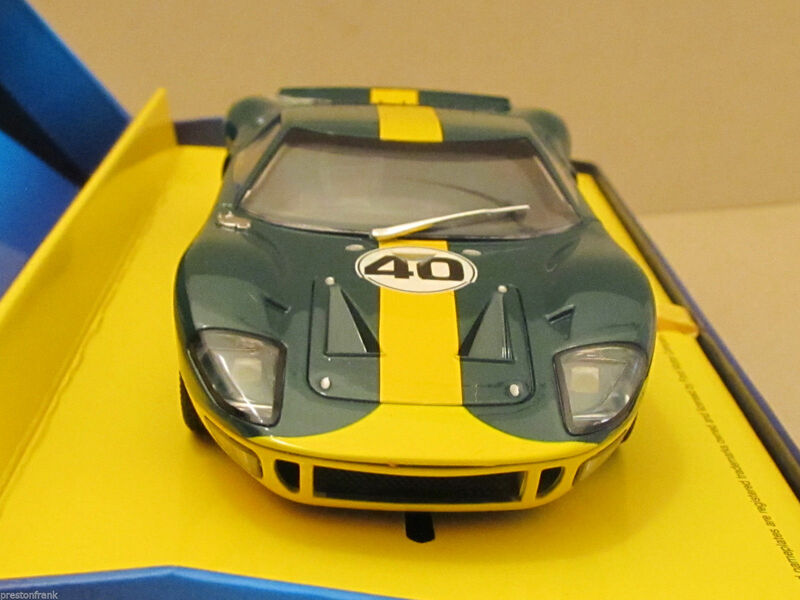 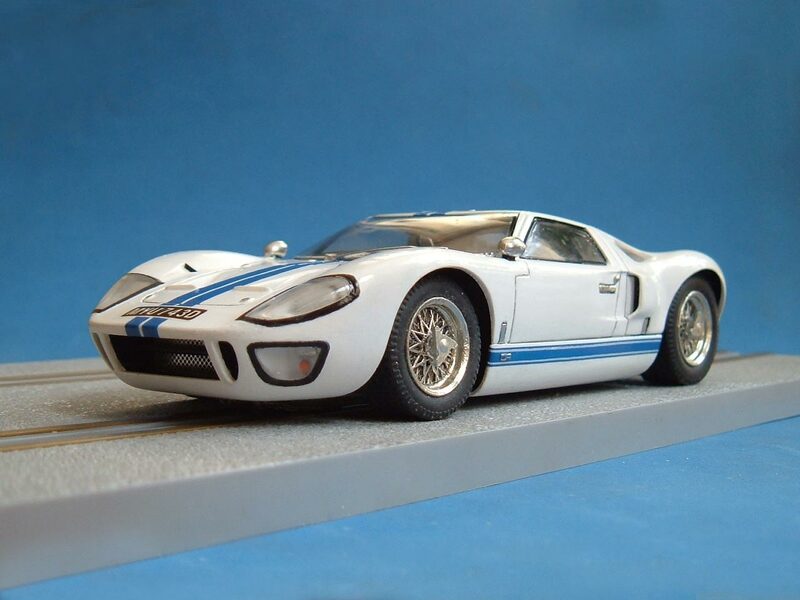 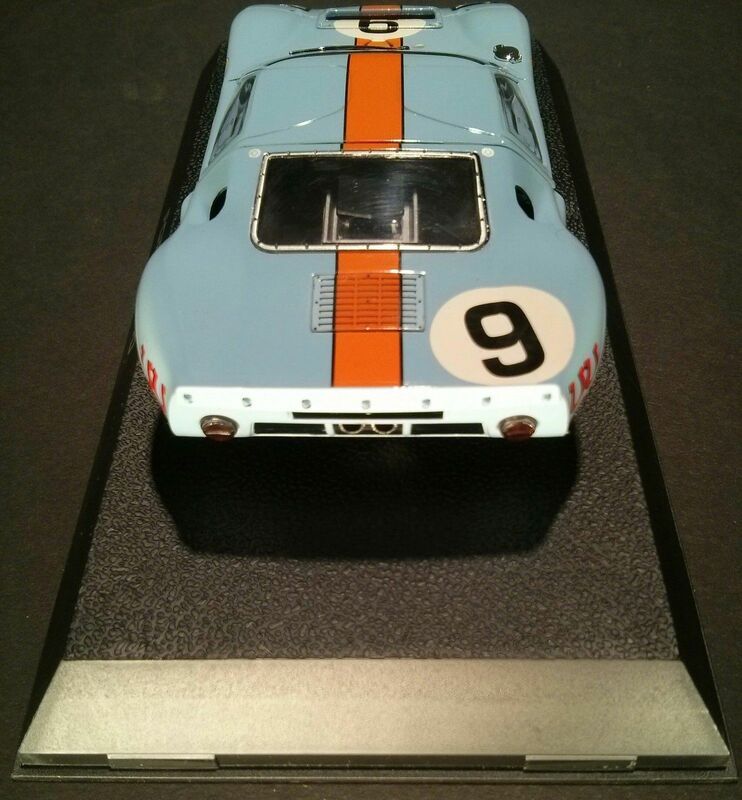 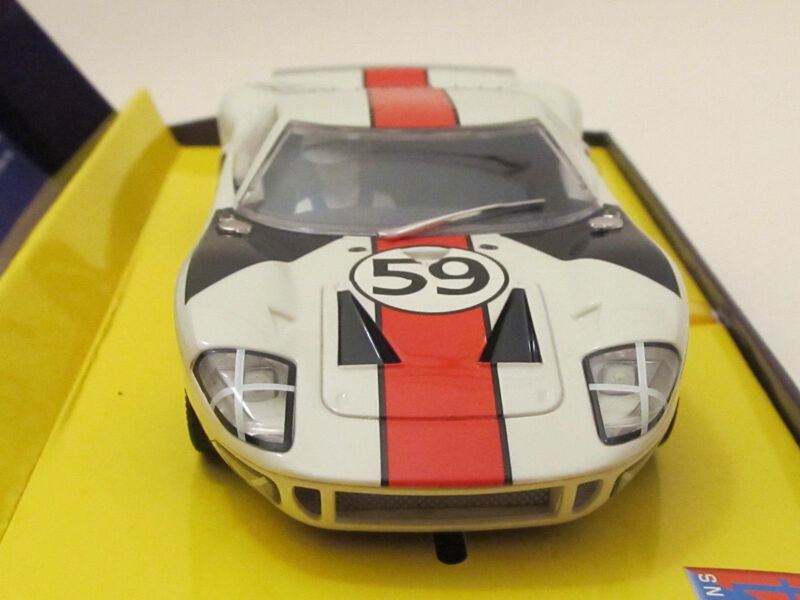 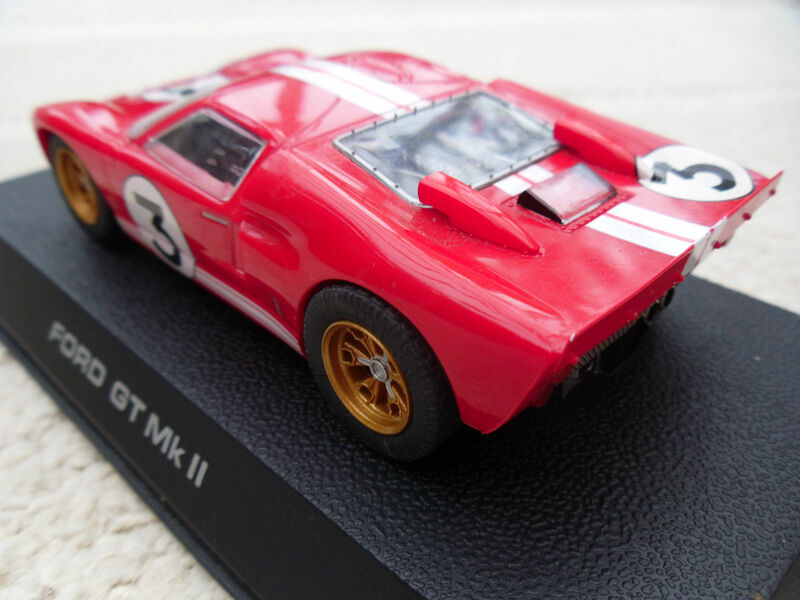 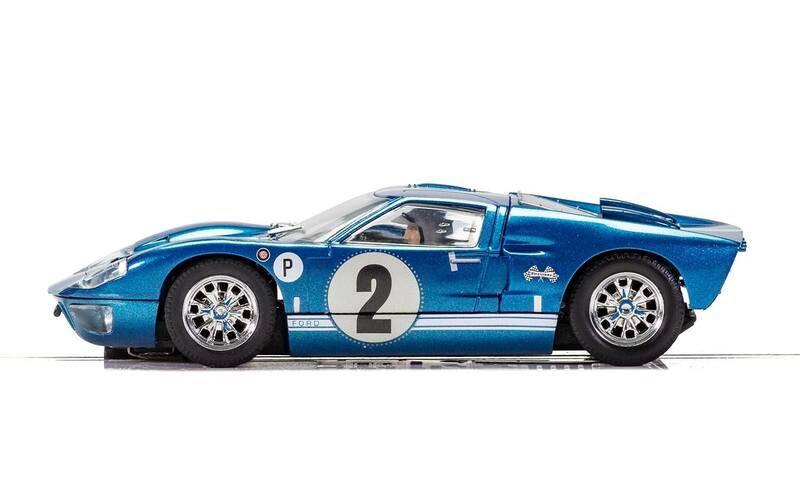 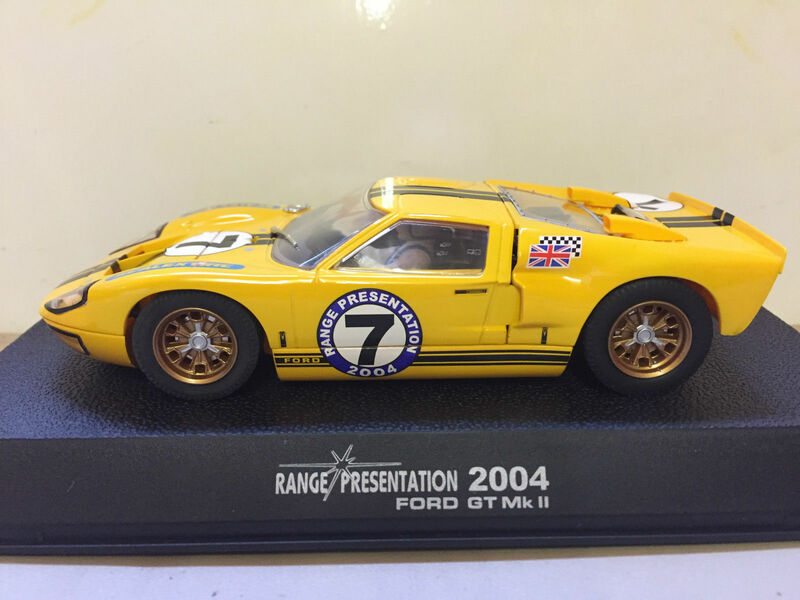 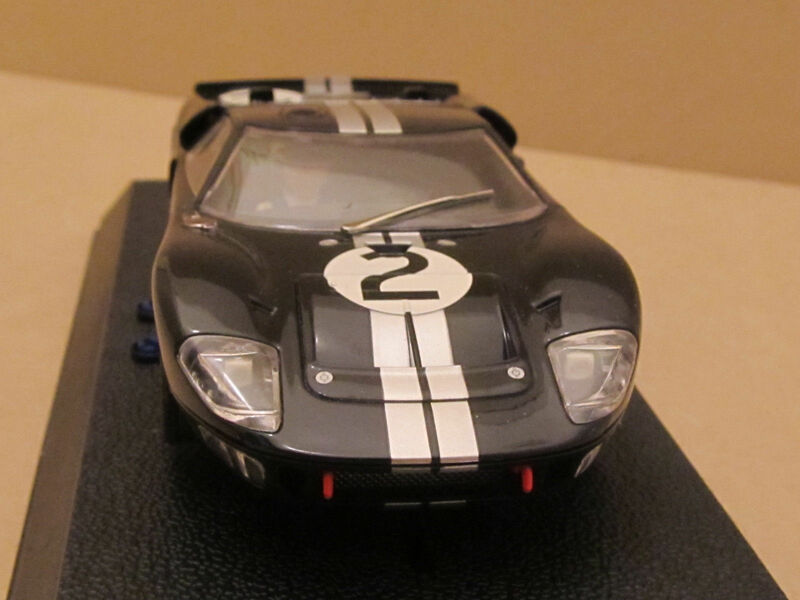 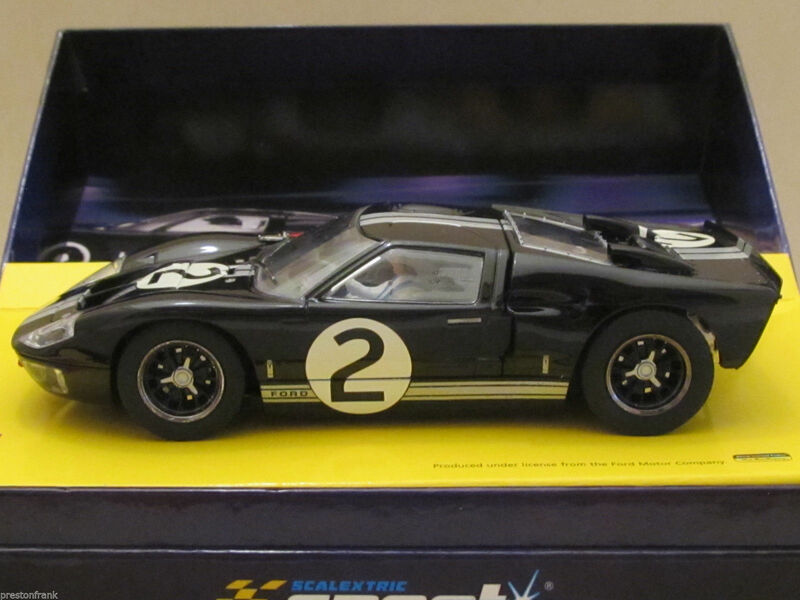 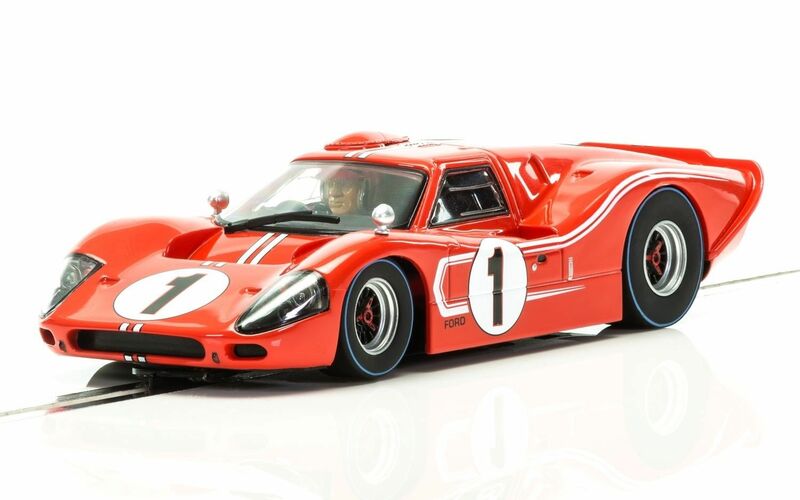 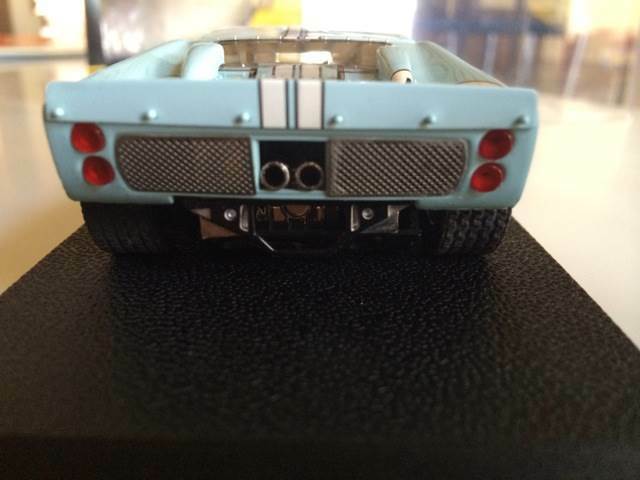 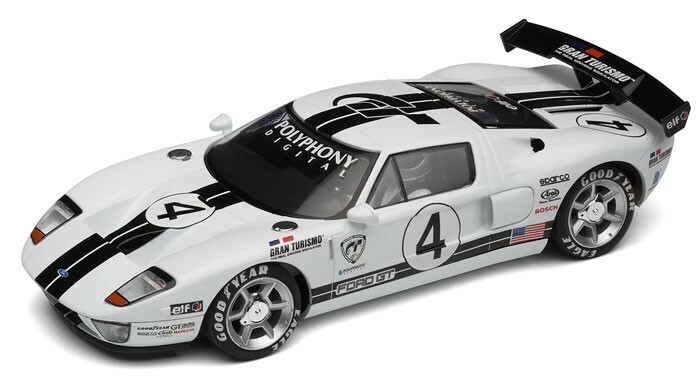 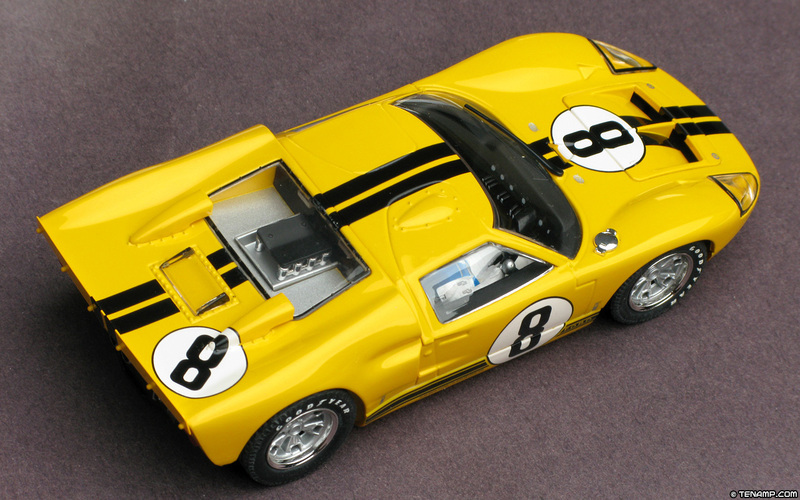 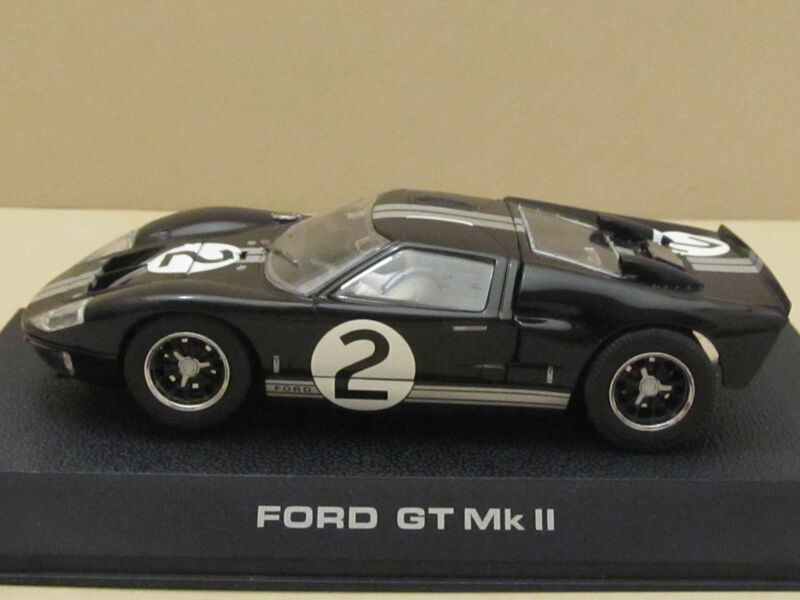 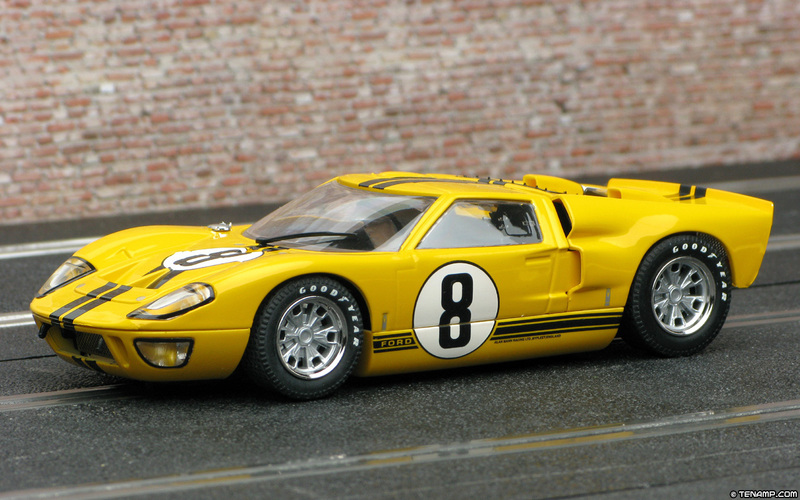 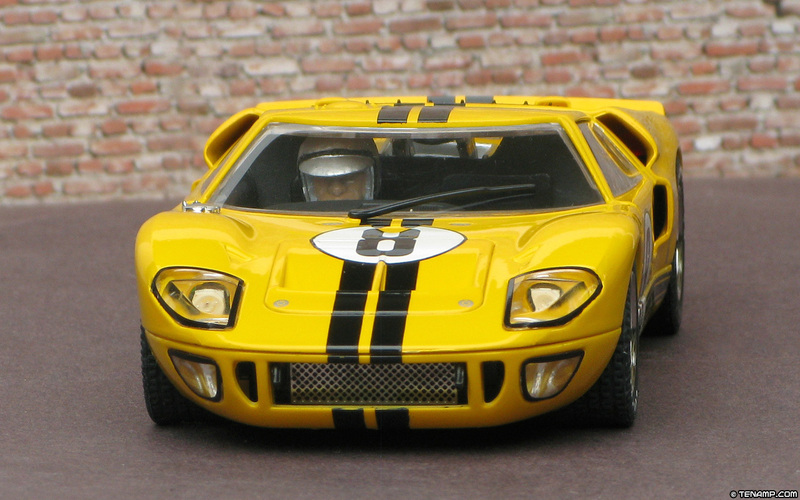 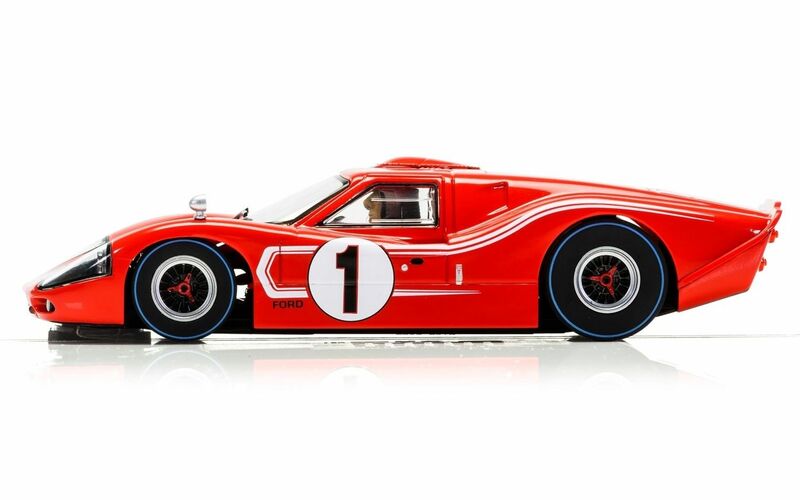 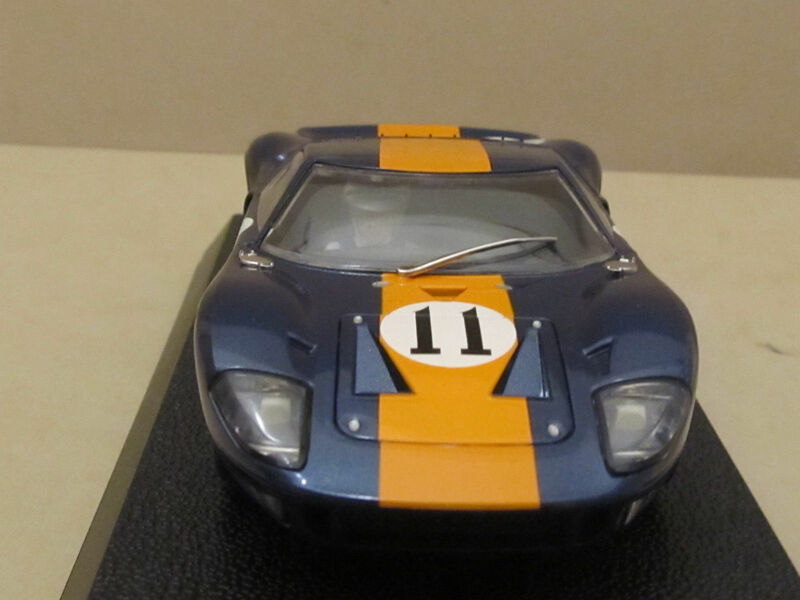 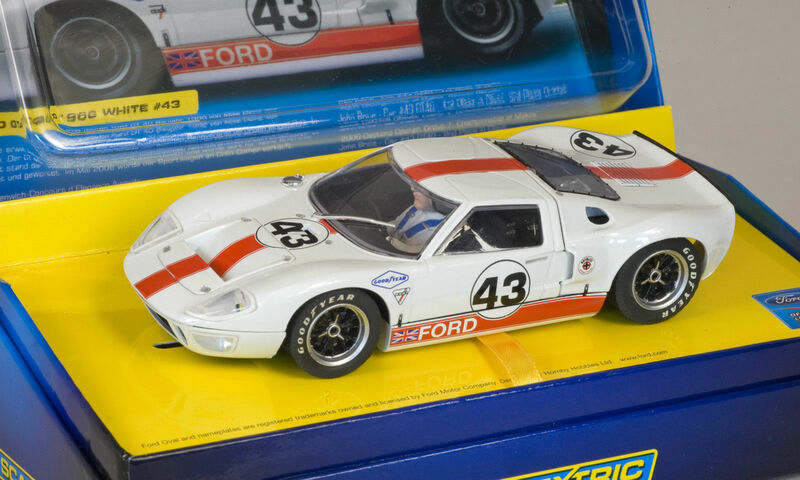 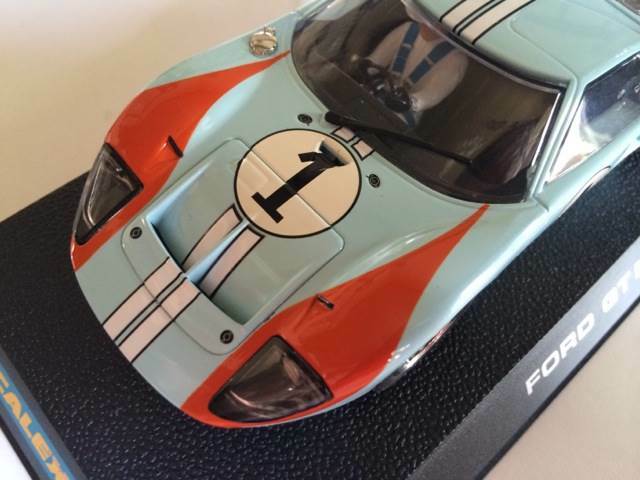 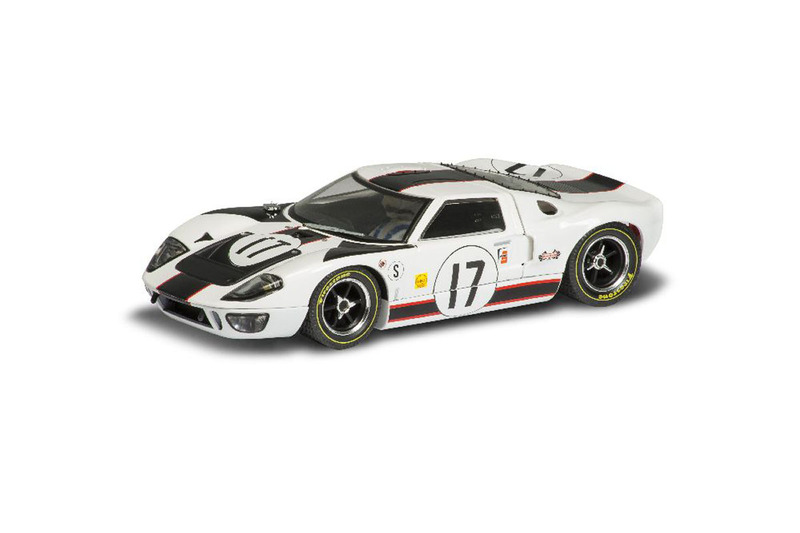 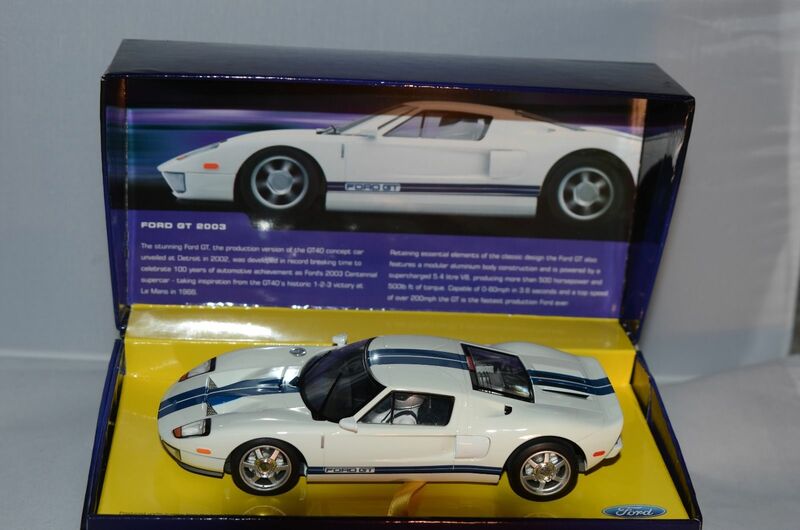 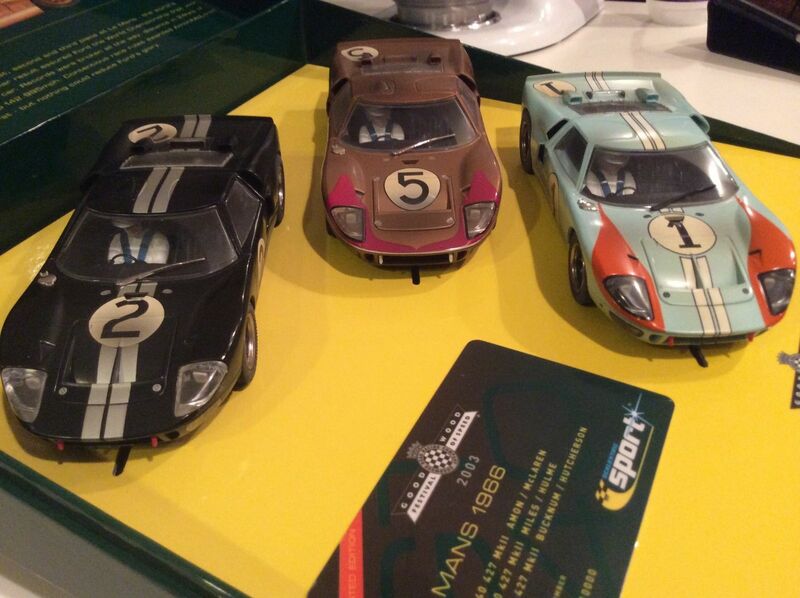 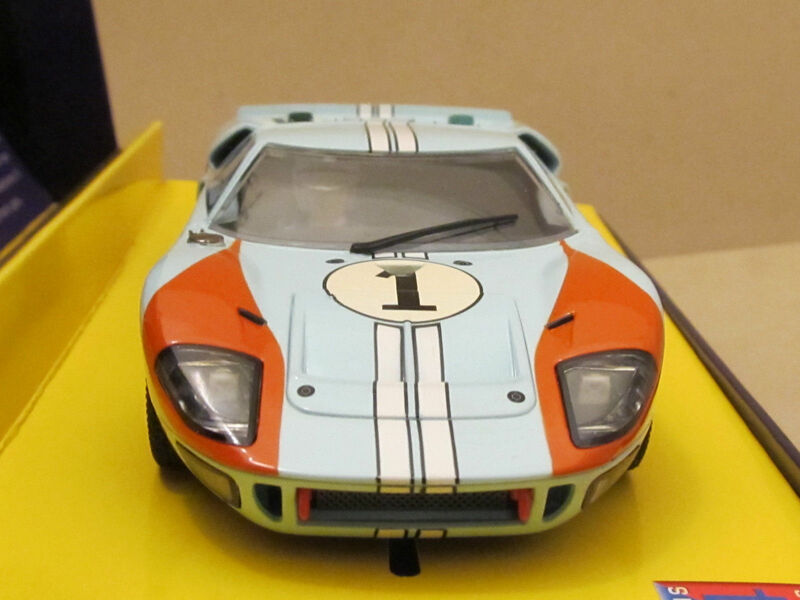 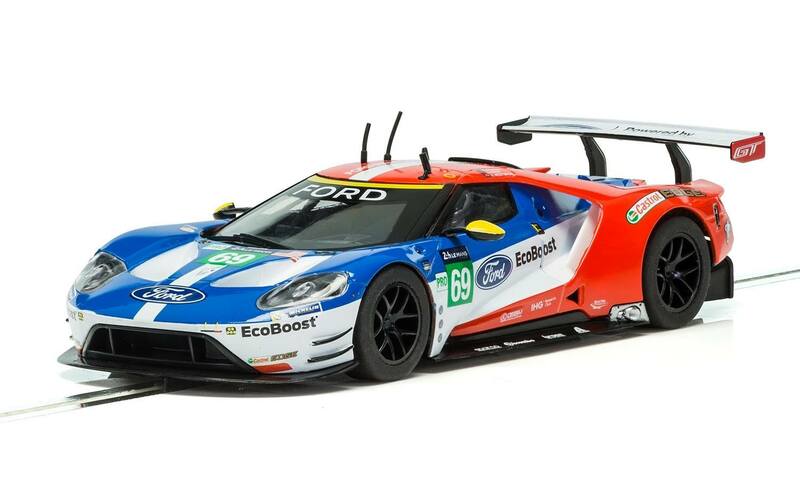 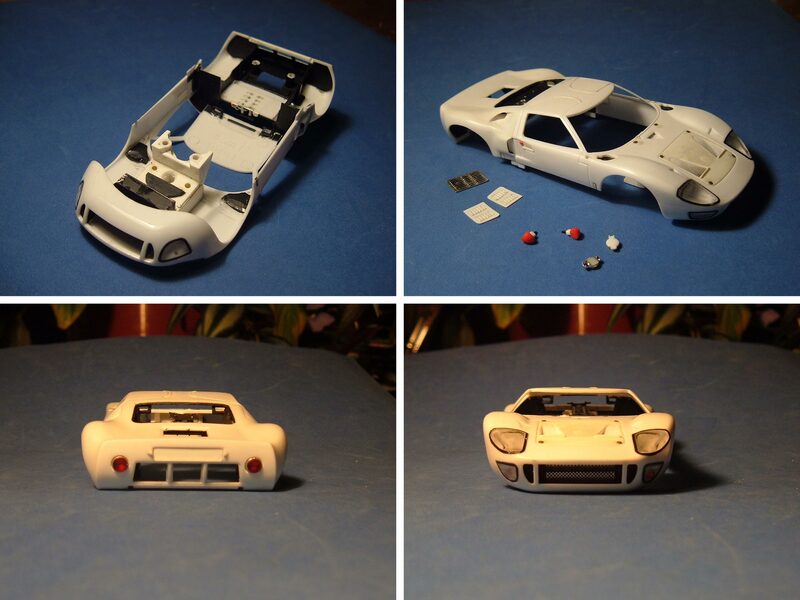 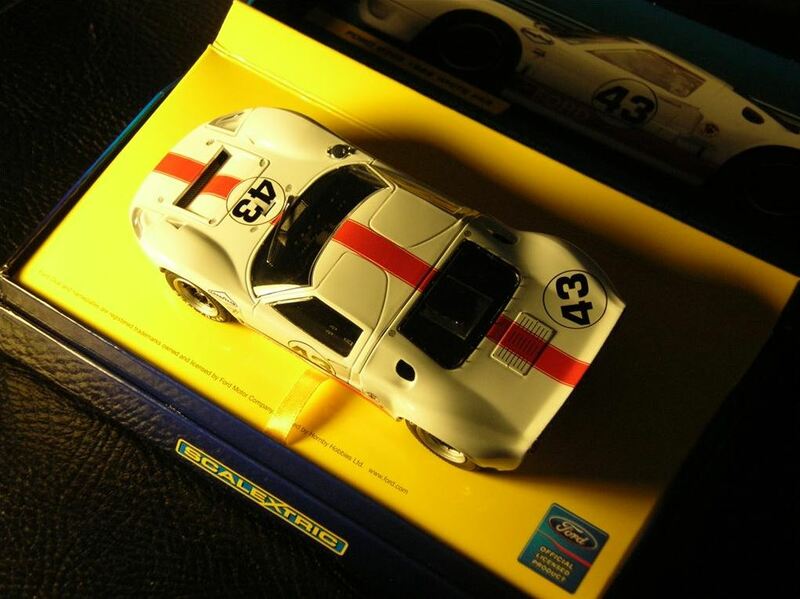 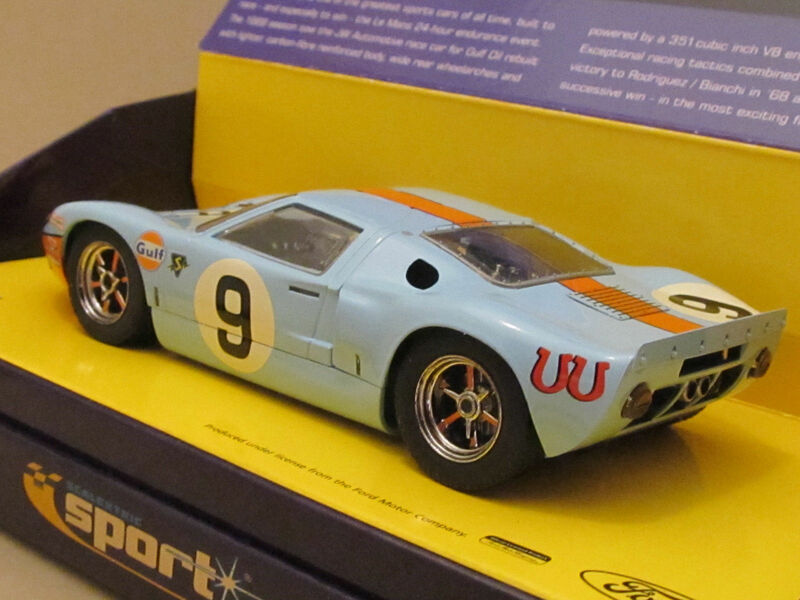 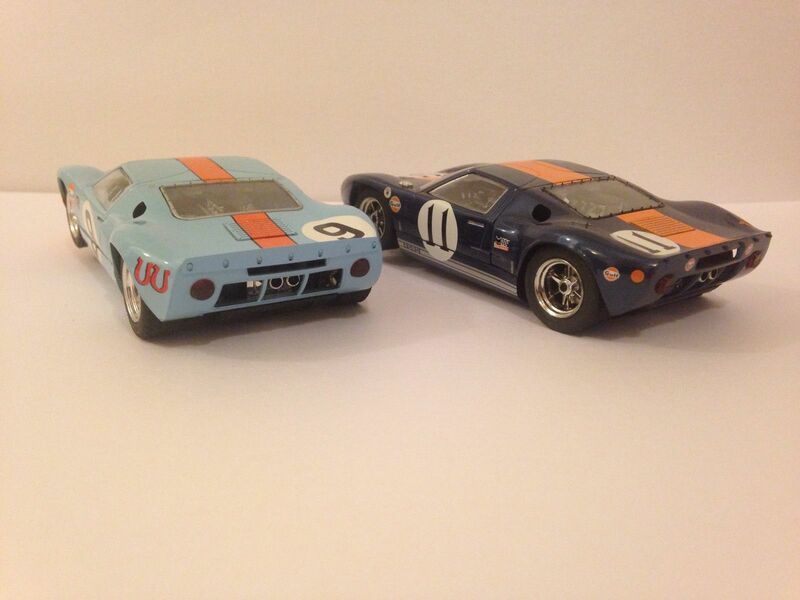 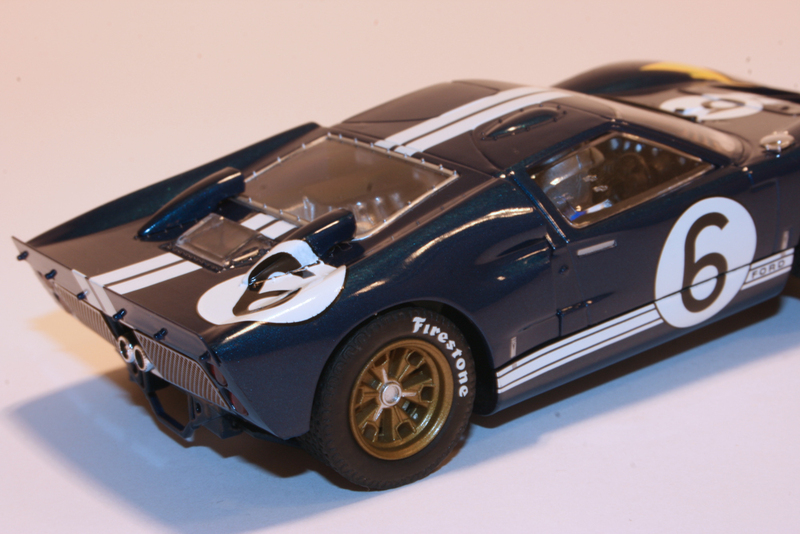 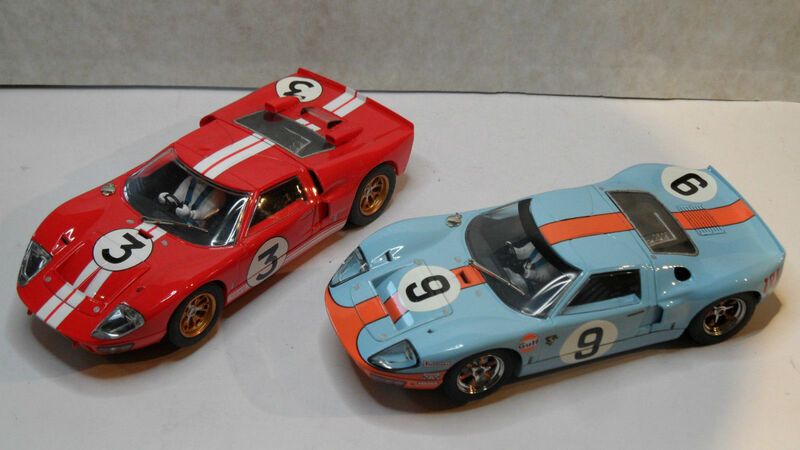 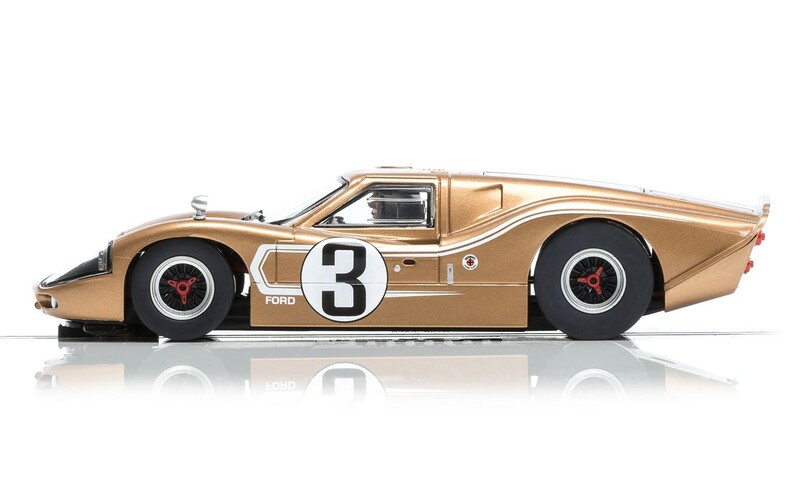 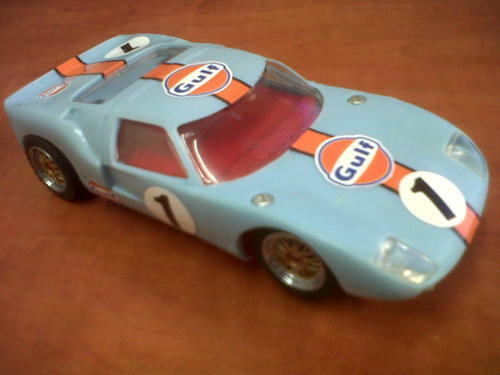 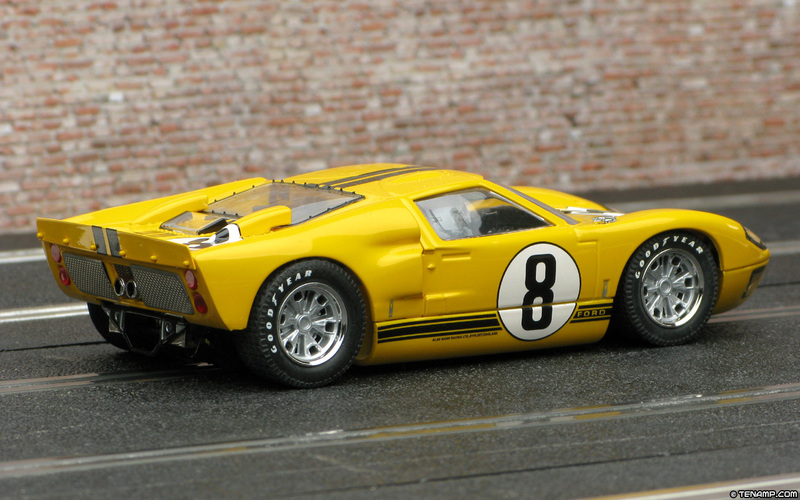 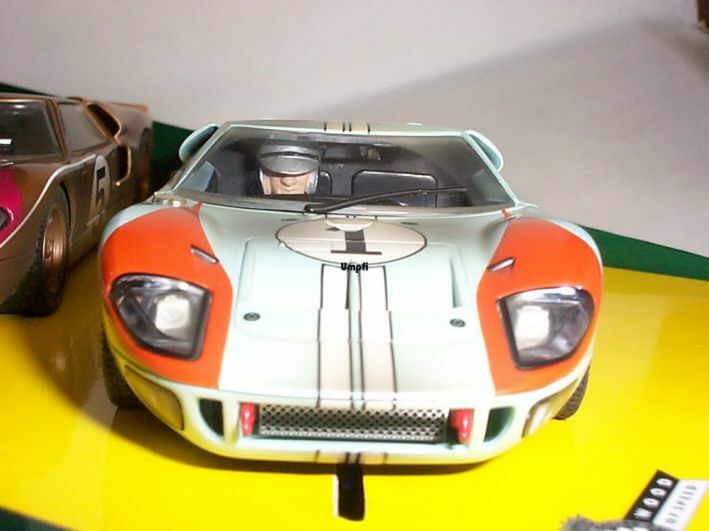 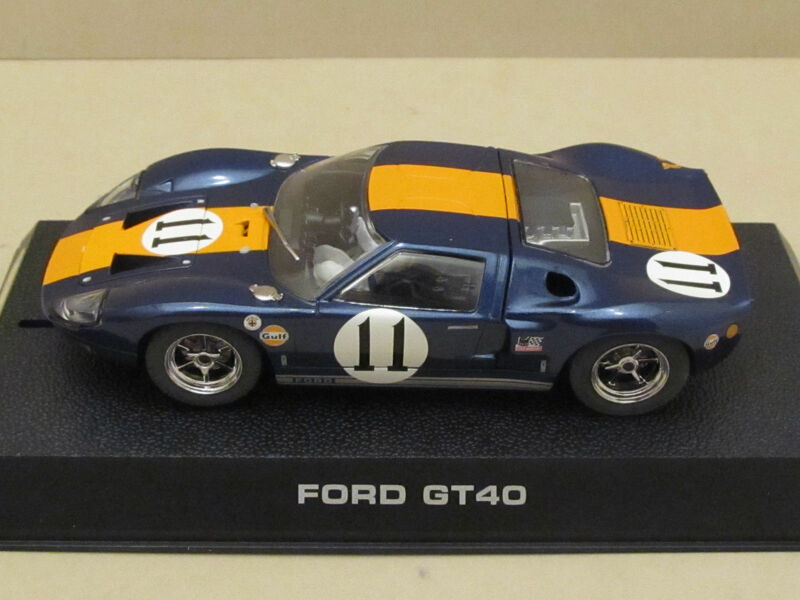 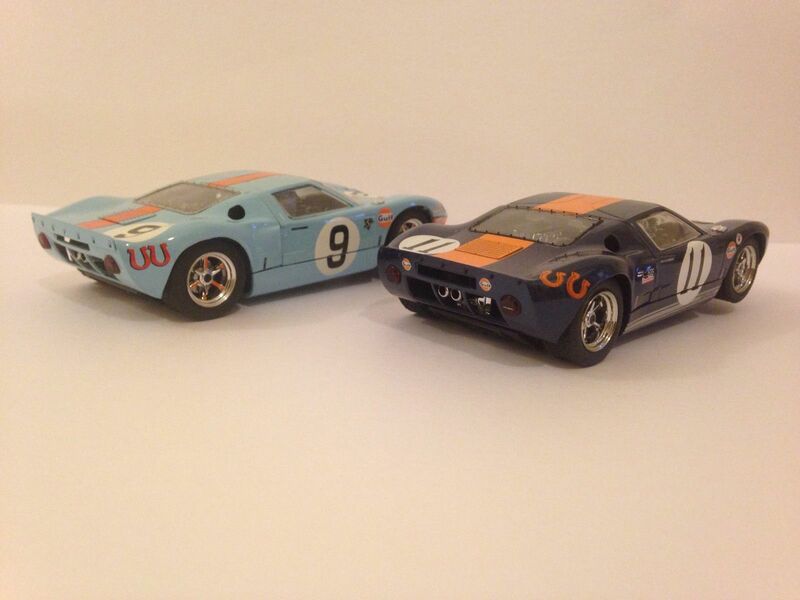 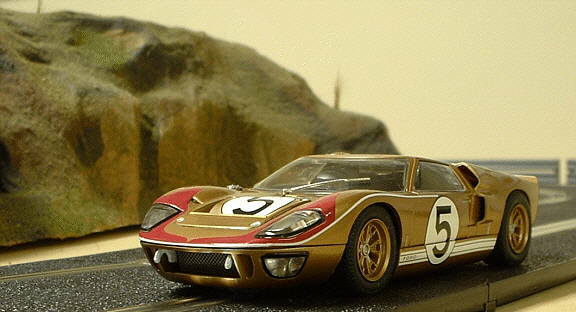 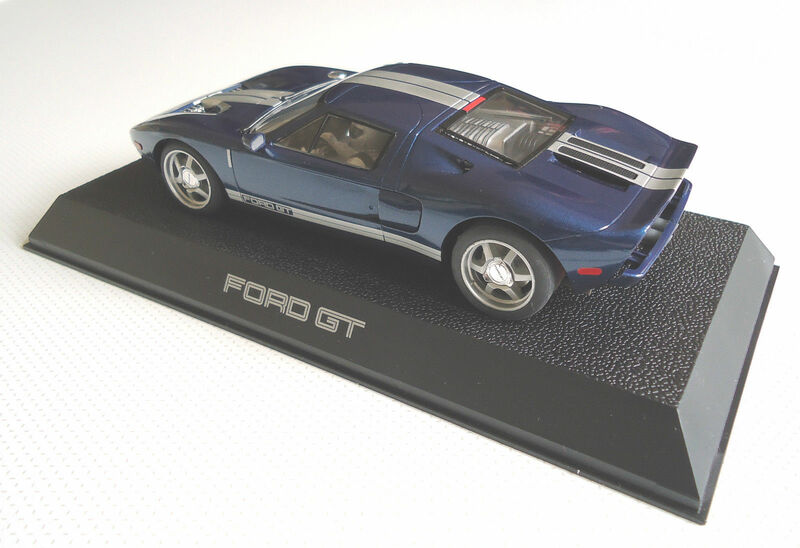 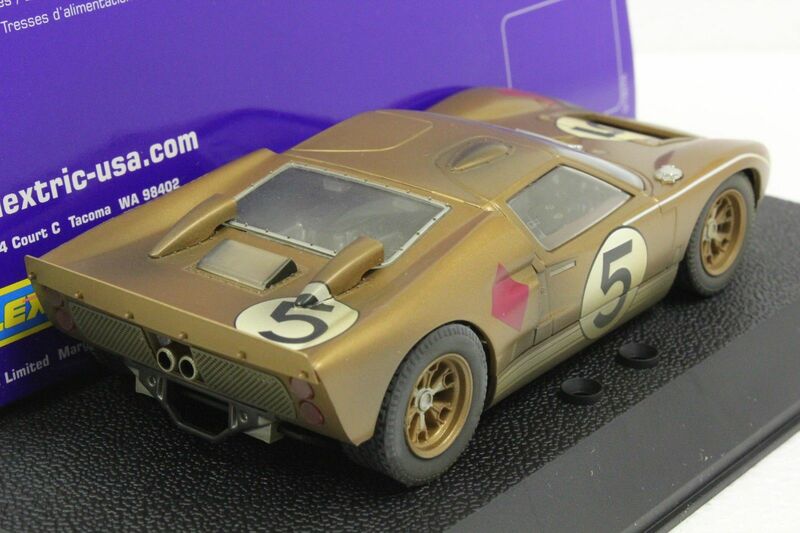 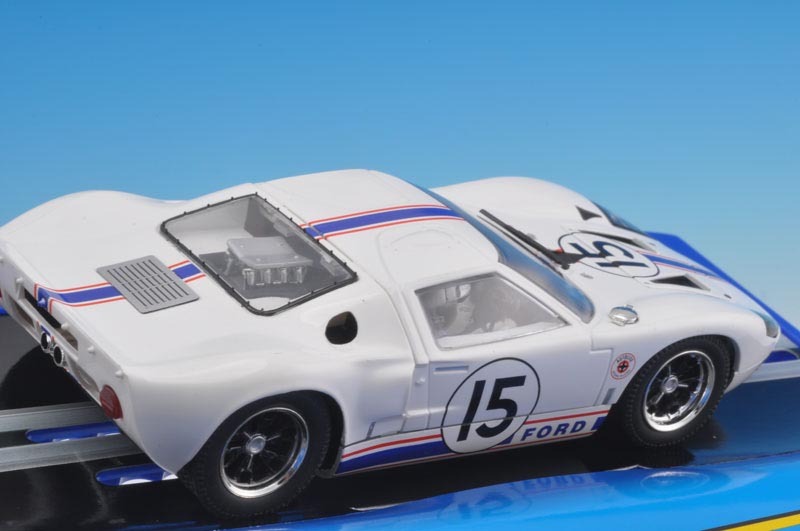 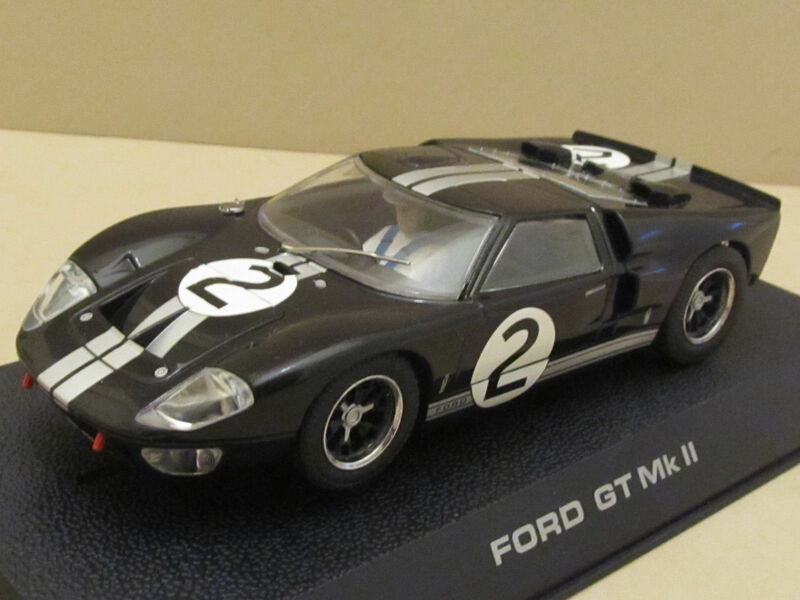 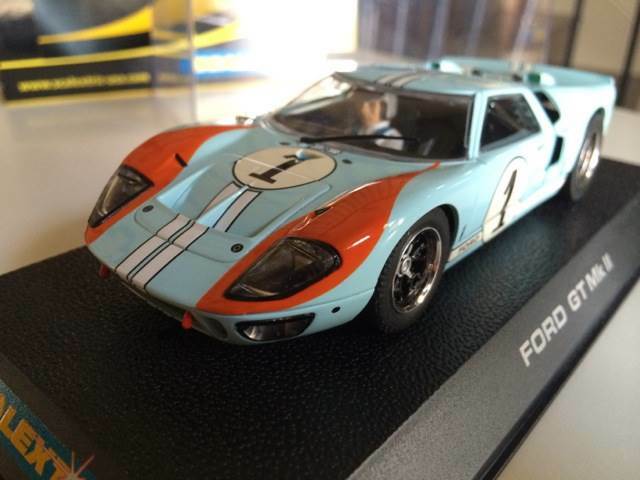 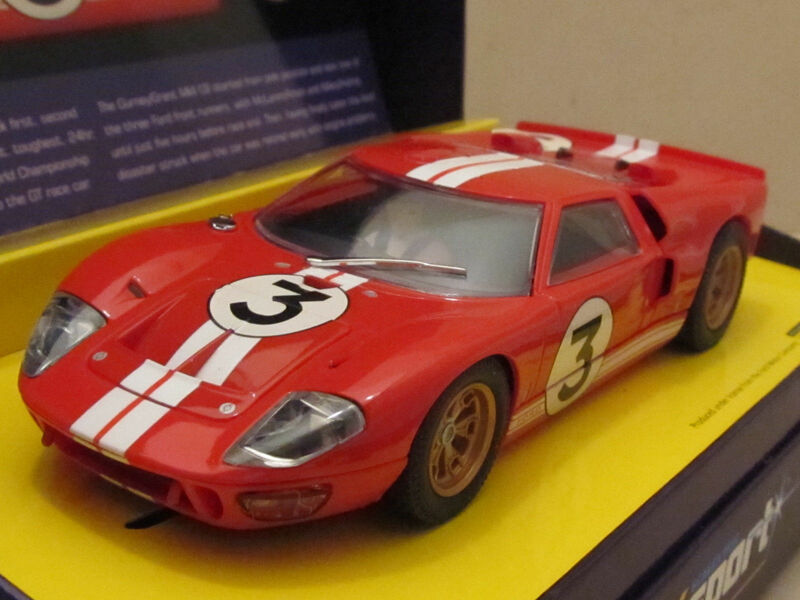 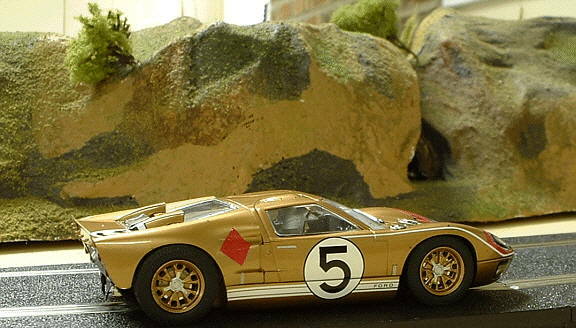 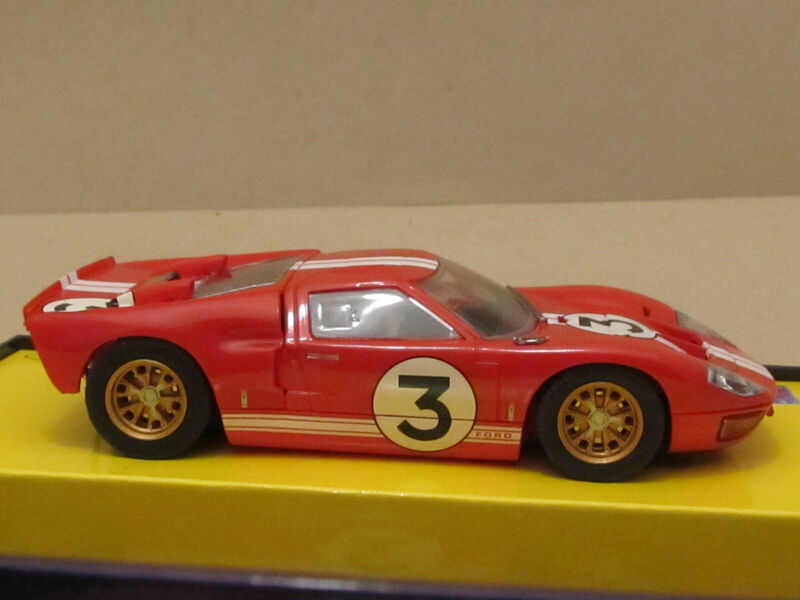 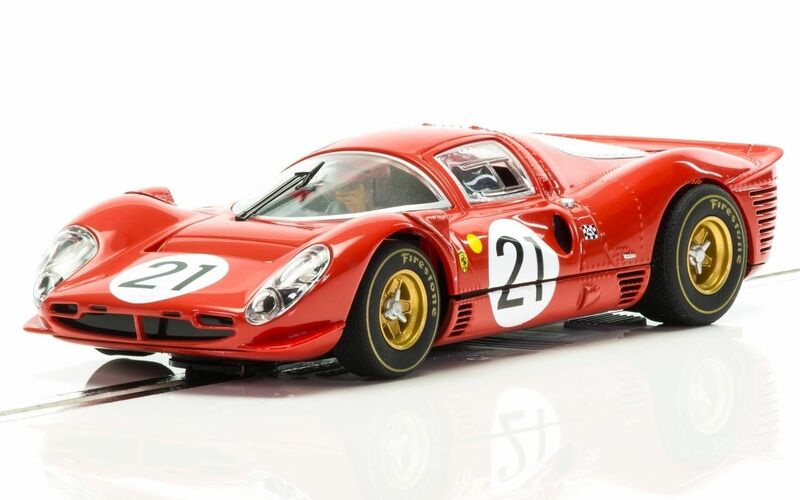 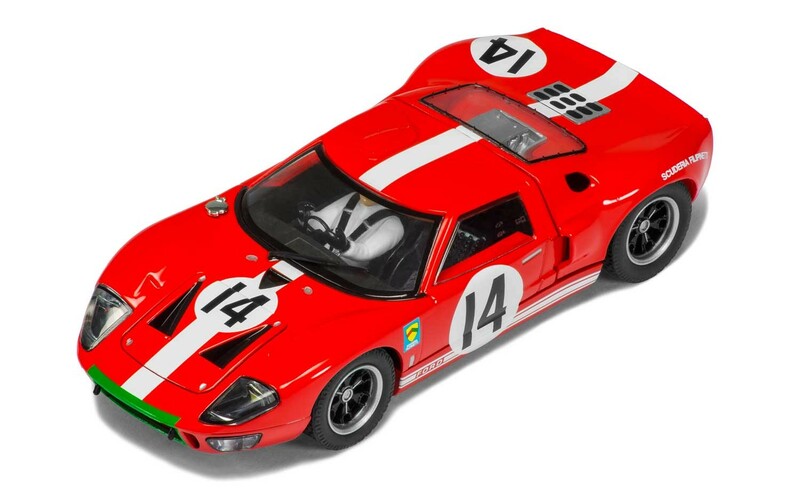 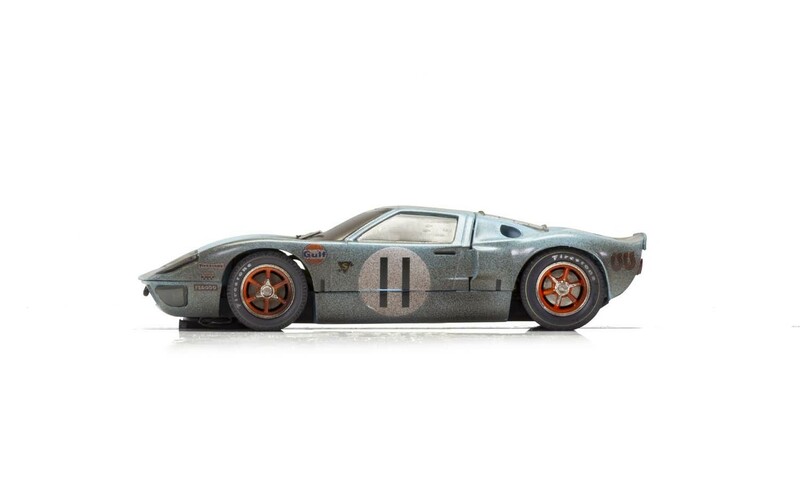 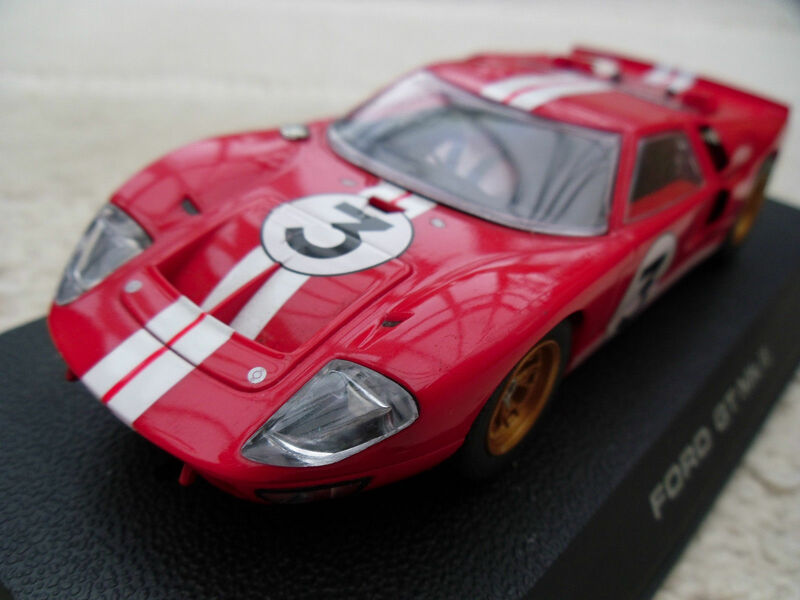 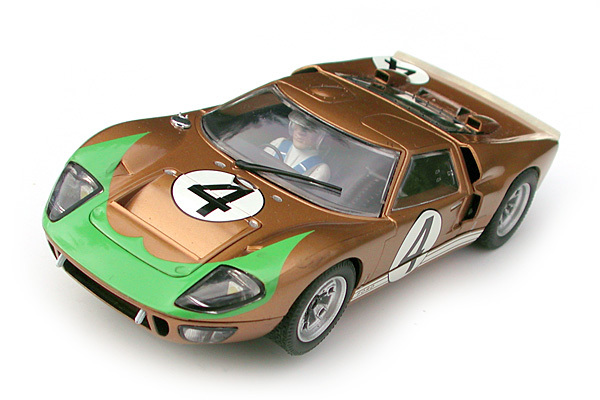 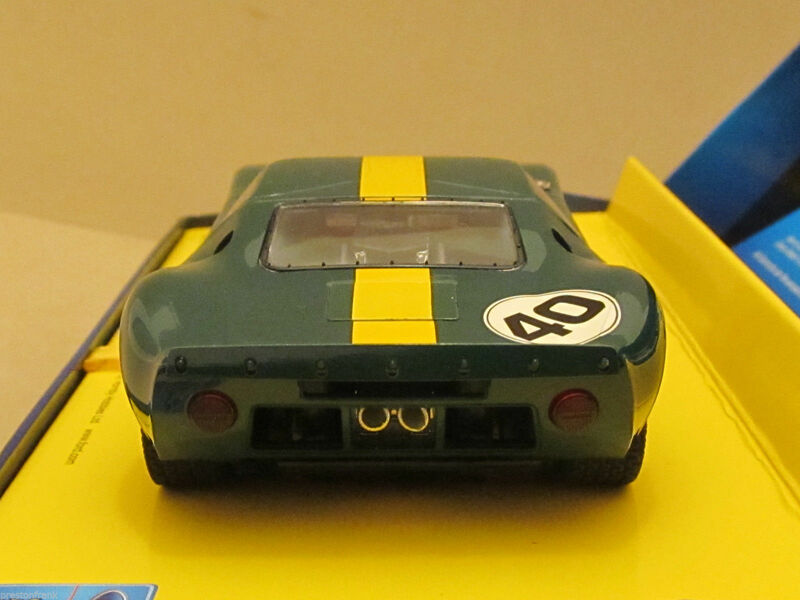 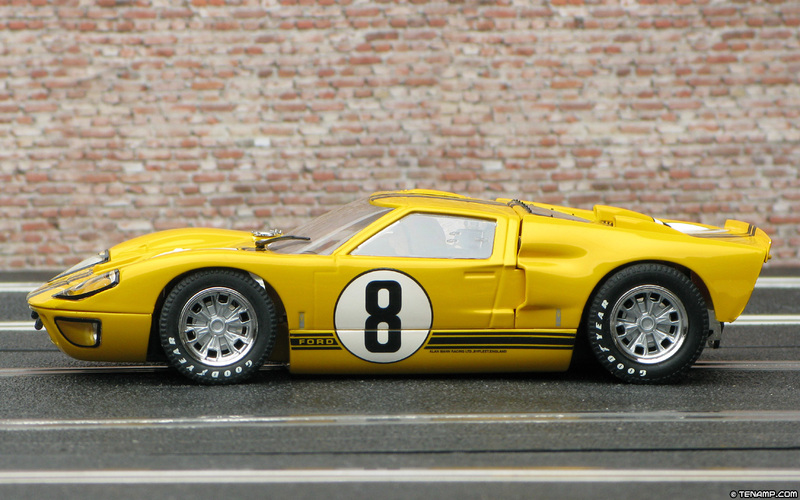 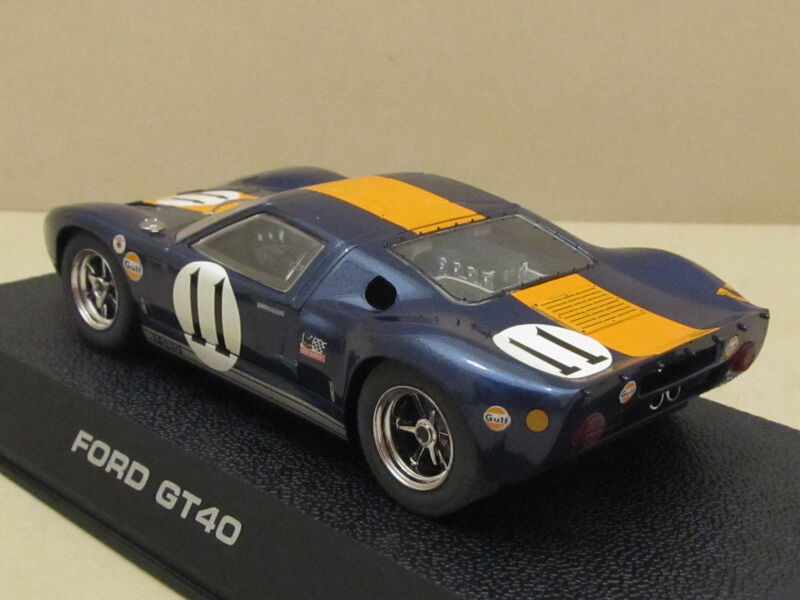 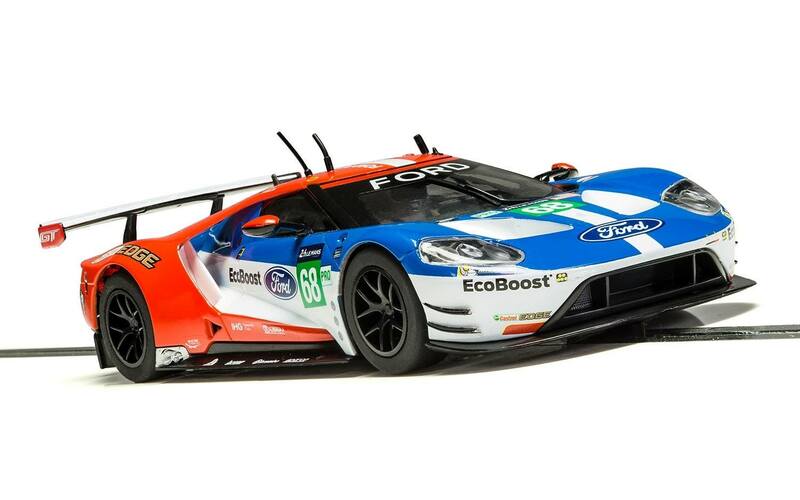 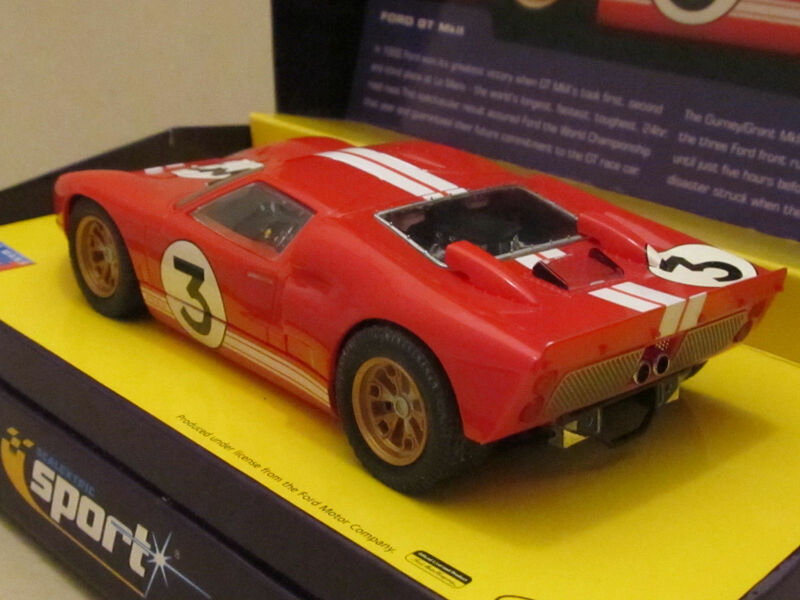 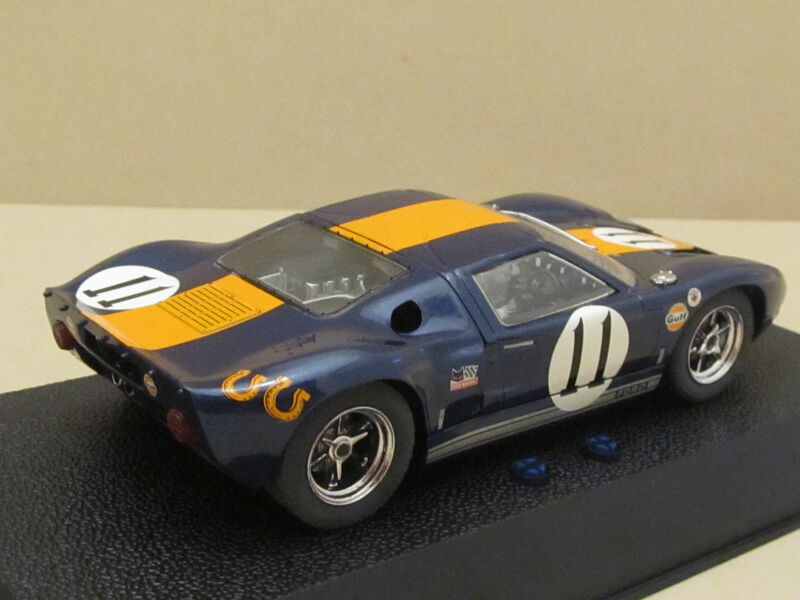 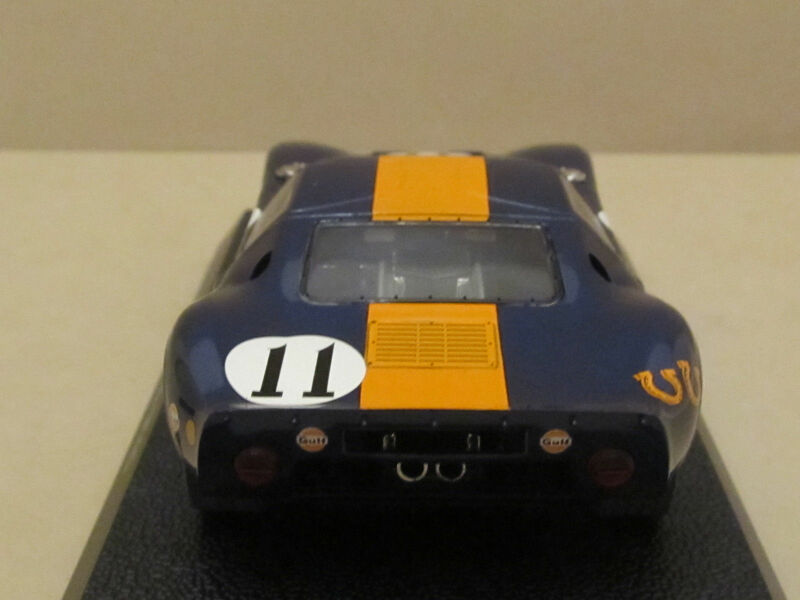 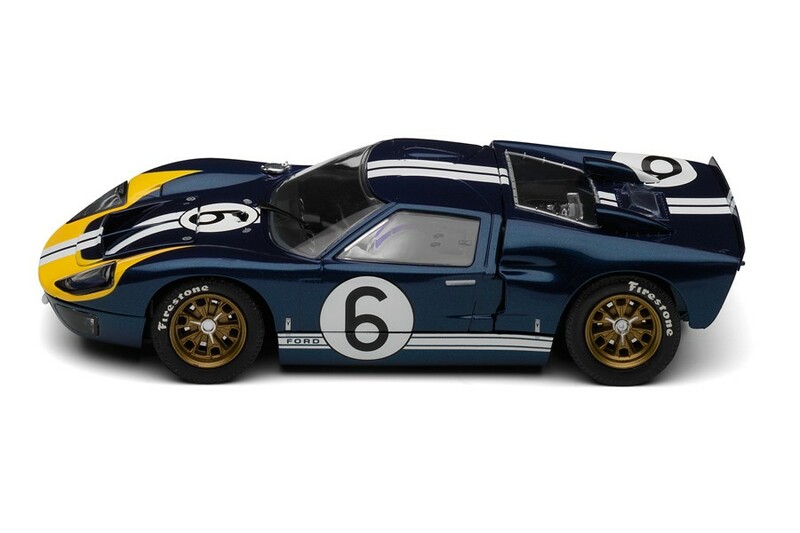 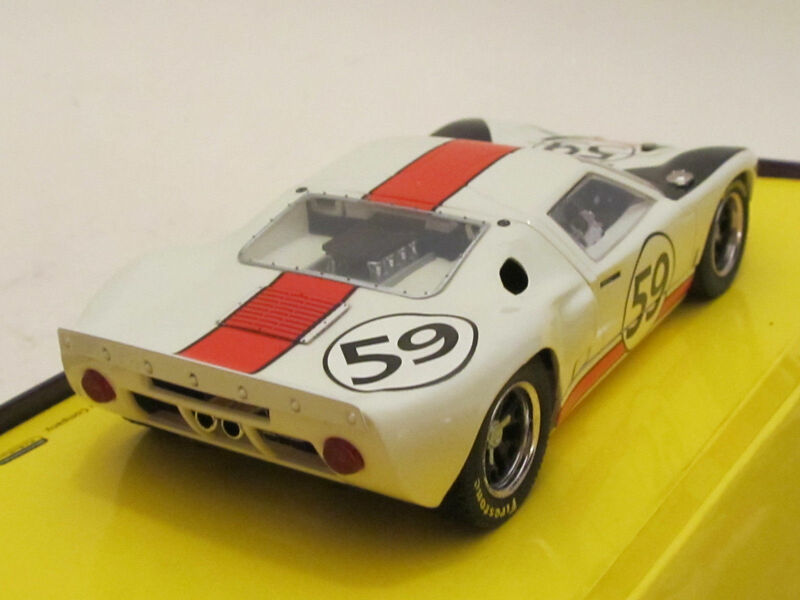 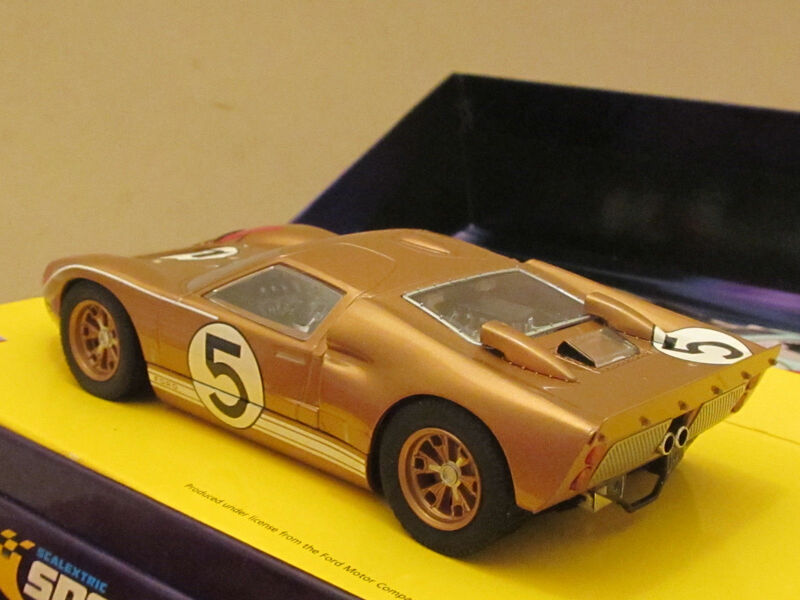 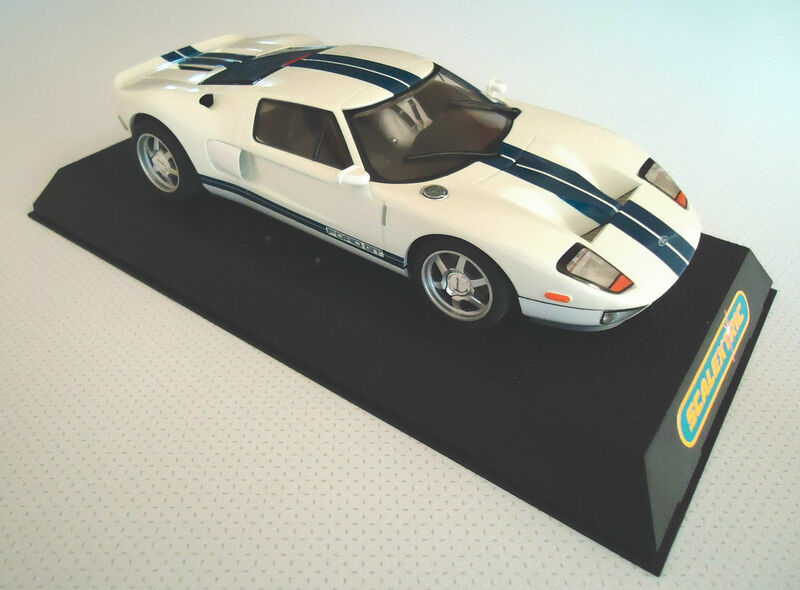 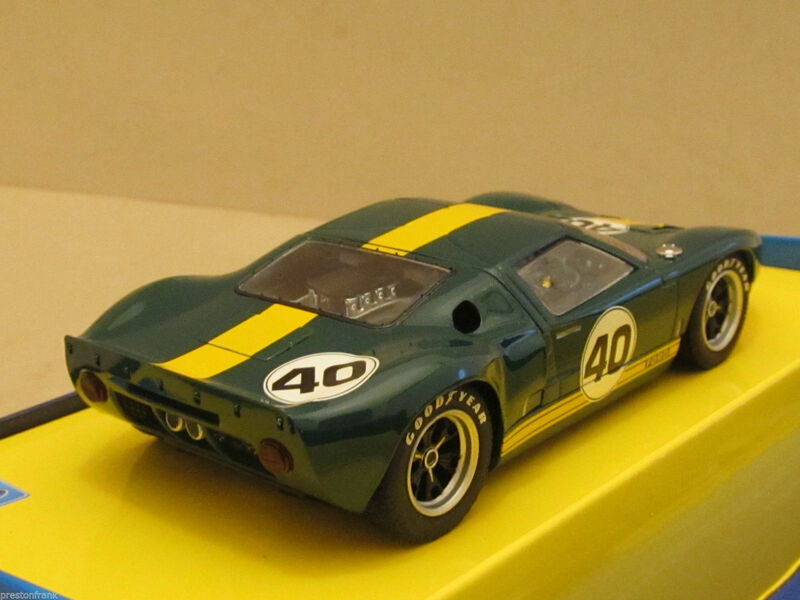 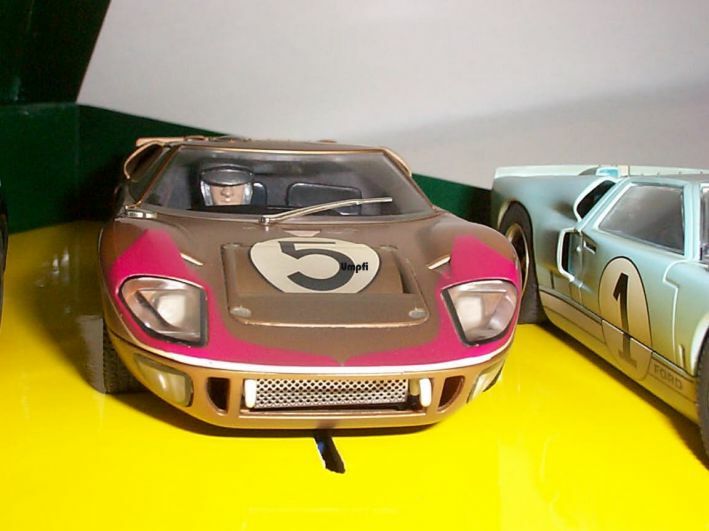 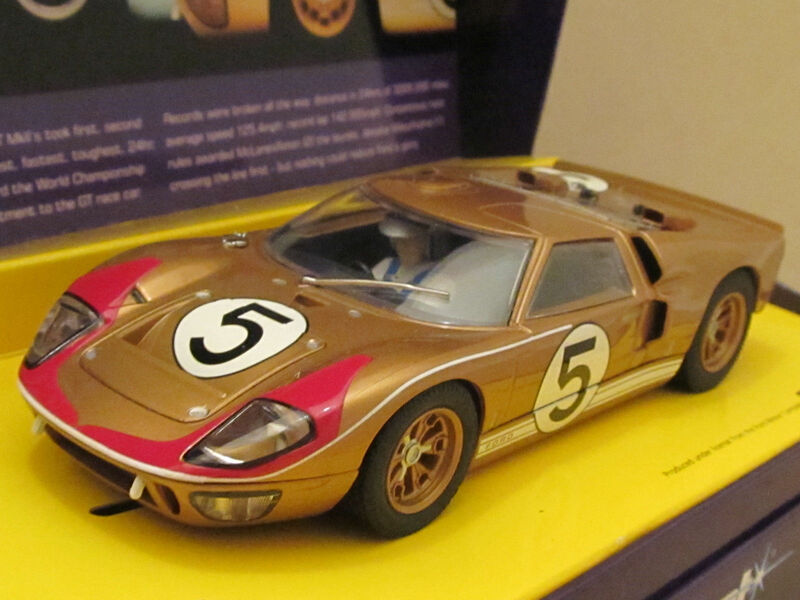 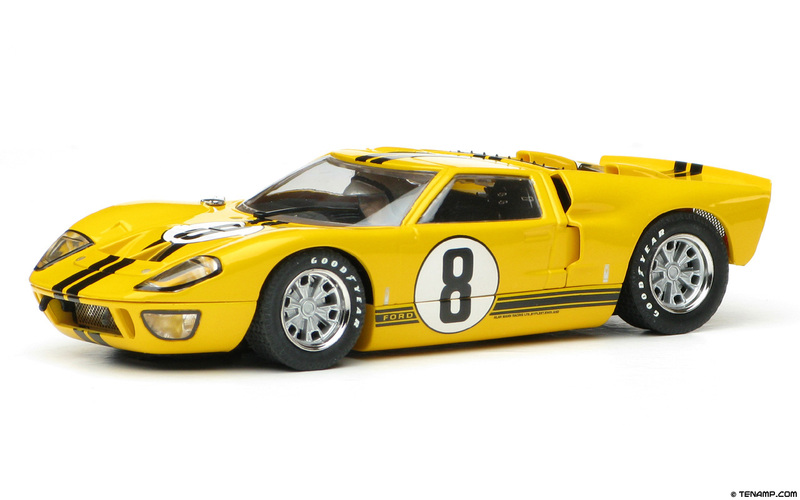 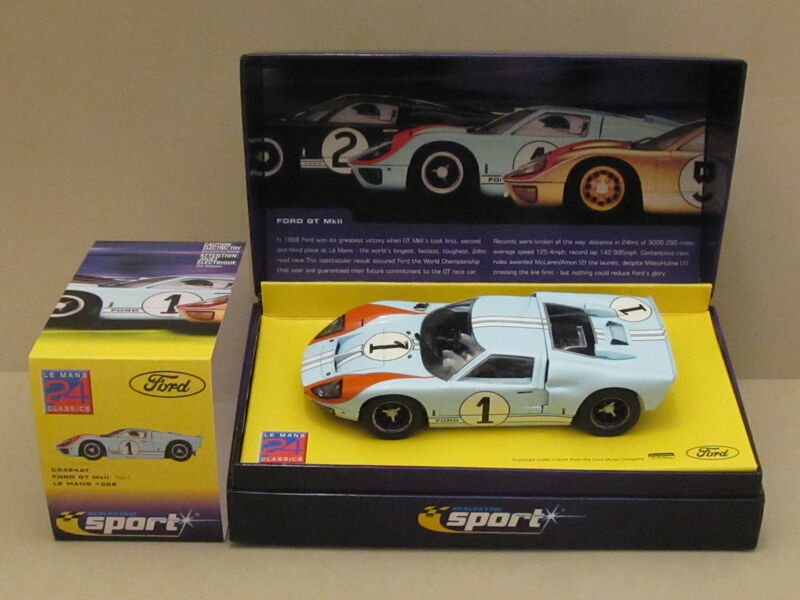 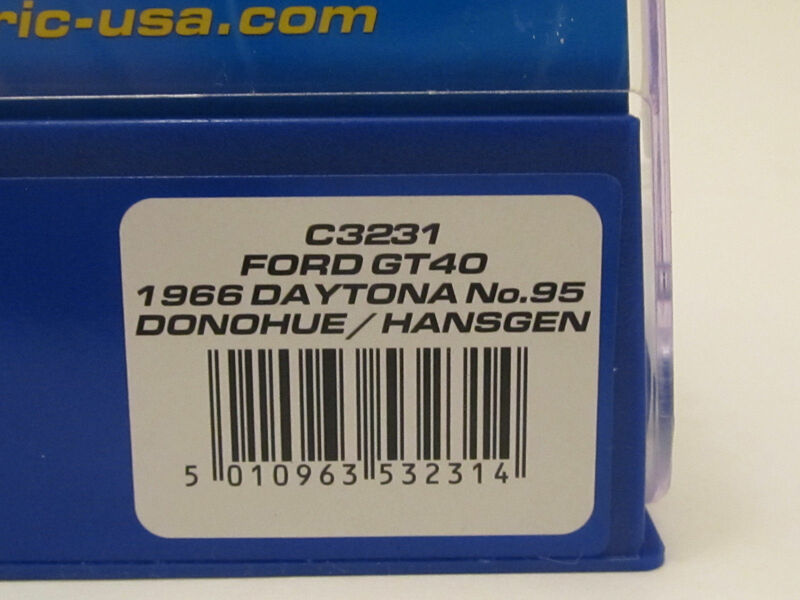 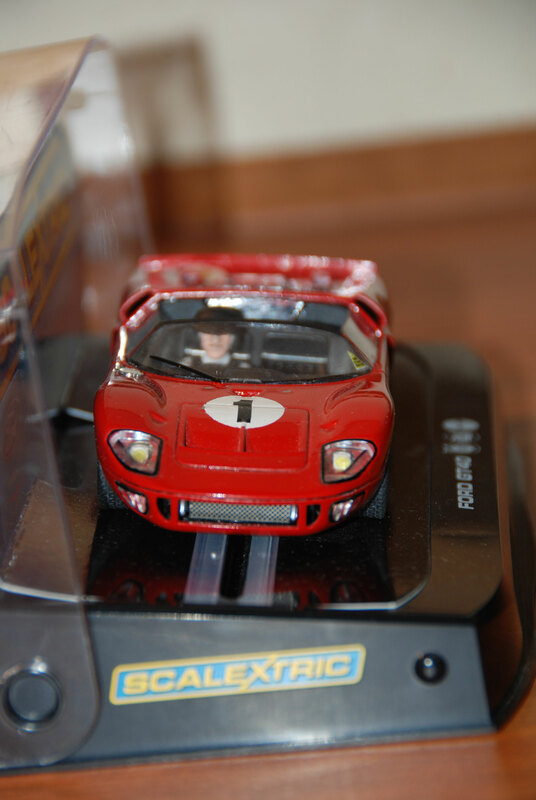 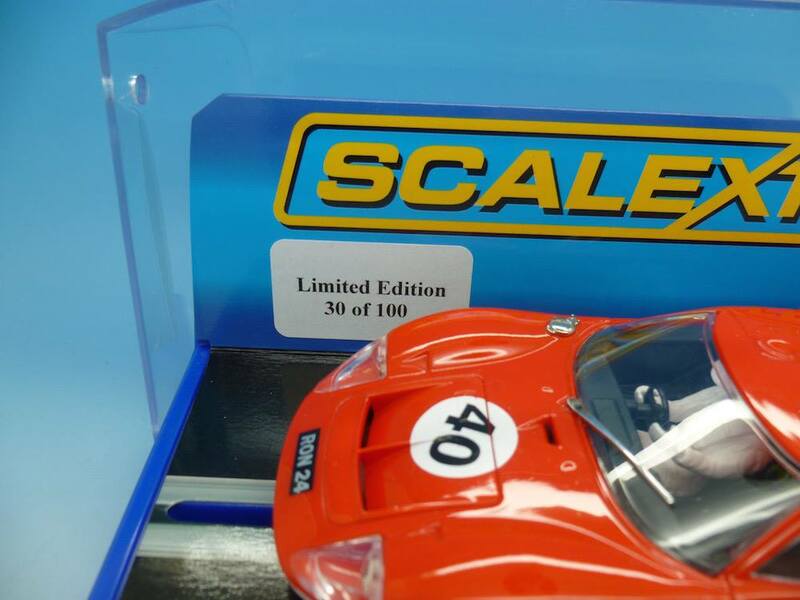 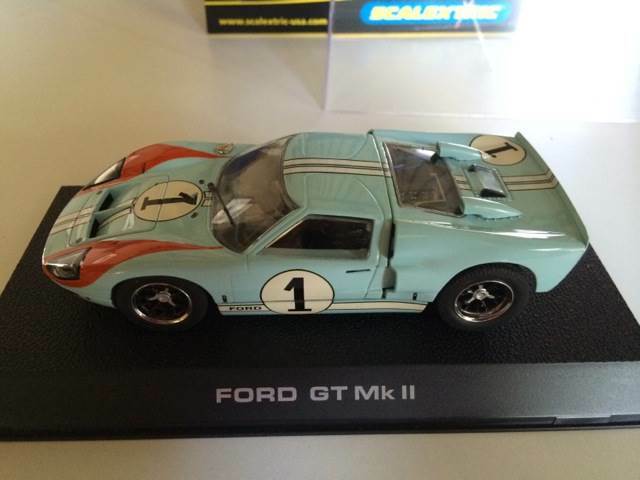 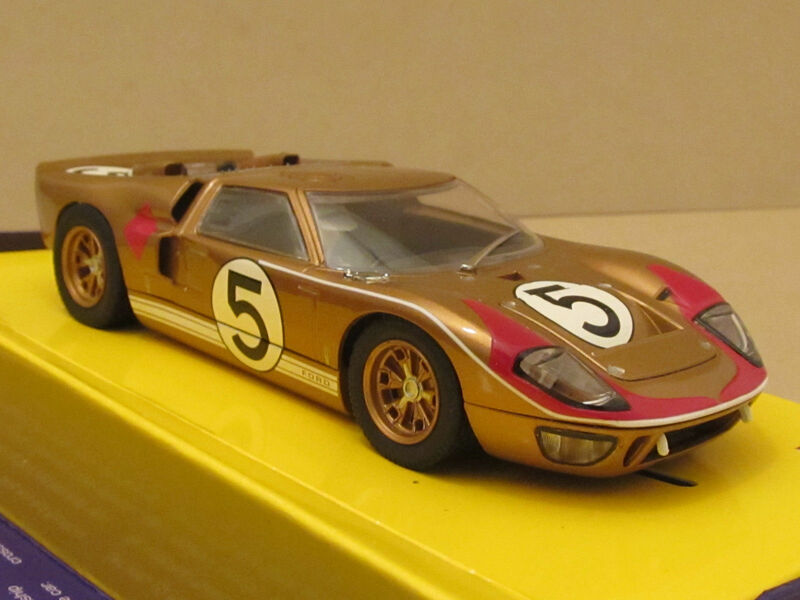 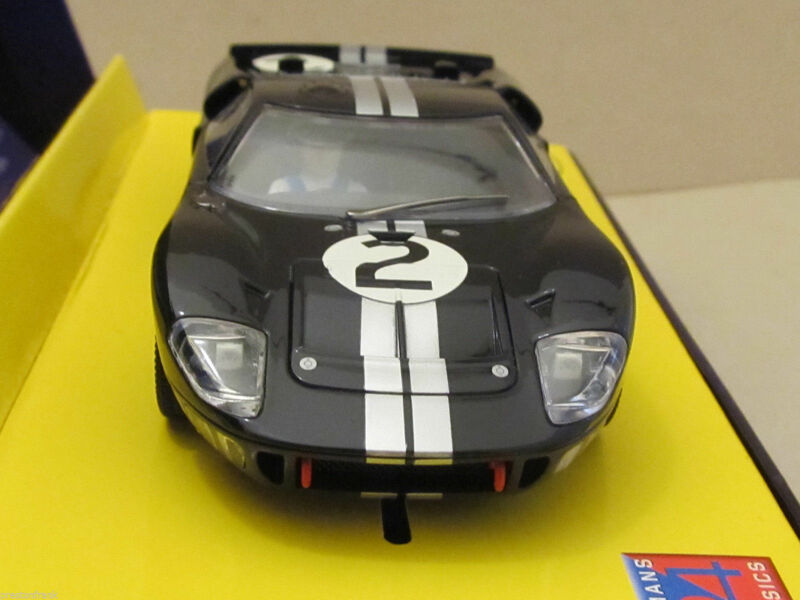 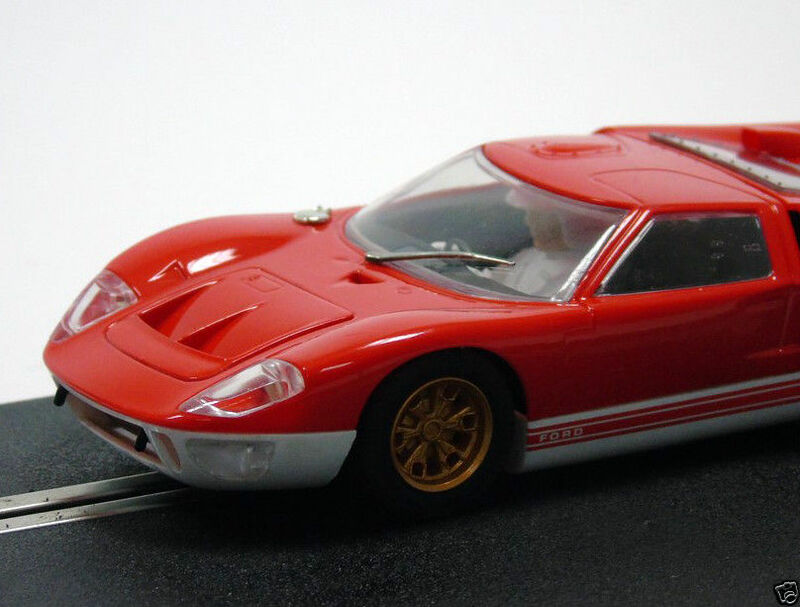 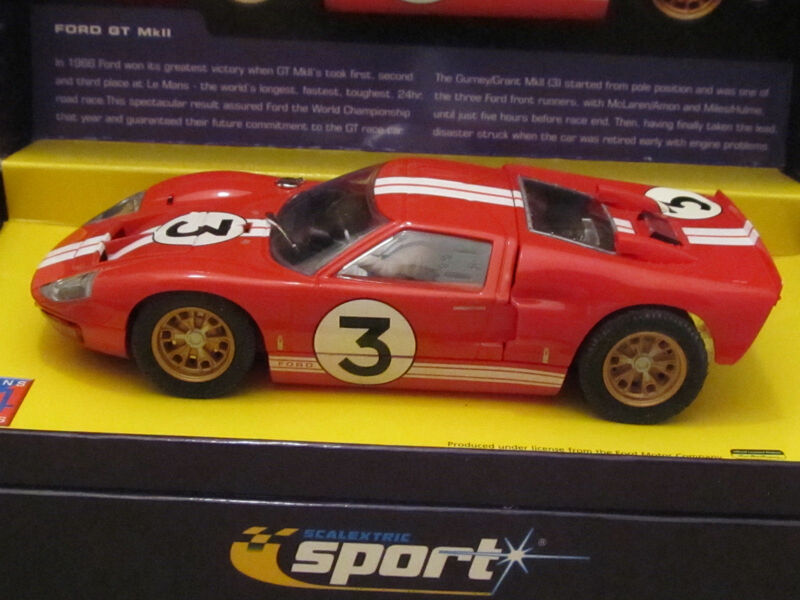 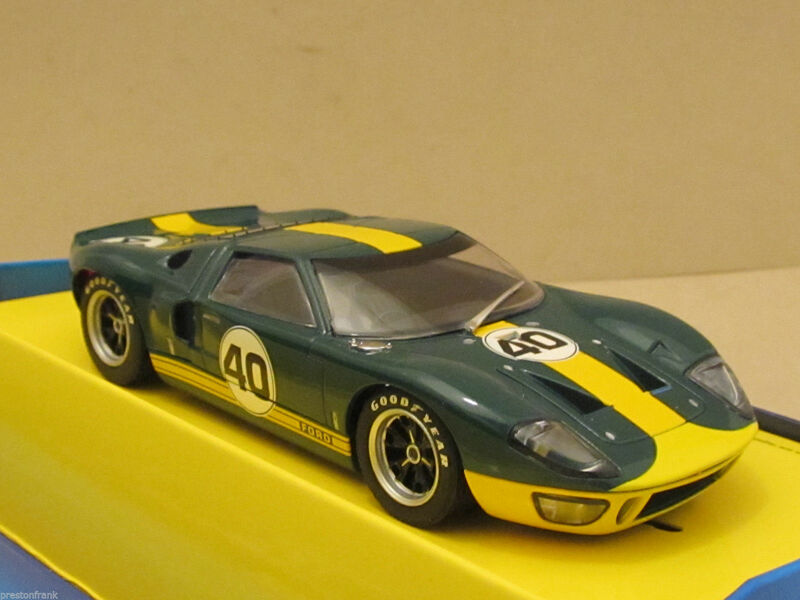 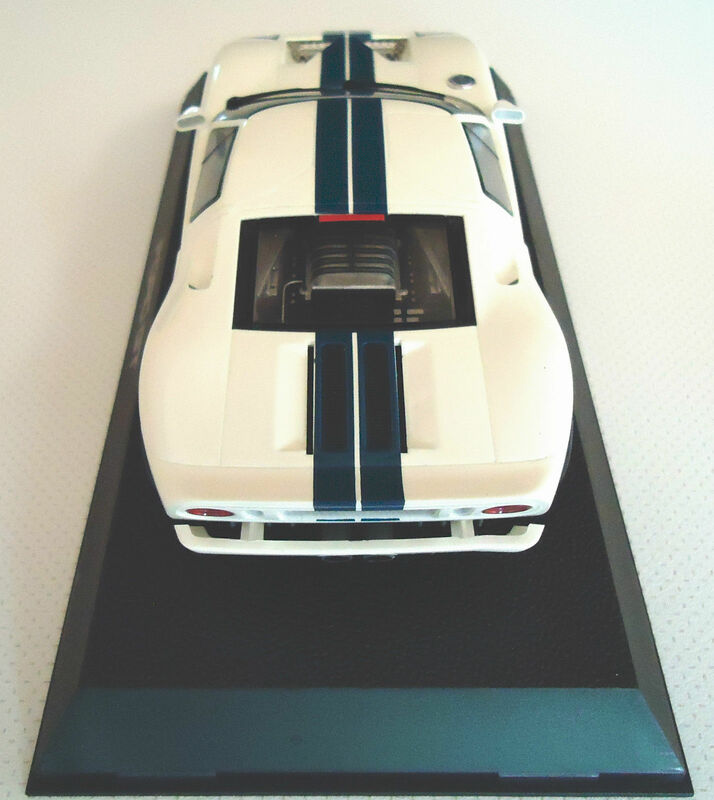 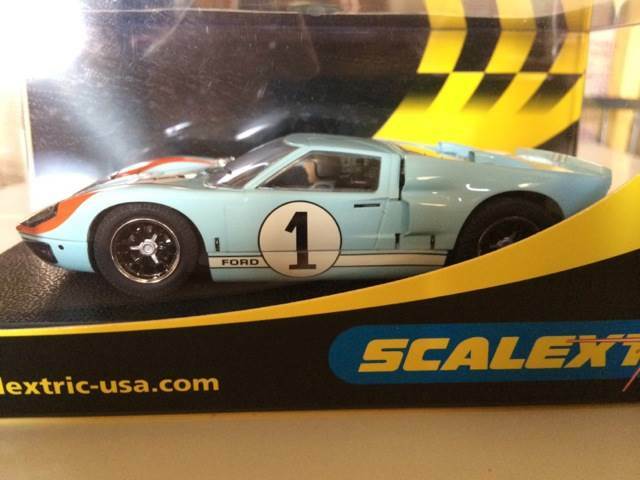 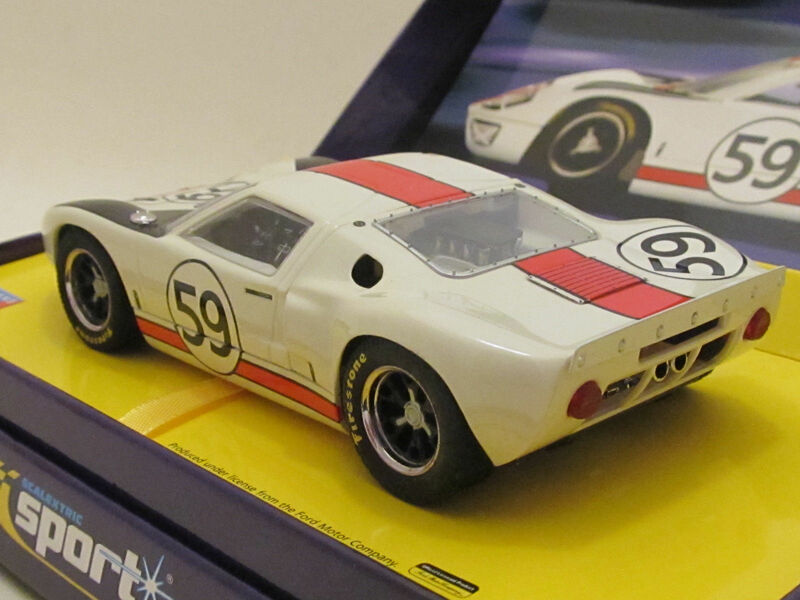 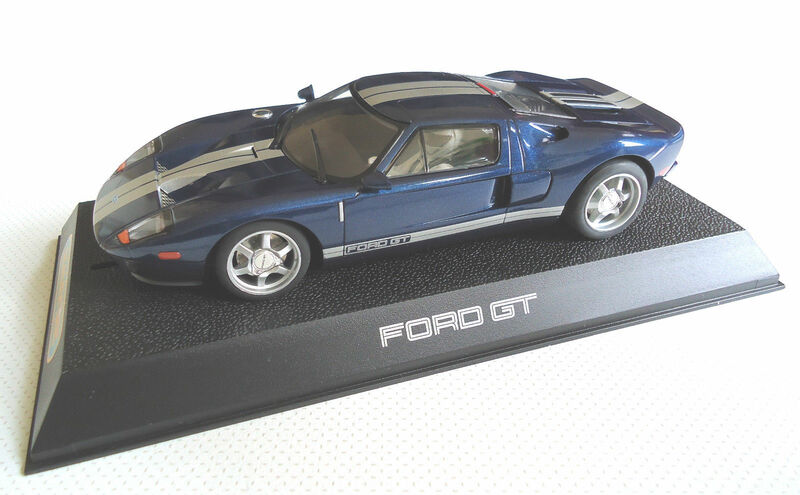 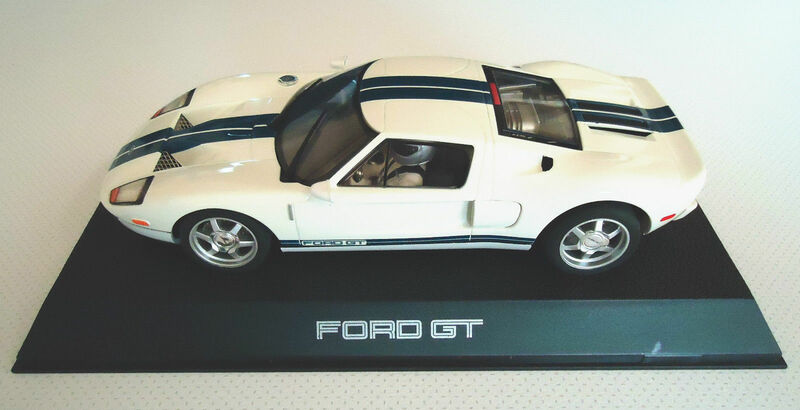 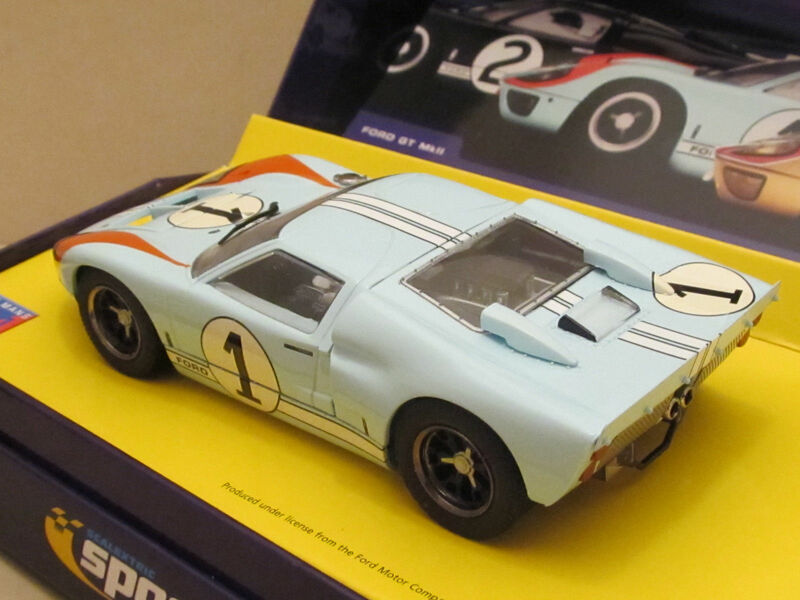 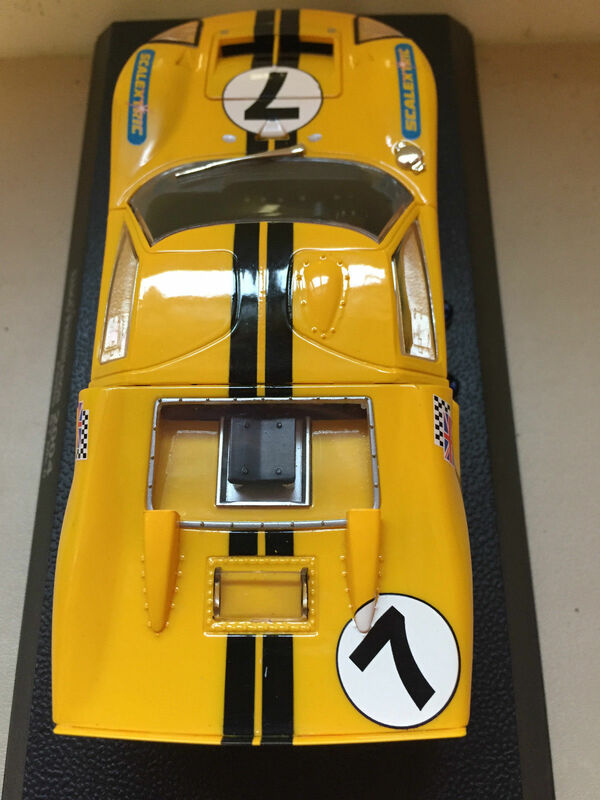 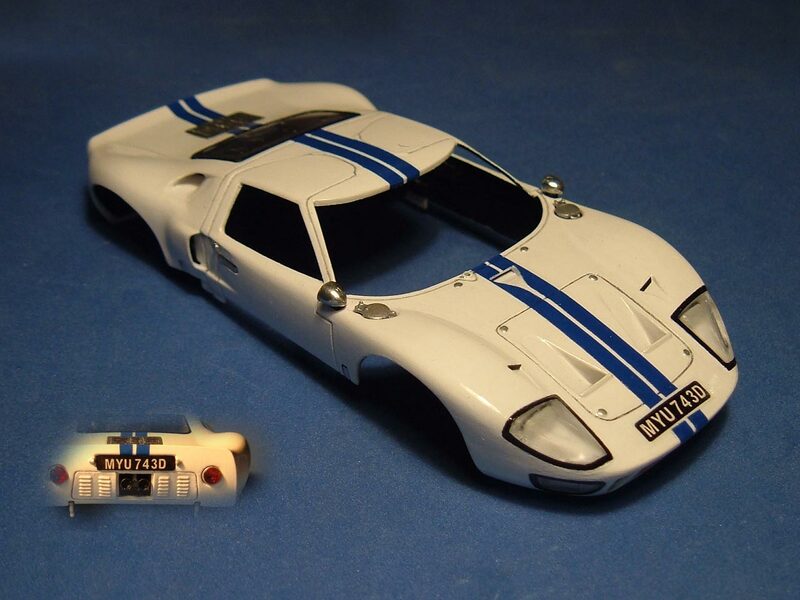 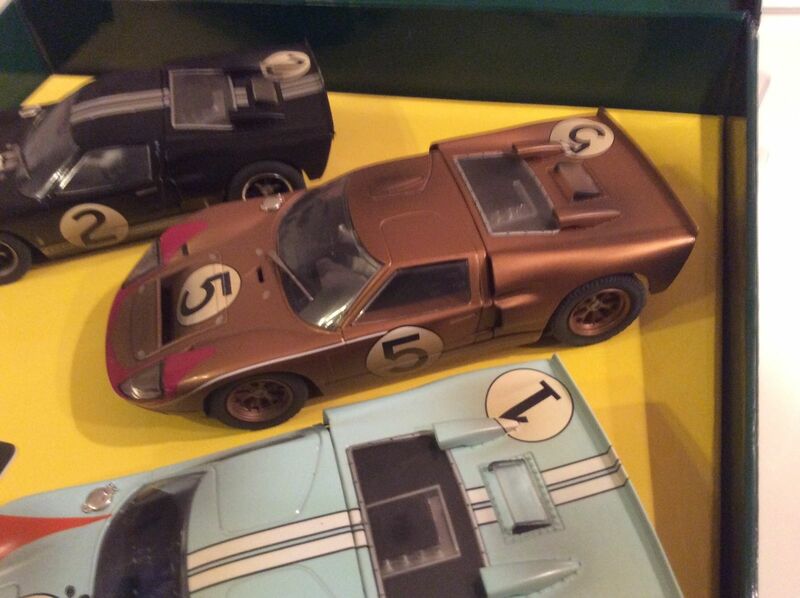 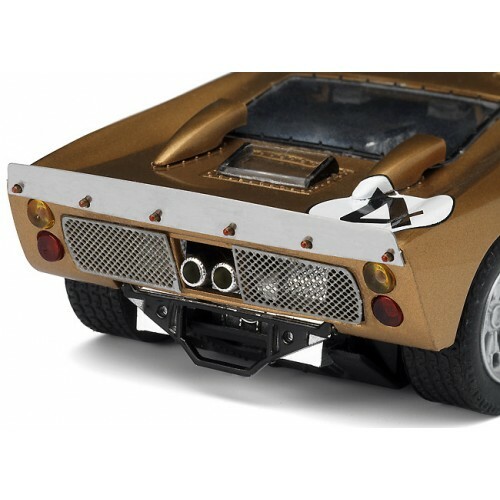 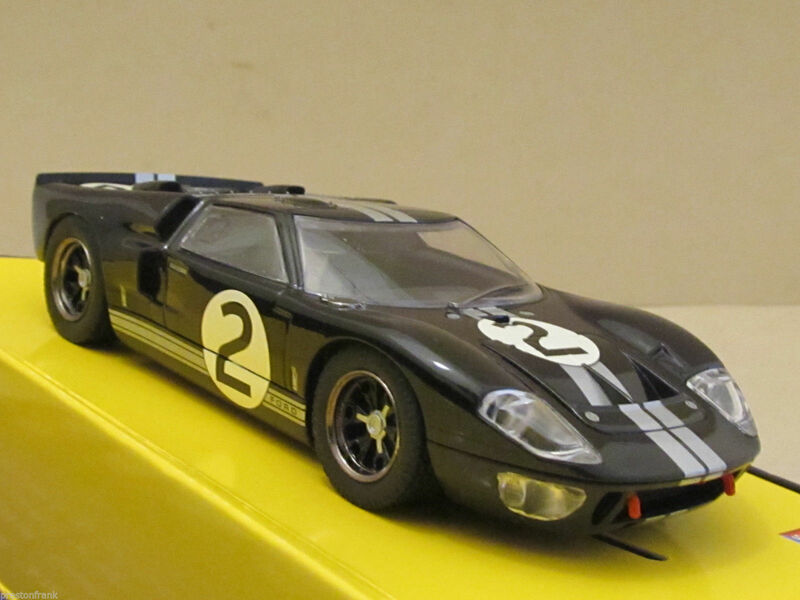 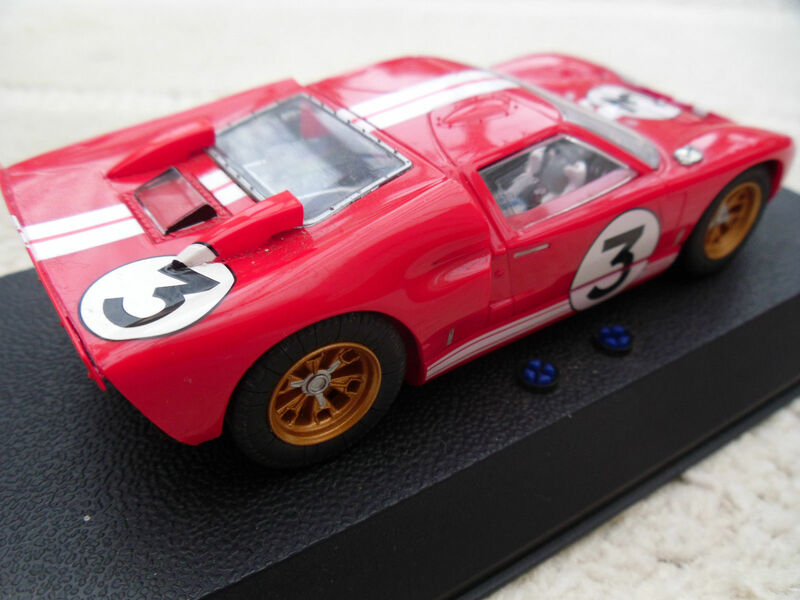 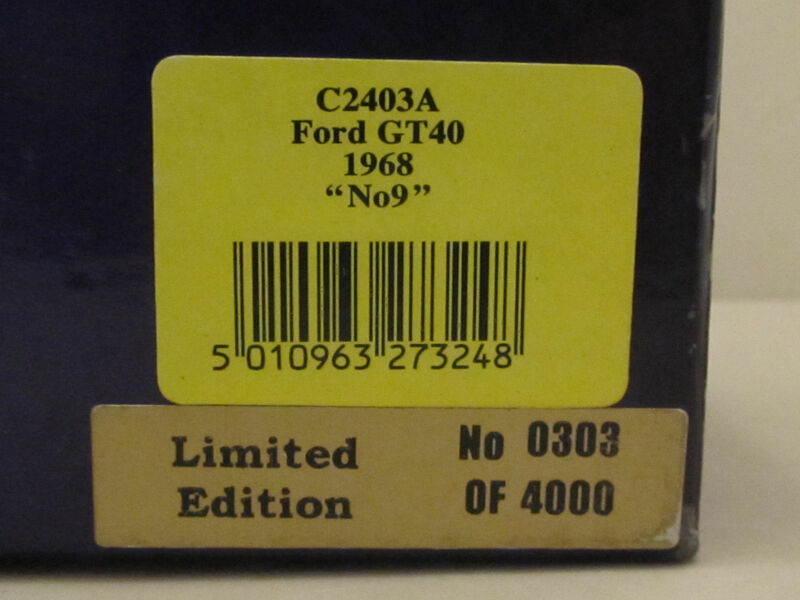 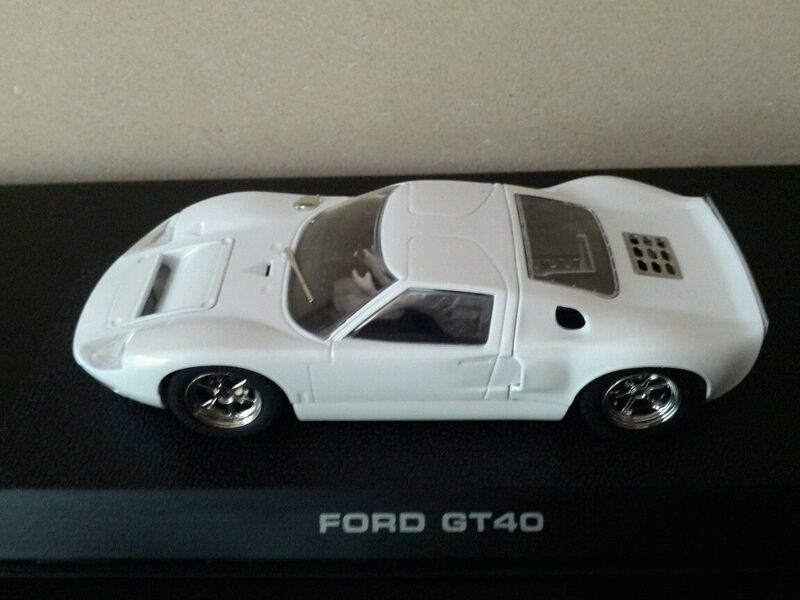 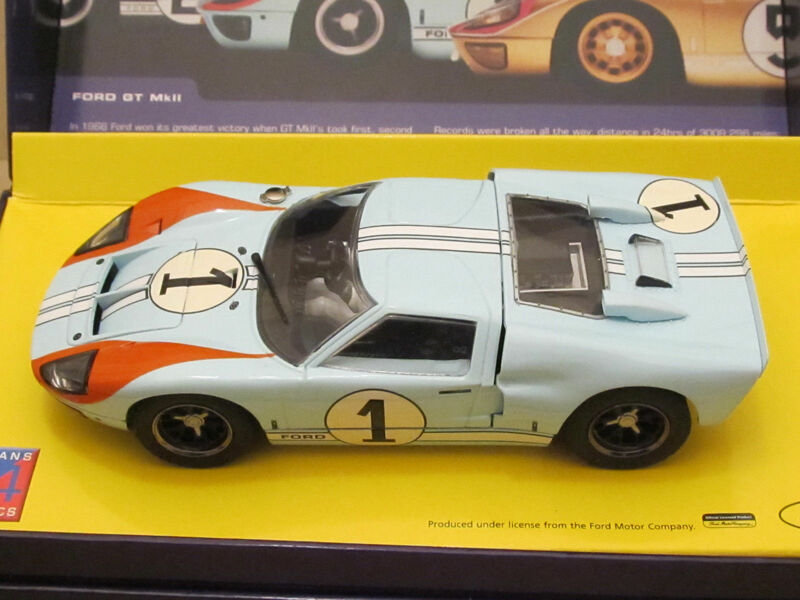 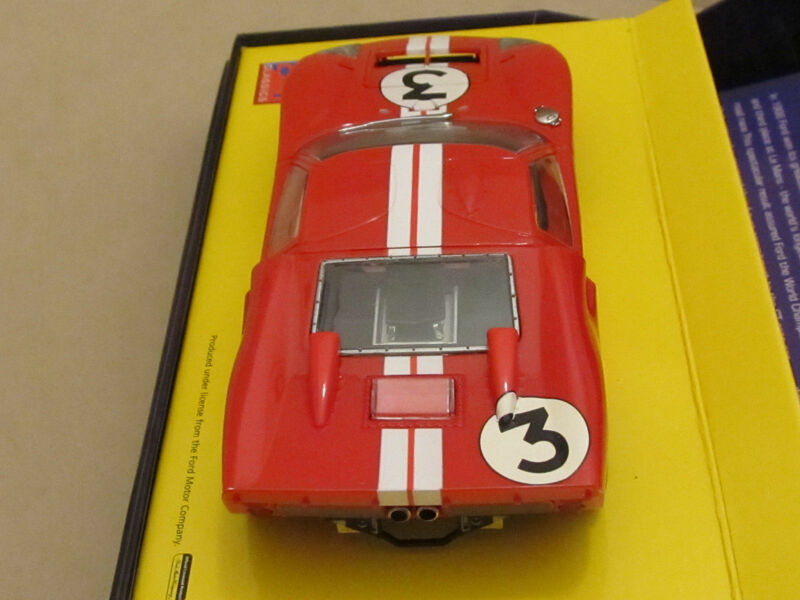 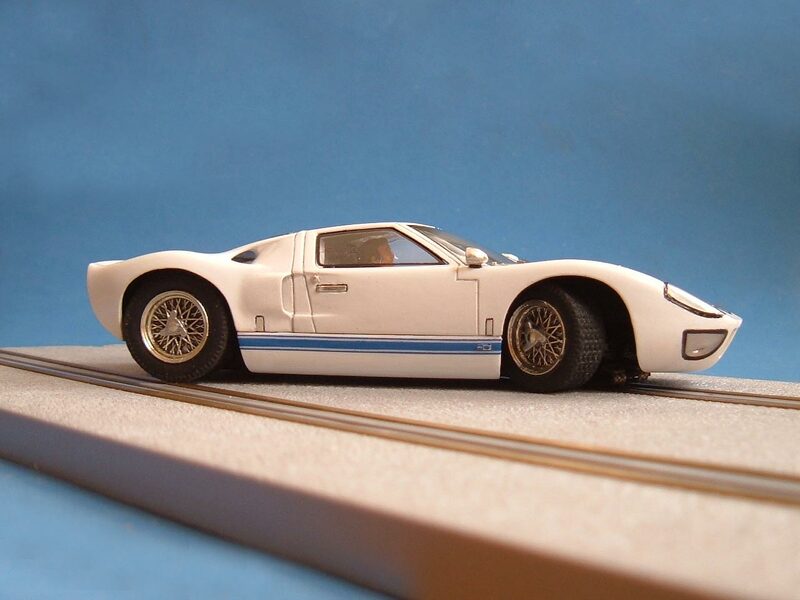 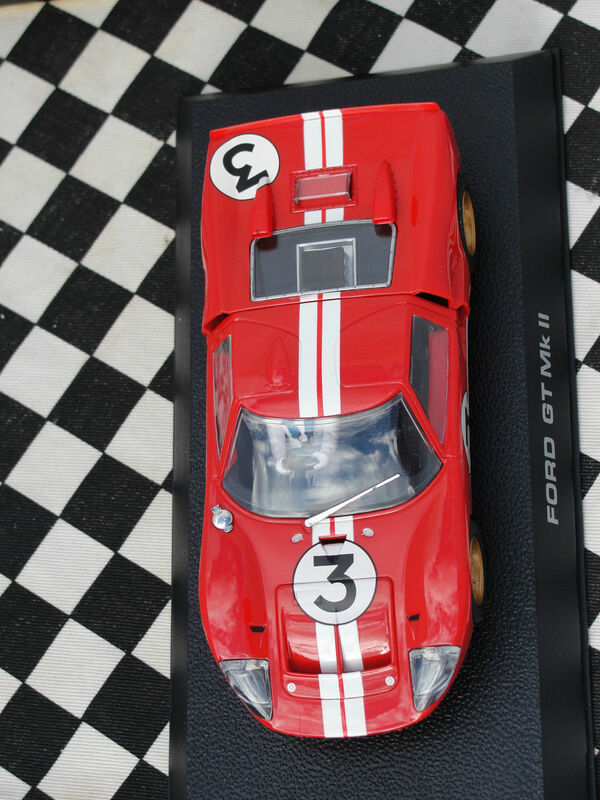 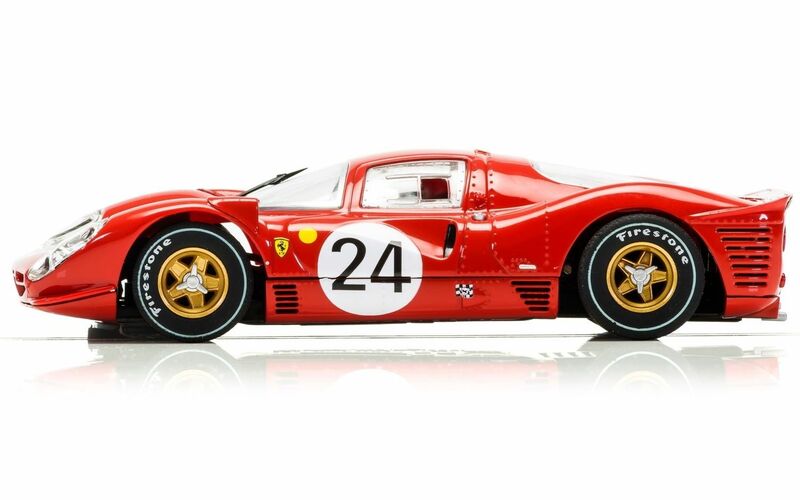 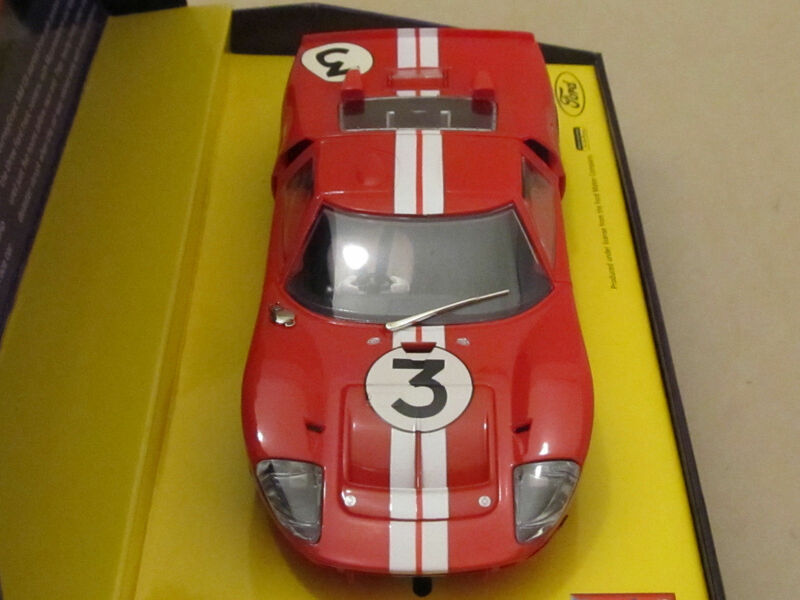 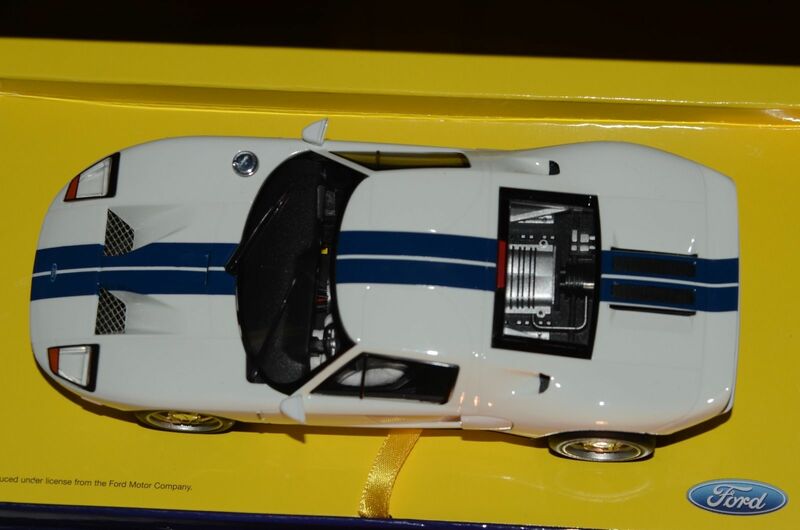 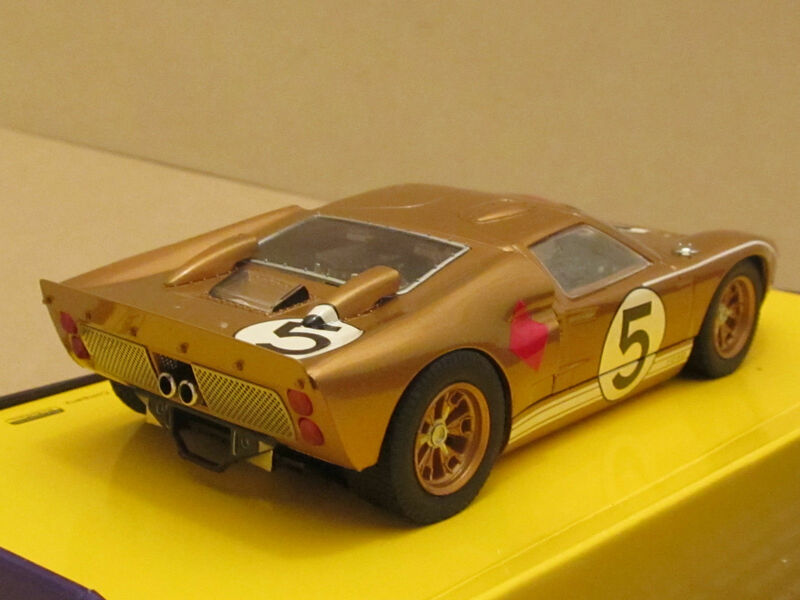 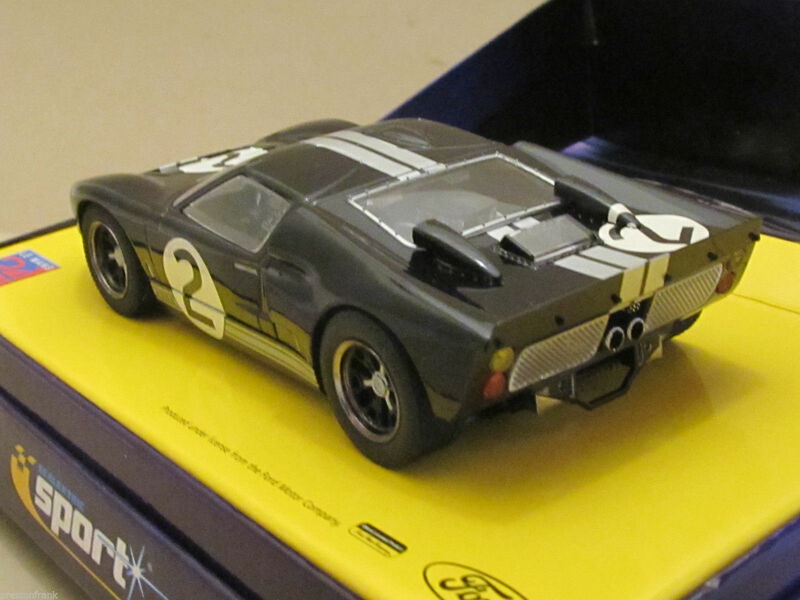 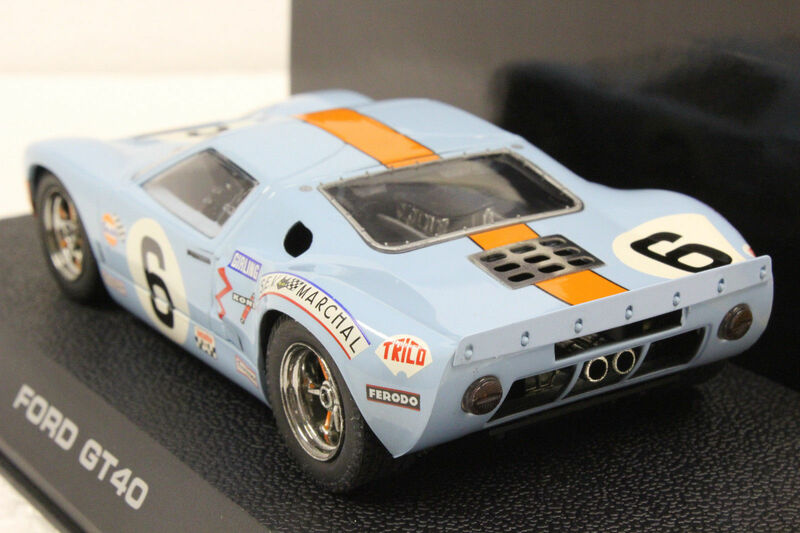 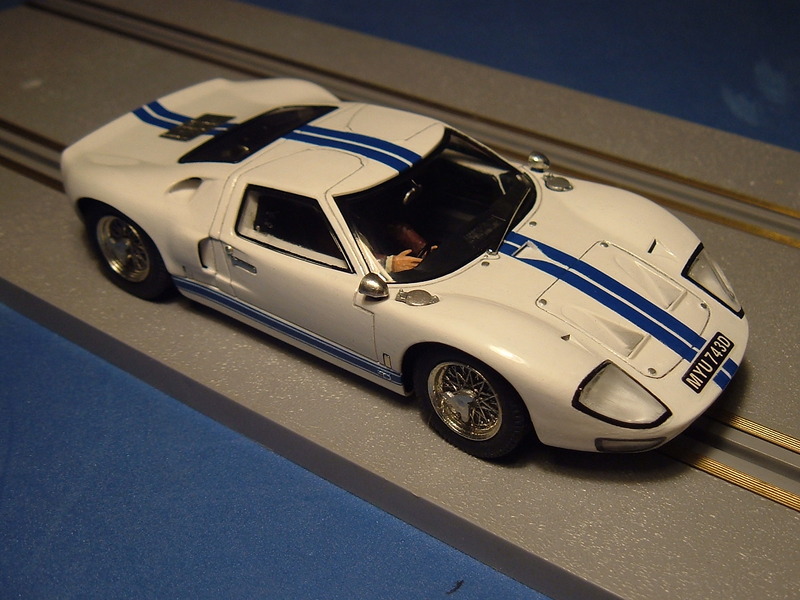 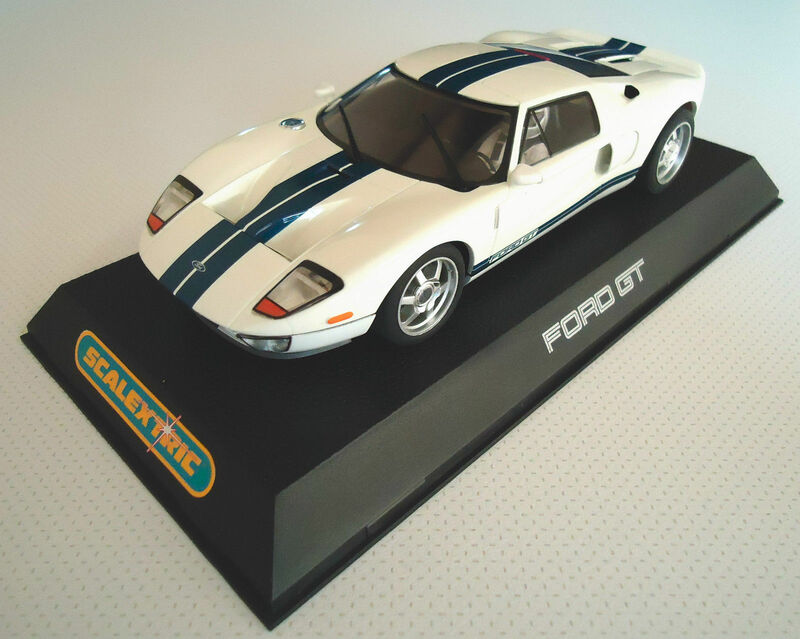 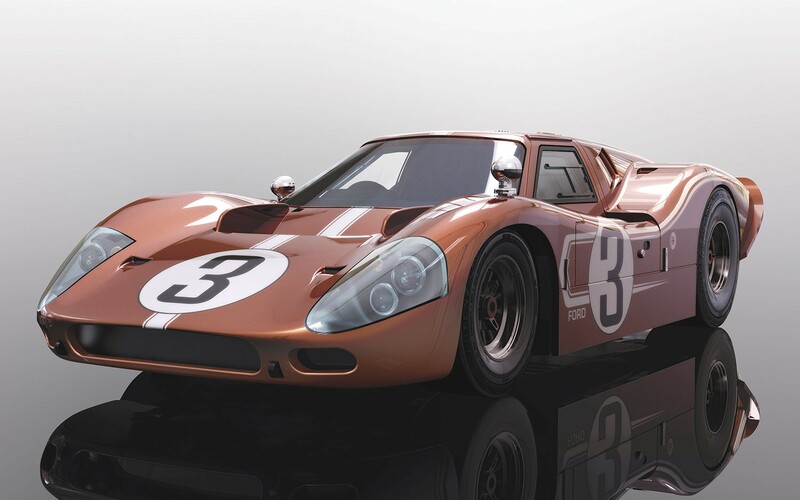 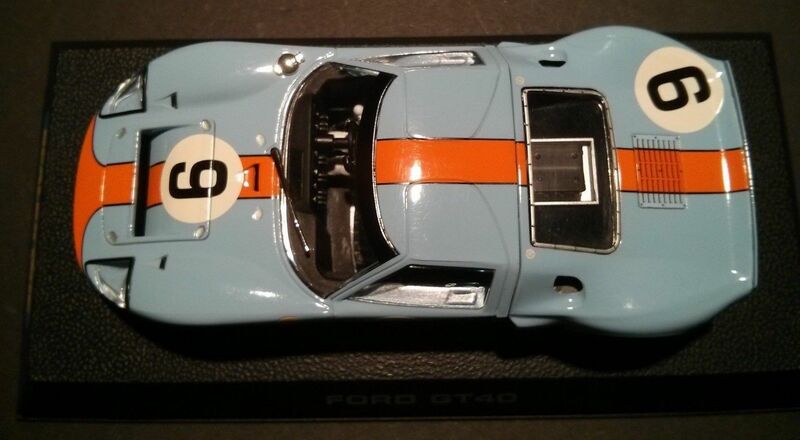 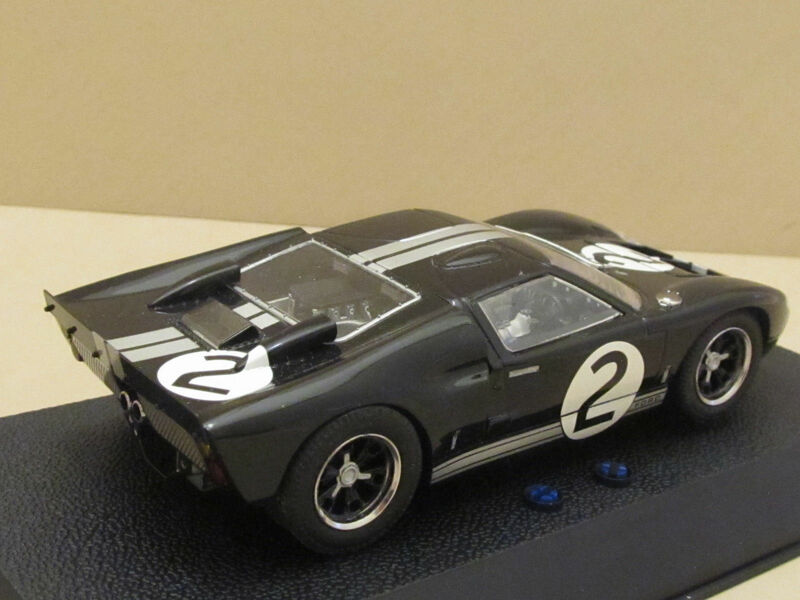 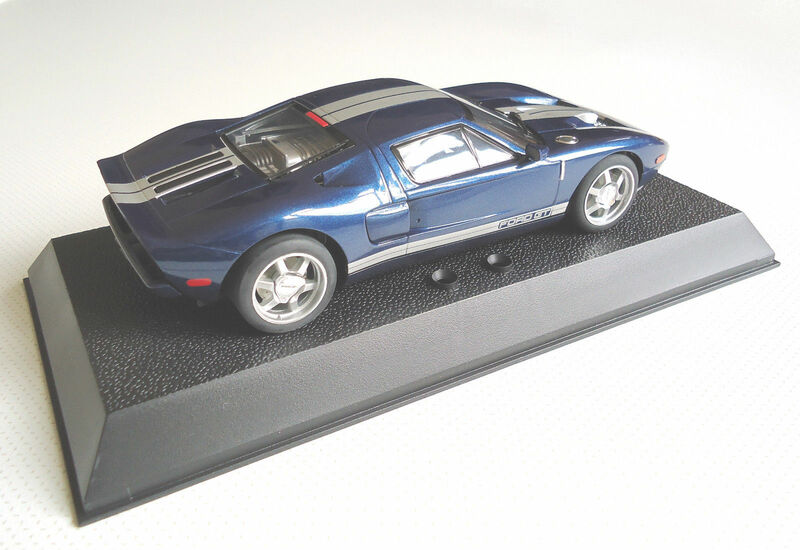 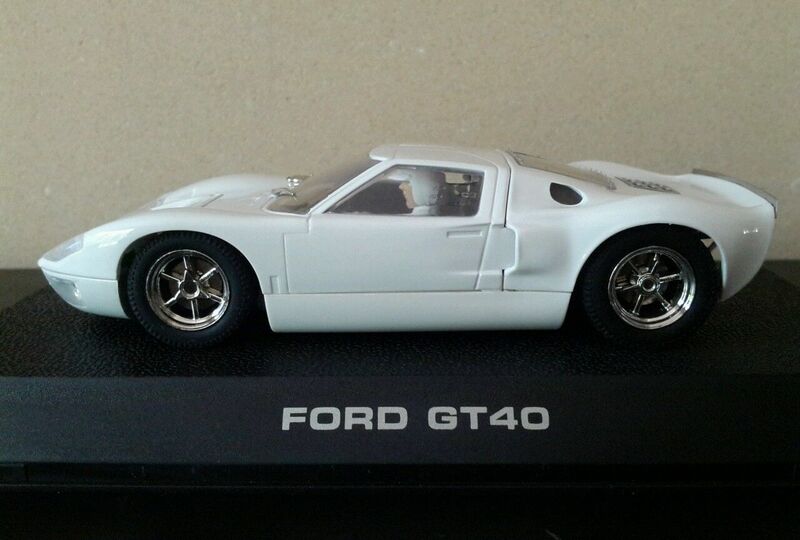 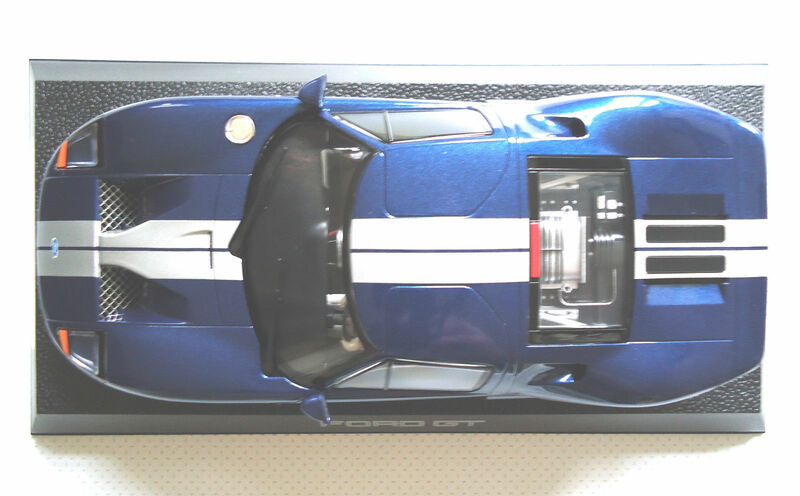 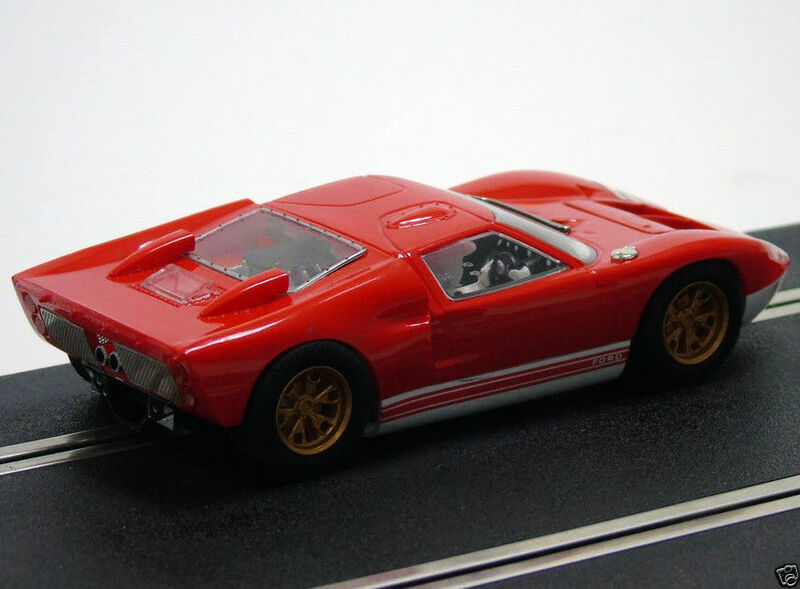 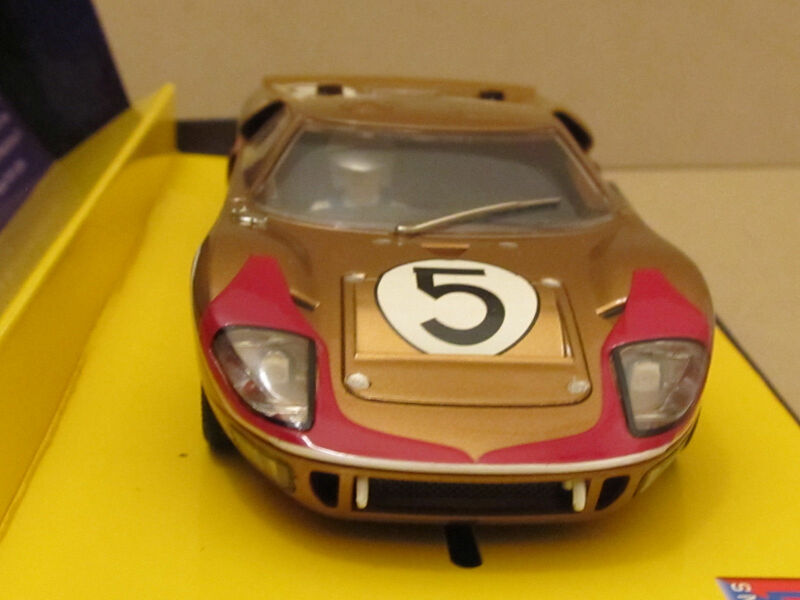 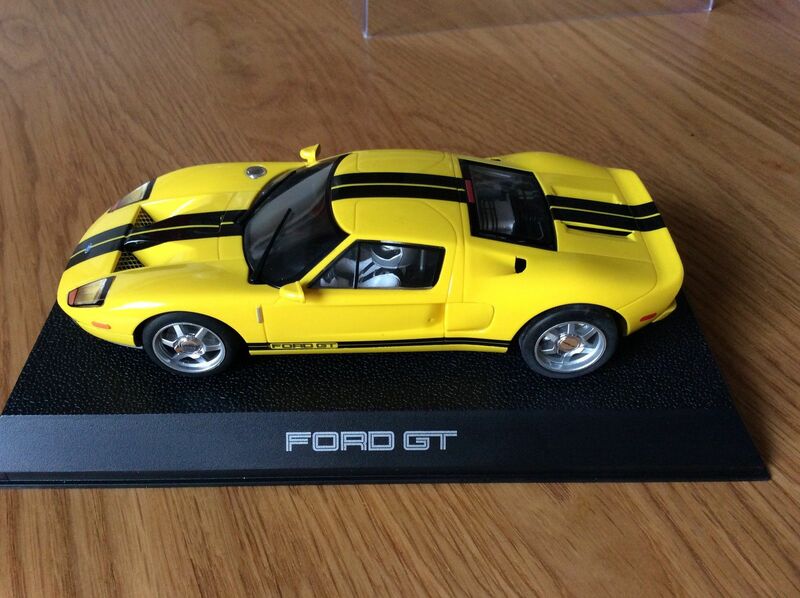 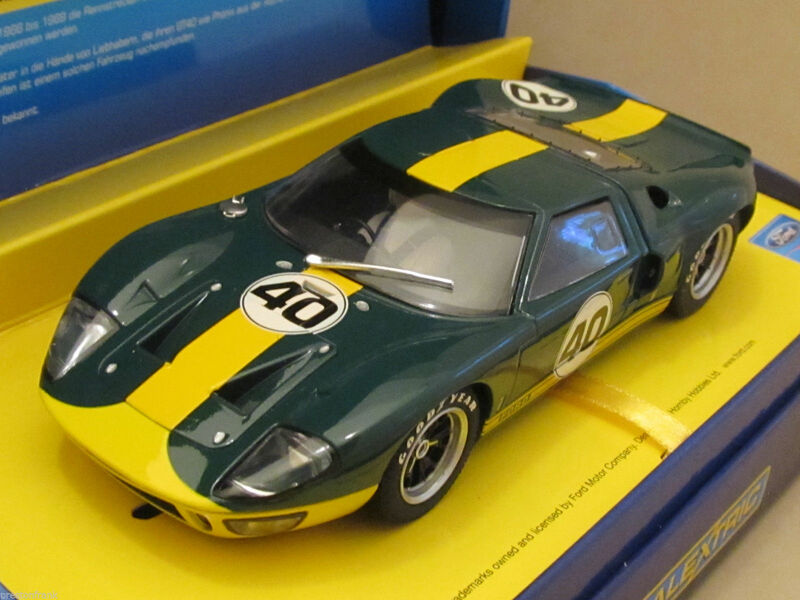 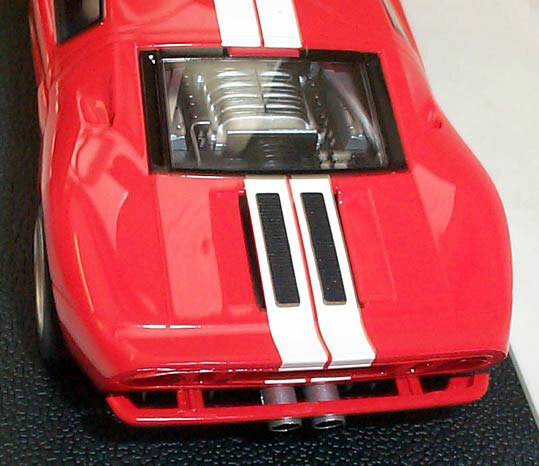 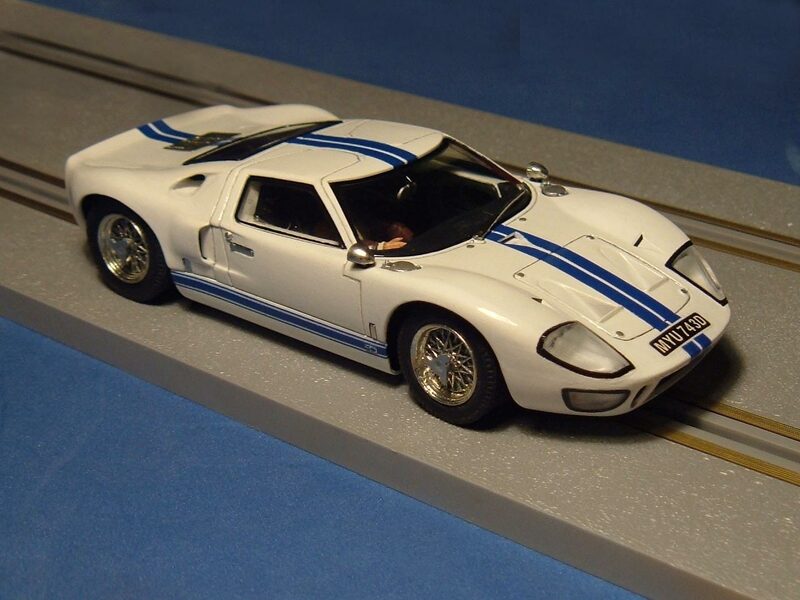 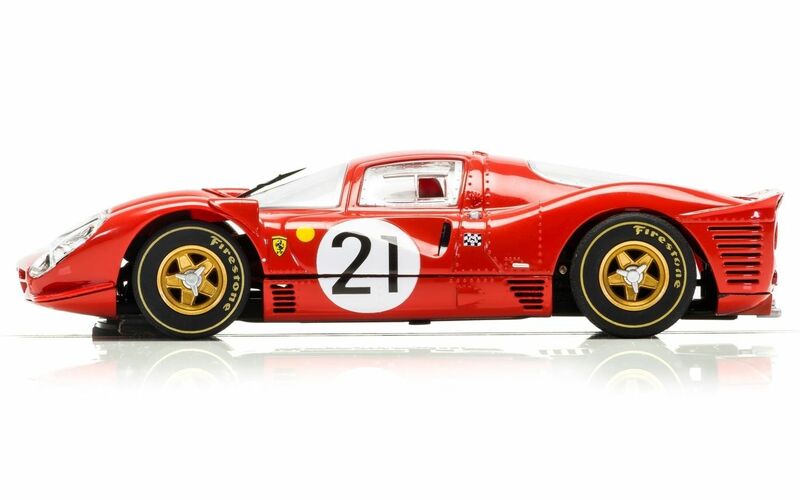 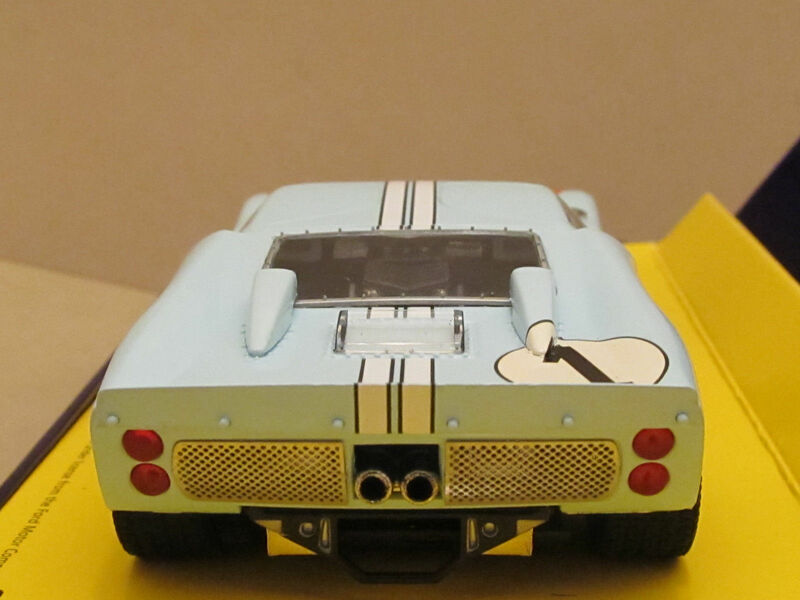 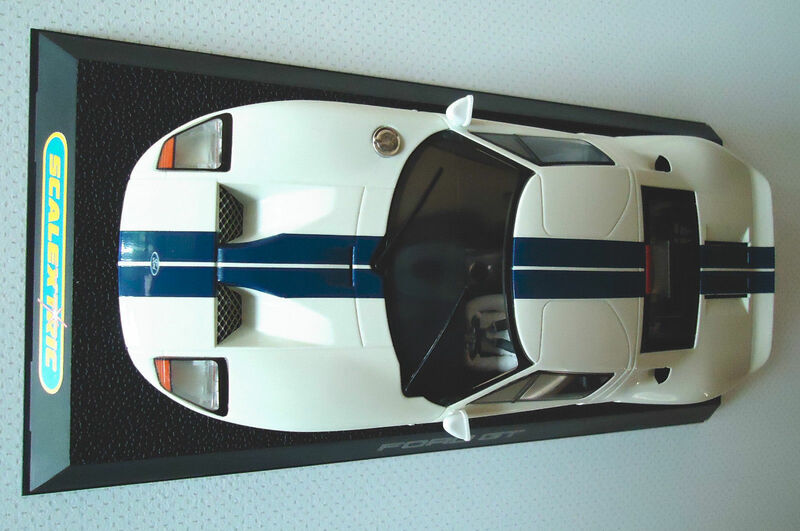 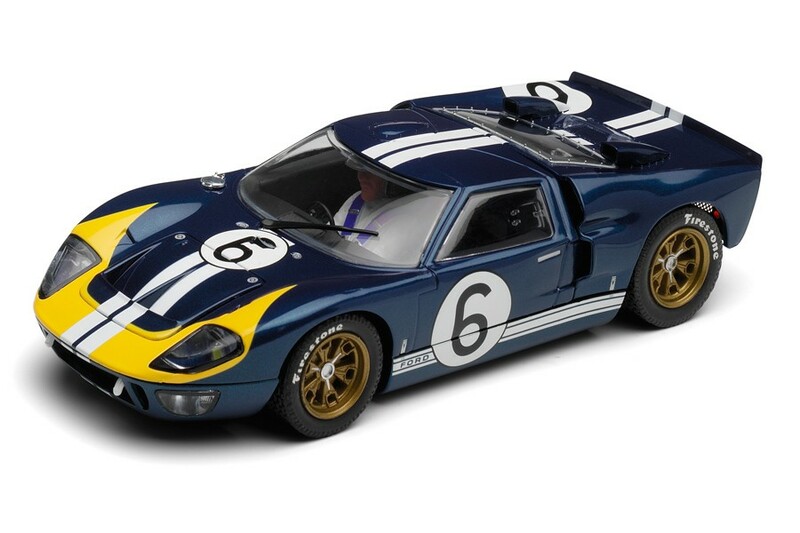 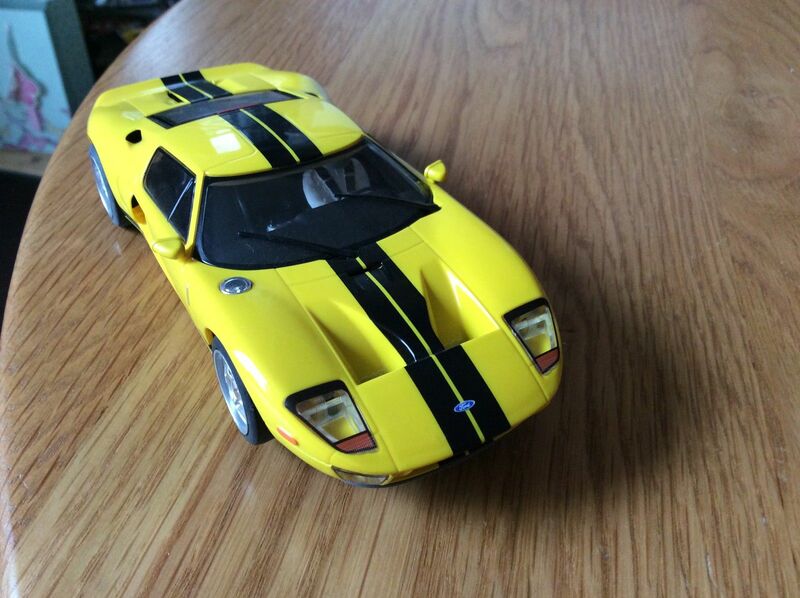 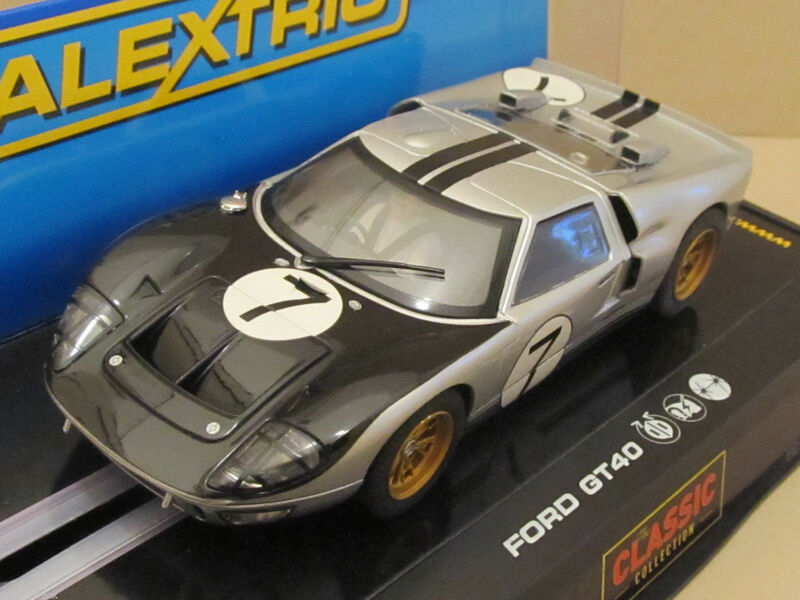 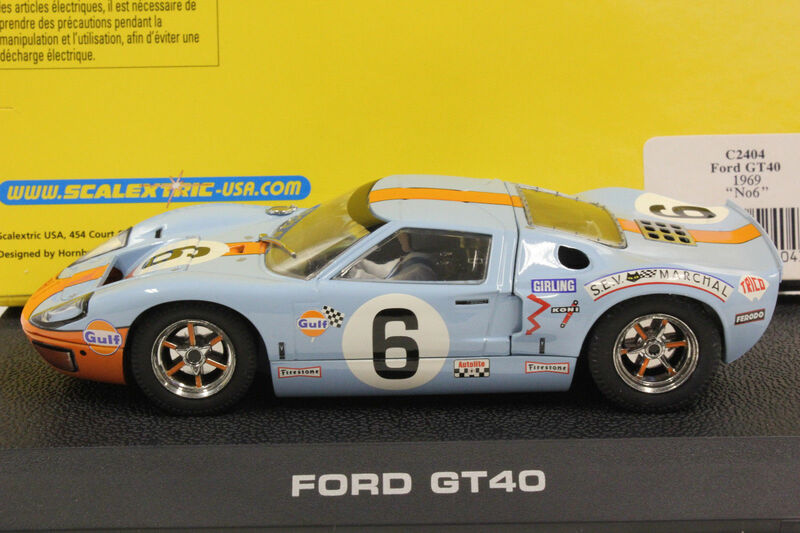 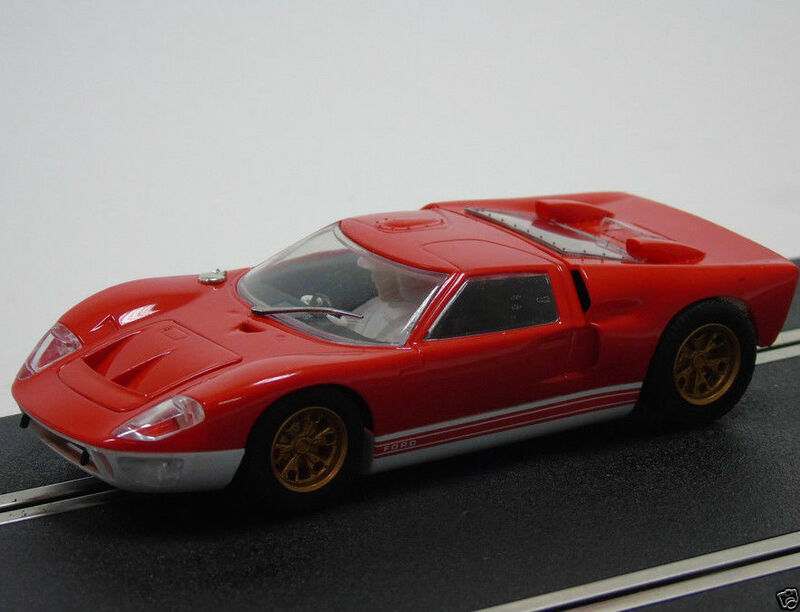 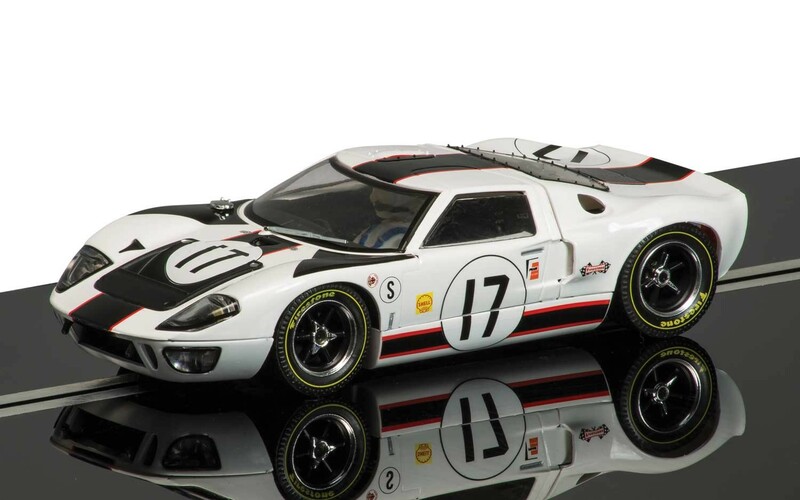 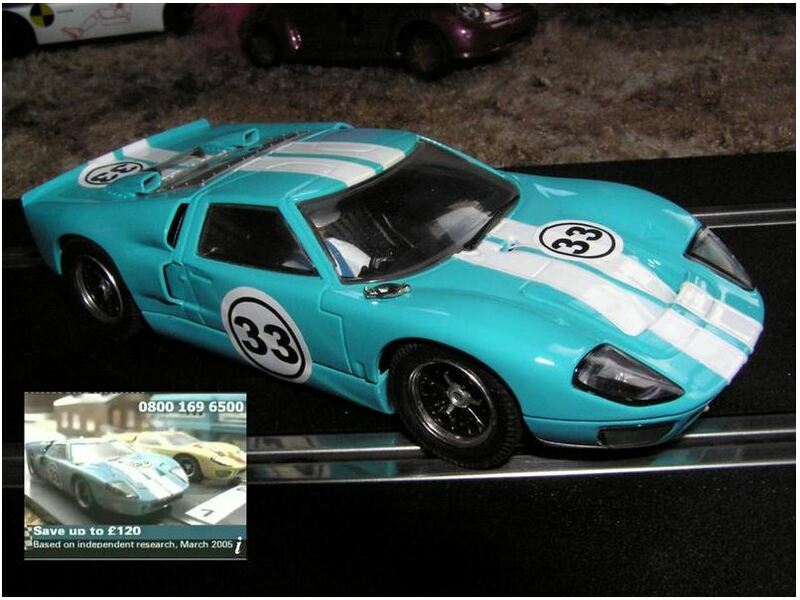 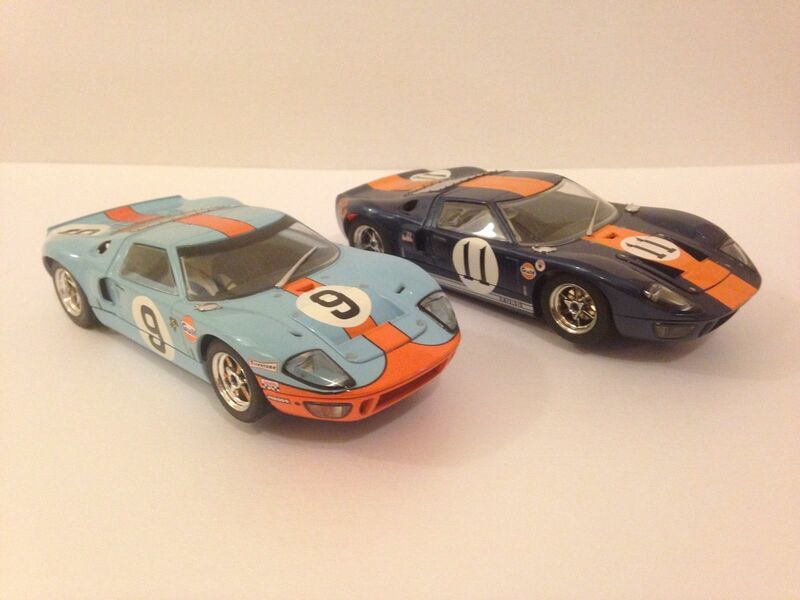 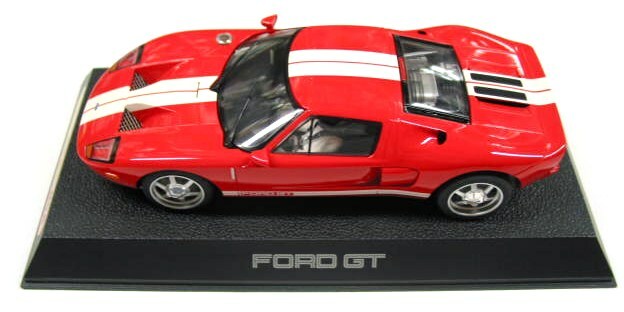 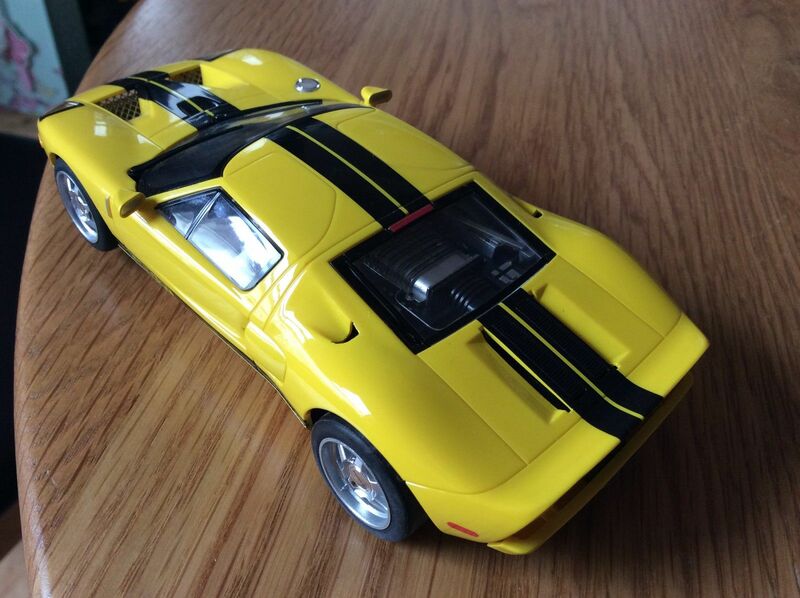 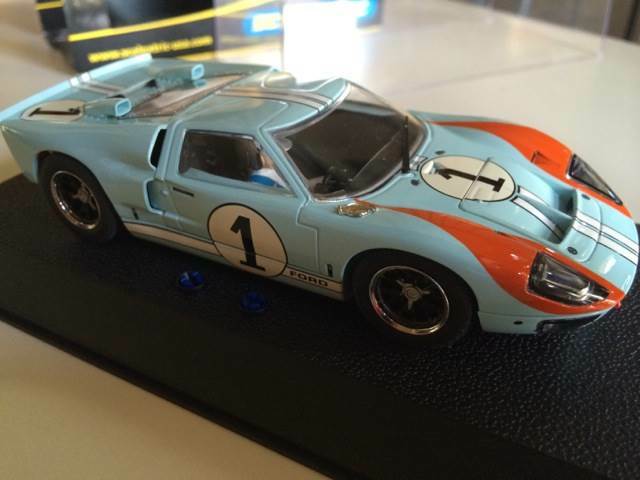 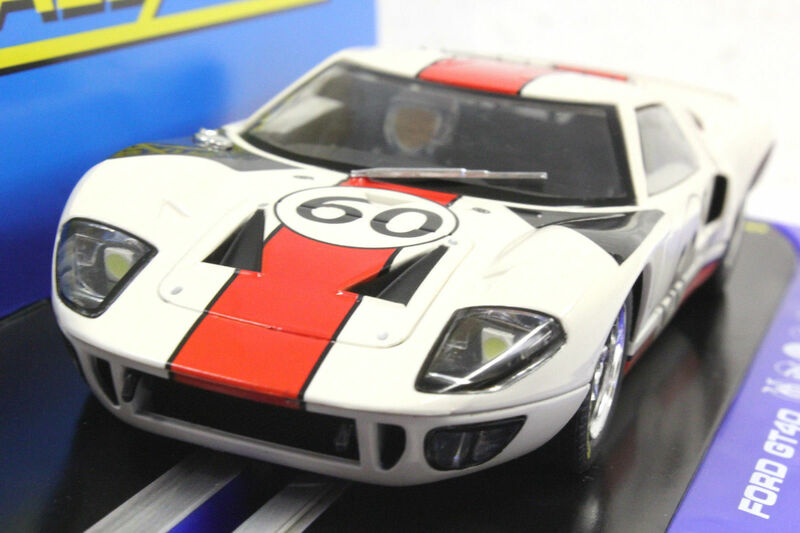 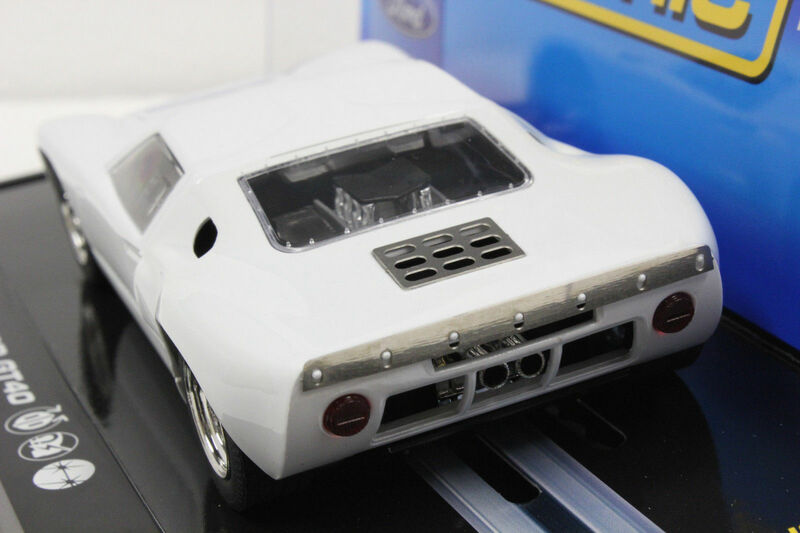 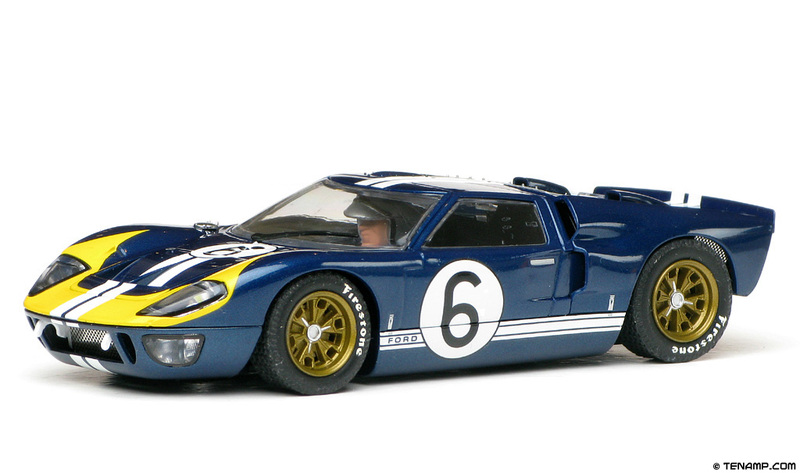 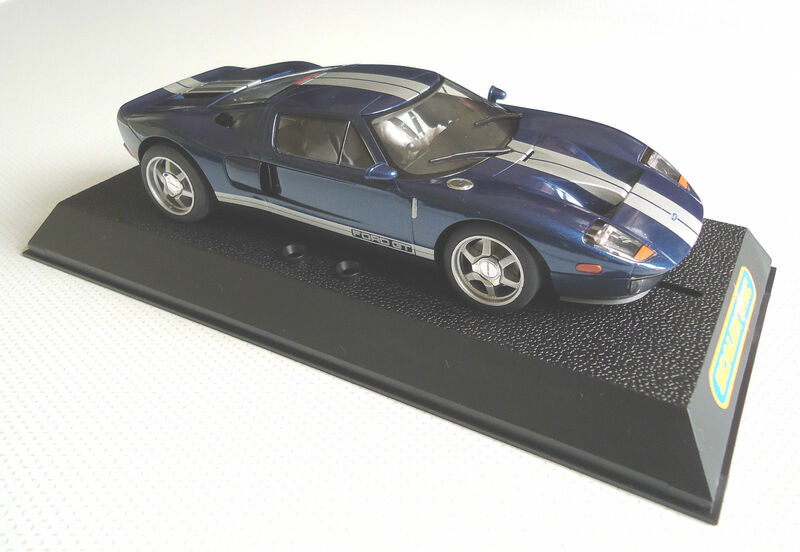 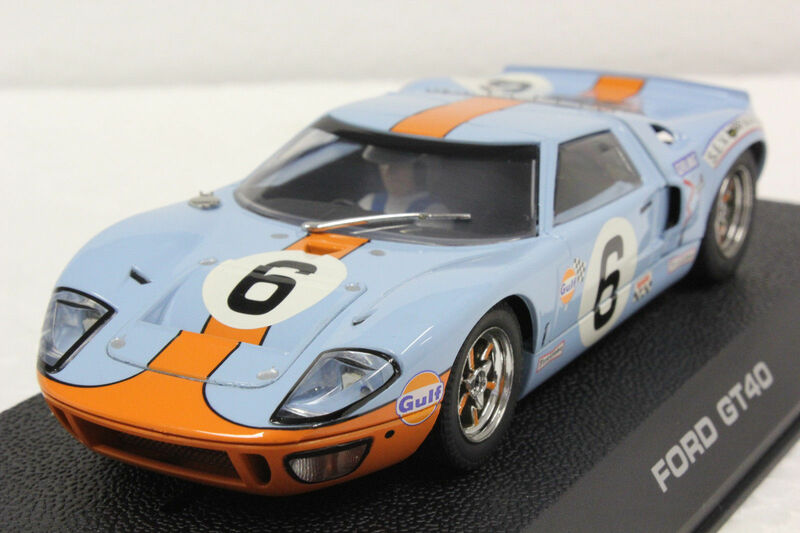 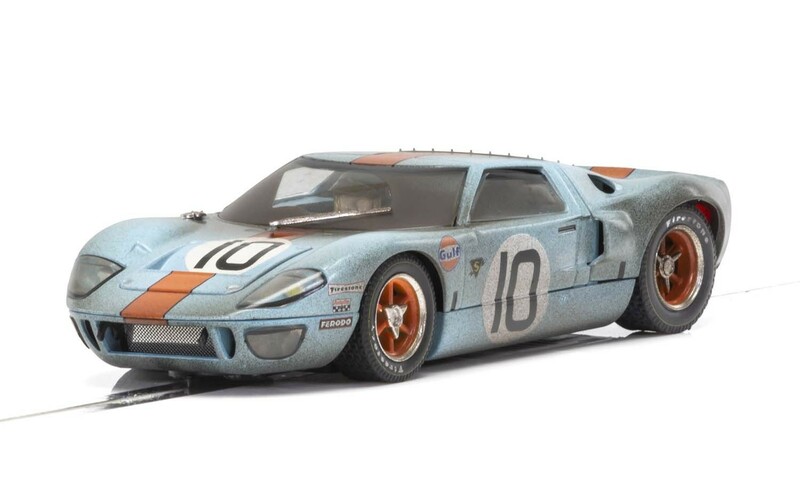 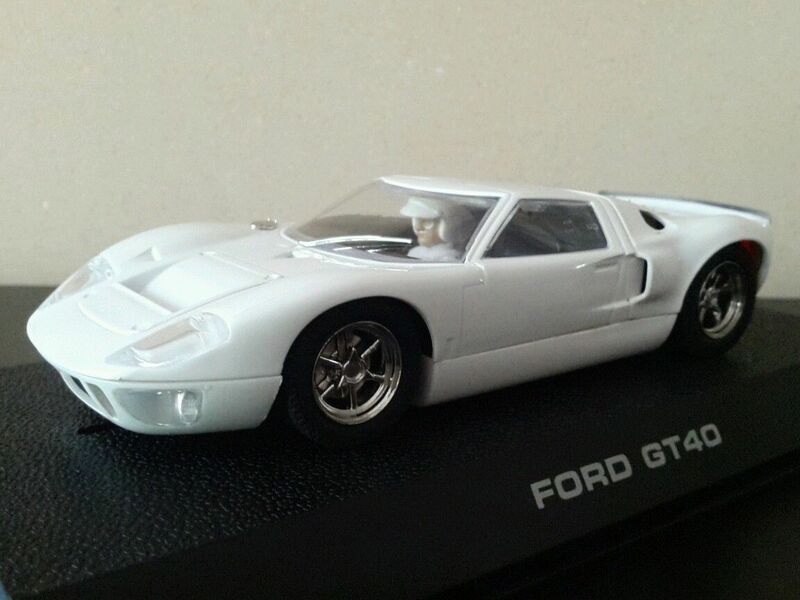 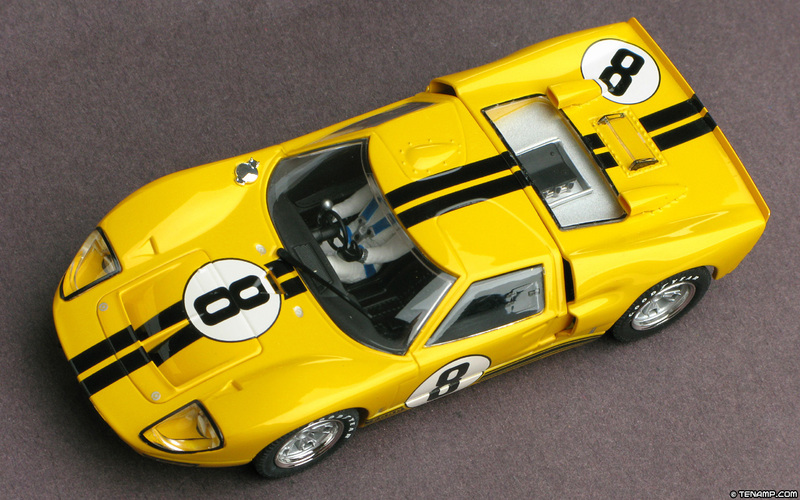 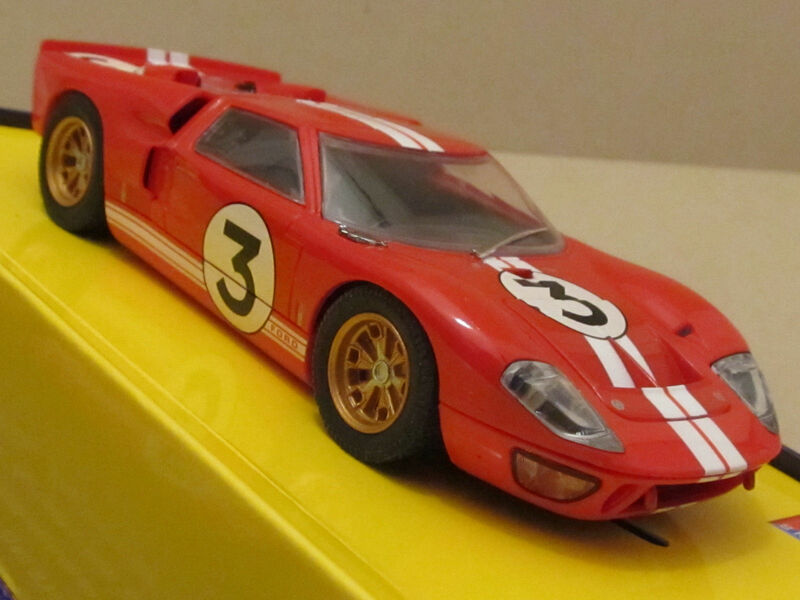 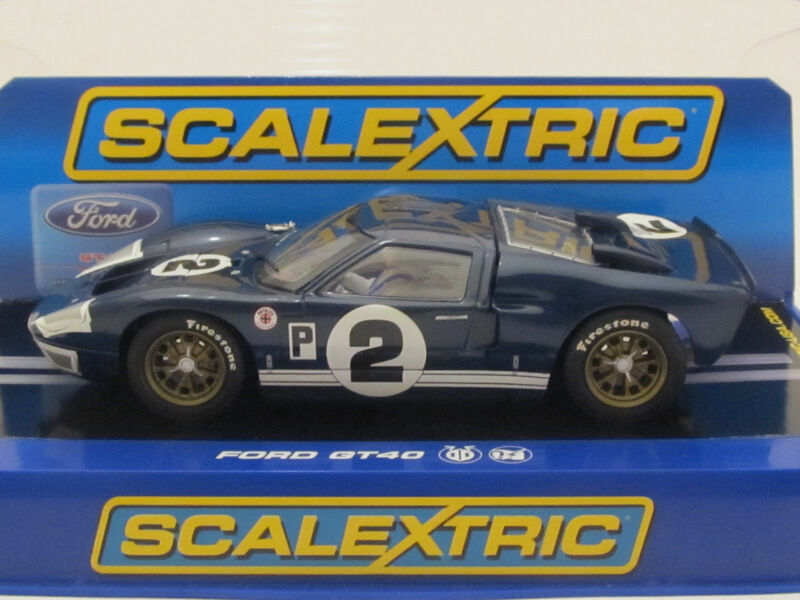 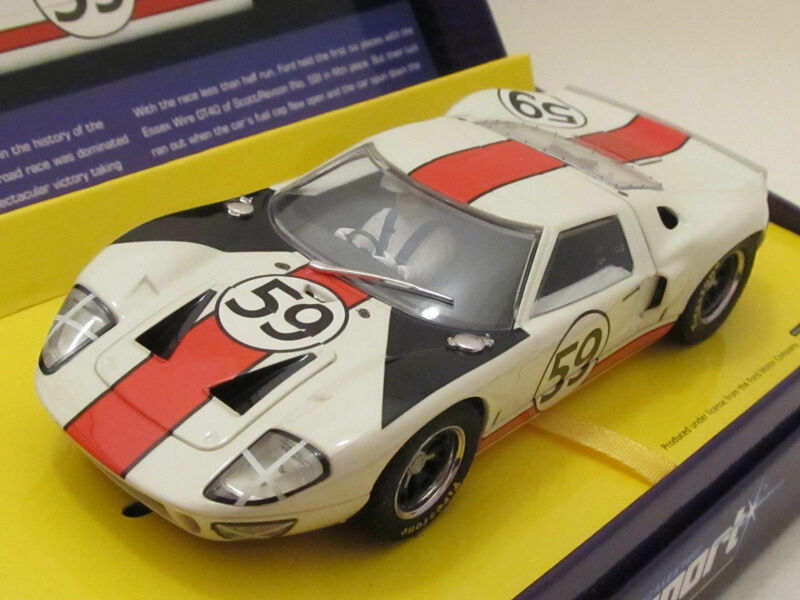 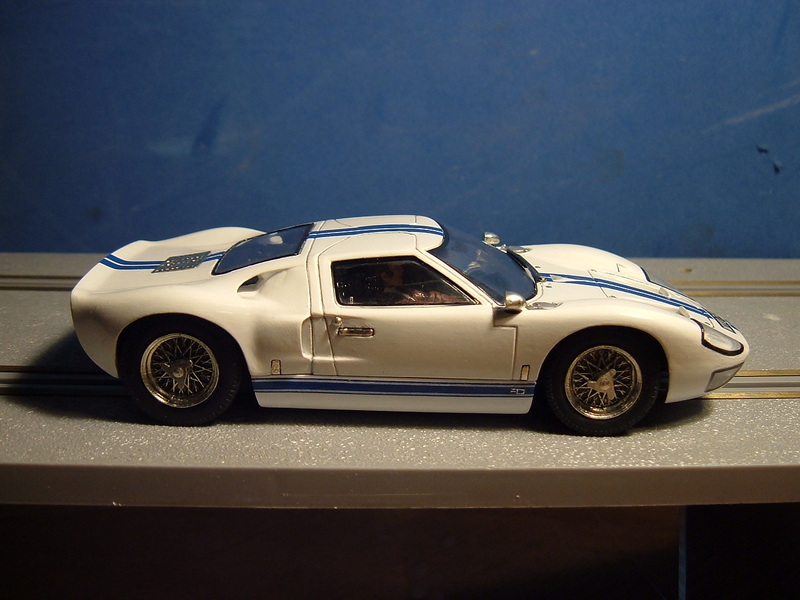 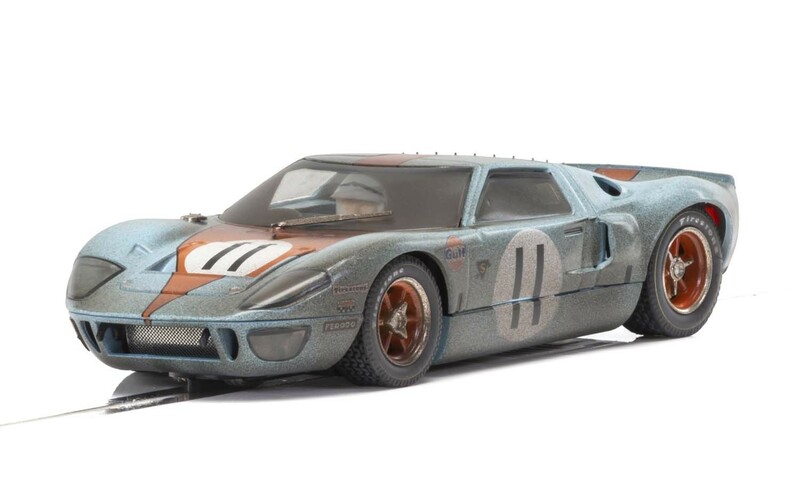 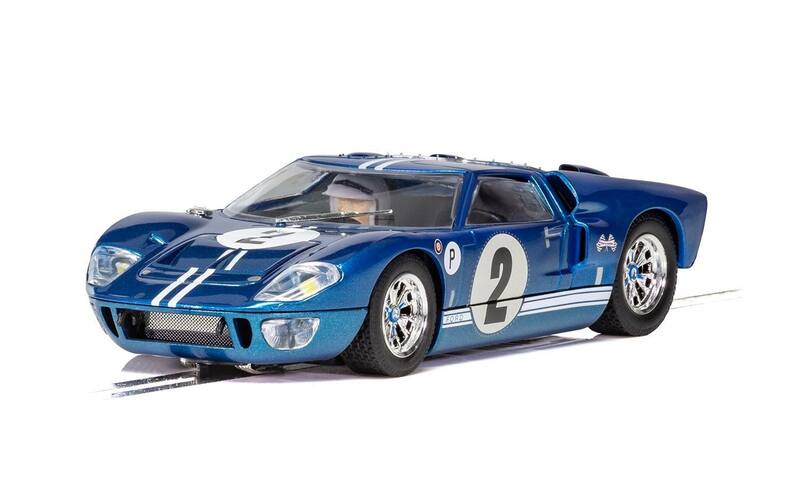 Many of these have appeared in both 1/32 and 1/64 scales. 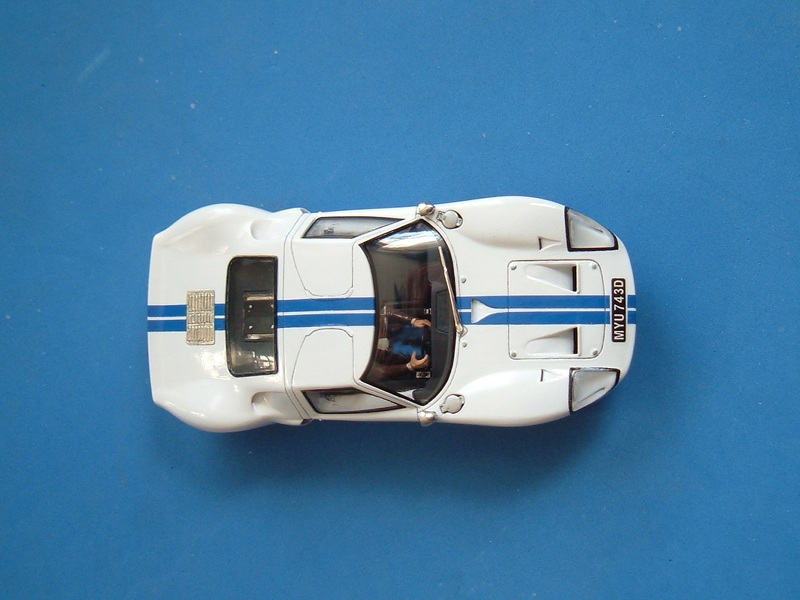 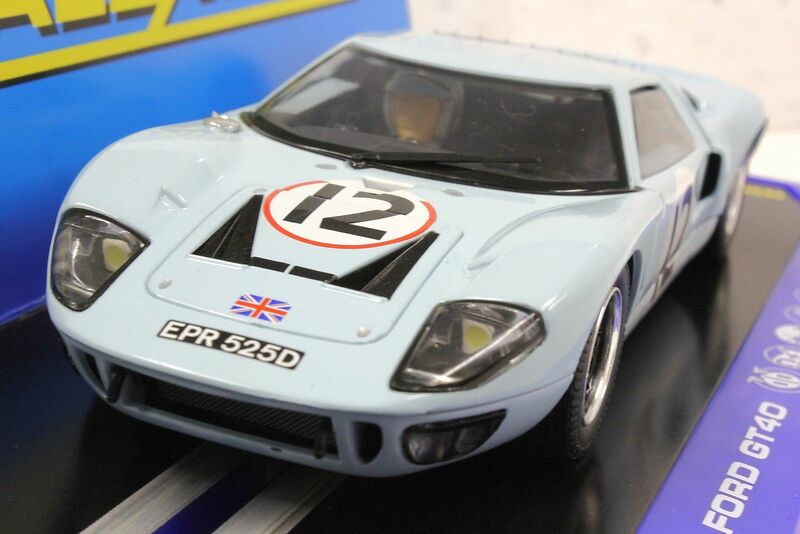 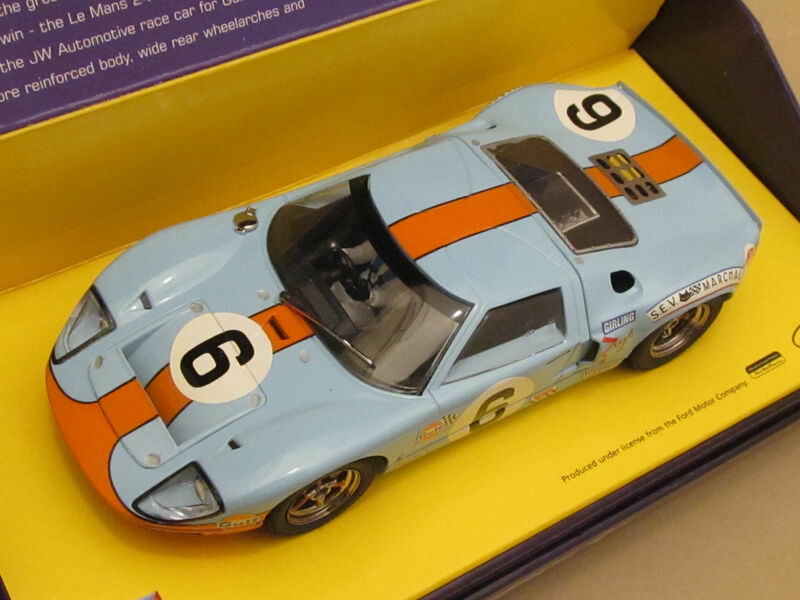 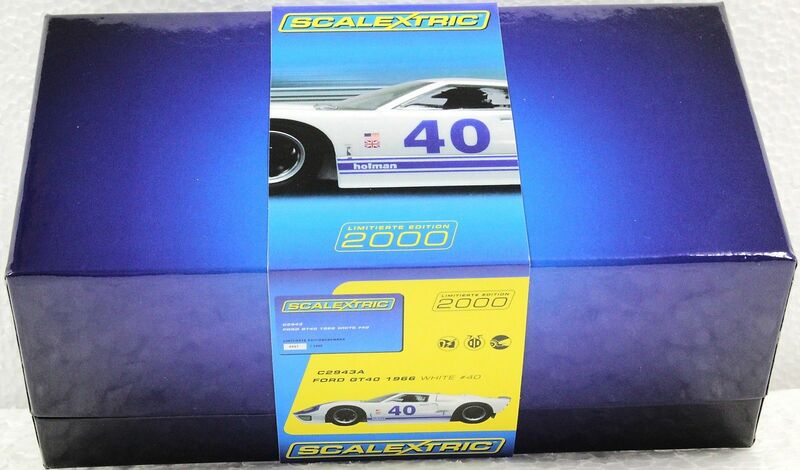 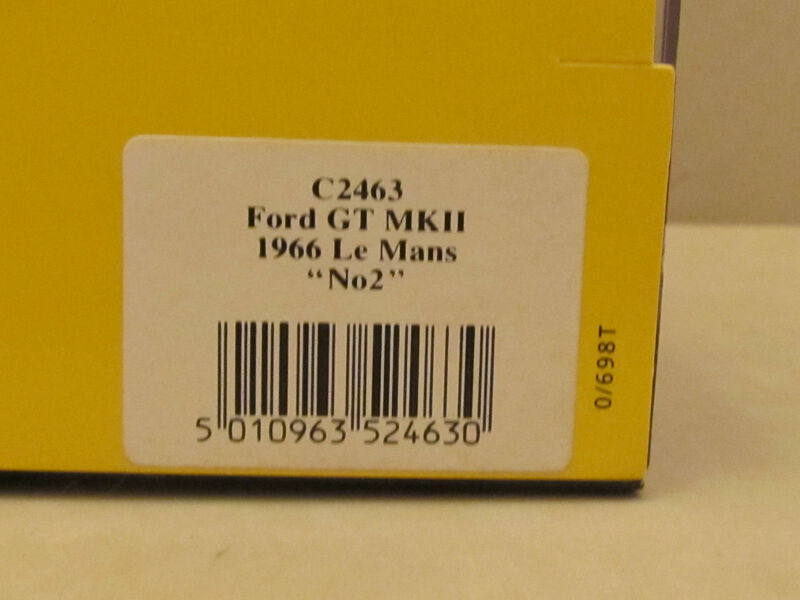 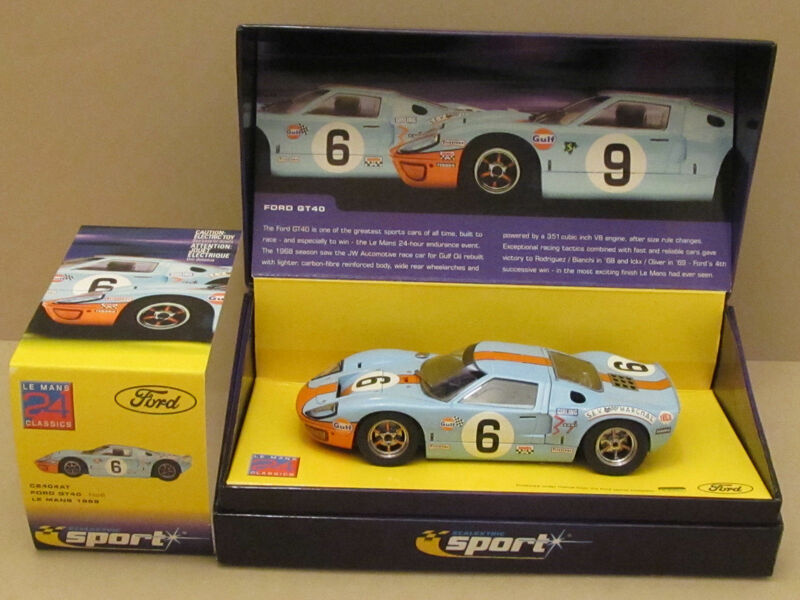 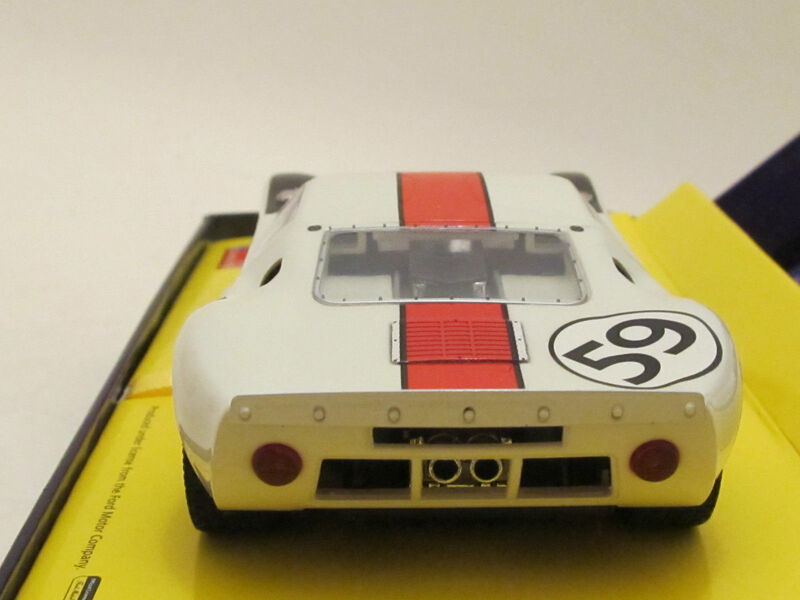 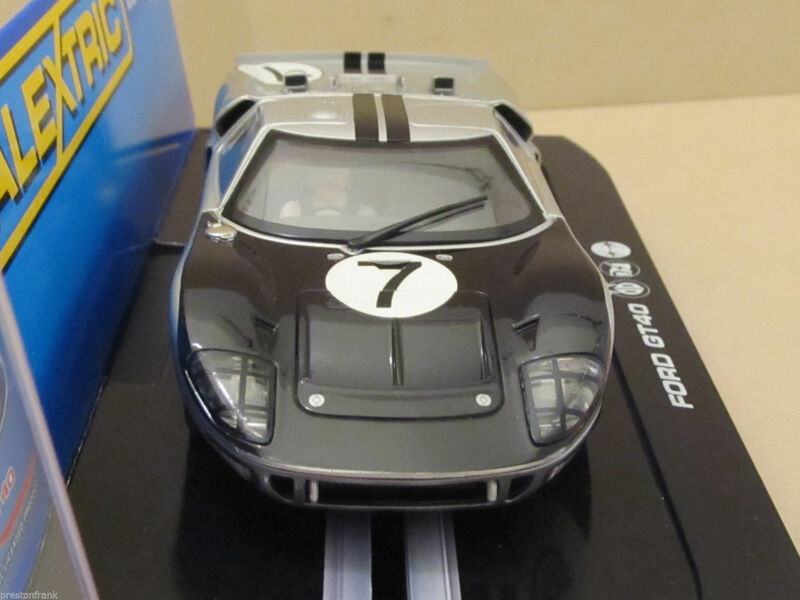 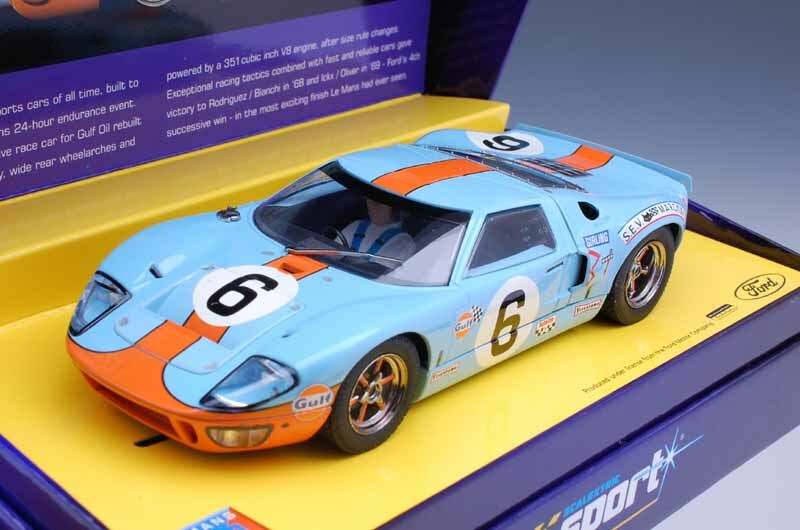 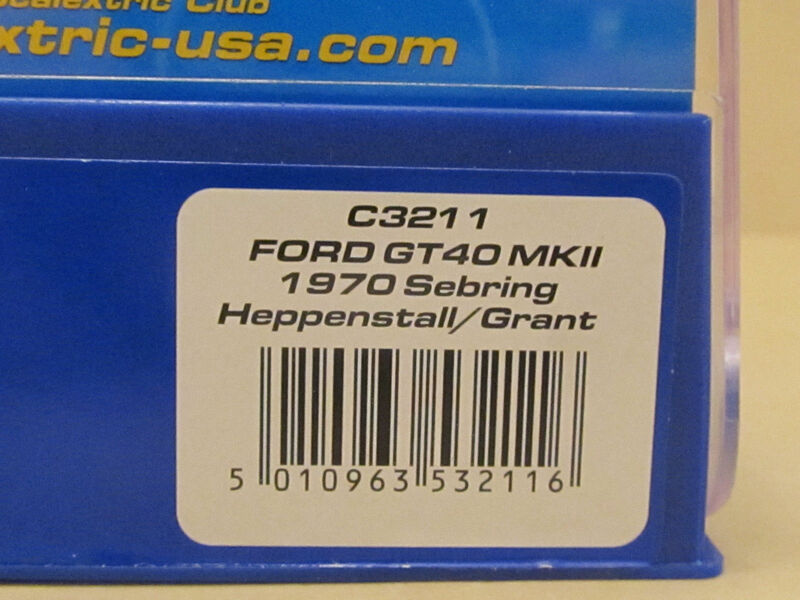 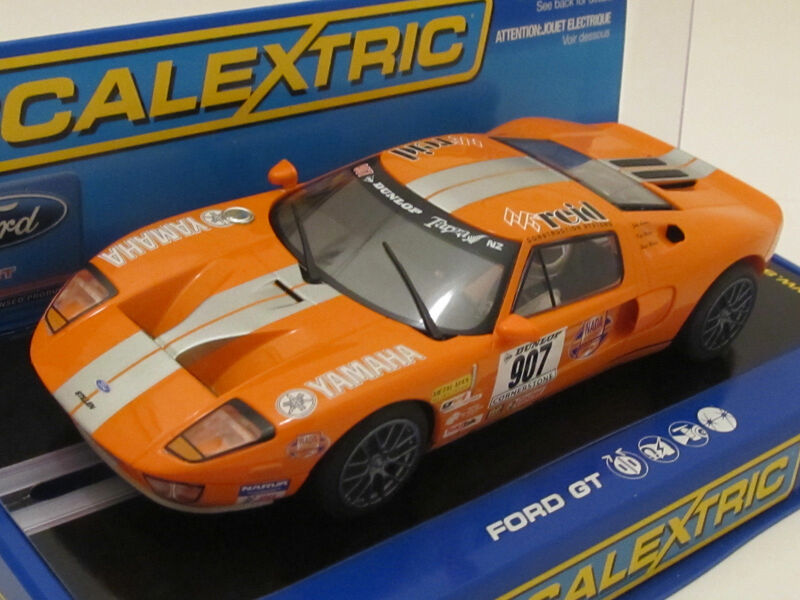 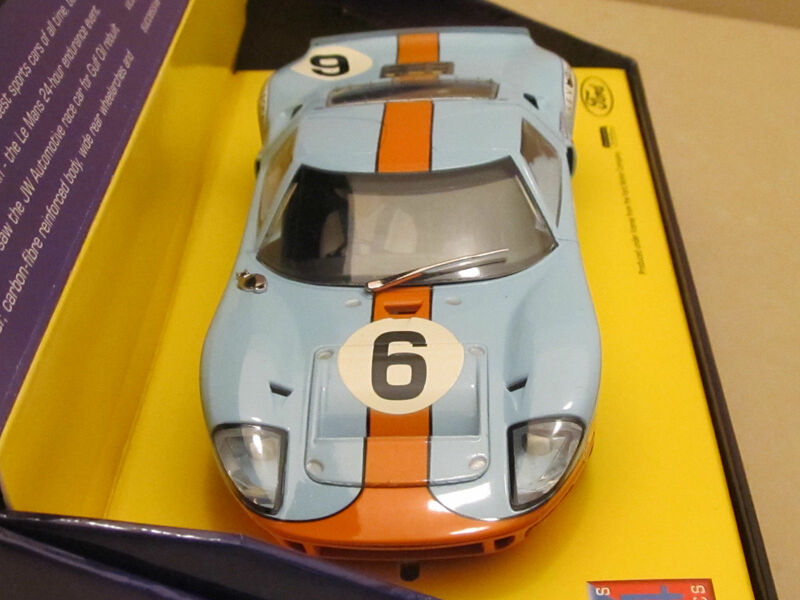 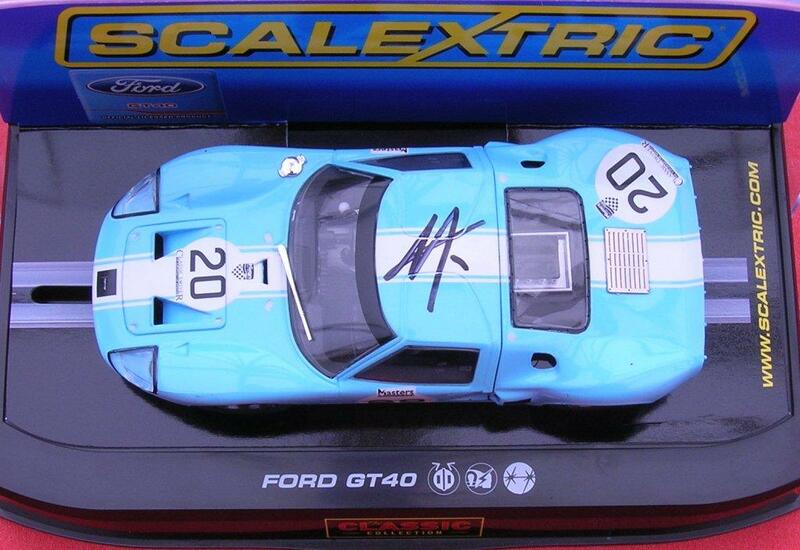 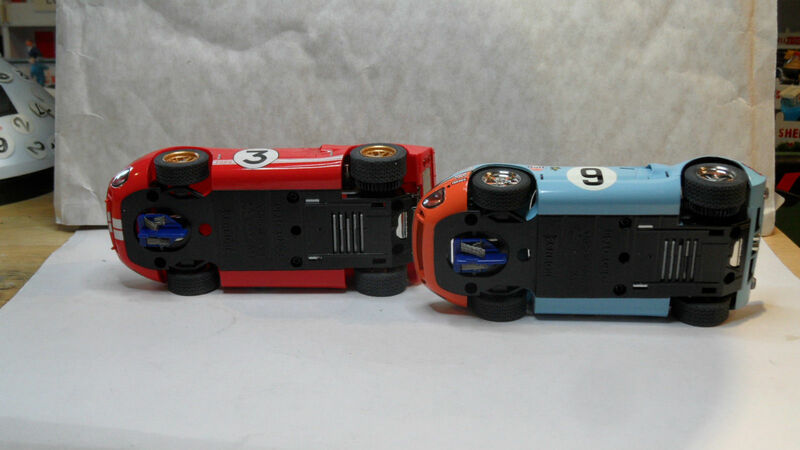 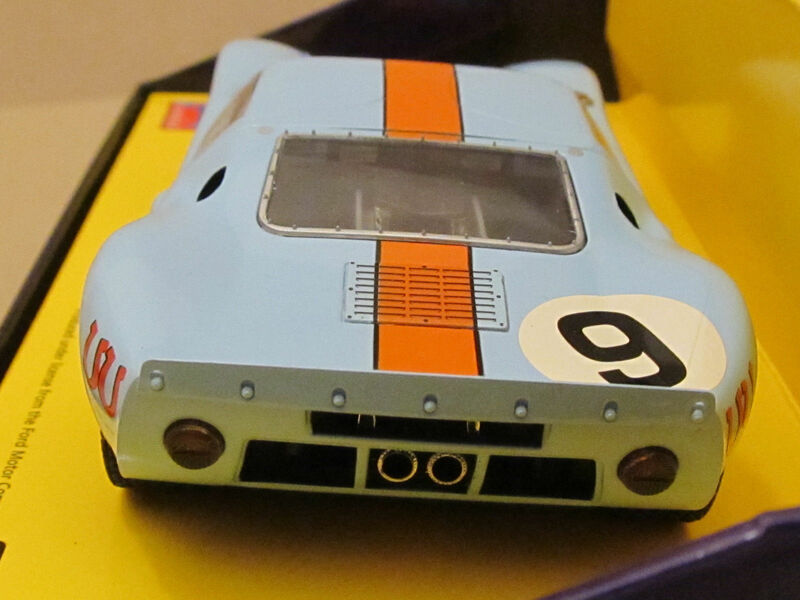 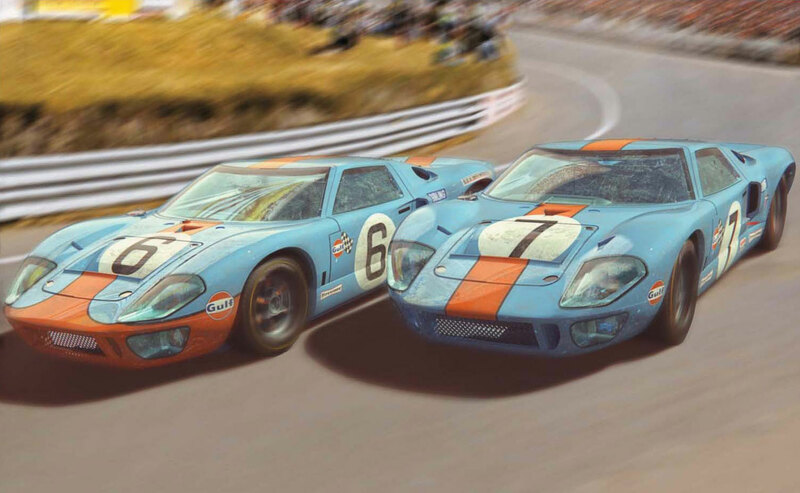 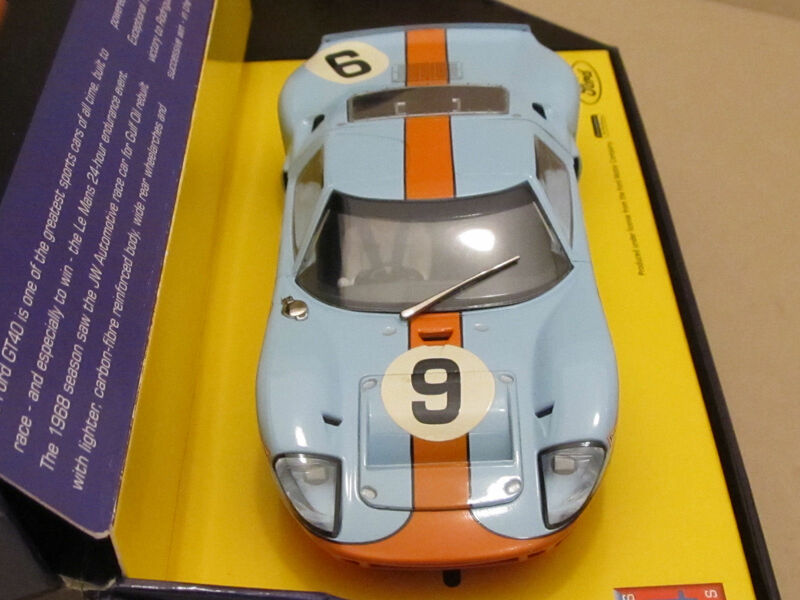 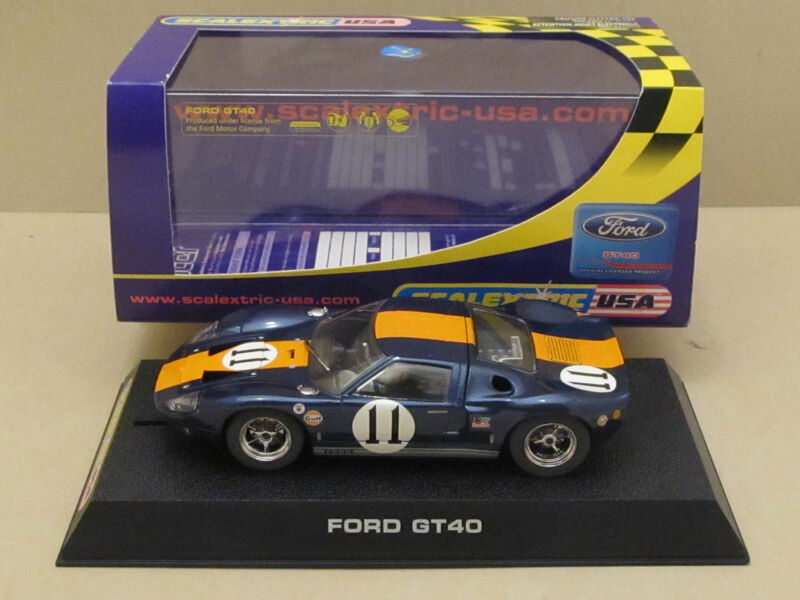 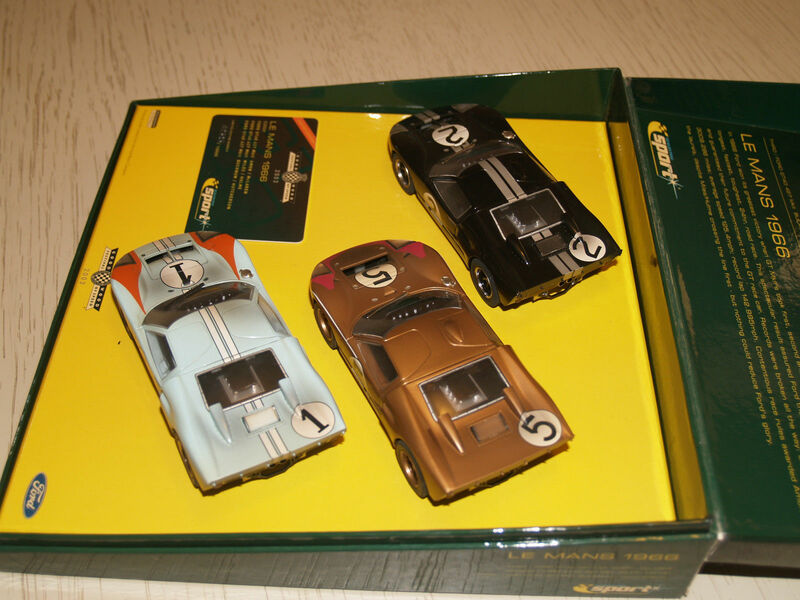 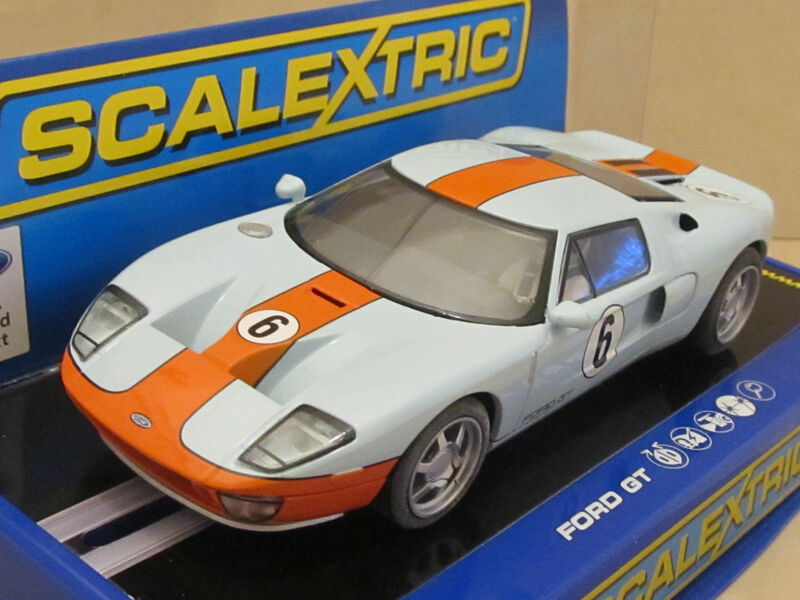 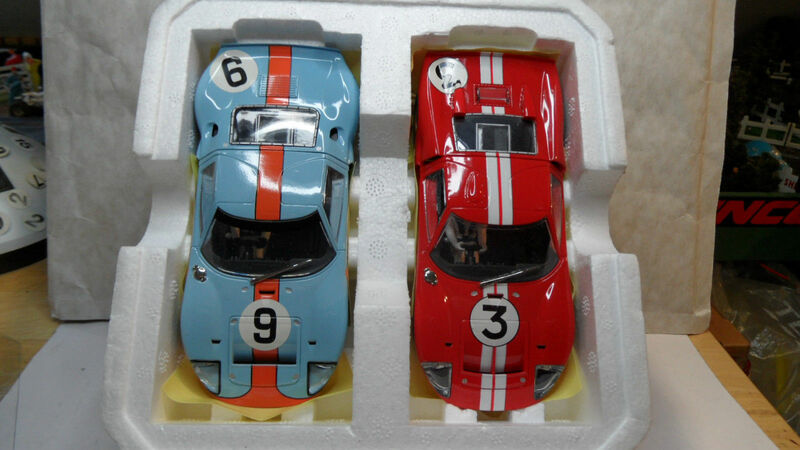 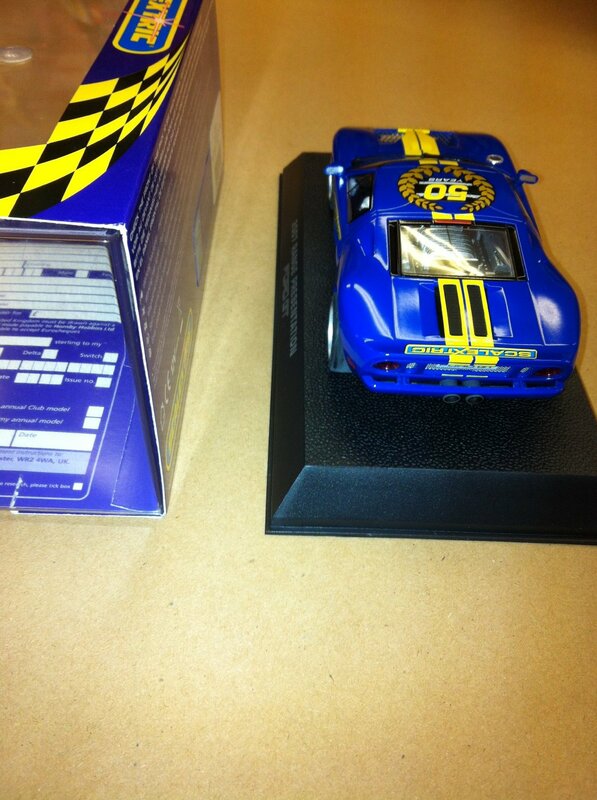 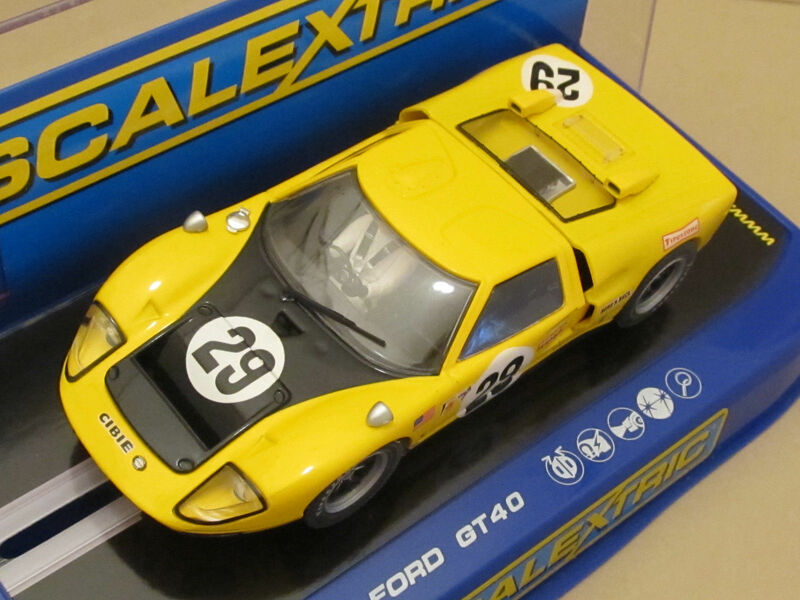 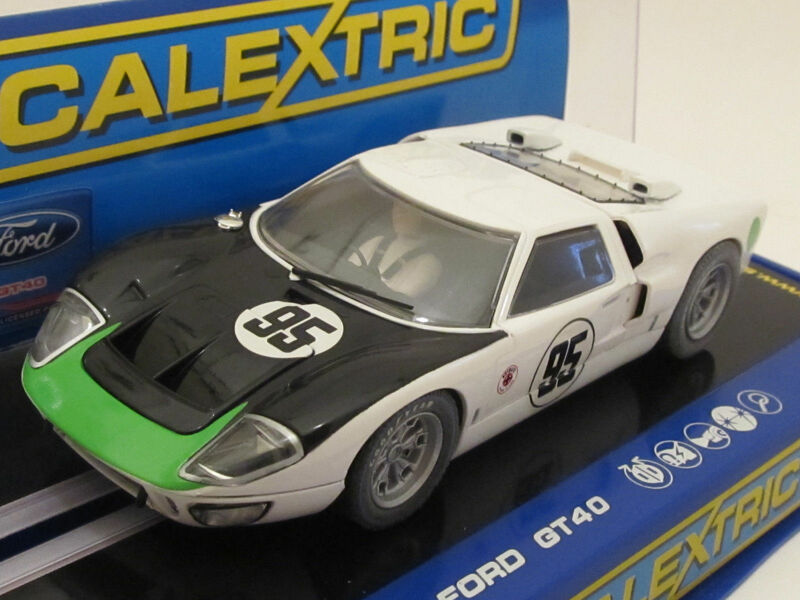 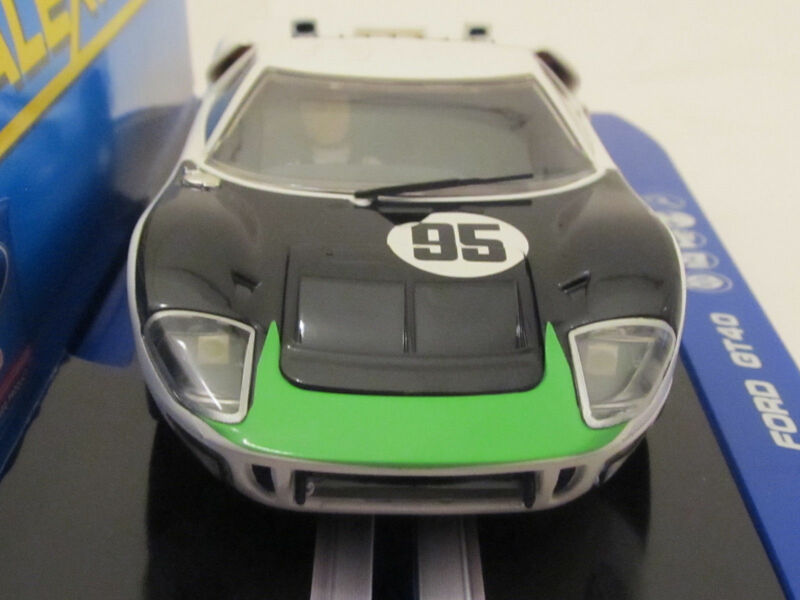 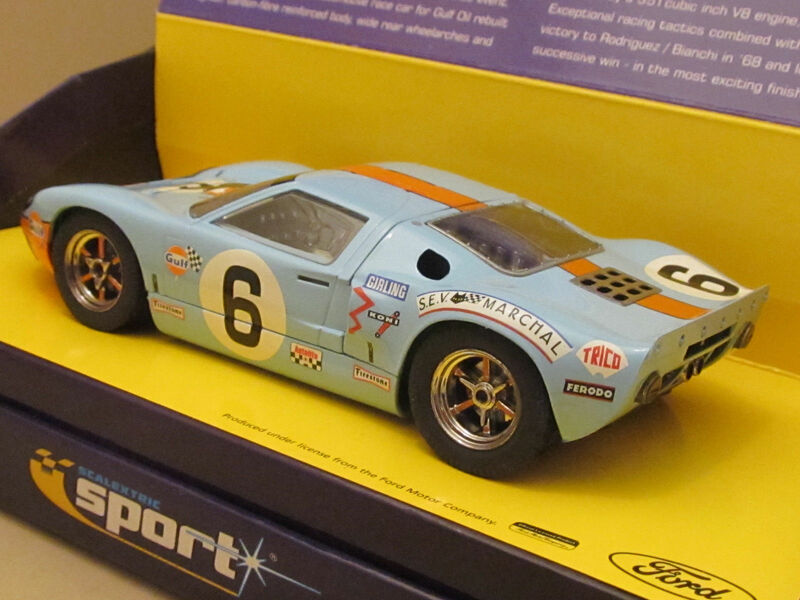 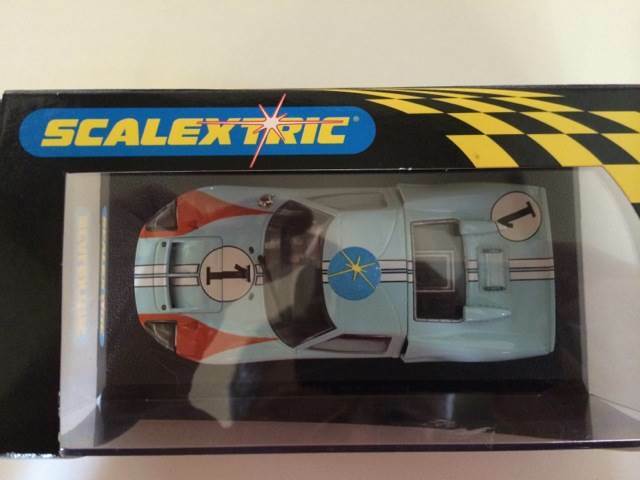 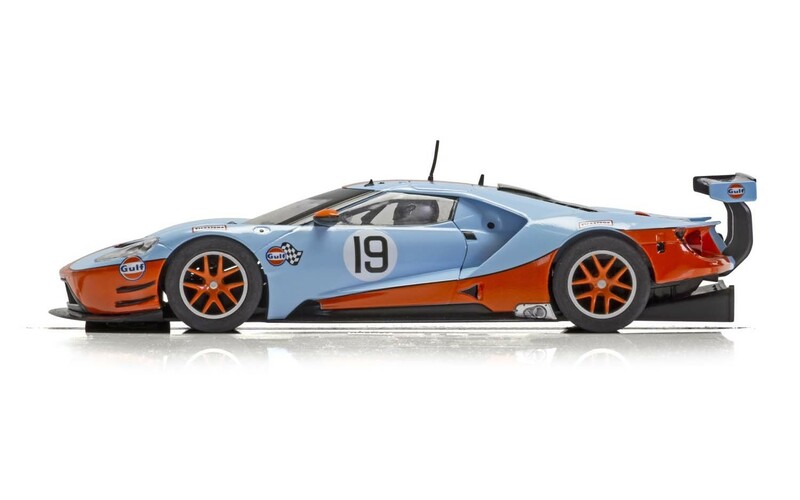 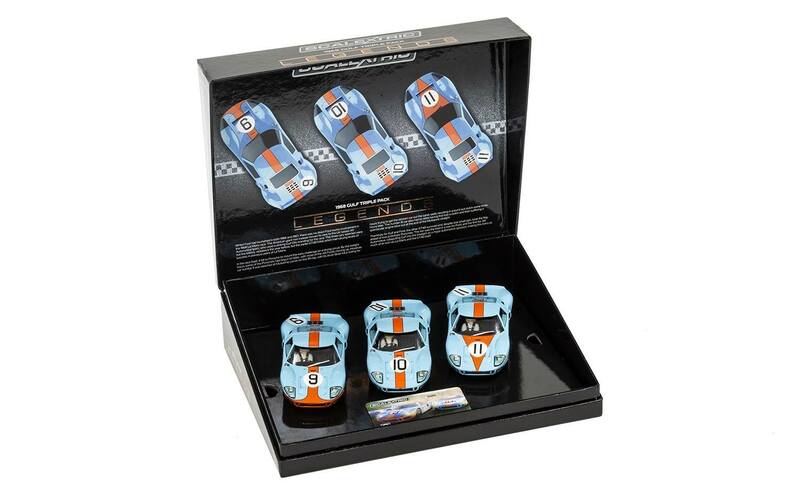 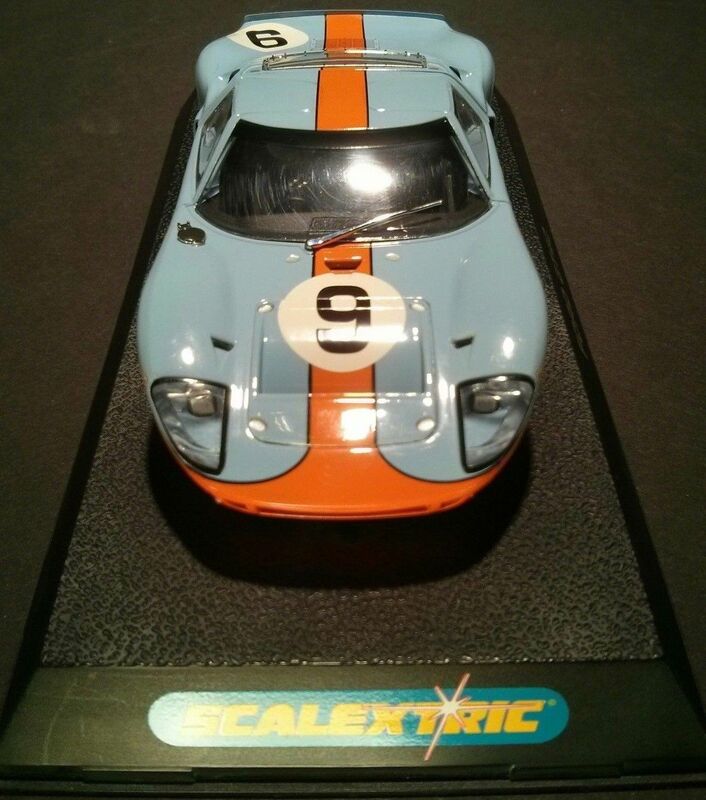 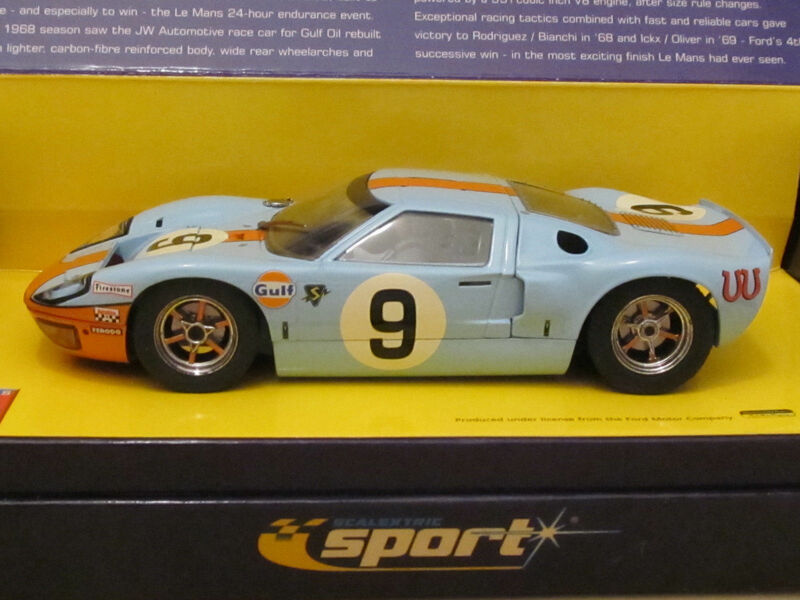 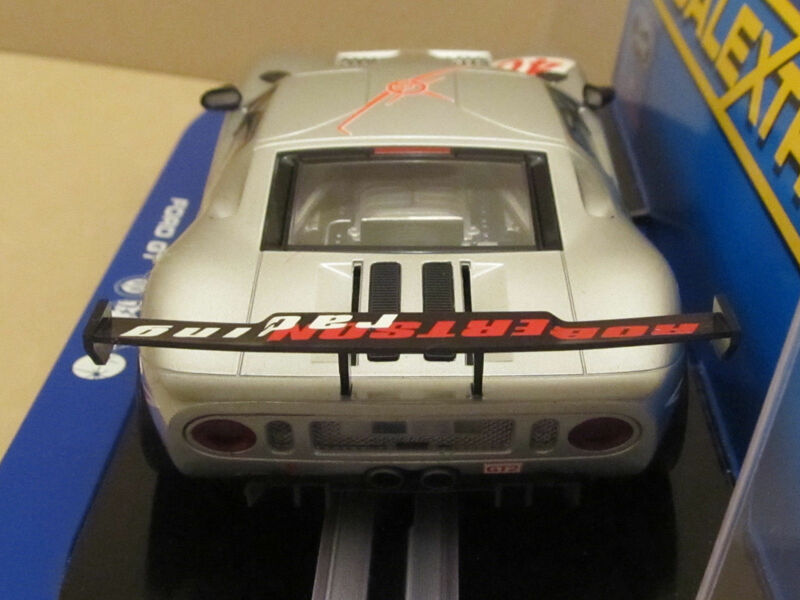 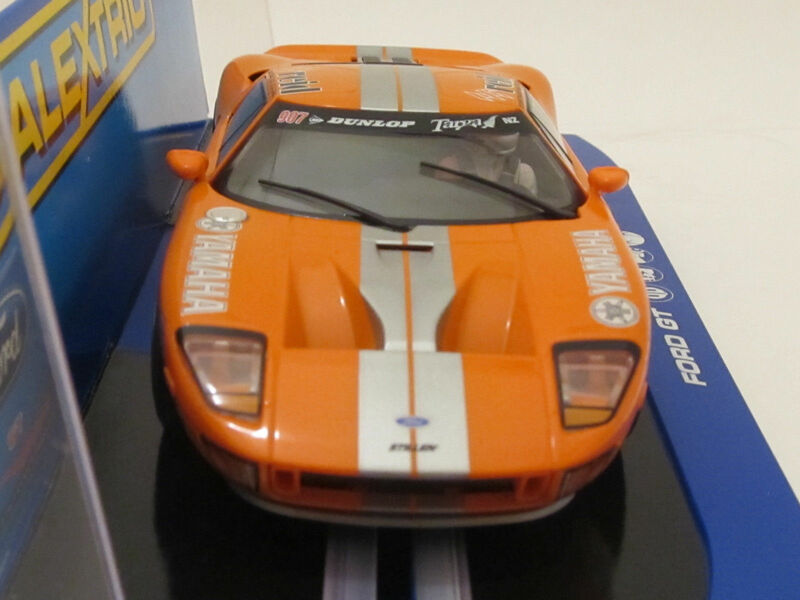 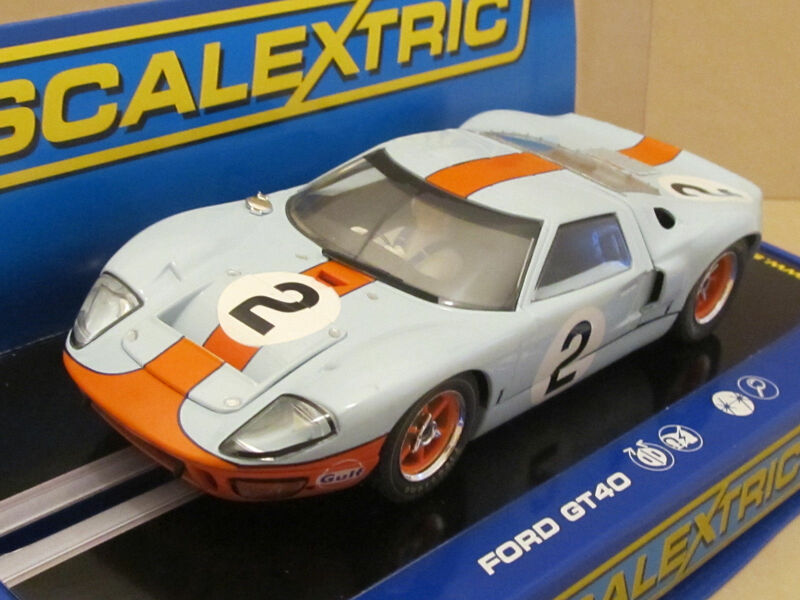 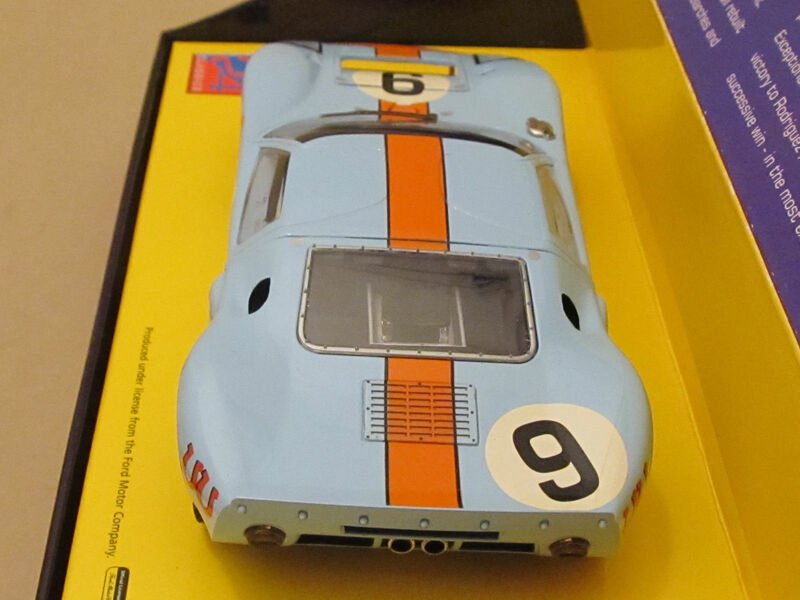 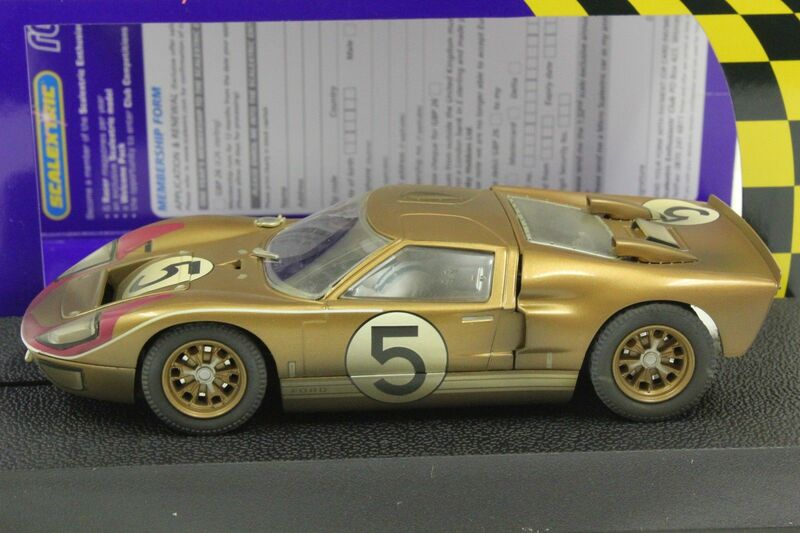 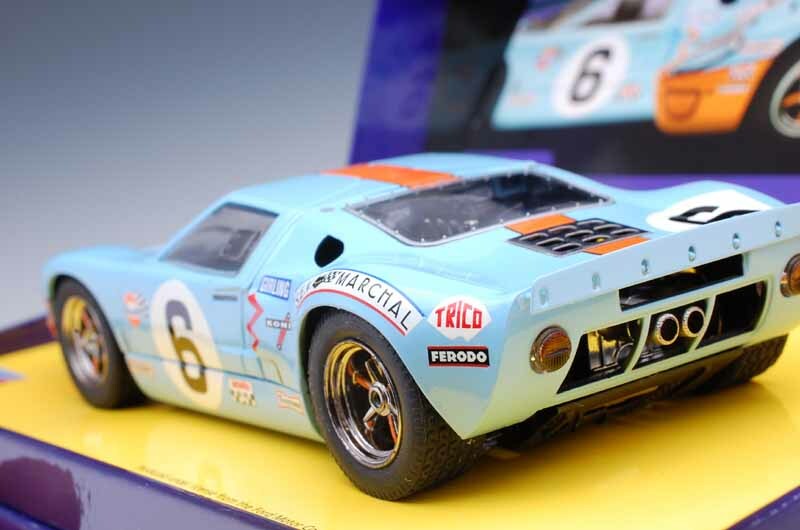 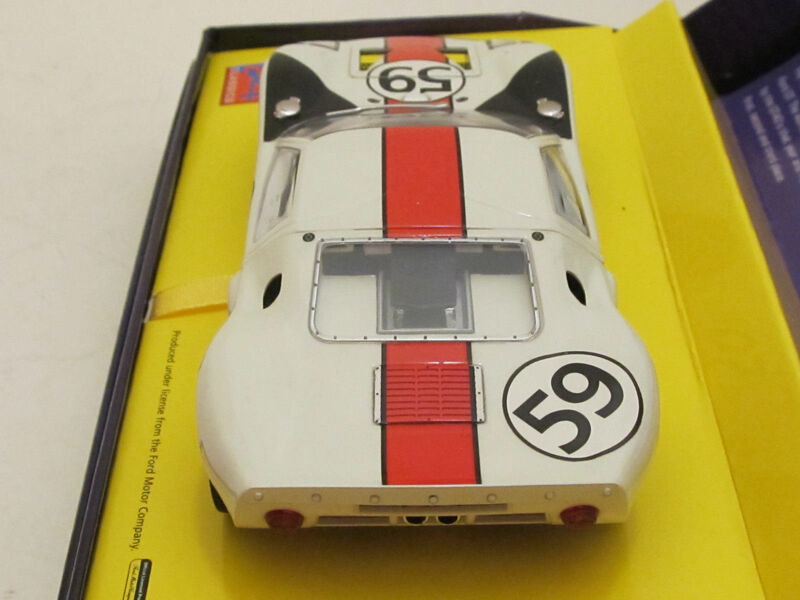 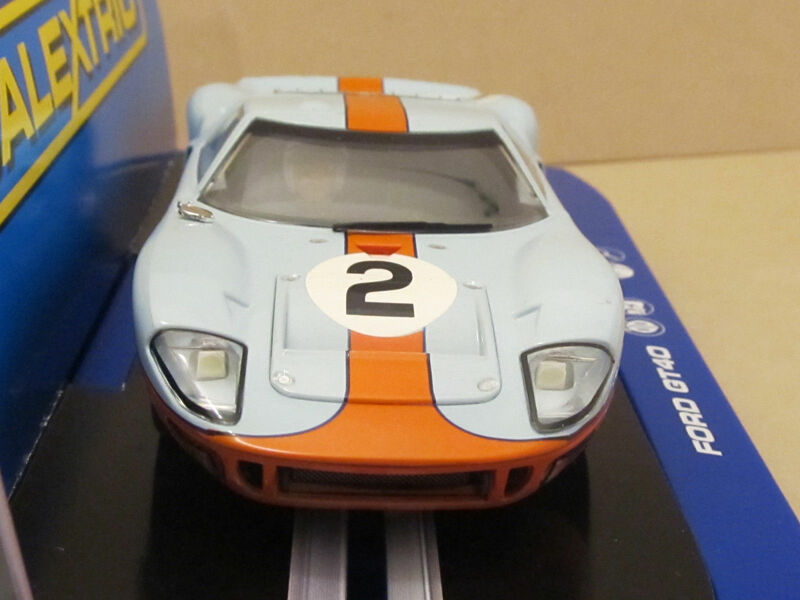 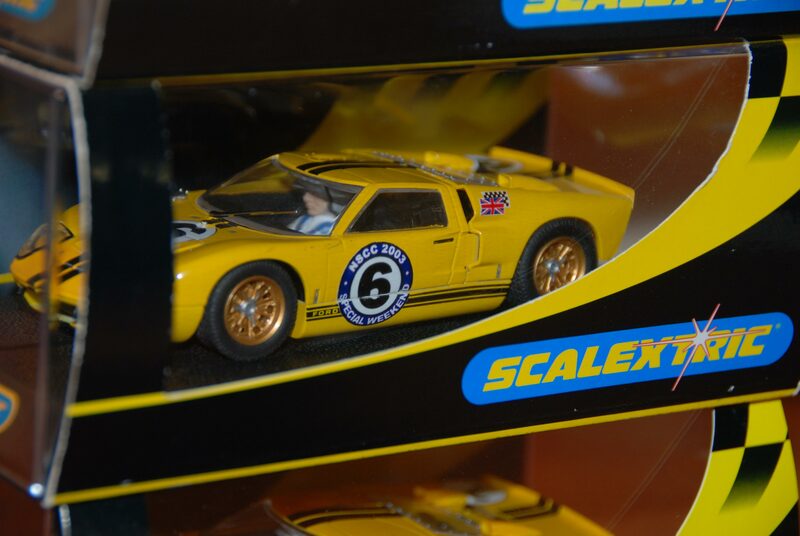 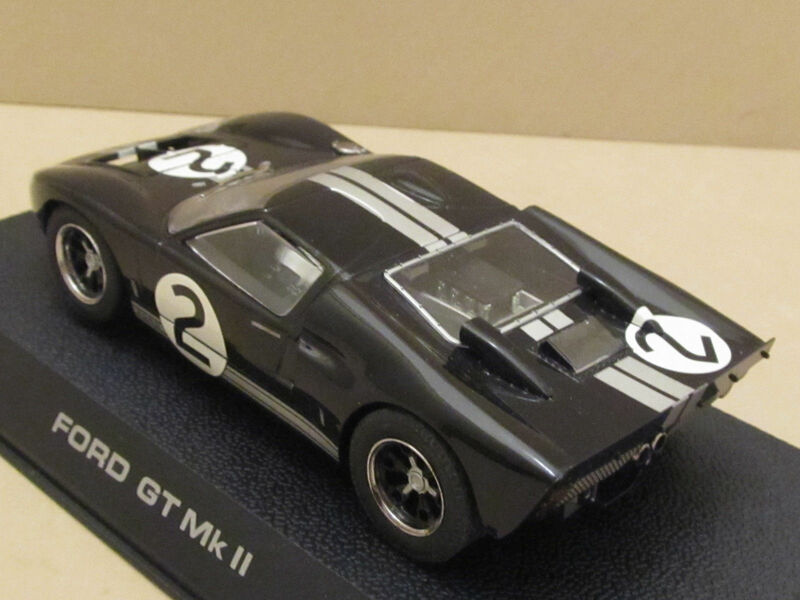 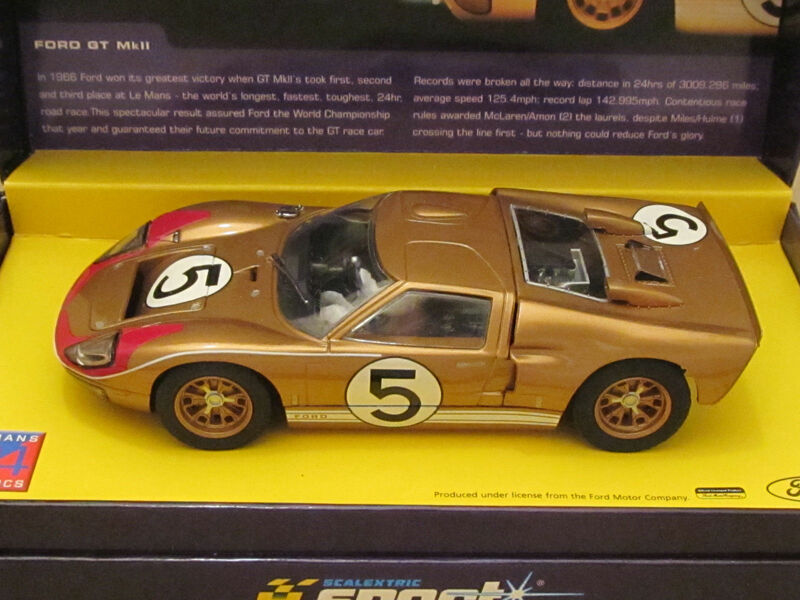 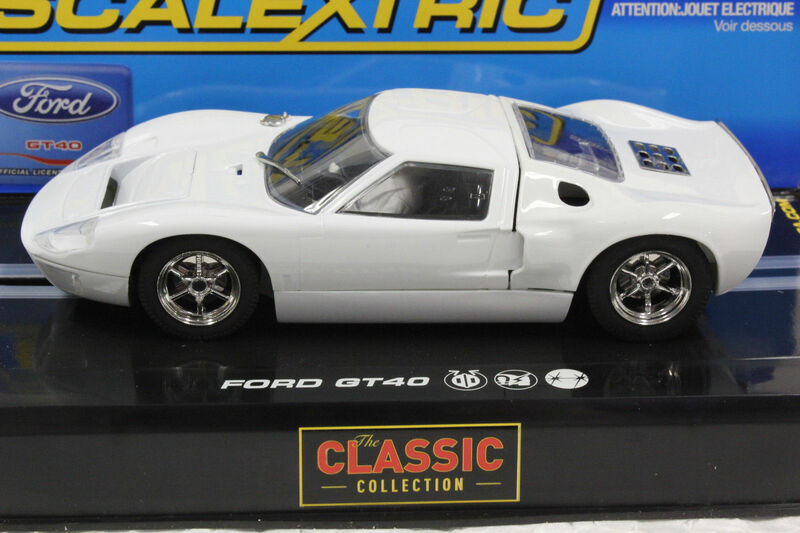 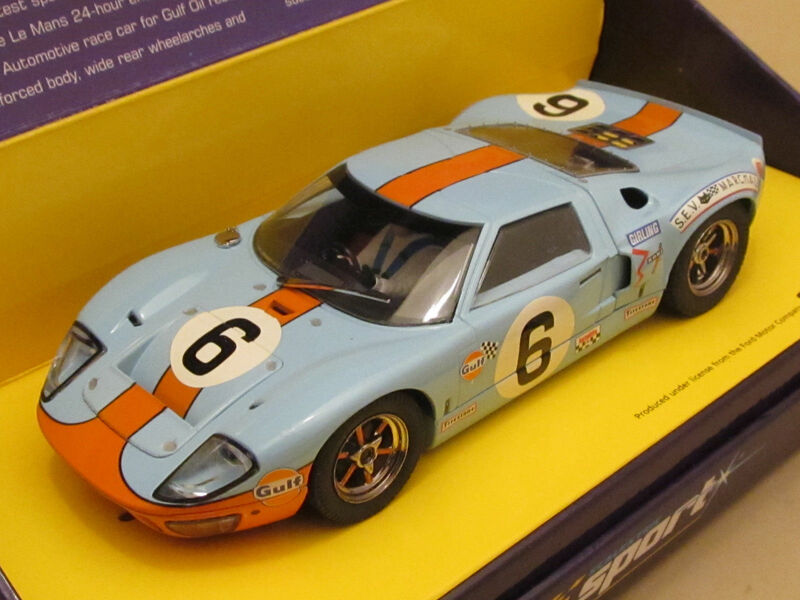 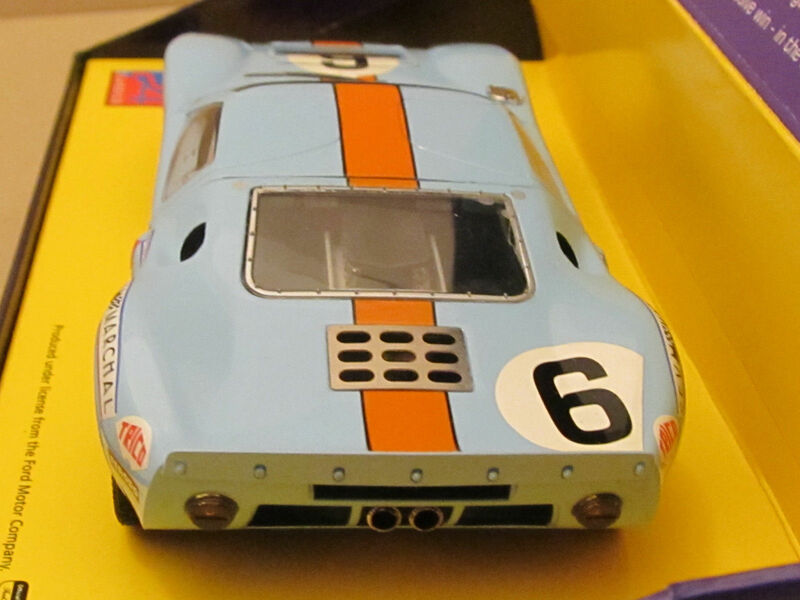 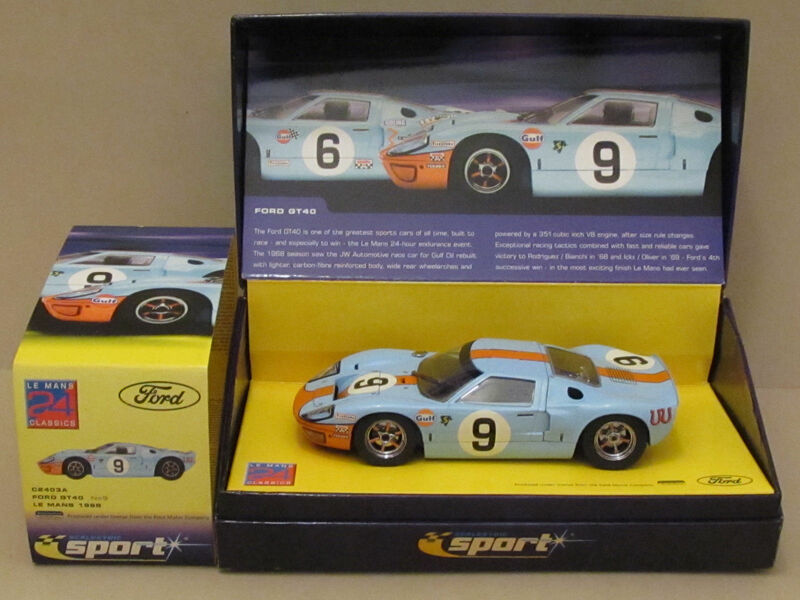 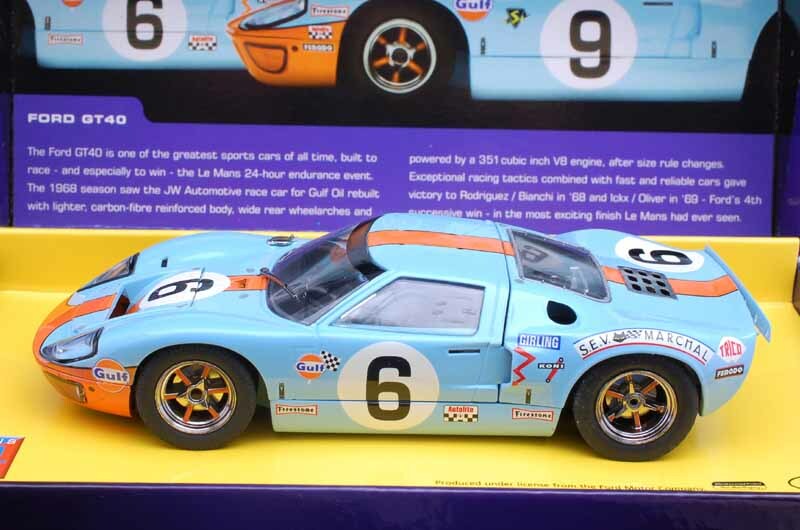 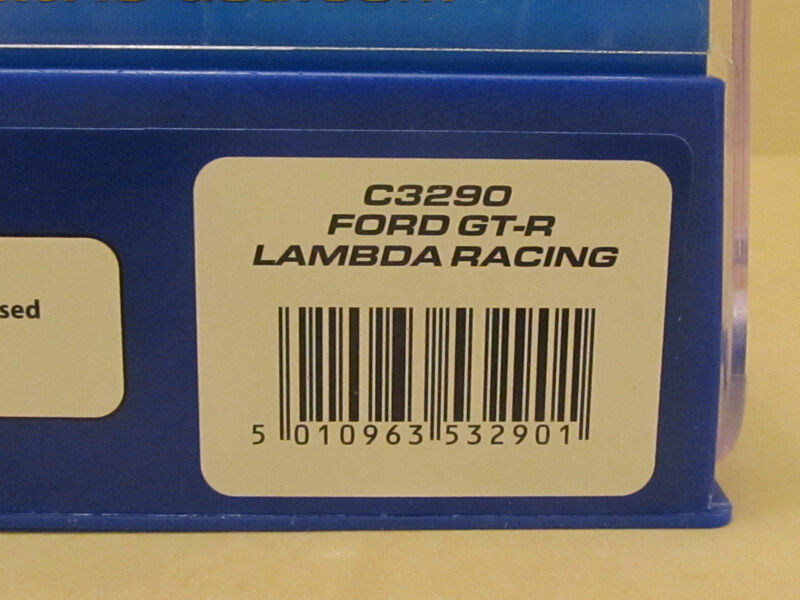 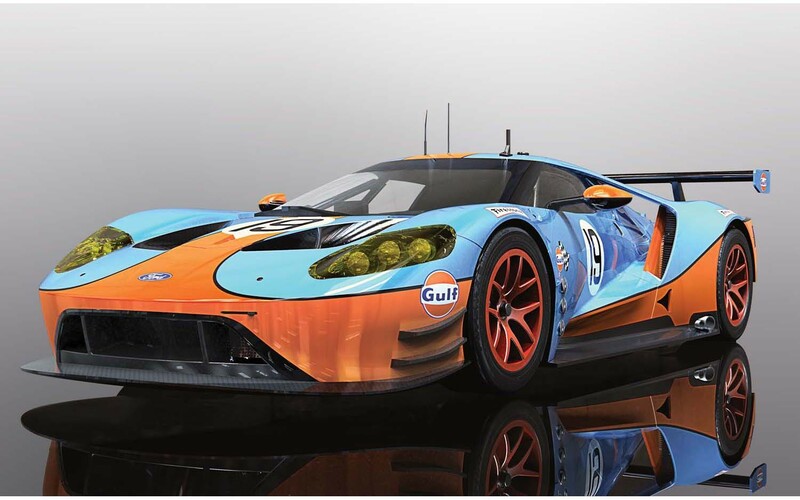 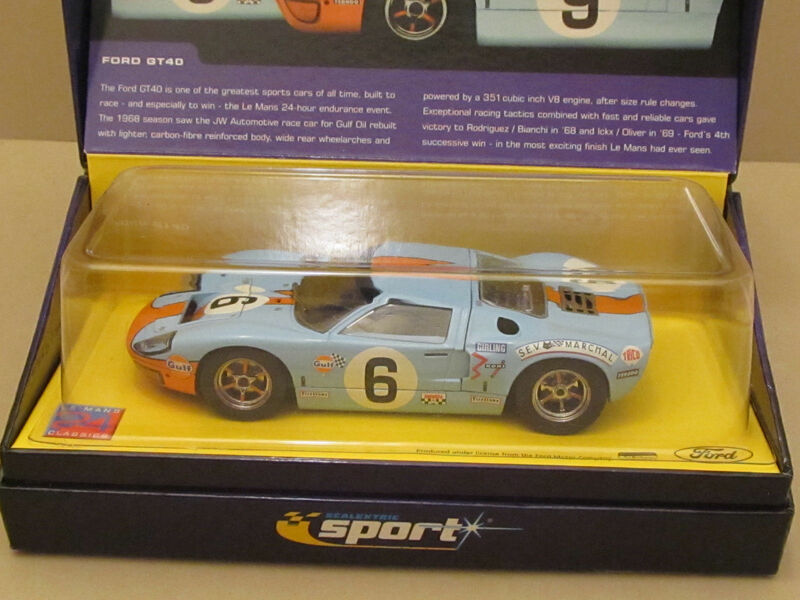 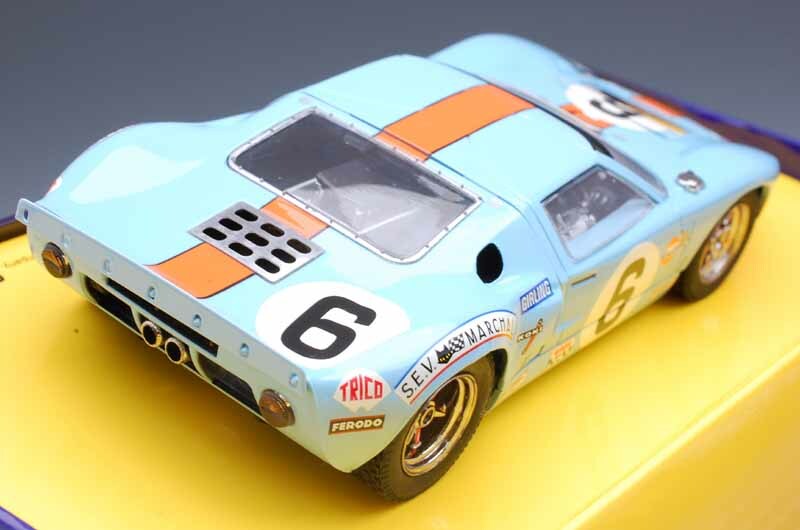 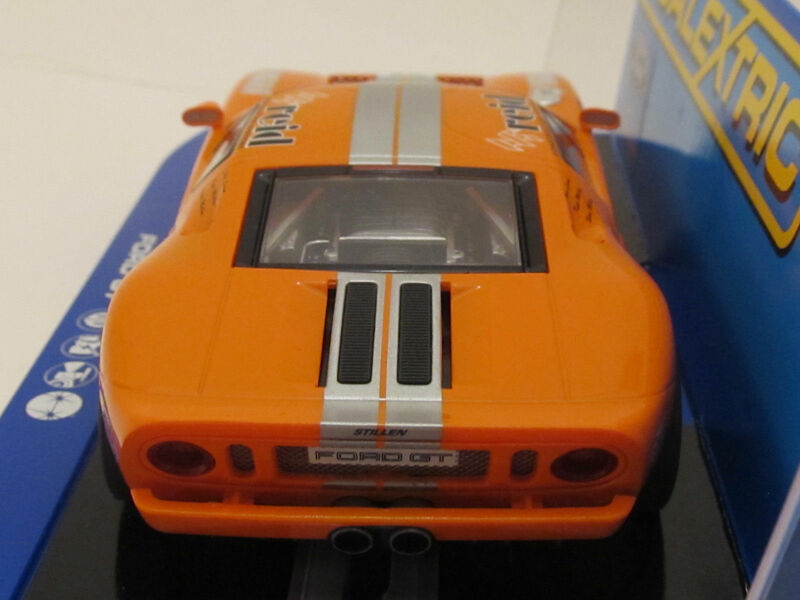 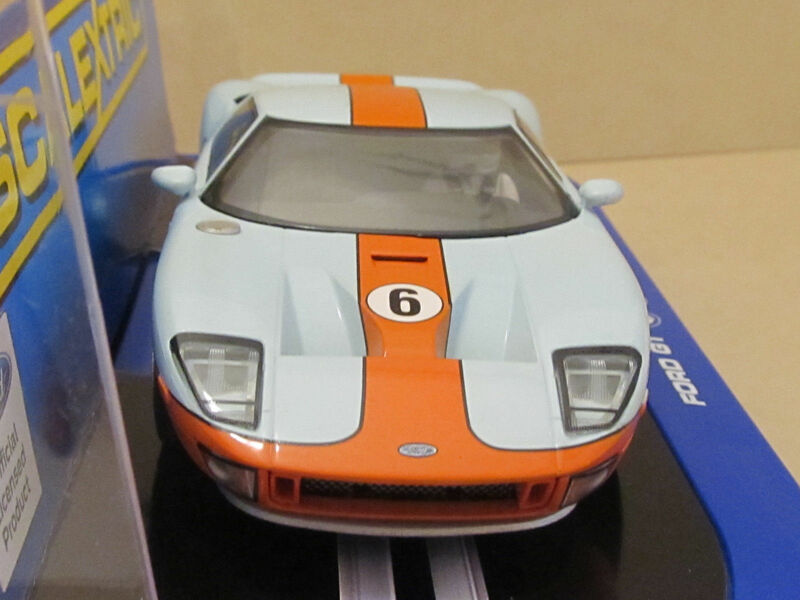 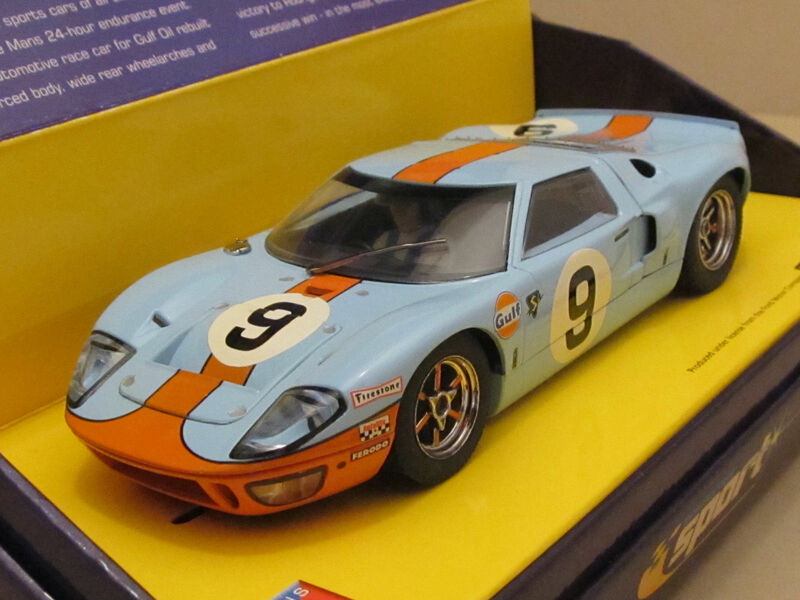 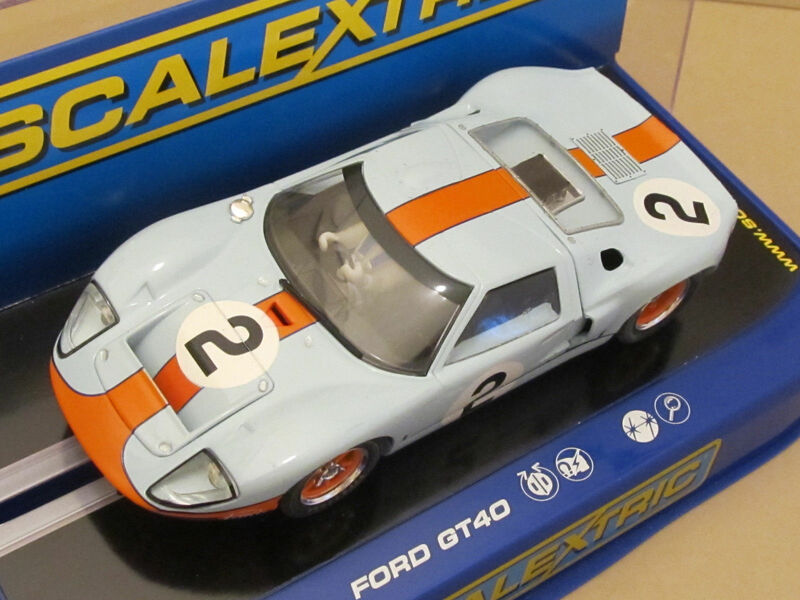 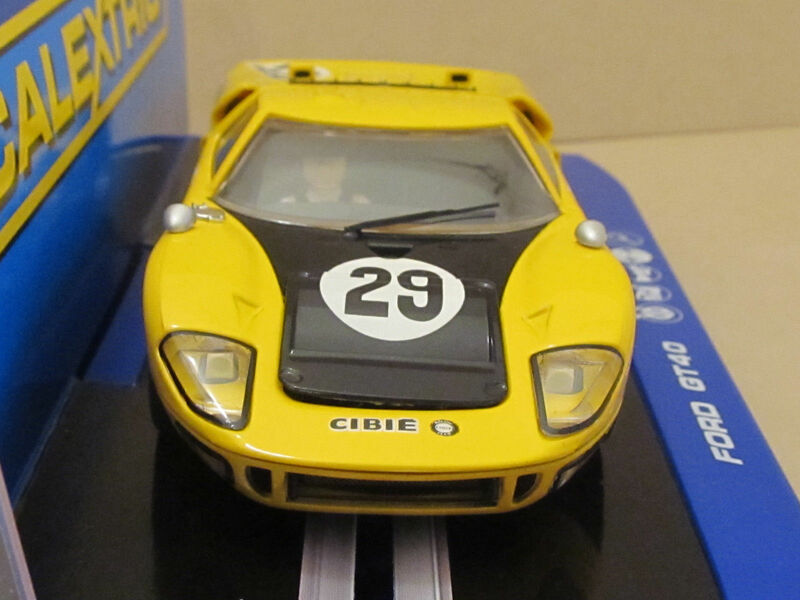 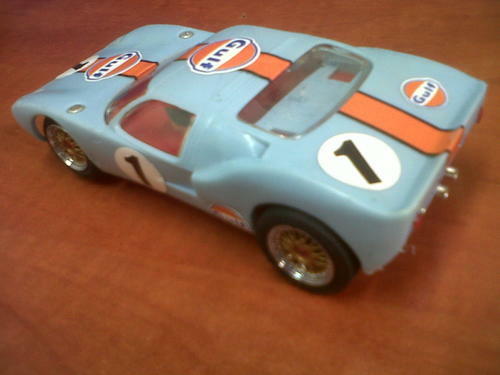 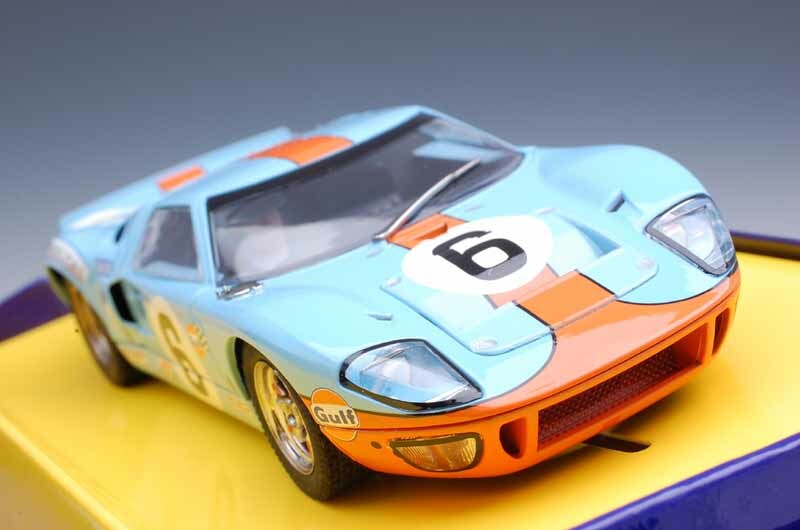 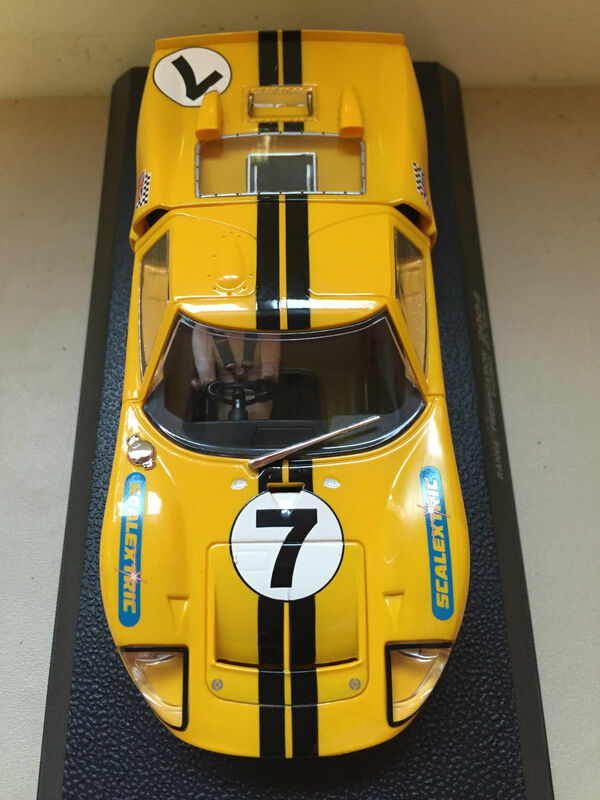 Scalextric also produced a The Dukes of Hazzard General Lee car and more recently a twin car pack with licensing from the Fast and the Furious film franchise. 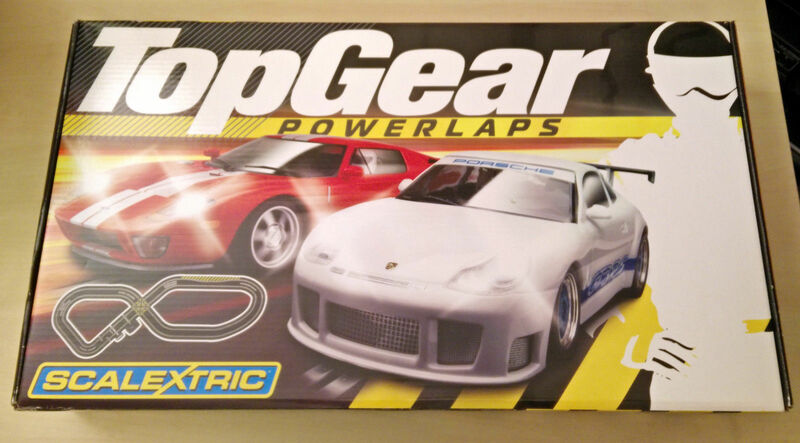 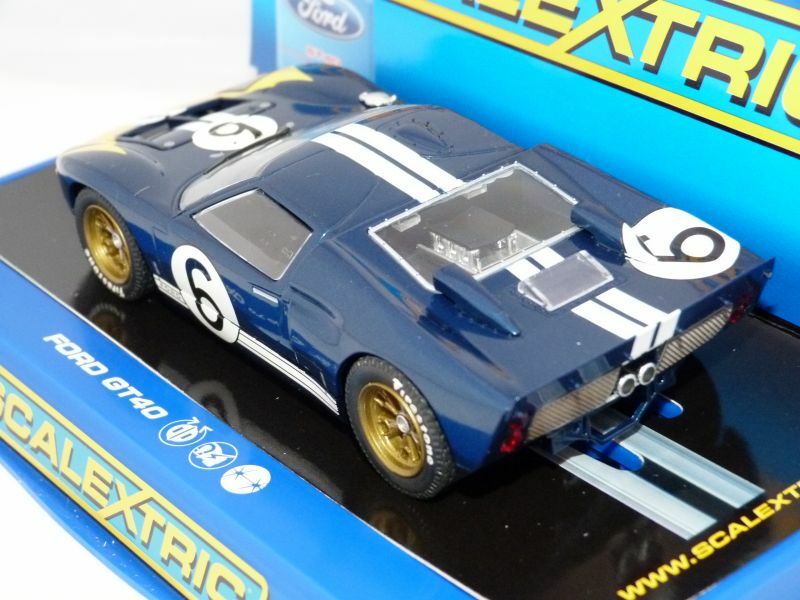 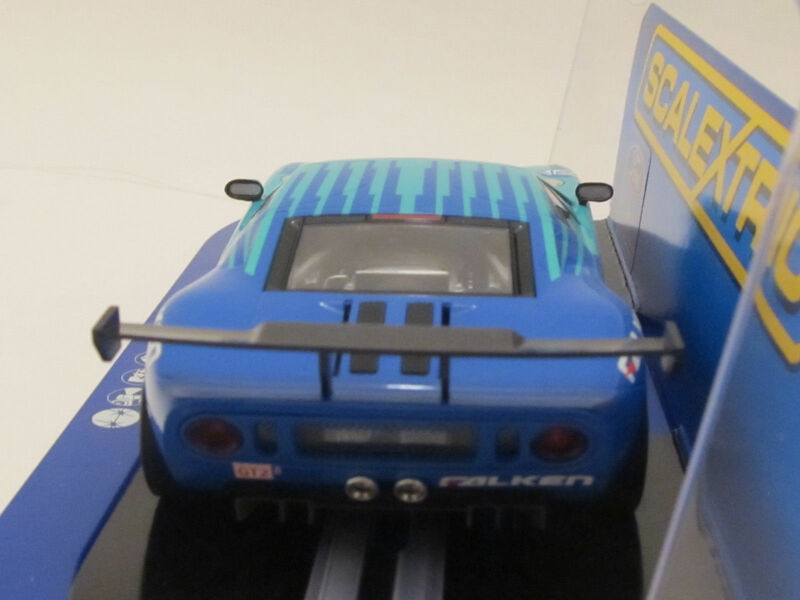 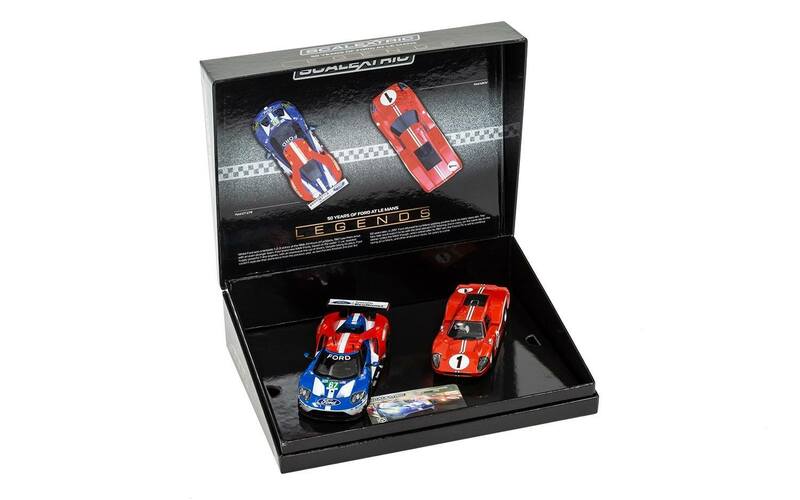 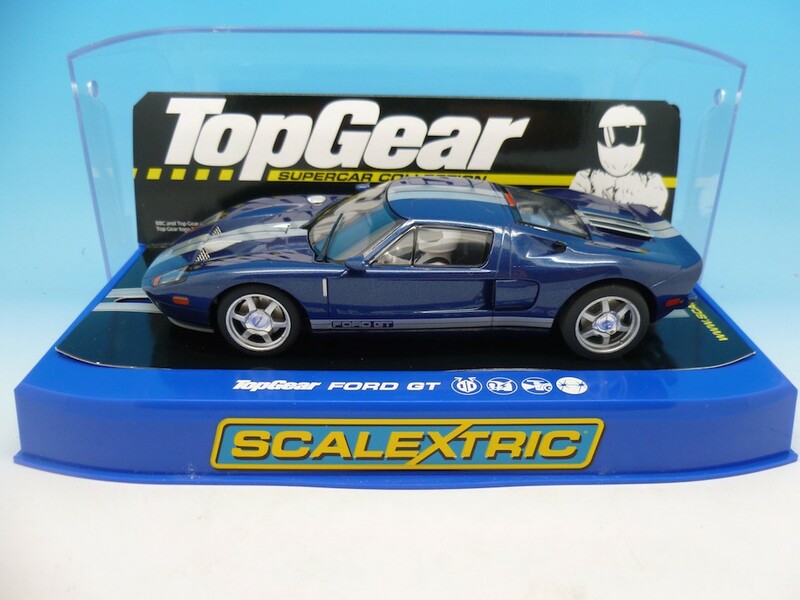 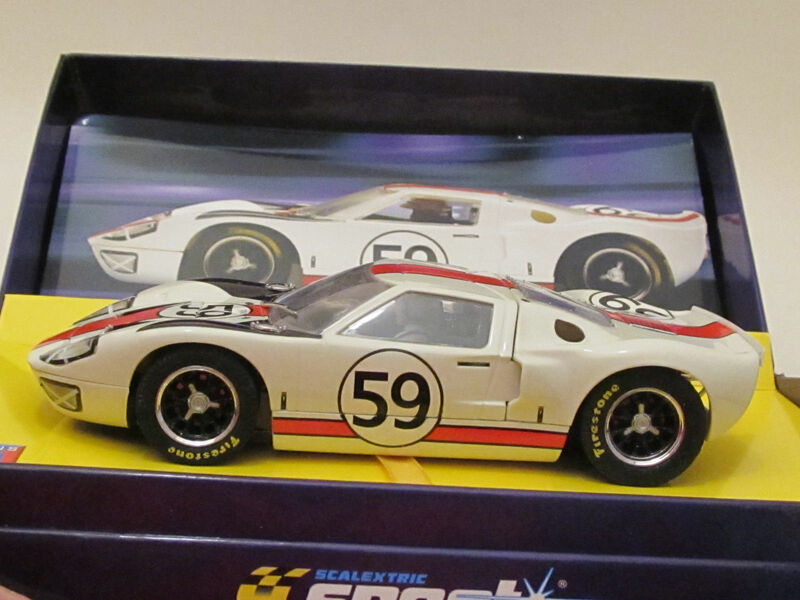 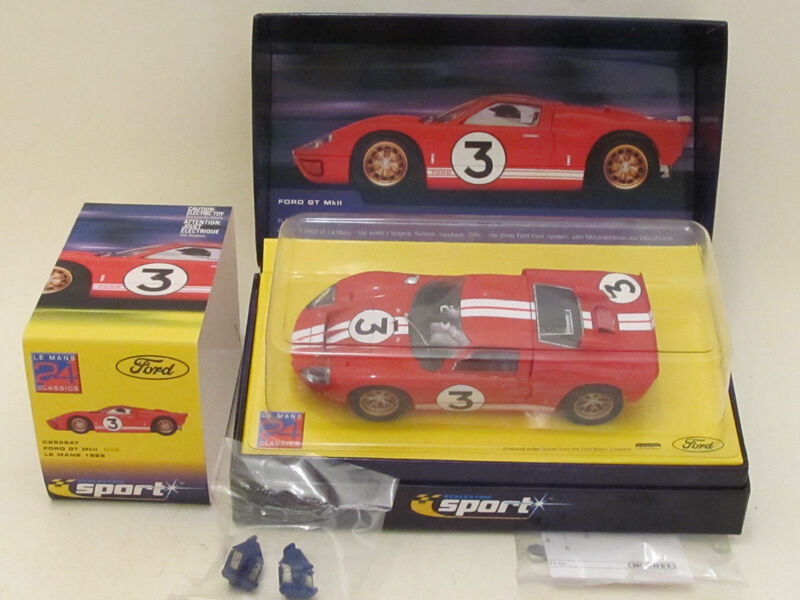 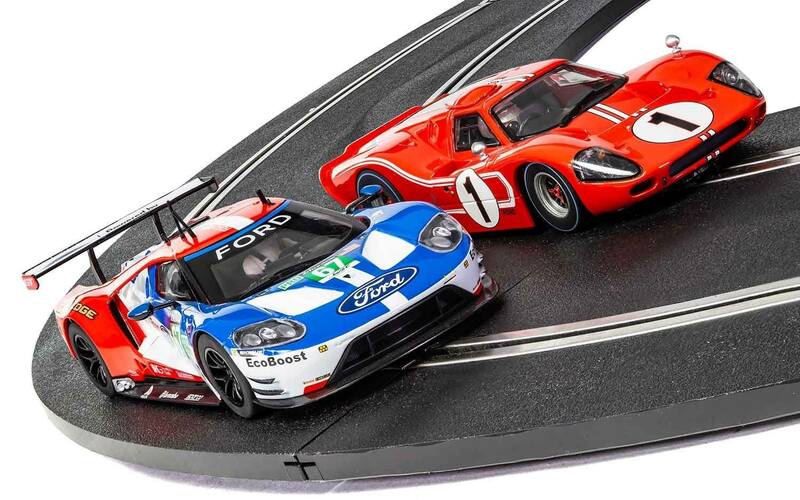 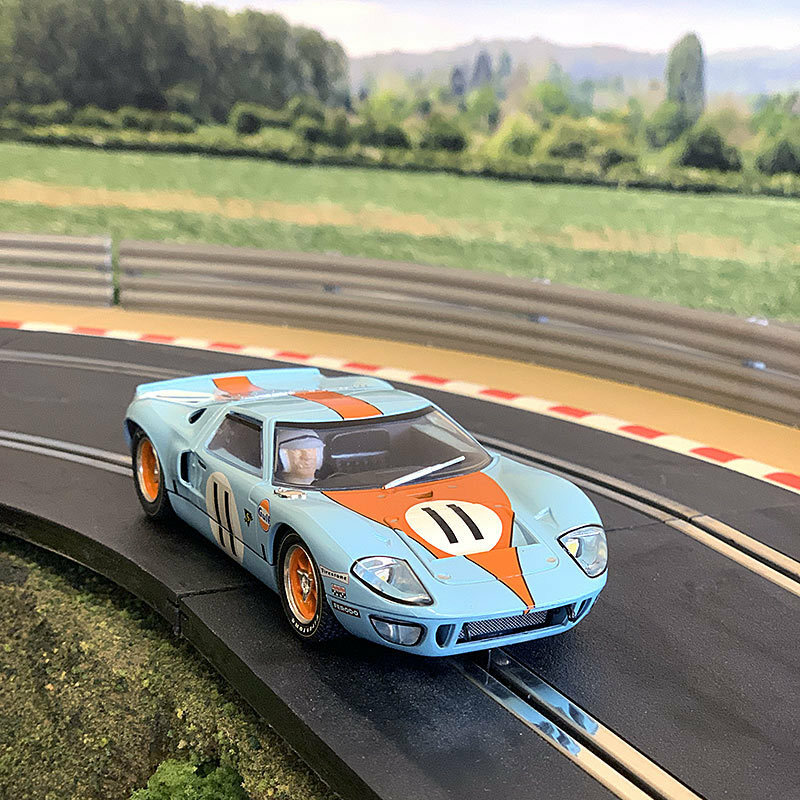 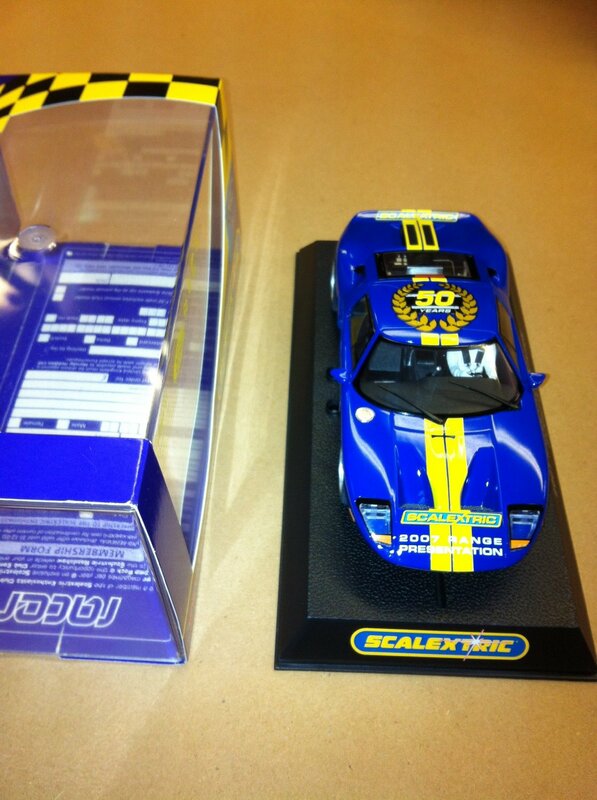 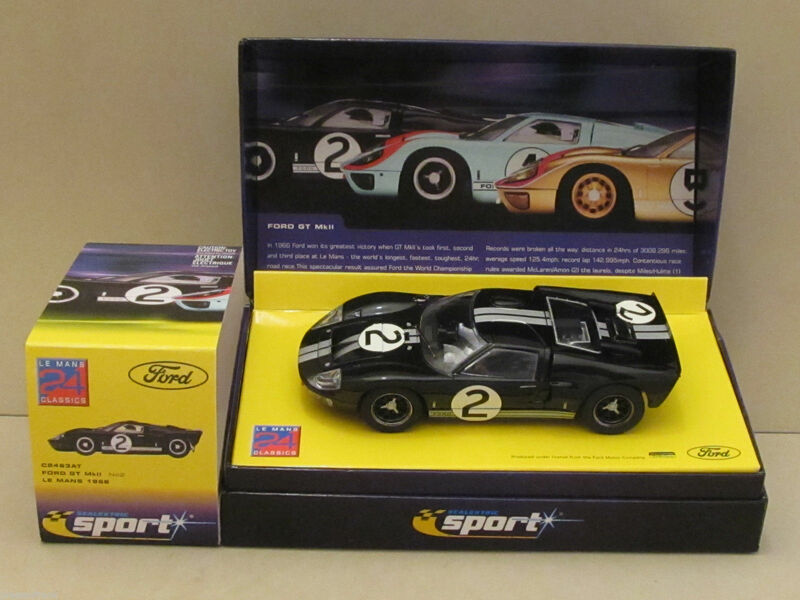 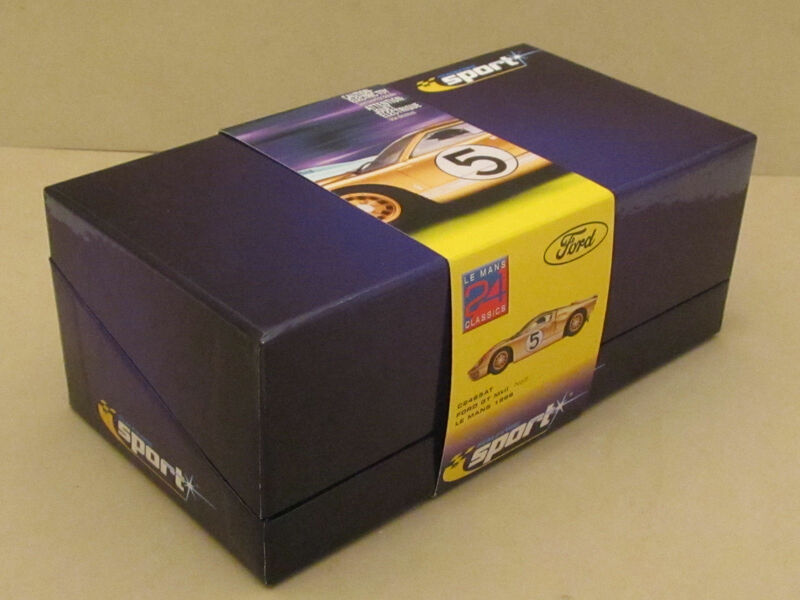 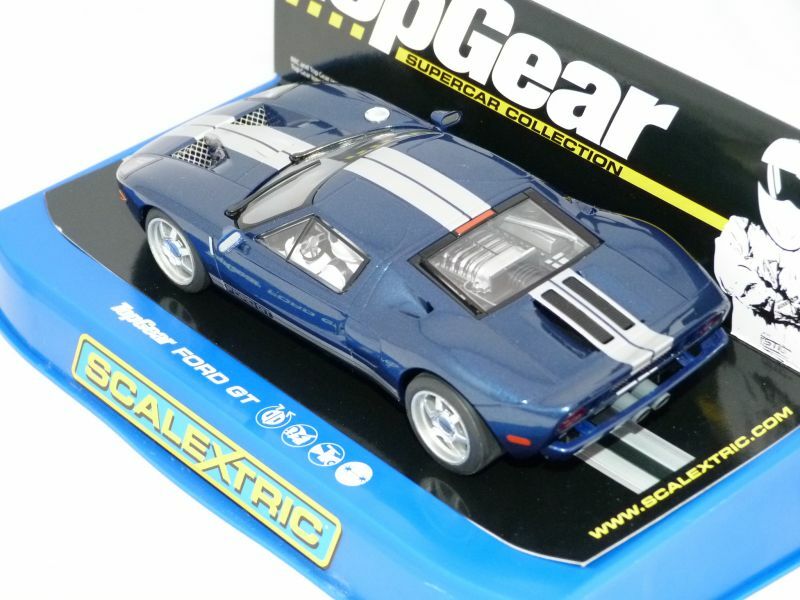 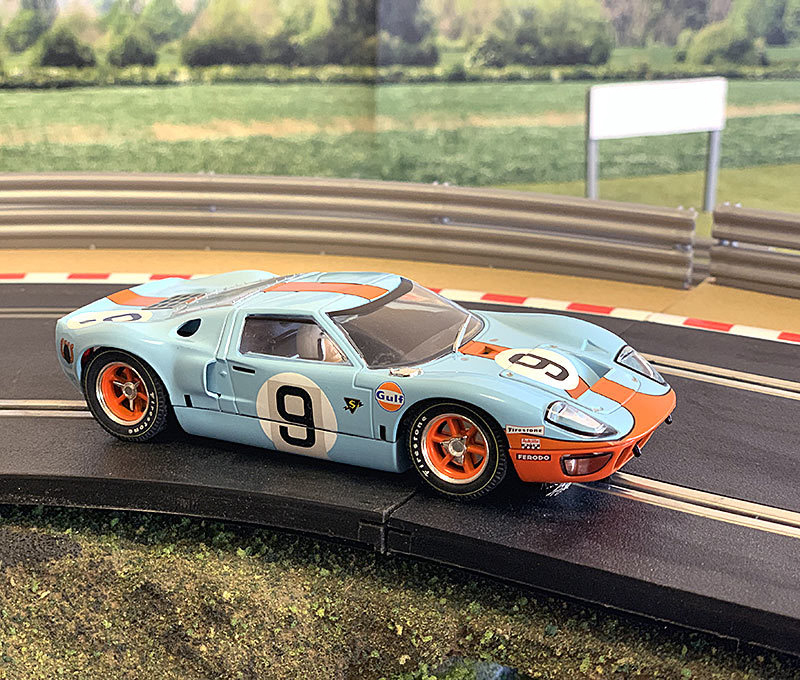 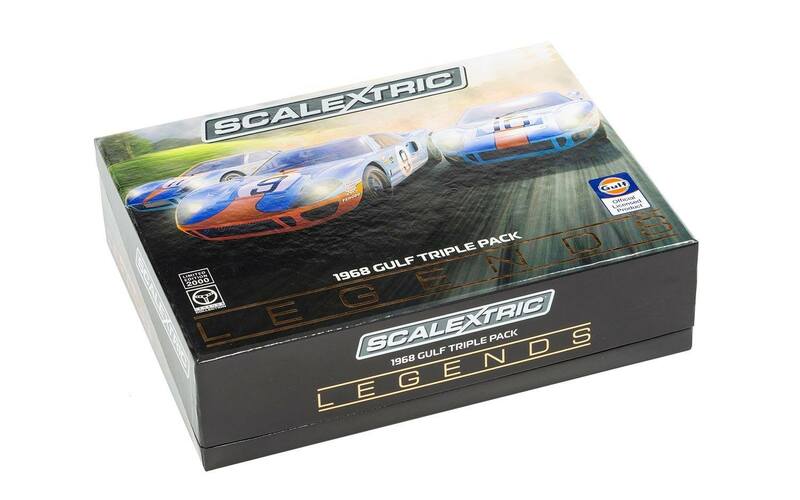 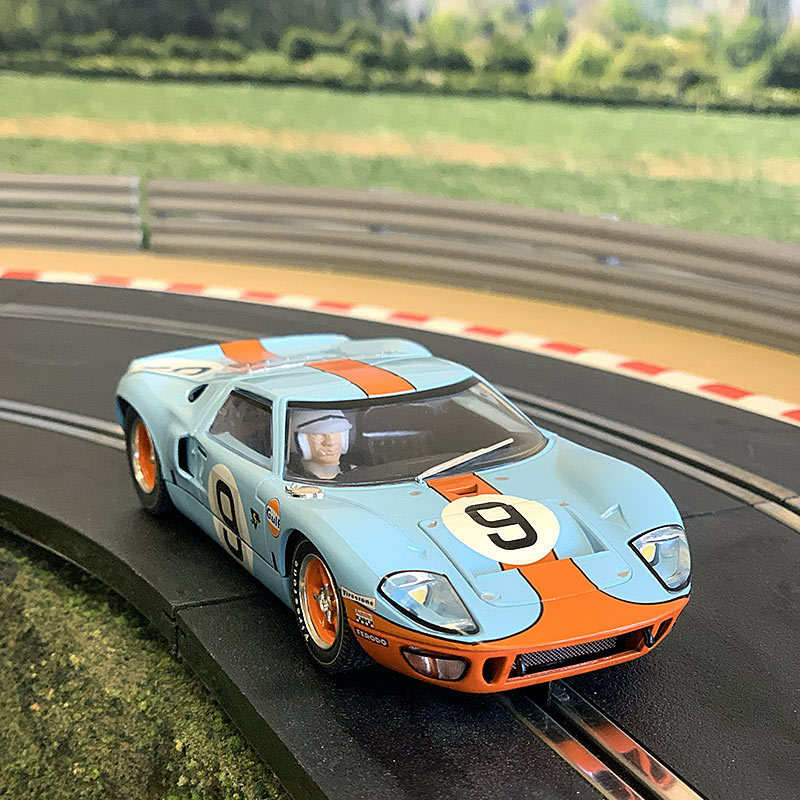 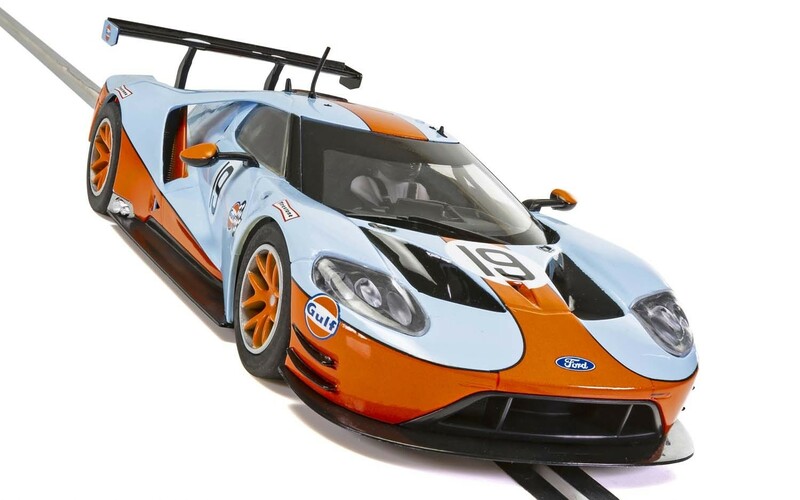 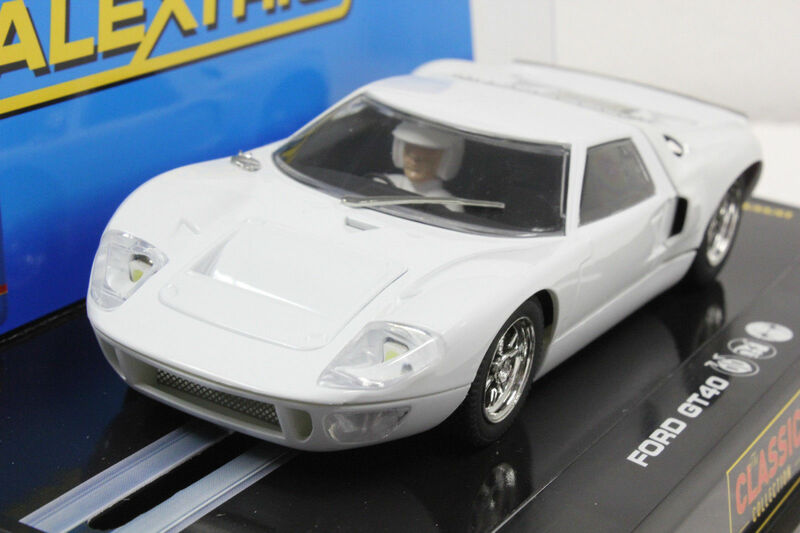 Scalextric has also recently licensed the Need for Speed brand from Electronic Arts and has produced a set based on the popular video game series. 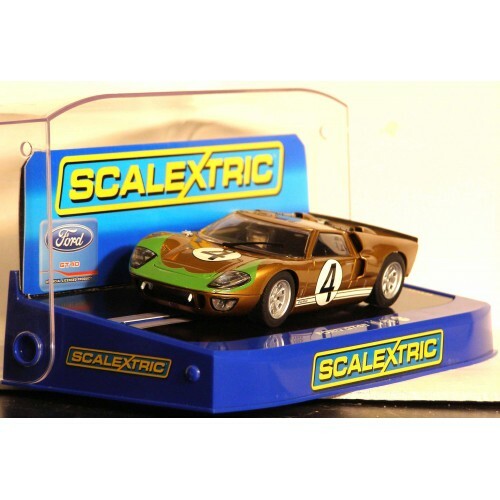 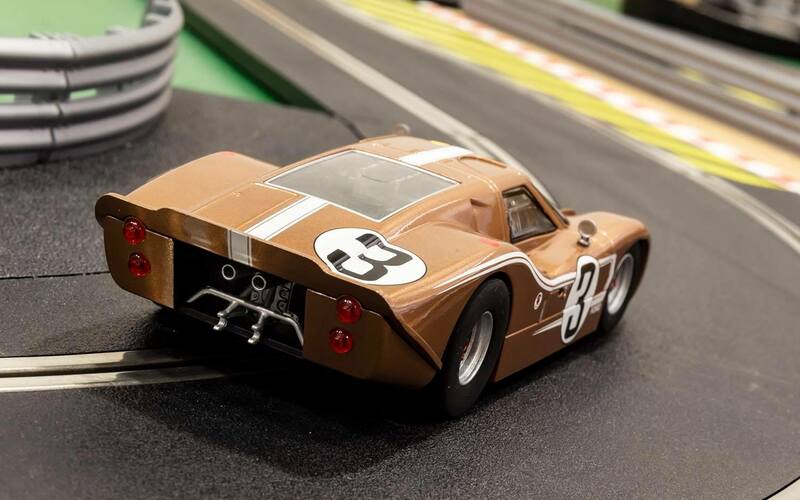 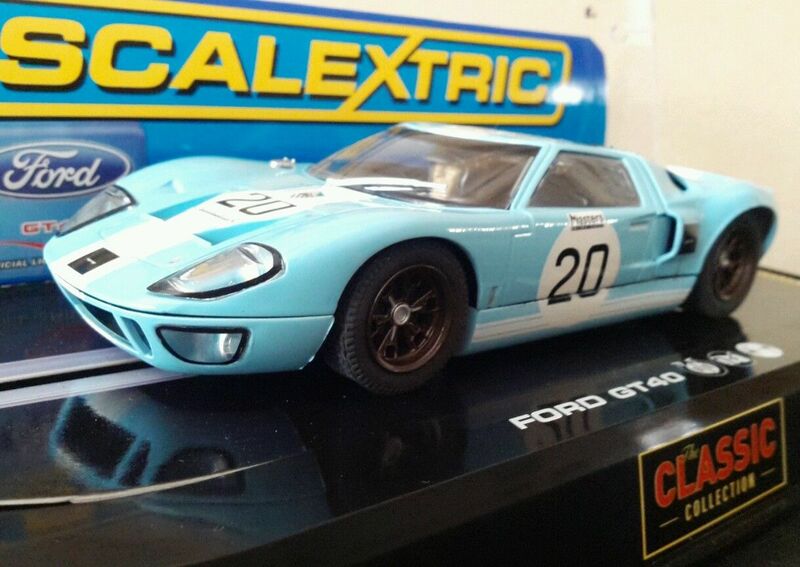 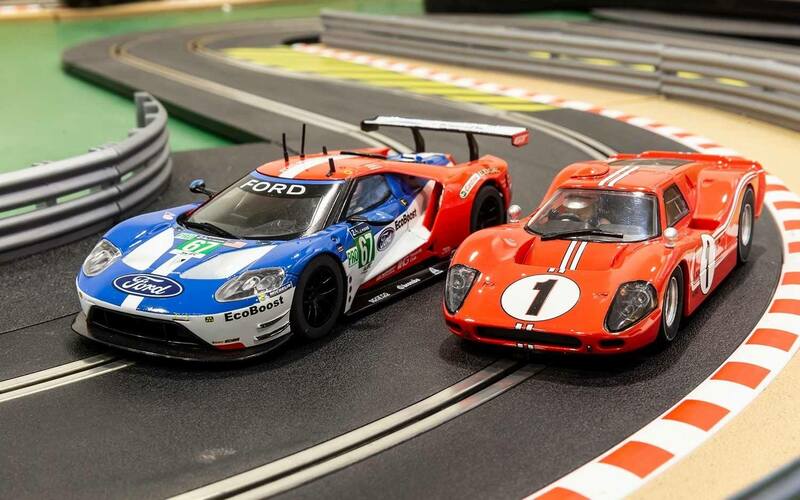 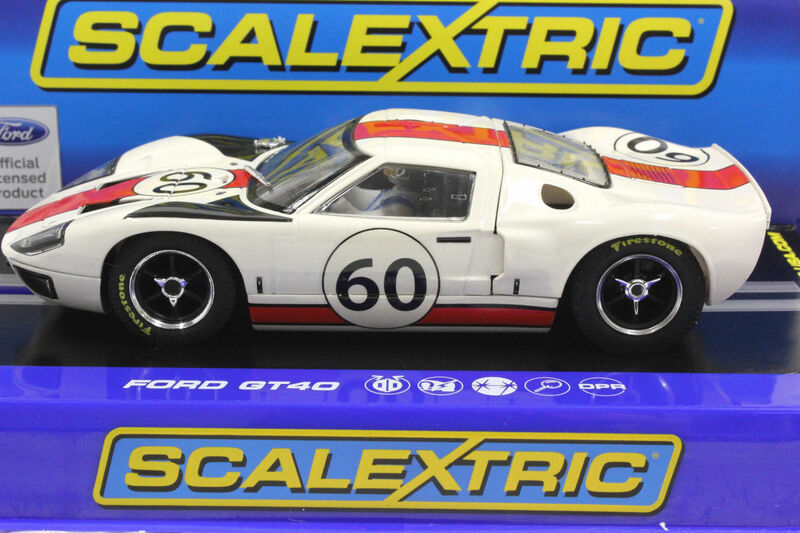 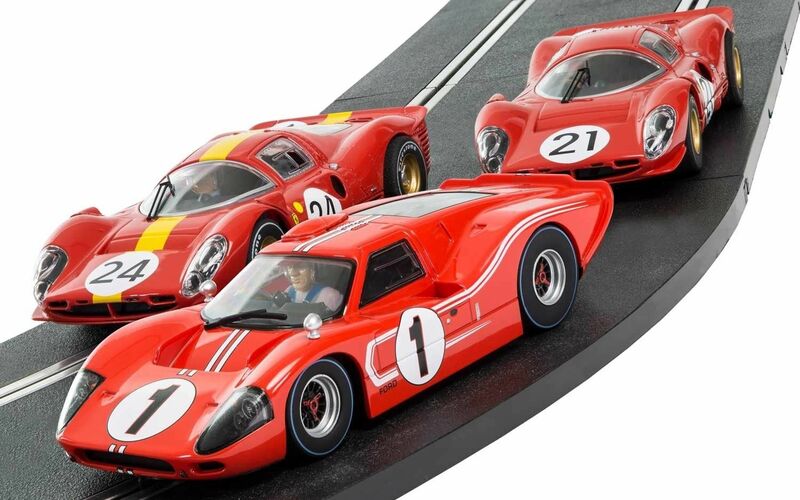 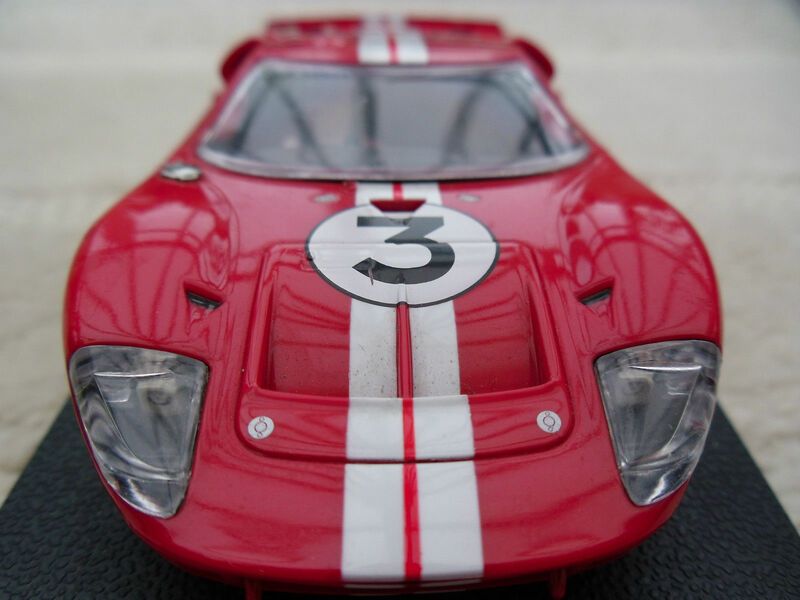 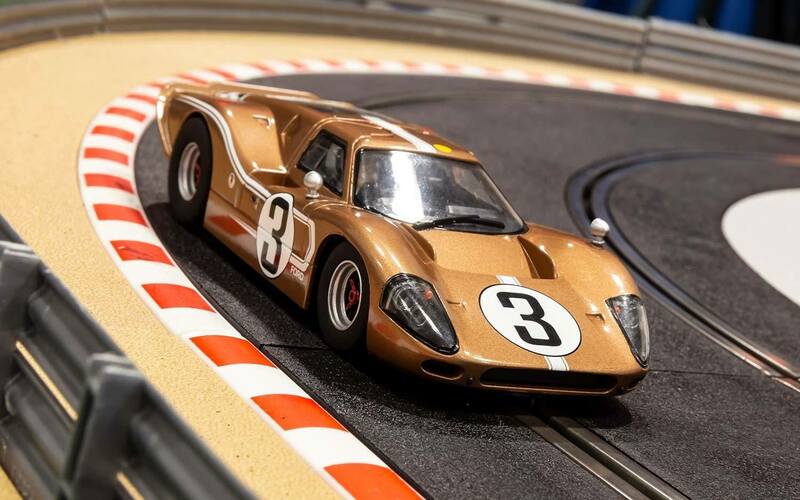 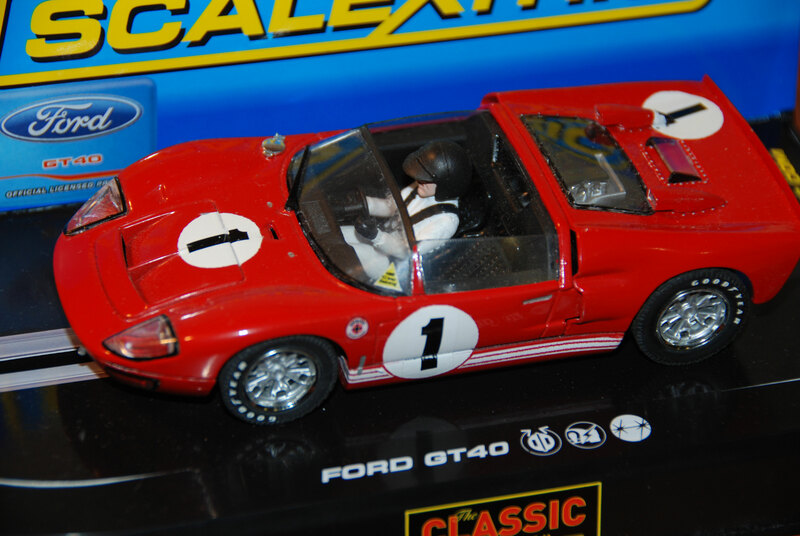 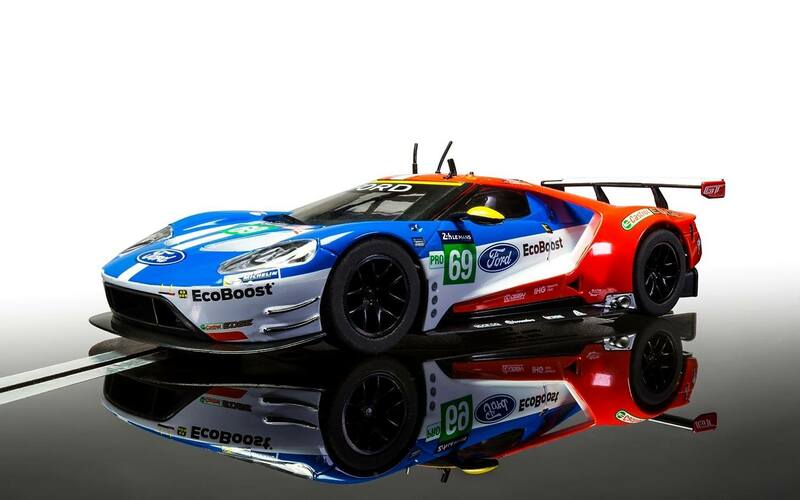 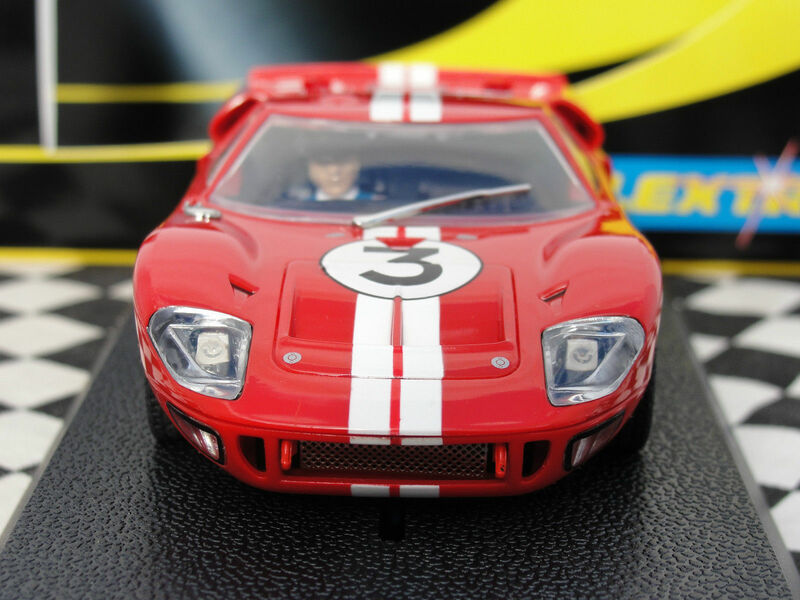 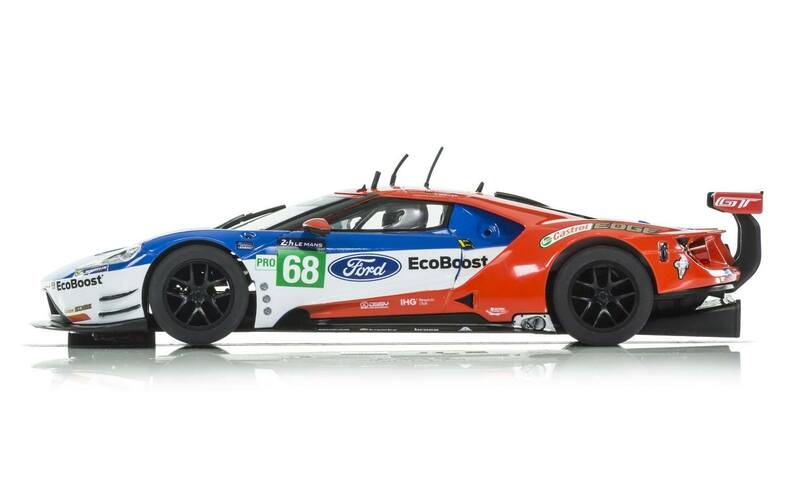 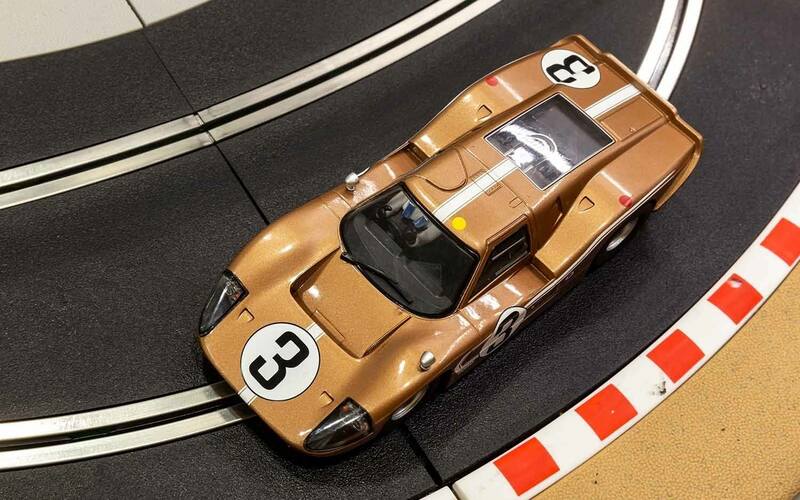 In addition to all types of cars, Scalextric vehicles have included motorbikes, sidecars, go-karts, pickup trucks, SUVs, racing trucks, articulated trucks, horses, skateboards and bicycles. 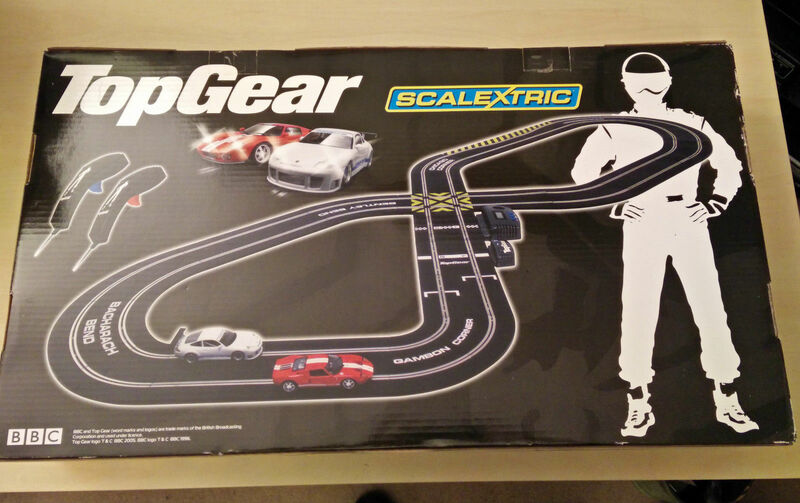 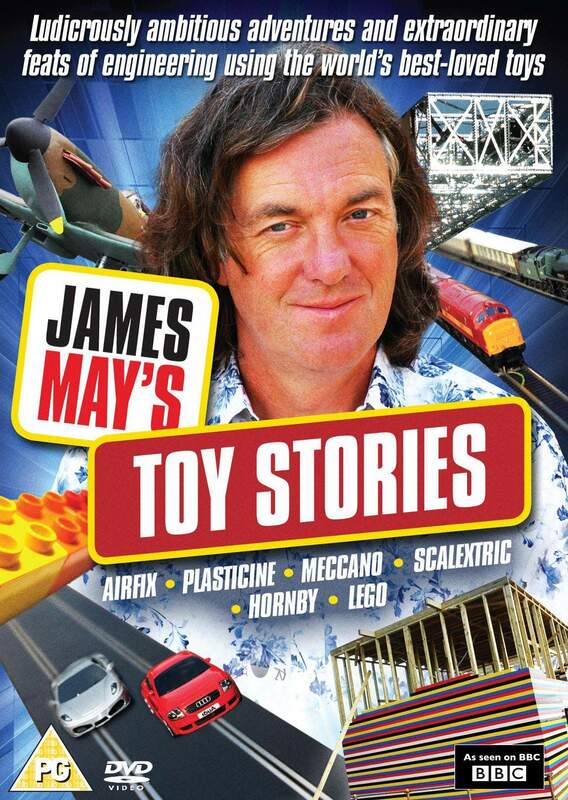 In 2009, BBC Top Gear presenter James May announced plans to recreate the full length Brooklands racing track using Scalextric track and cars in an episode of James May's - Toy Stories. 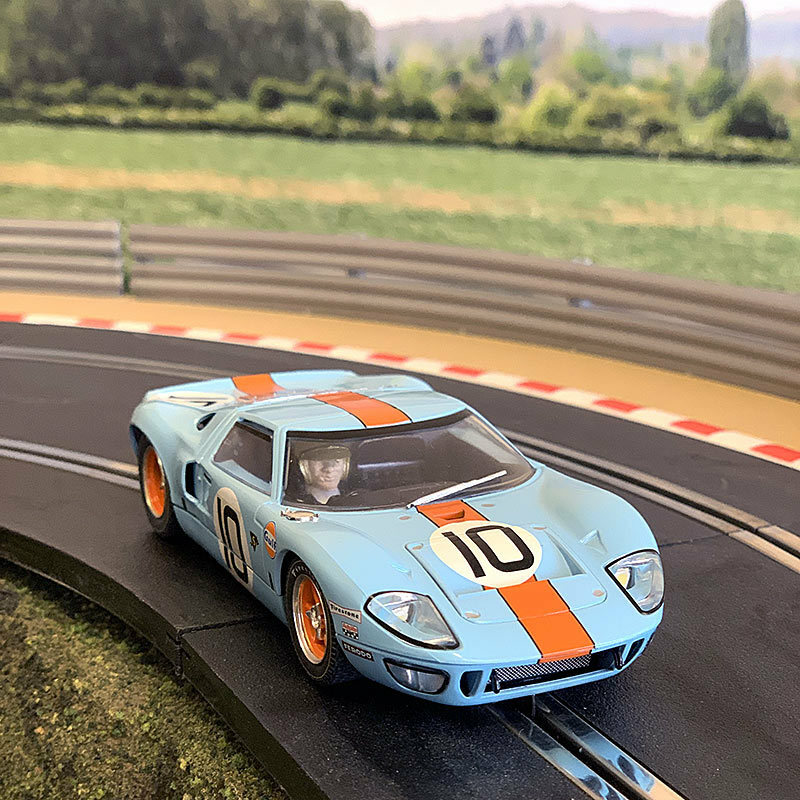 This was undertaken with a team of 350 volunteers building the track from an uncounted number of pieces of Scalextric track, navigating ponds and roads, closely following the route of the old Brooklands track. 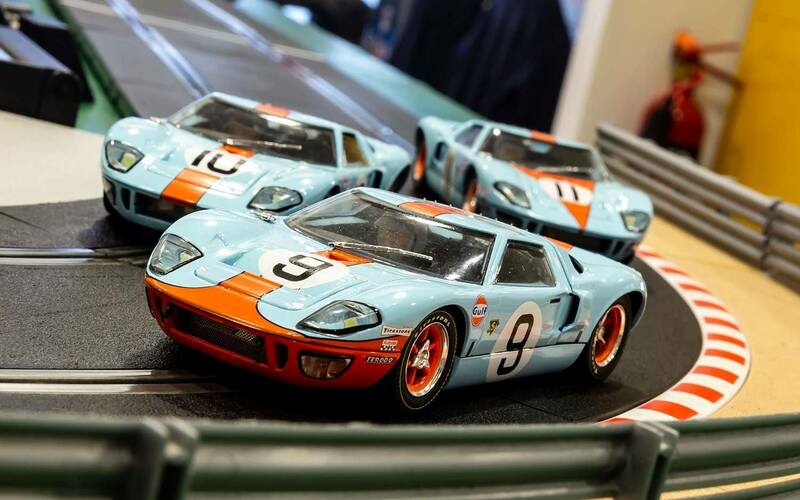 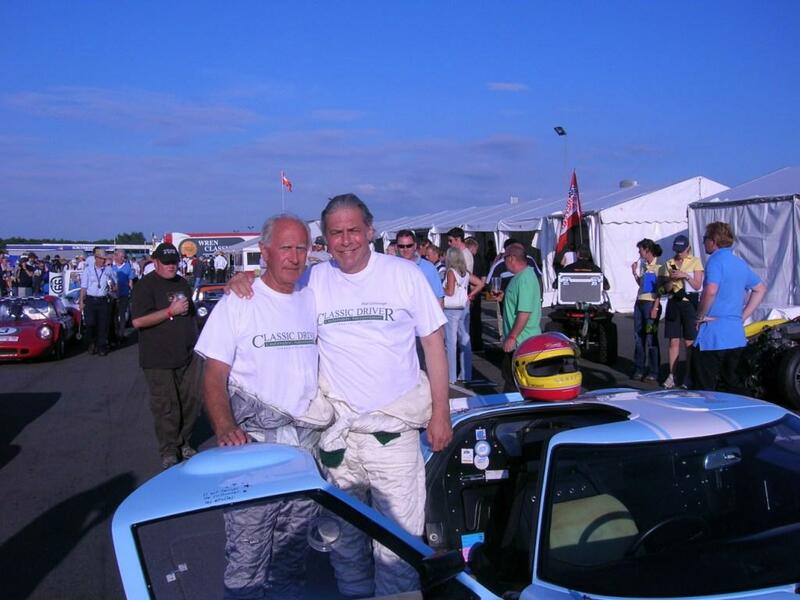 This event broke the Guinness World Record for the longest ever Scalextric track in the world, intended to measure the original 2.75 miles (4.43 km) of the original Brooklands circuit but in reality recording 2.95 miles (4.75 km) in length, because of the need to navigate modern features that block the original course.